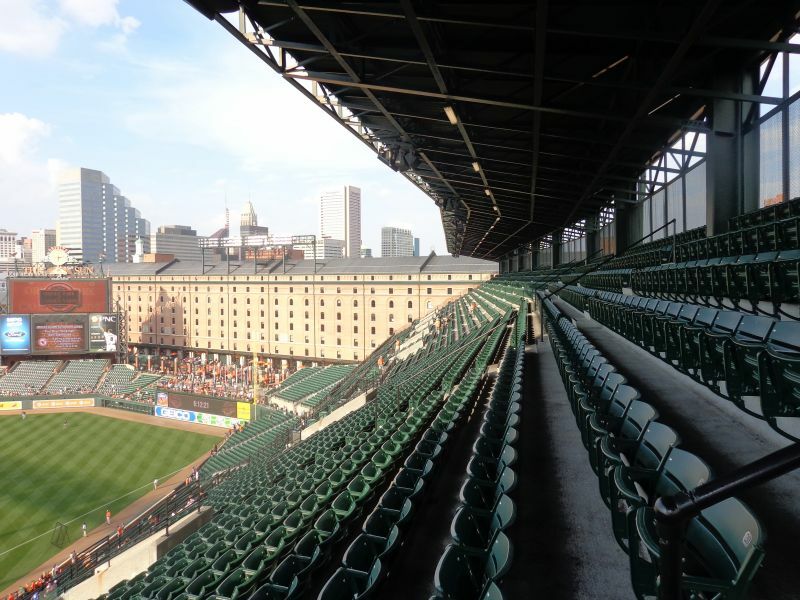 So much has been written and spoken about Camden Yards—its narrative is as mythic as its sweep—that it’s difficult to summarize its influence without reciting clichés that have already been digested by millions of baseball fans. It’s ironic that this is one of my last reviews, because a lot of what I’ve already written stems from the fundamentals of this ballpark. 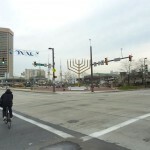 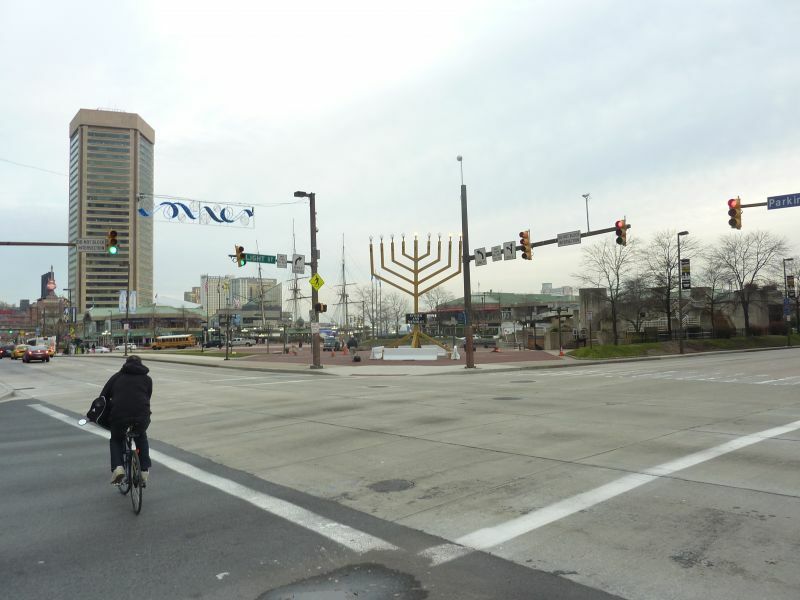 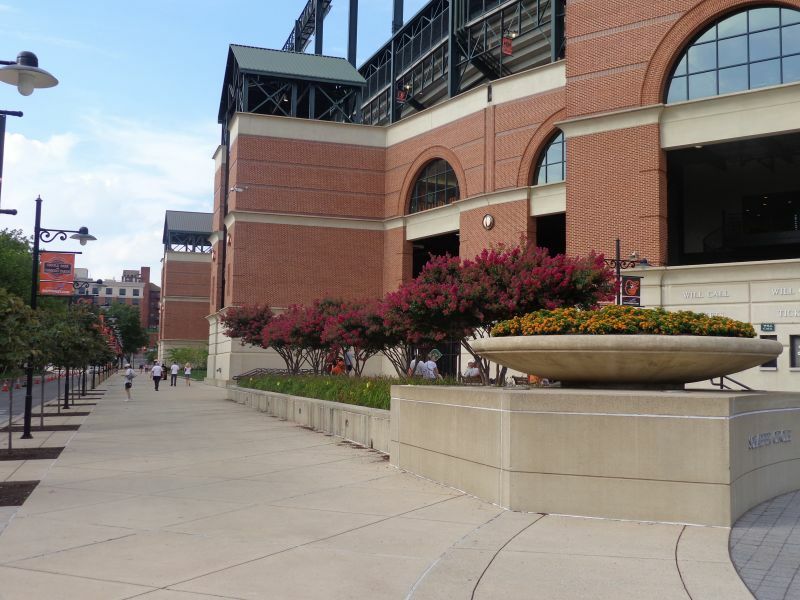 I know some may think praising Camden Yards borders on cliché now, but reviewing Camden at this point in my ballpark cycle gives me a deeper appreciation for just how incandescently brilliant this place was when it opened, and still is. 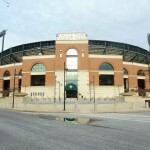 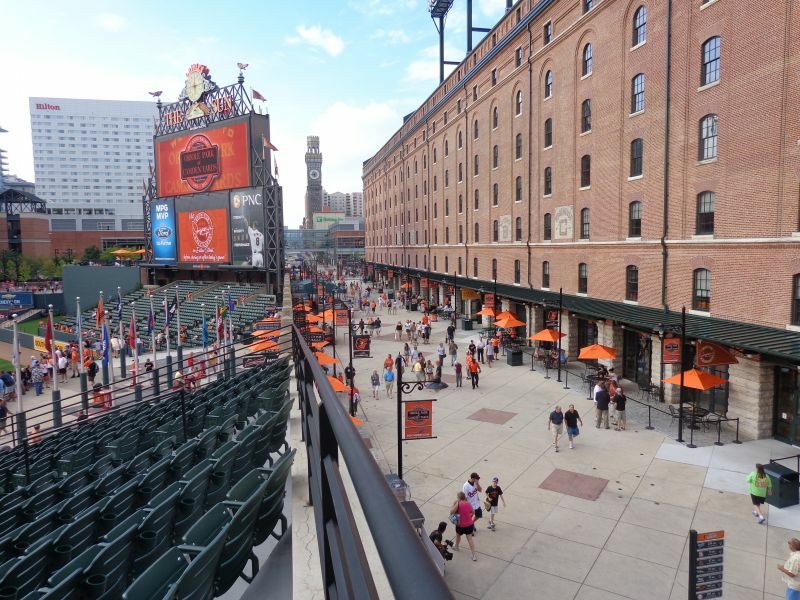 Ushering in a new era of old fashioned retro-styled ballparks, Camden Yards has received unqualified praise throughout the past 20 years from the baseball community for its contextual architectural design and new amenities, including a ridiculous amount of hype upon opening. 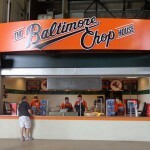 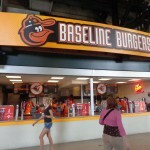 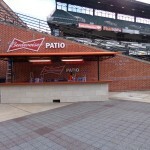 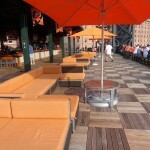 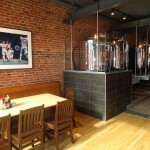 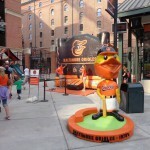 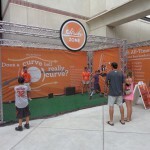 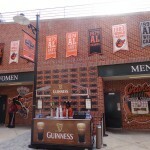 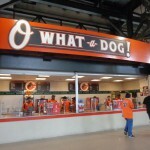 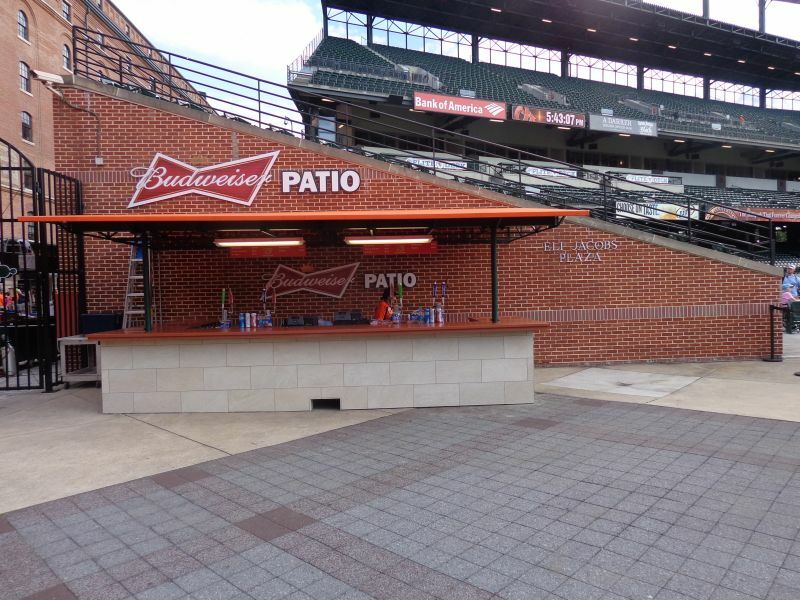 And yes, we all know Camden Yards deserves credit for inspiring this new trend in aesthetics. 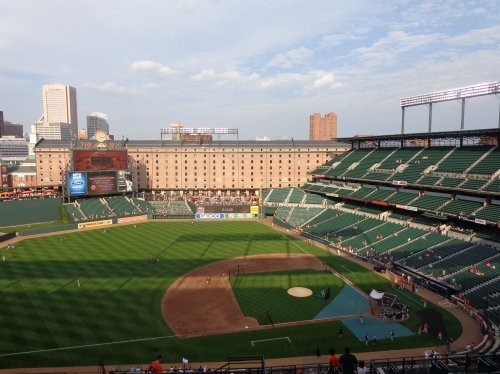 Indeed, it is actually impossible to overstate this ballpark’s influence. 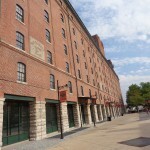 George Will once called it one of the three most important developments of post-WWII baseball, along with the breaking of the color barrier and the development of free agency. 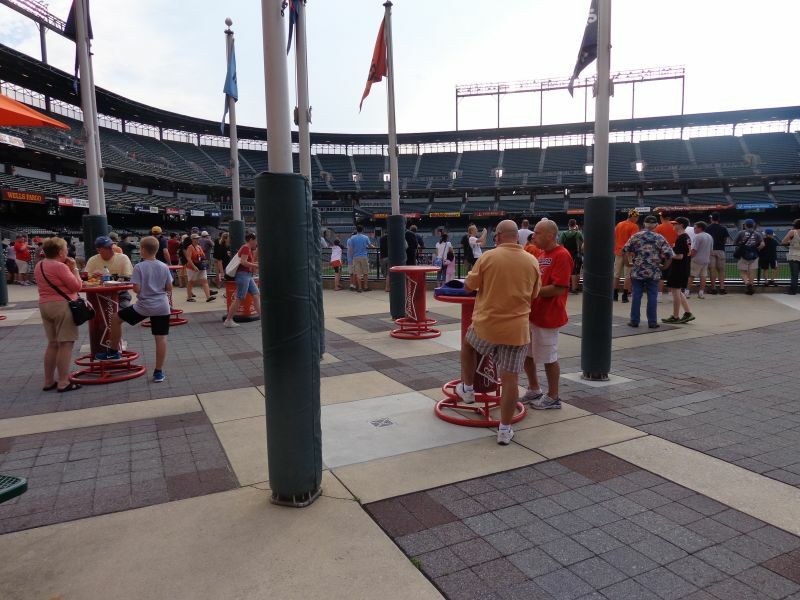 While still widely praised by critics and fans, I get the sense that some “ballpark aficionados” now praise it somewhat backhandedly. 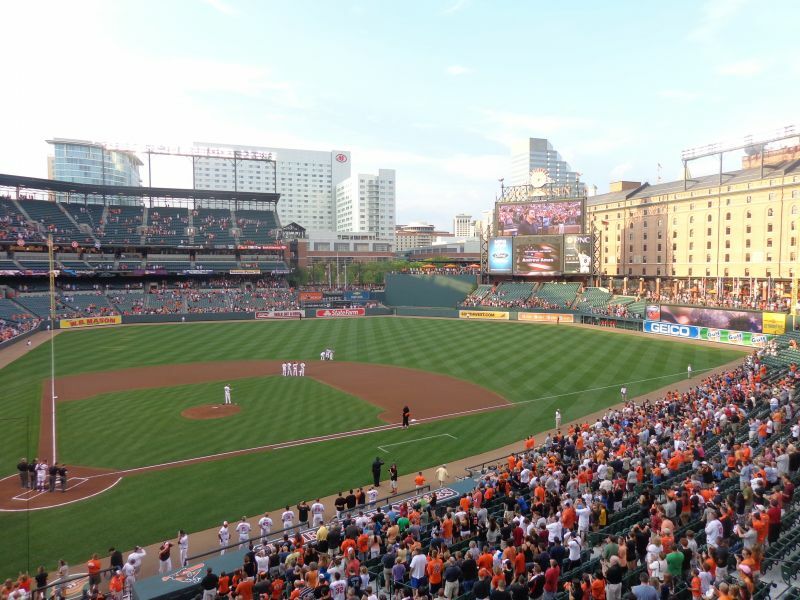 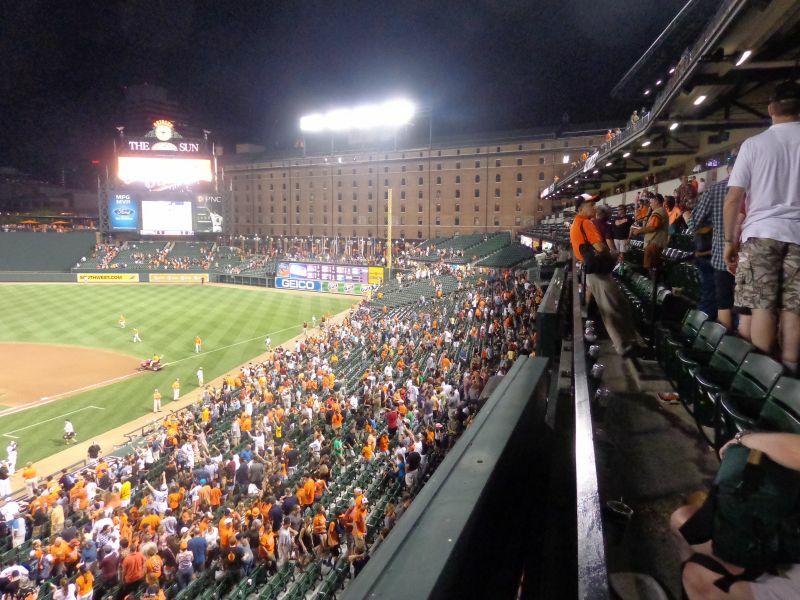 We all know Camden Yards set off the “retro” ballpark boom, but it stands as one of the best ballparks of all time for reasons that are easy to overlook. 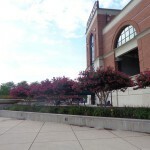 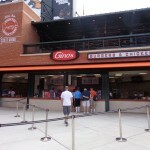 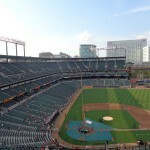 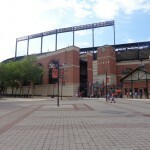 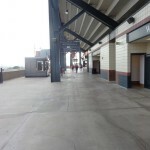 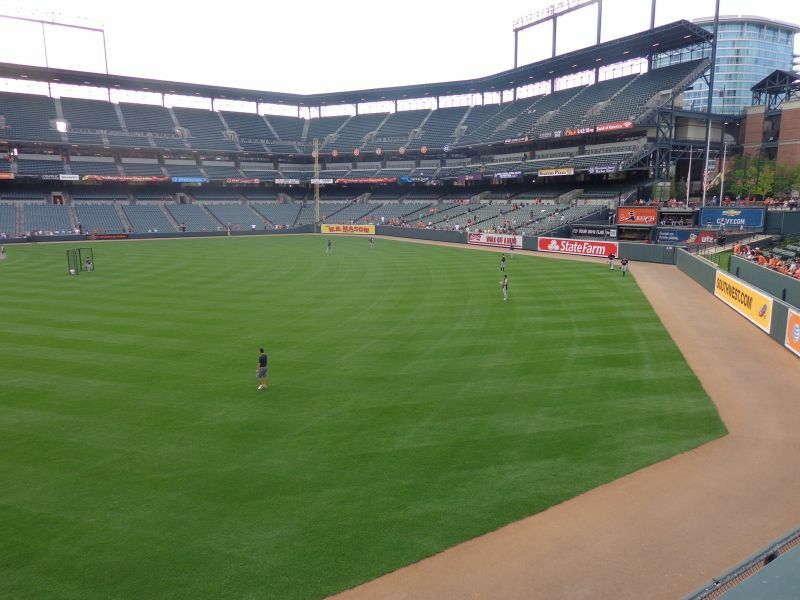 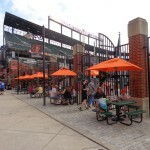 Believe it or not, it’s a common line that there wasn’t anything particularly extraordinary or unusually unique about Camden Yards in comparison to other new retro ballparks. 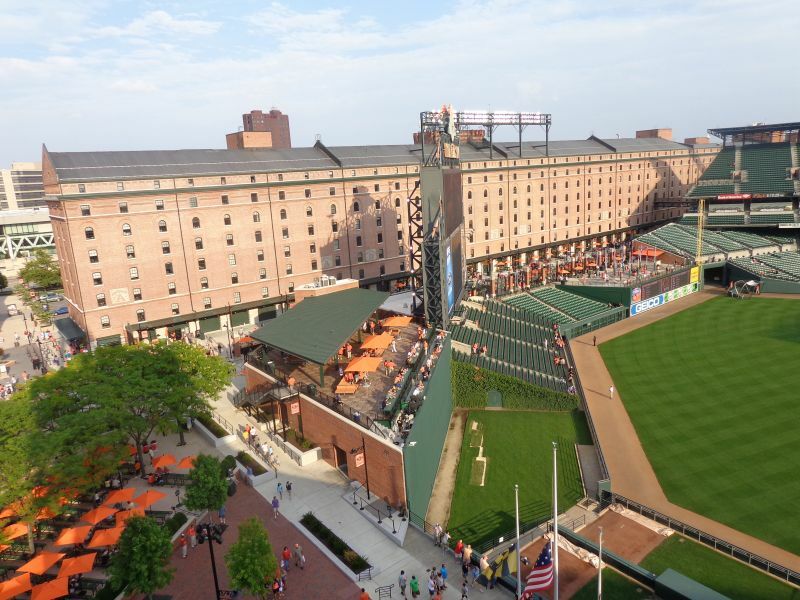 They say Baltimore just got there first, and any other brick and steel park could have spawned this new generation of stadiums. 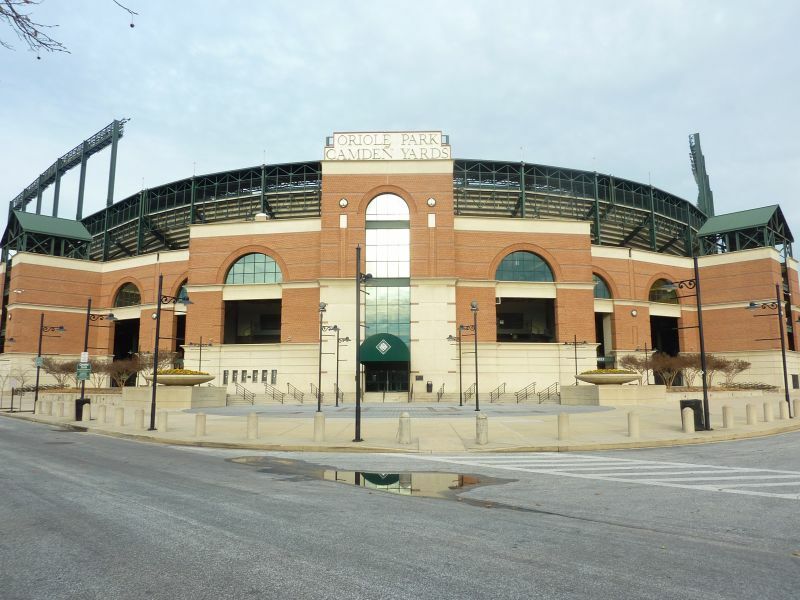 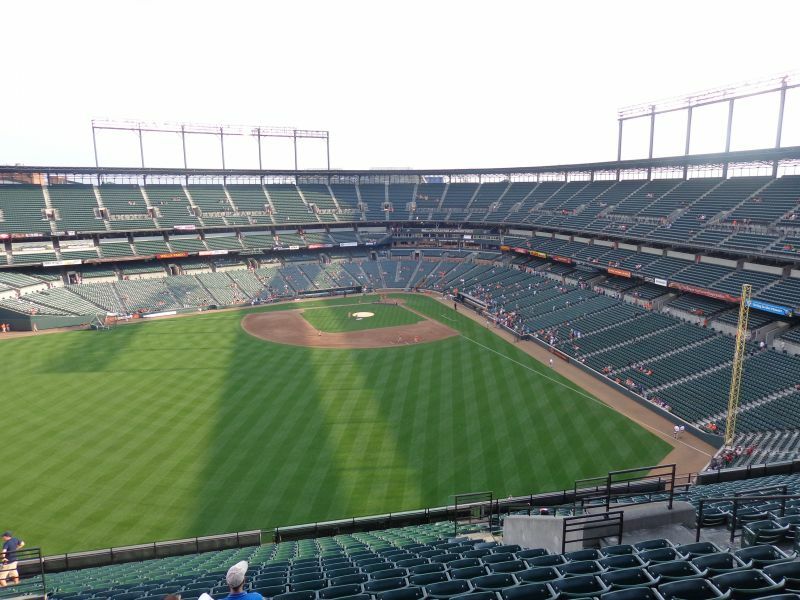 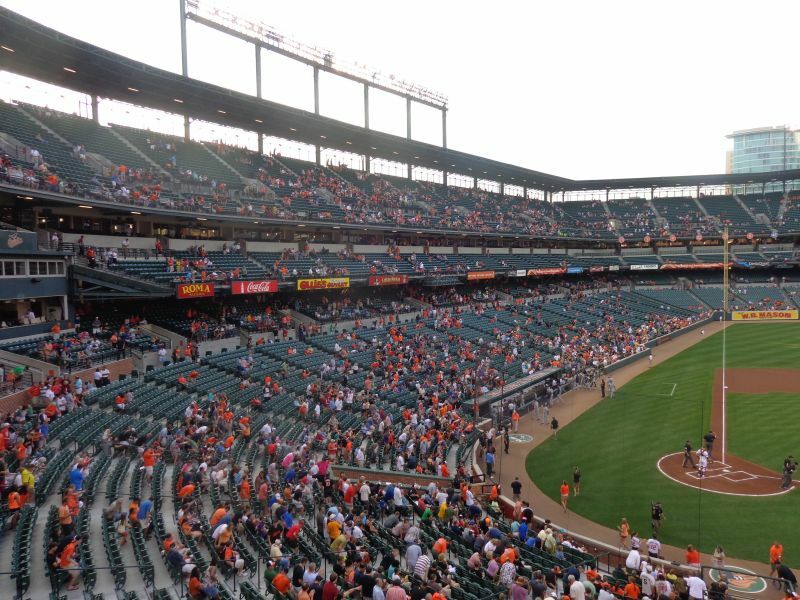 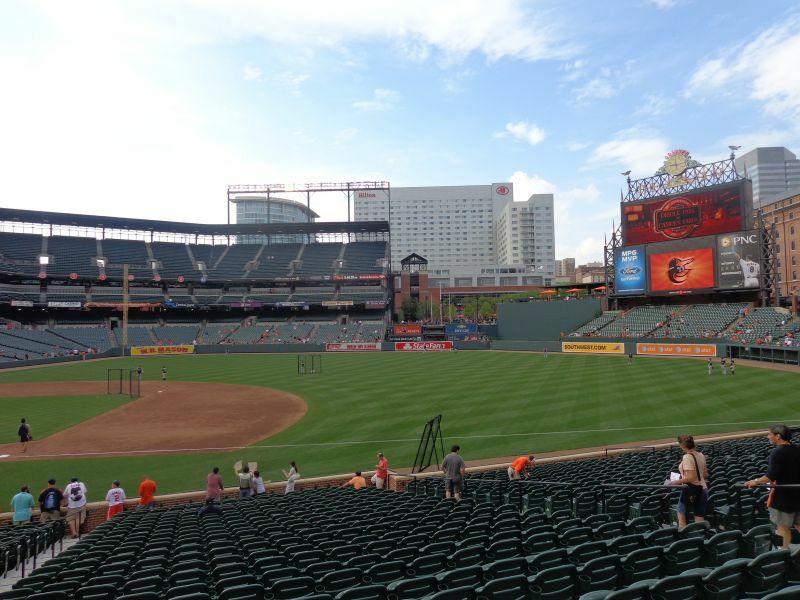 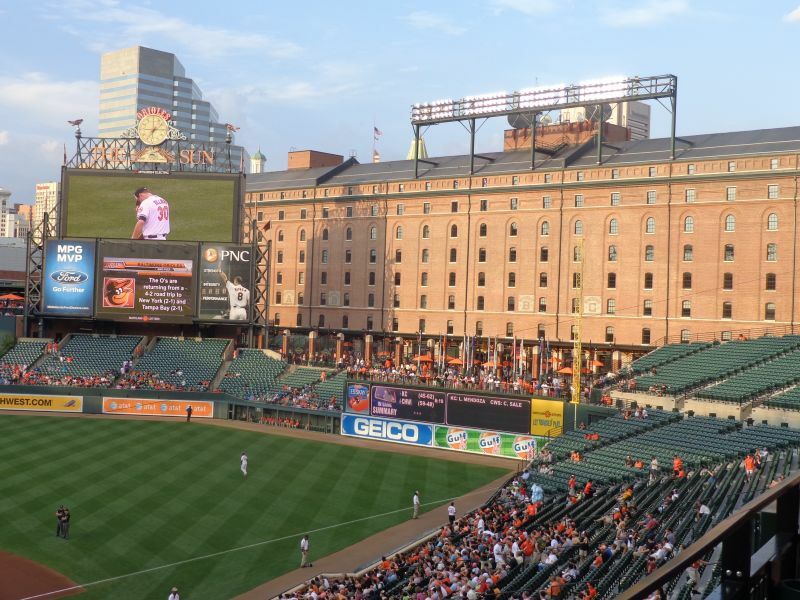 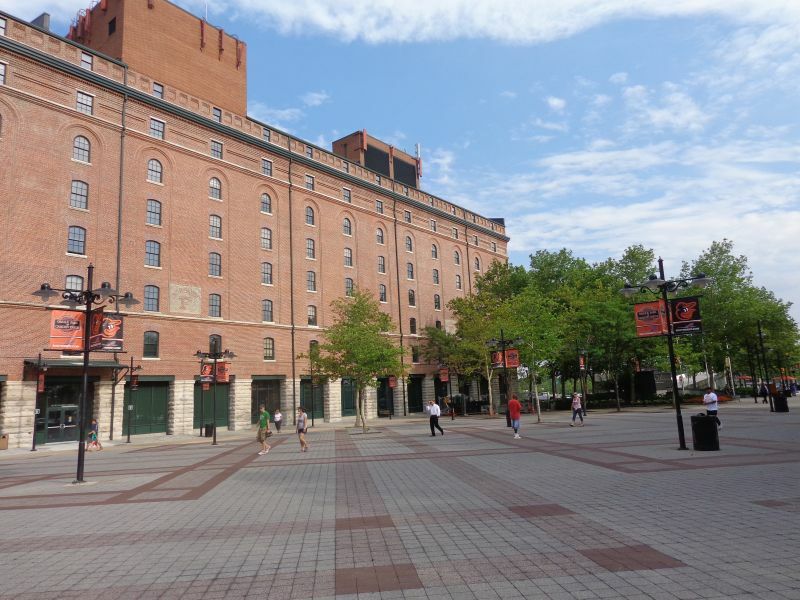 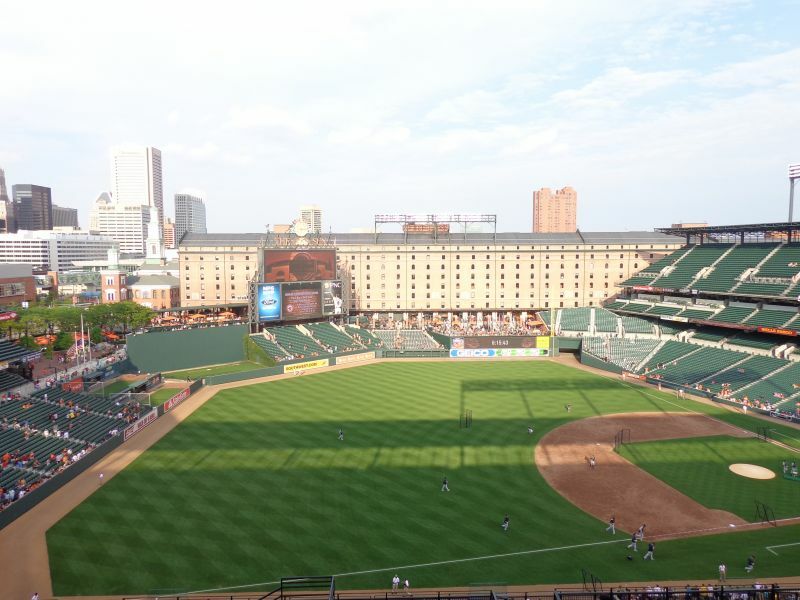 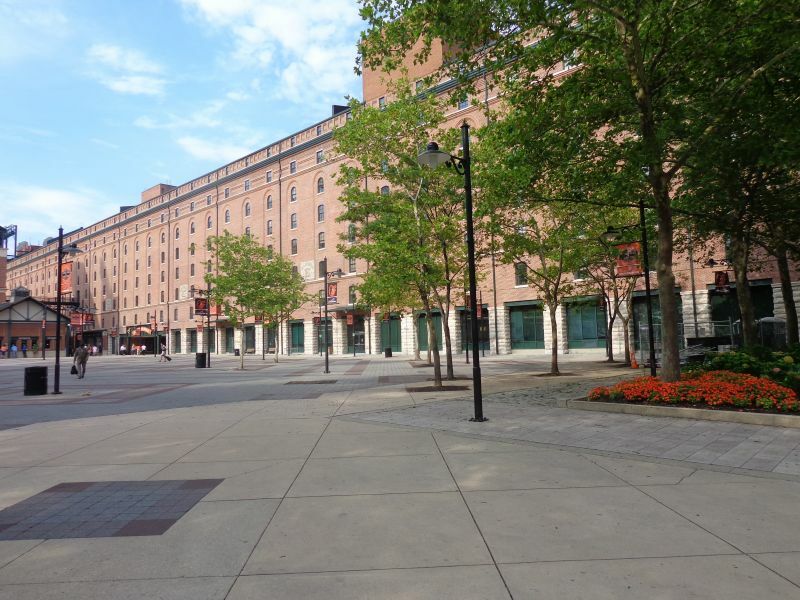 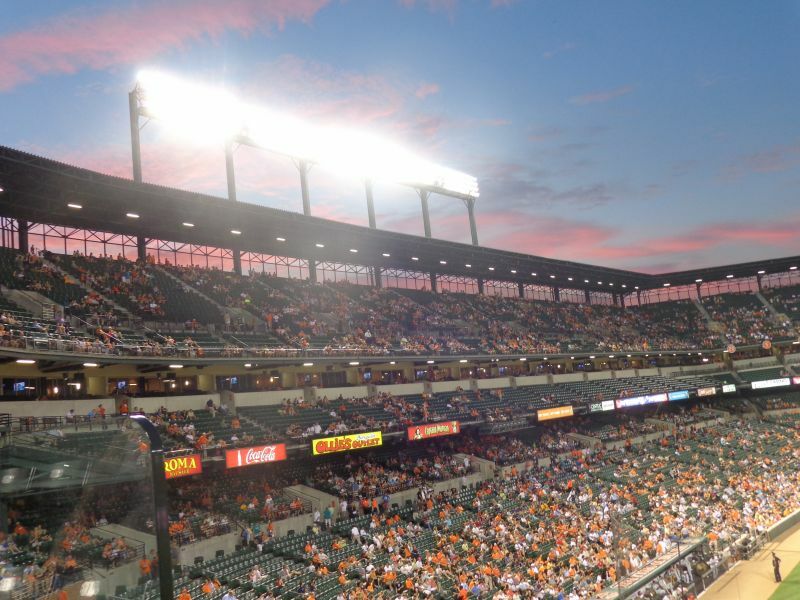 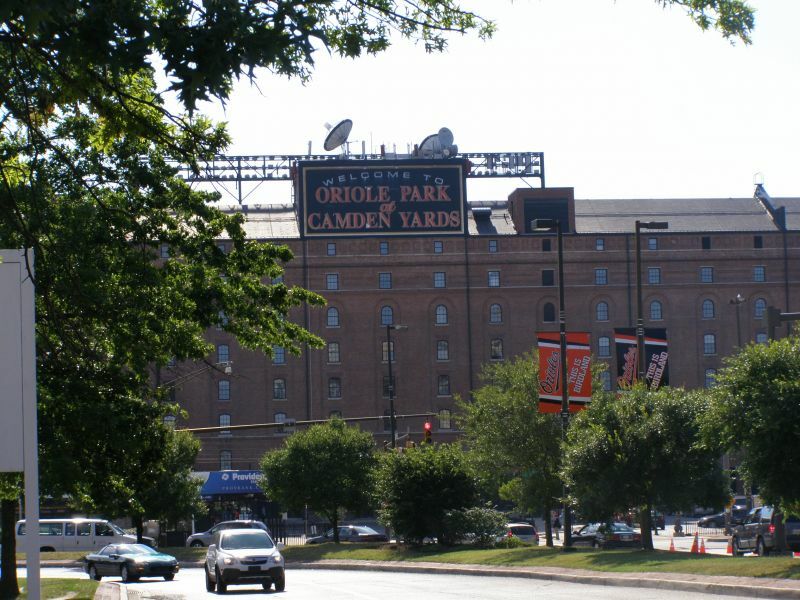 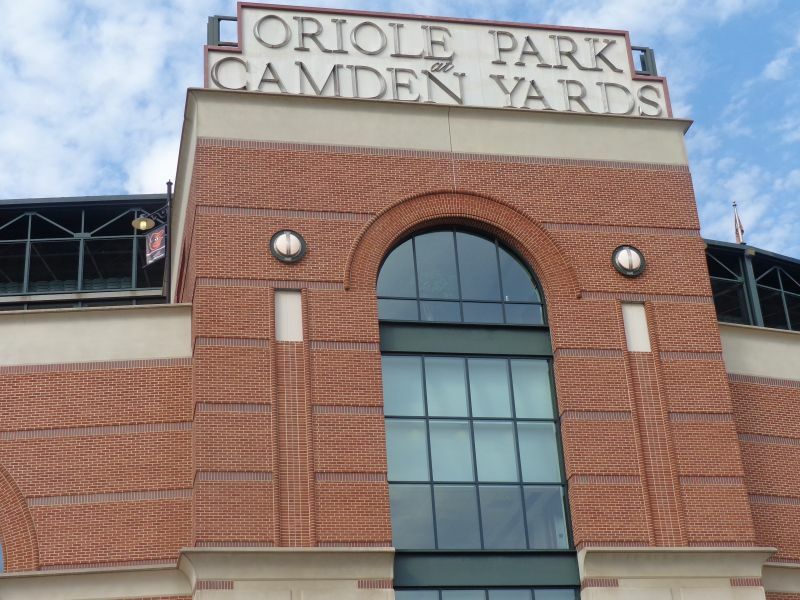 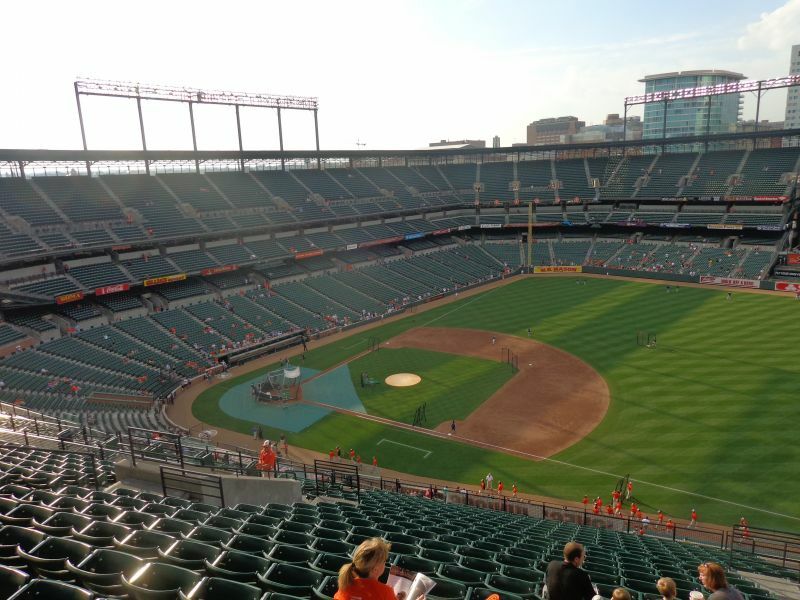 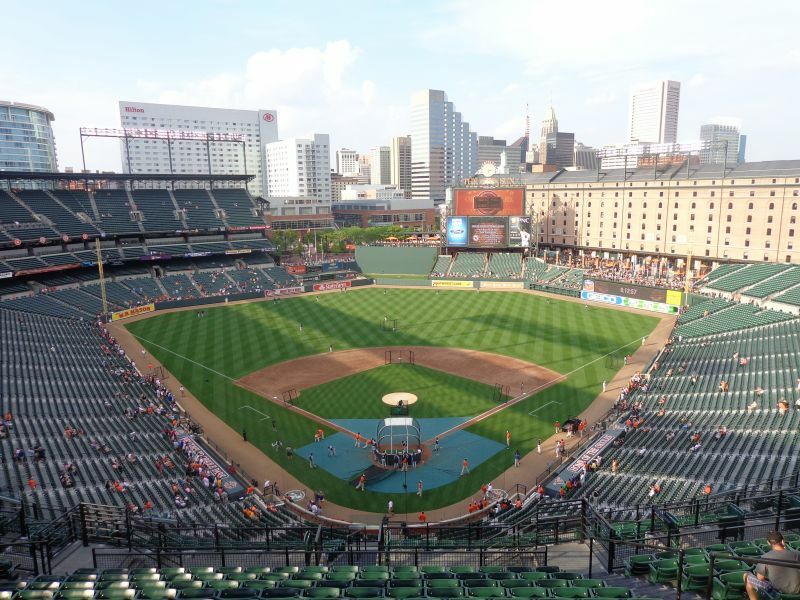 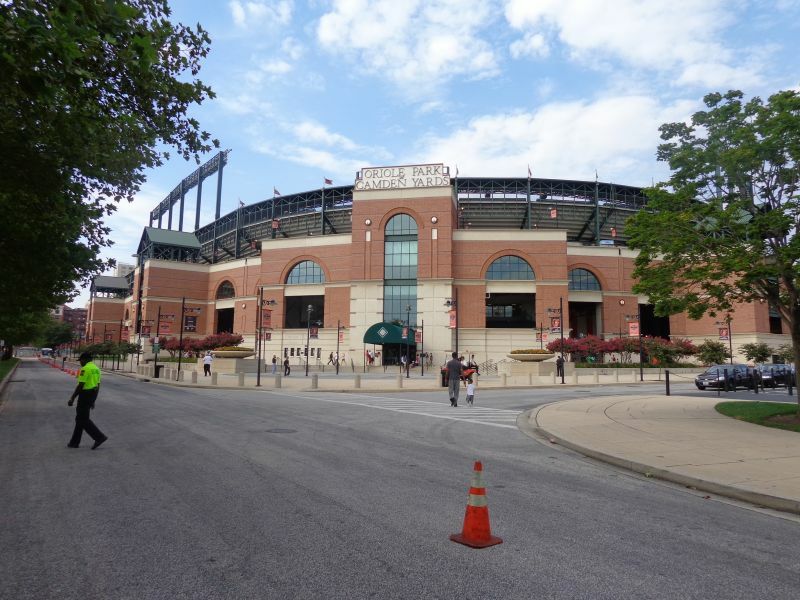 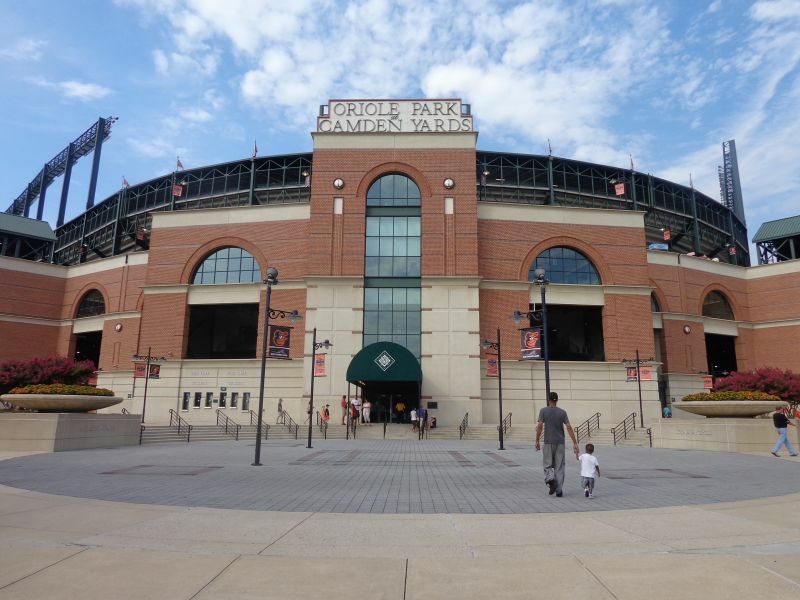 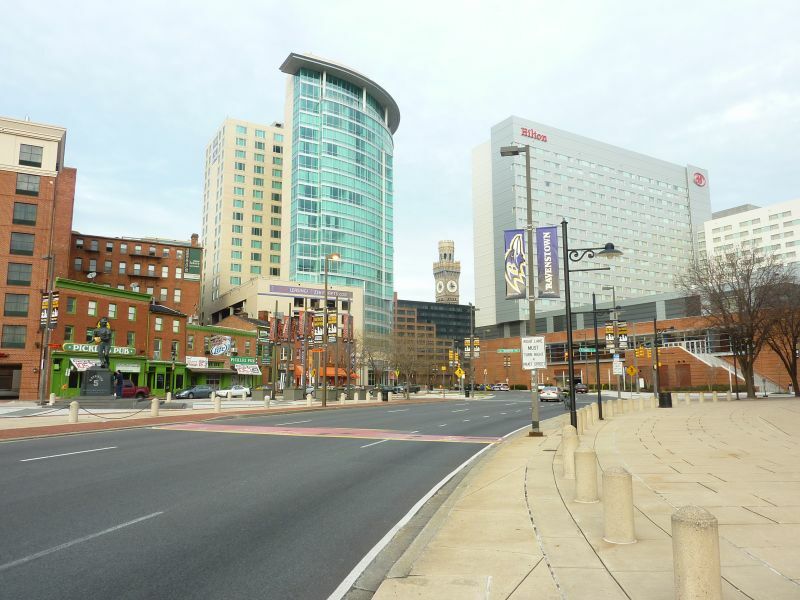 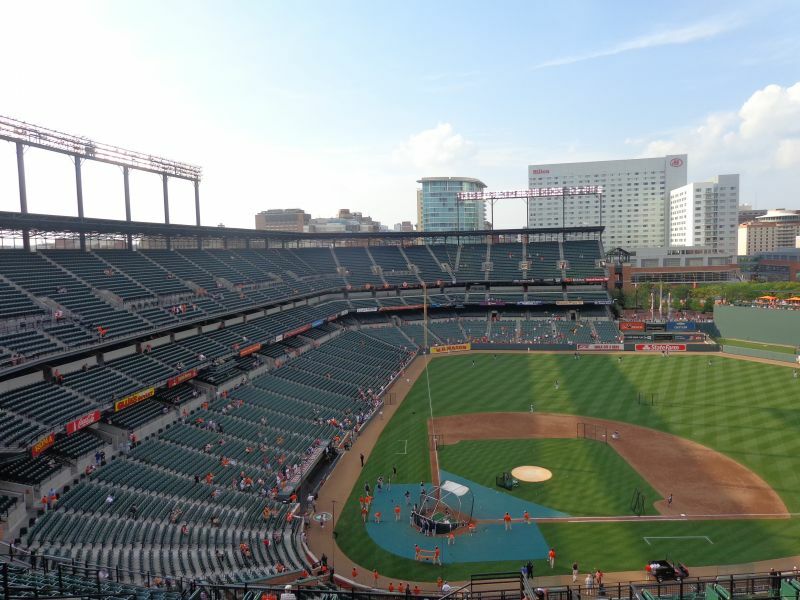 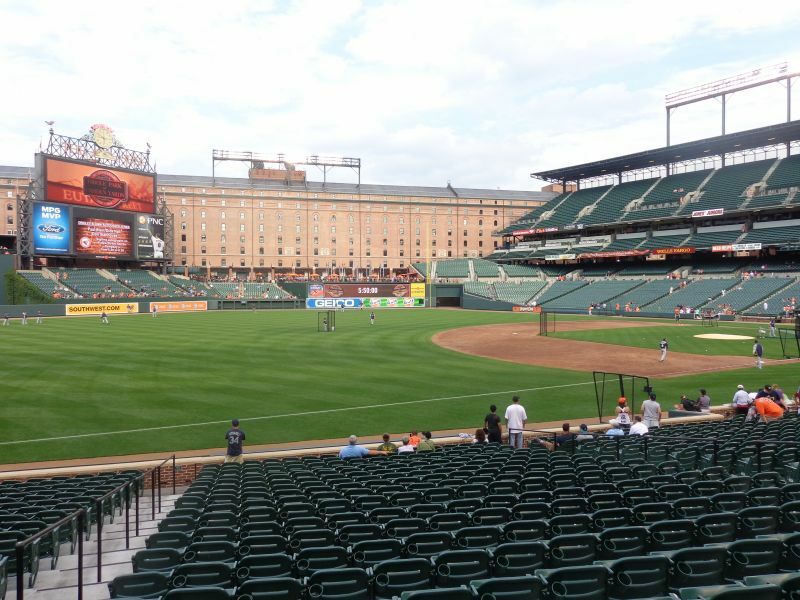 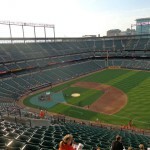 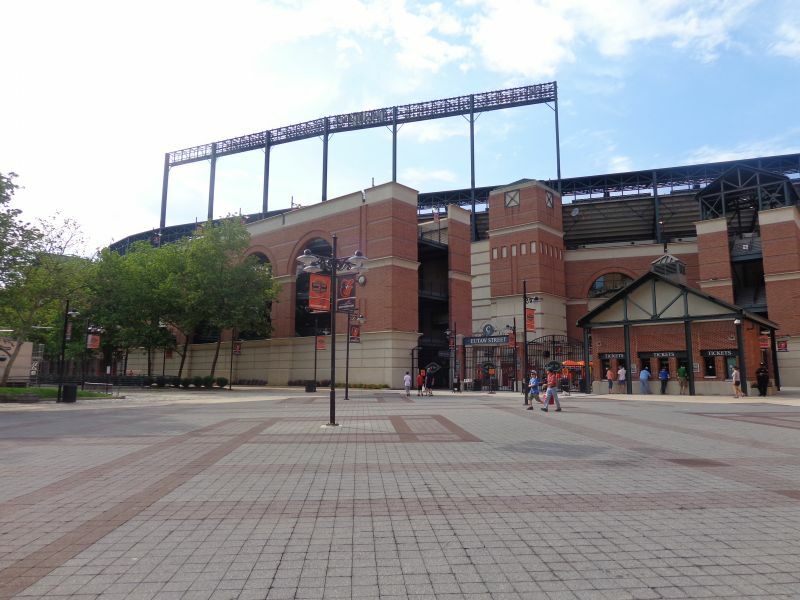 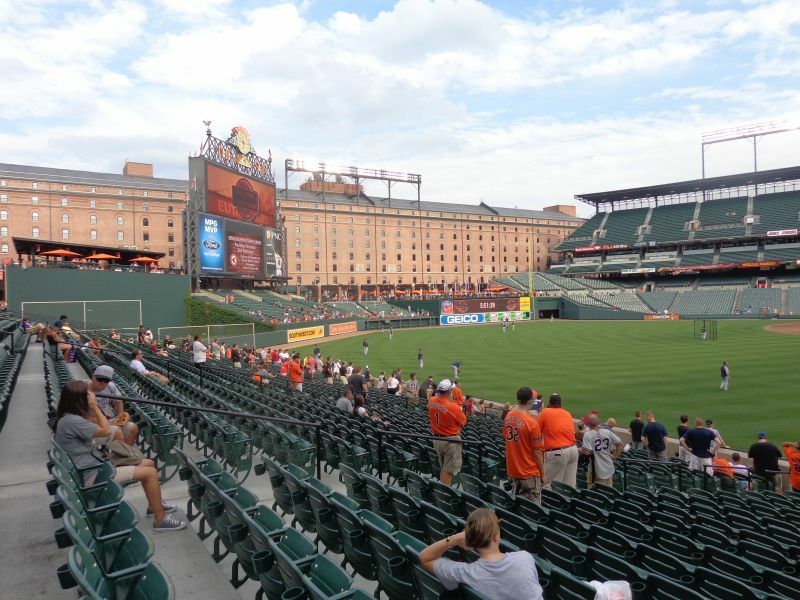 Some contrarians even had the gall to ask, “Why is everybody making a big deal of Camden Yards?”, claiming its “just another ballpark” and the copycats will be no better or worse. 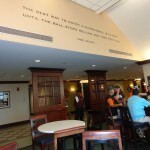 Many later in the decade agreed. 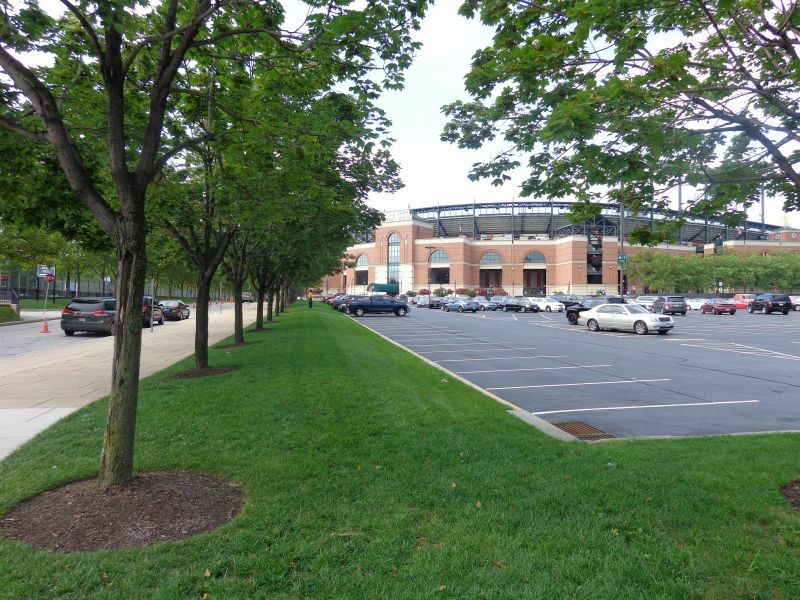 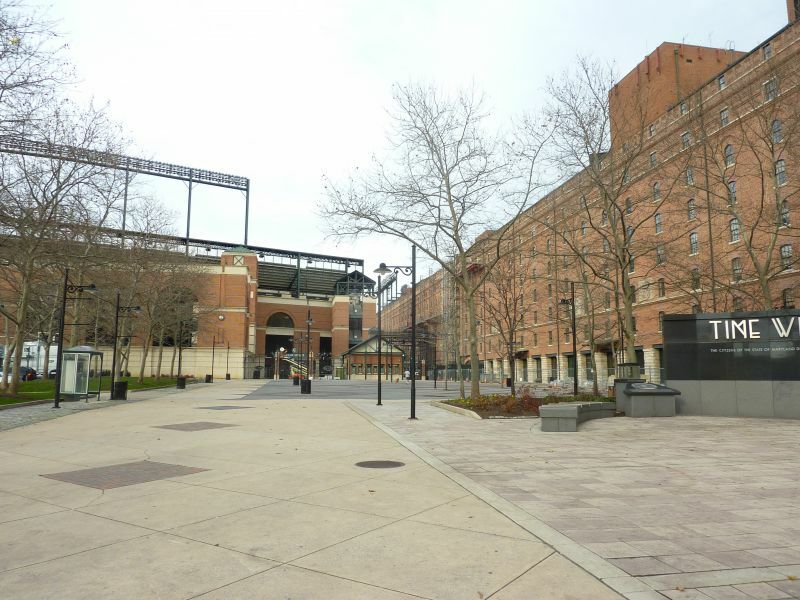 I take the contrary position and believe that Oriole Park is a uniquely special and revolutionary building, one that not only ushered in a generation of innovative features, both big and small, but one that also stands alone as the gold standard of all-time great ballparks. 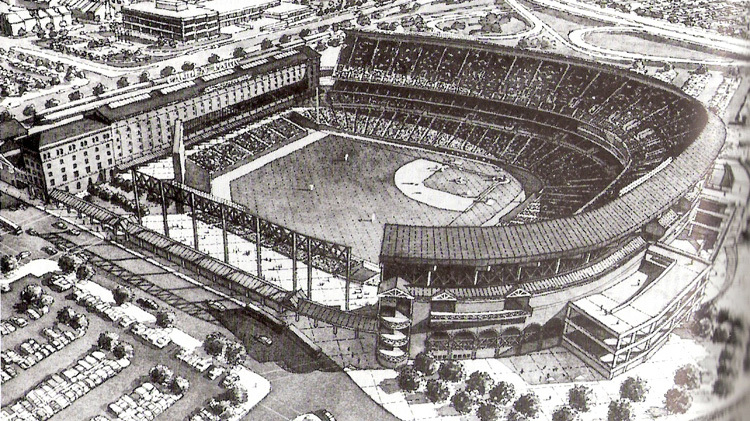 Sure the retro movement was inevitable because the architectural ethos of America was swiftly changing, as you do see a clear evolution to some extent (see Dunn Tire Park in Buffalo, the later renderings with the warehouse but with symmetrical dimensions, the vague arched facade of New Comiskey Park). 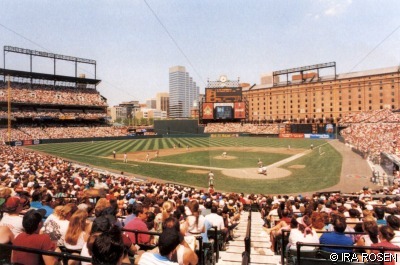 But if Camden Yards hadn’t been so perfectly executed in 1992, I don’t know if this style of ballpark would have gained as much traction. 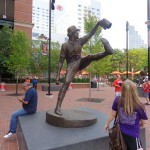 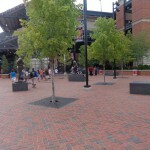 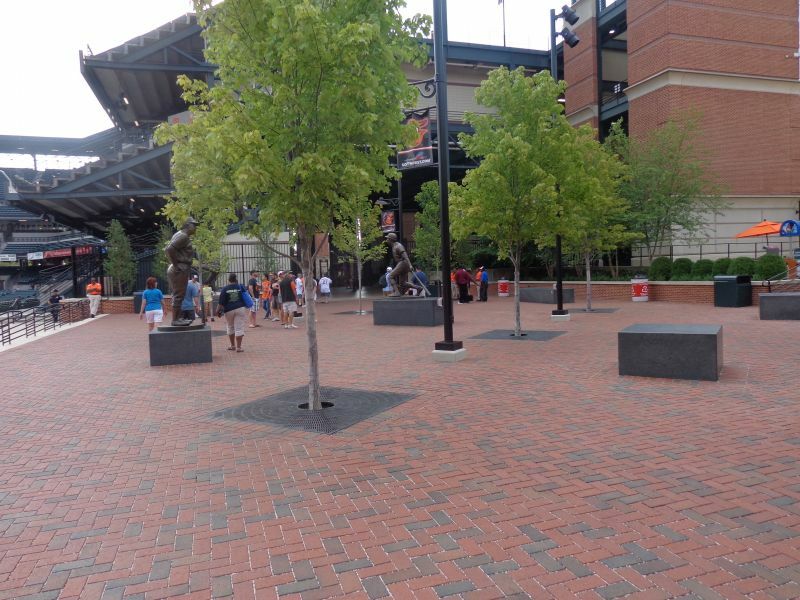 Can you imagine if Turner Field was the first retro park? 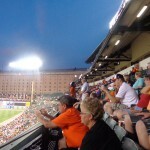 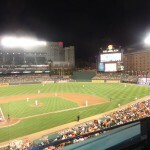 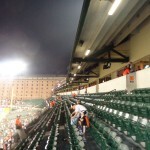 Camden Yards is the Halley’s Comet of ballparks. 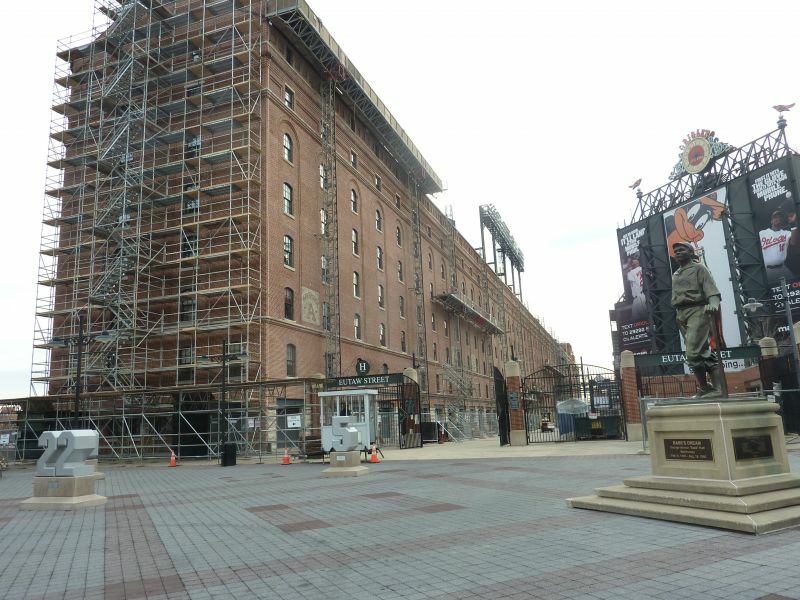 It’s a once in a generation structure. 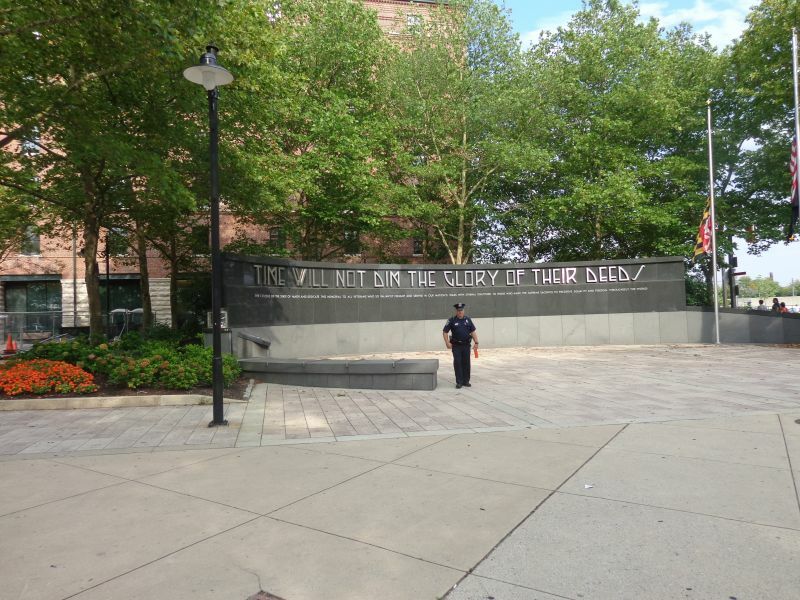 Just because it was the first isn’t the most relevant point. 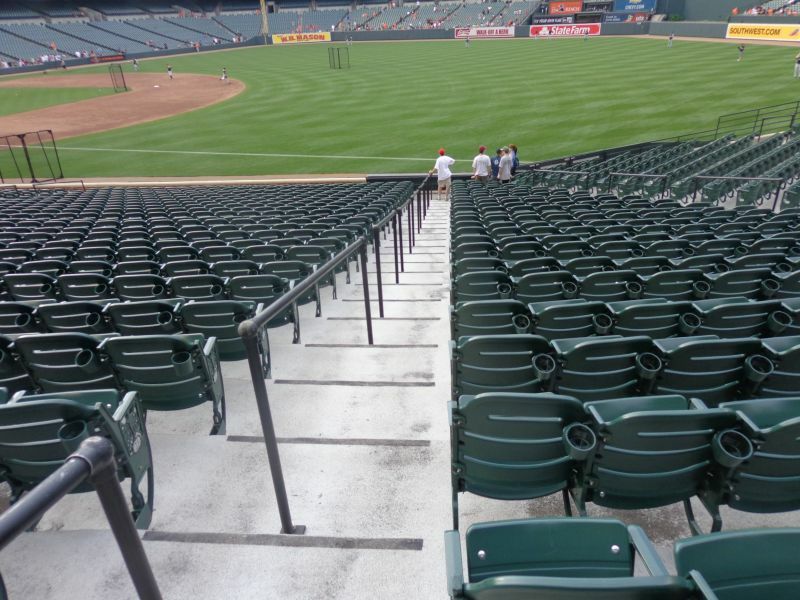 The creation of Camden Yards is like if the first person in the history of basketball to dunk was Michael Jordan. 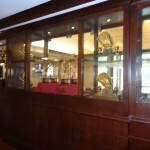 Aesthetically speaking, you can make a strong argument it is still the best. 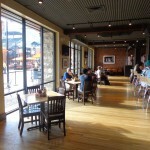 In the same place where President Abraham Lincoln rode through on a train in 1861 and 1865, the interior design element of the warehouse is still unmatched. 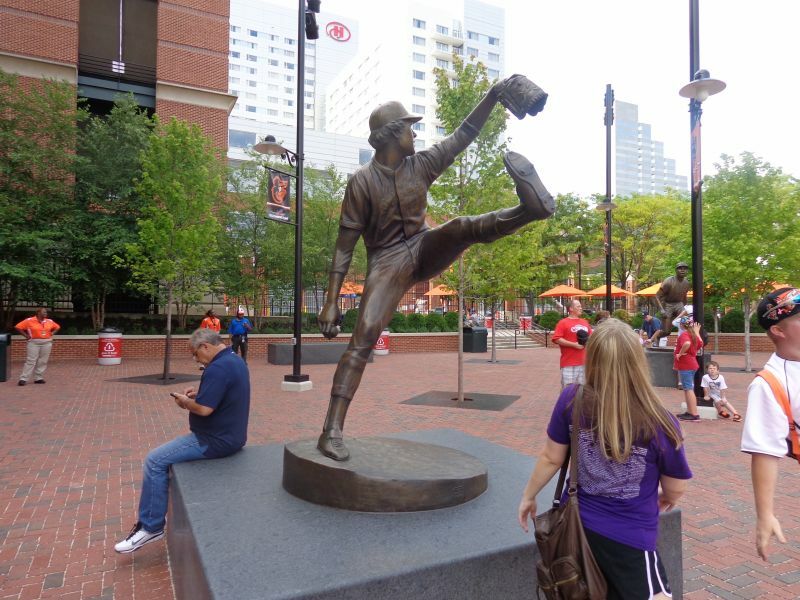 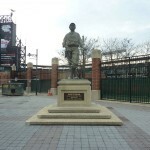 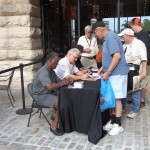 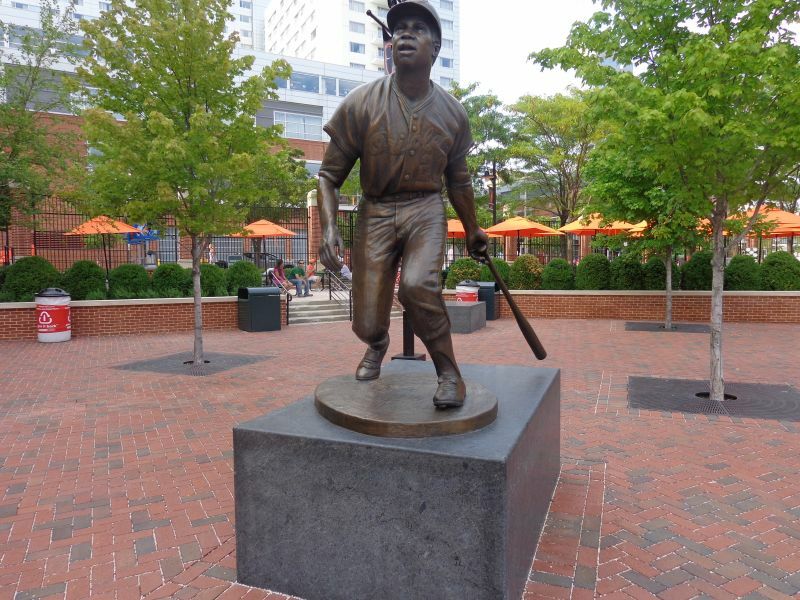 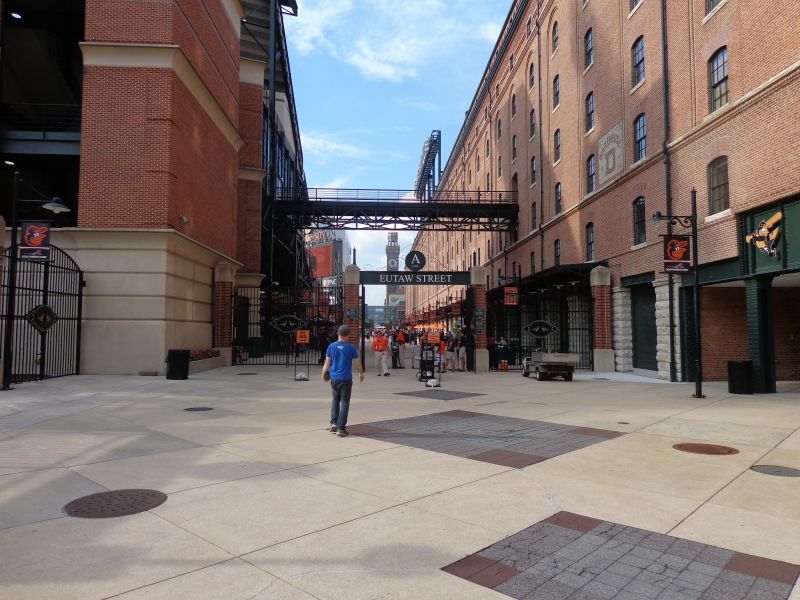 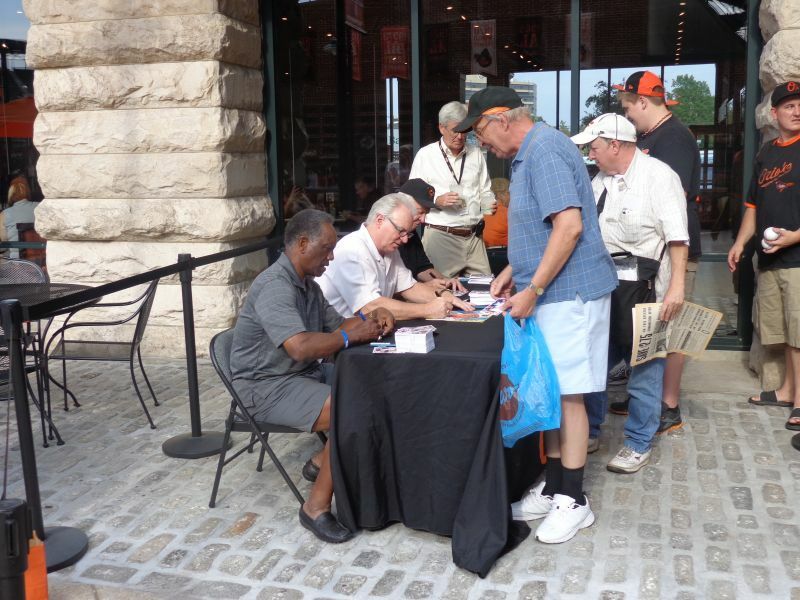 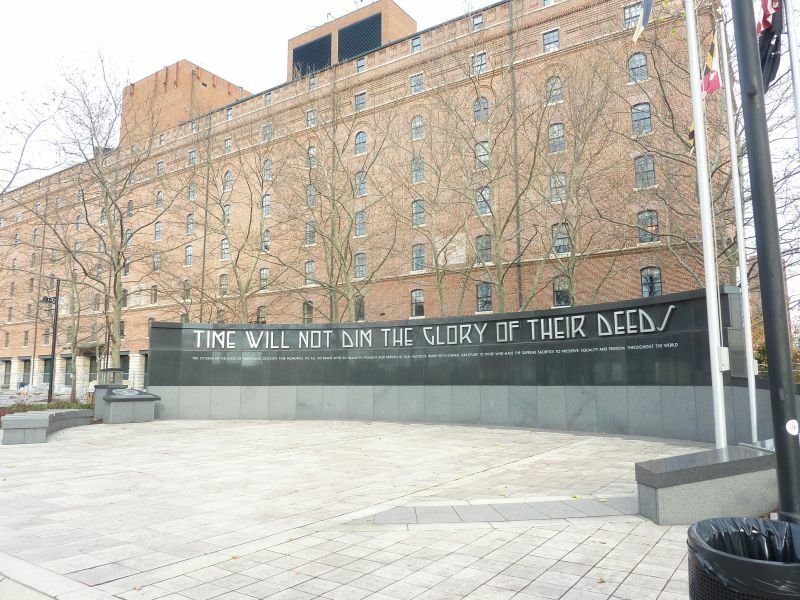 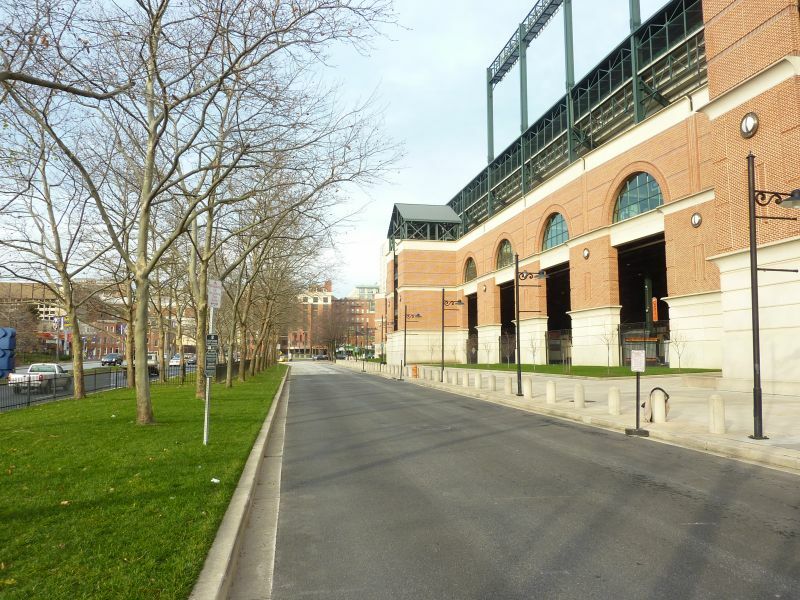 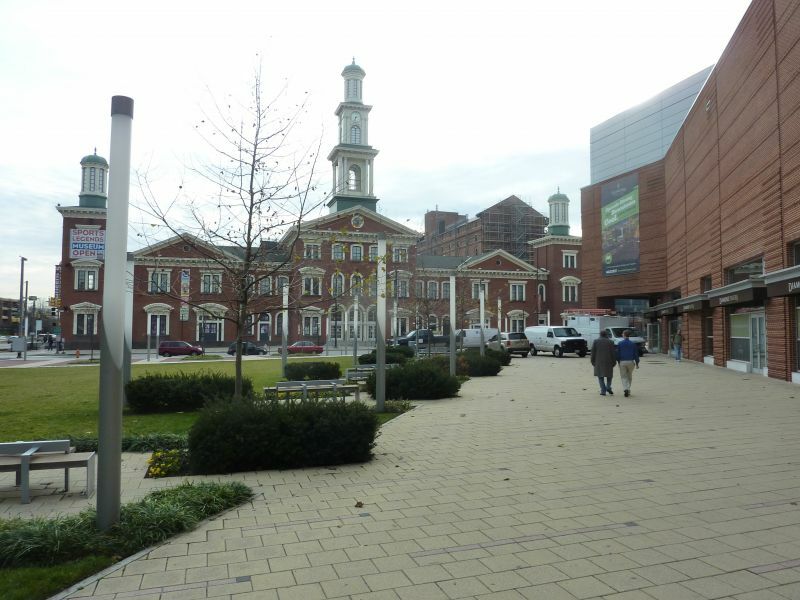 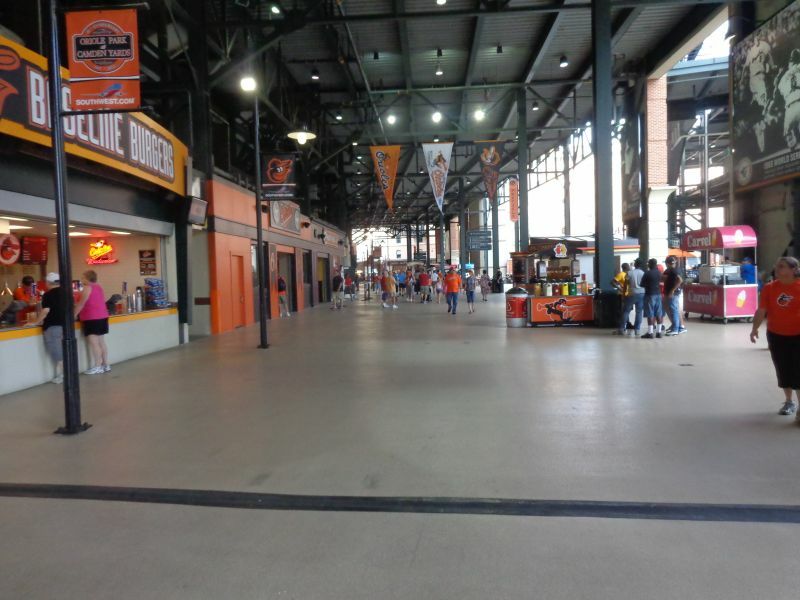 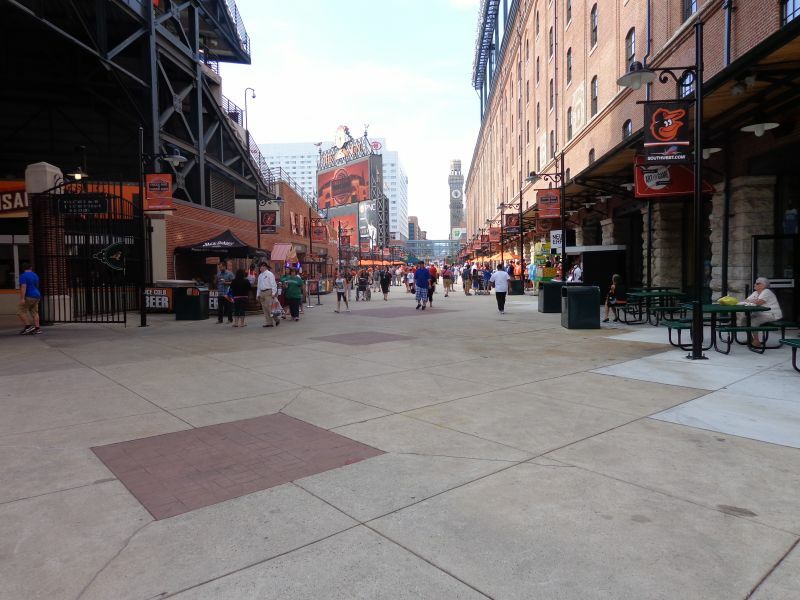 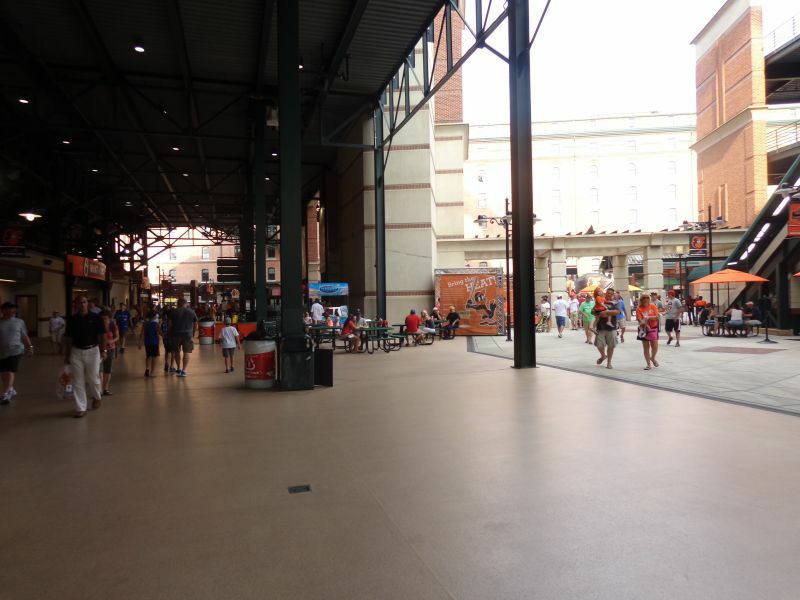 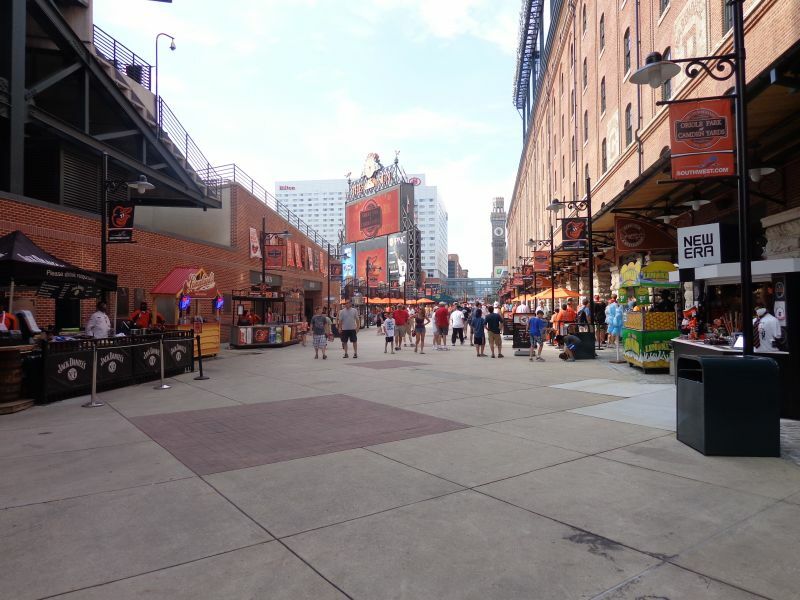 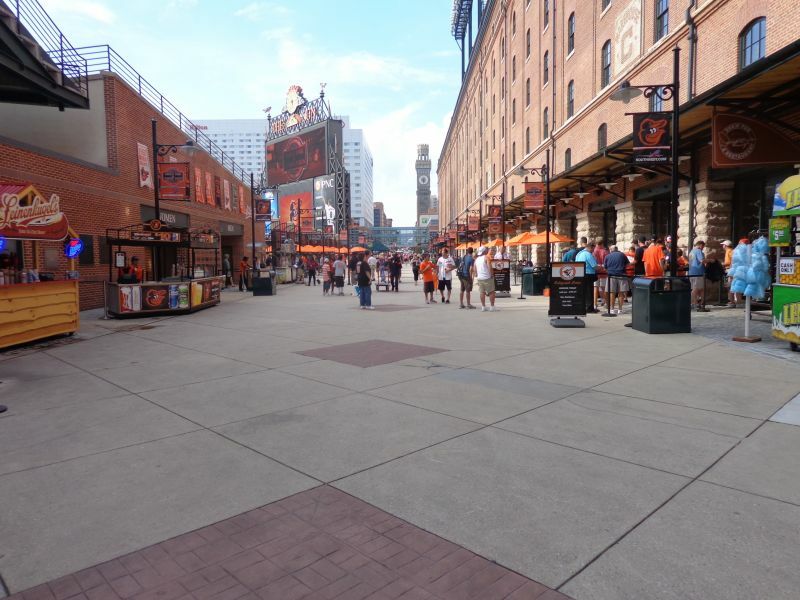 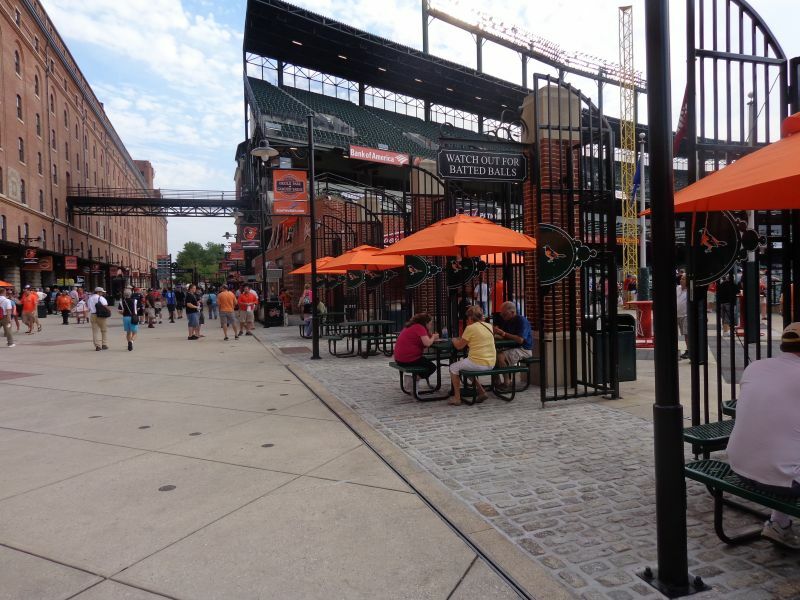 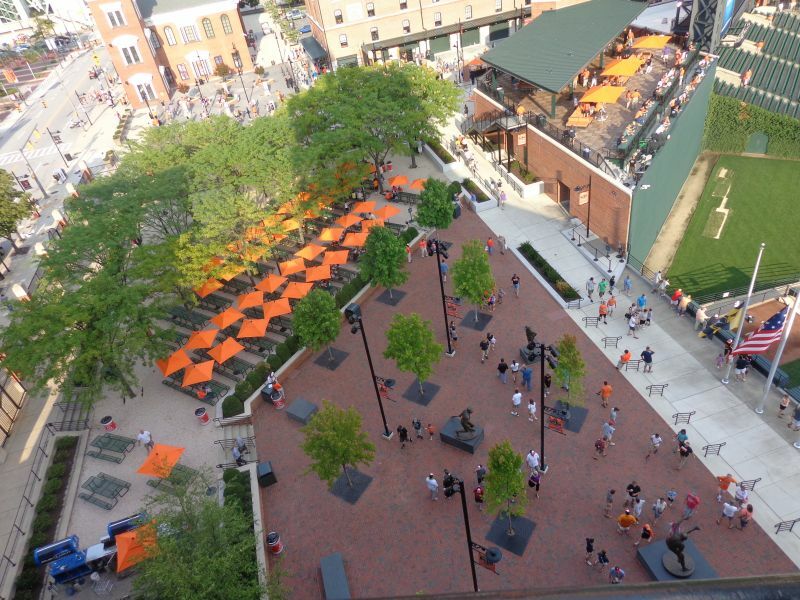 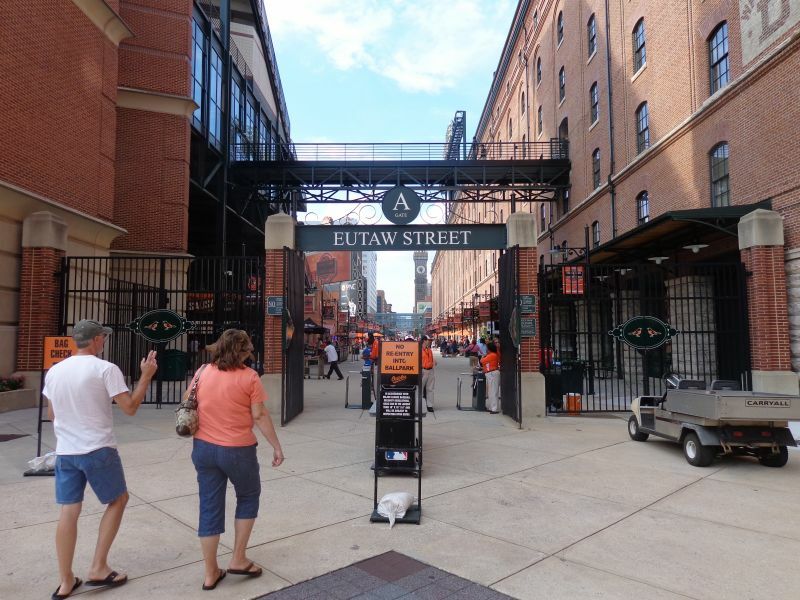 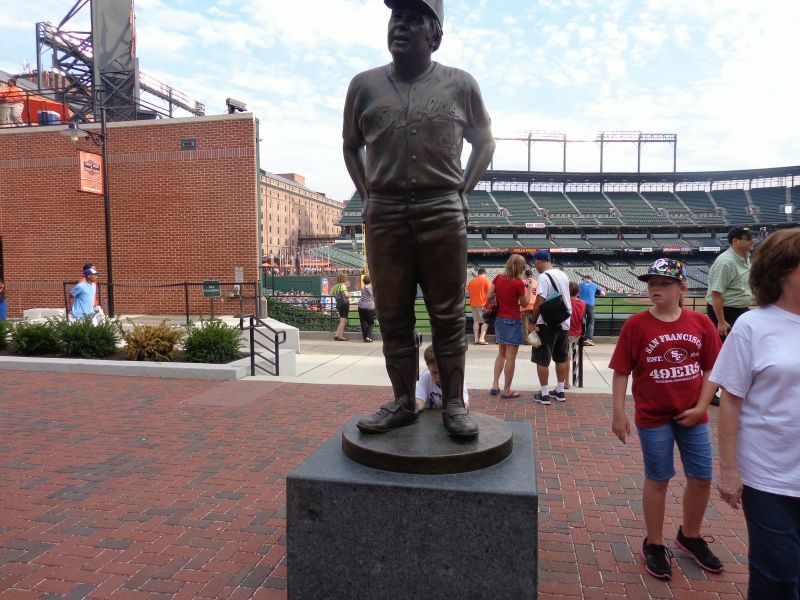 None of the subsequent ballparks were able to flawlessly incorporate such a prominent but authentic signature feature; especially one that so brilliantly ties the roots of the city and the country via Eutaw Street to the America’s pastime. 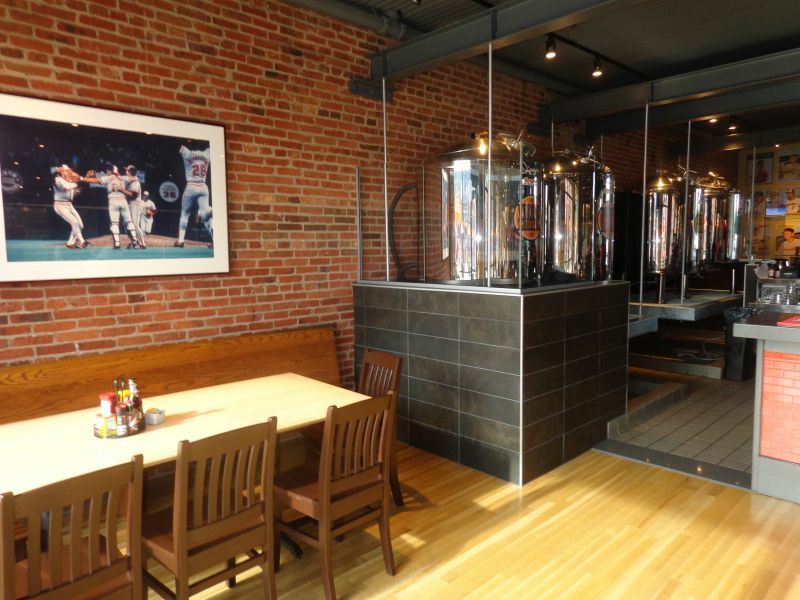 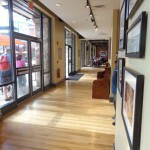 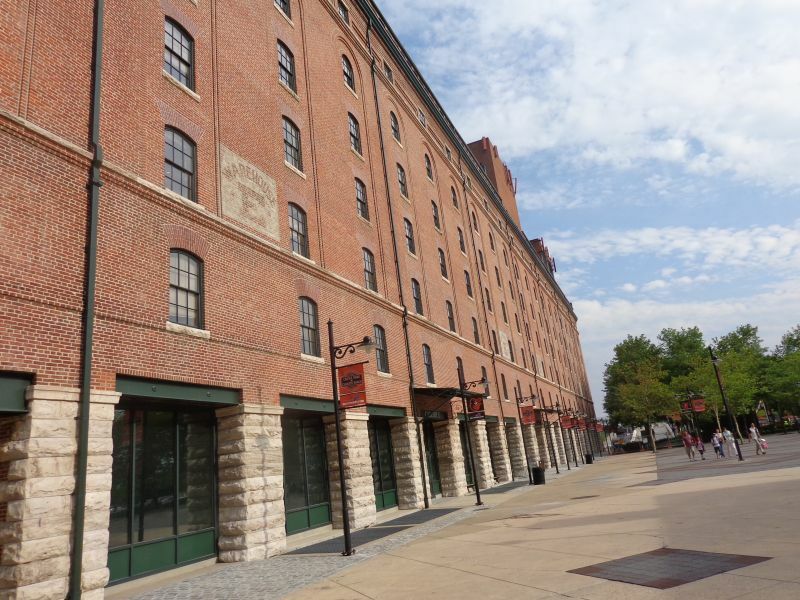 The interior design element of the B&O Warehouse on Eutaw Street is still unmatched. 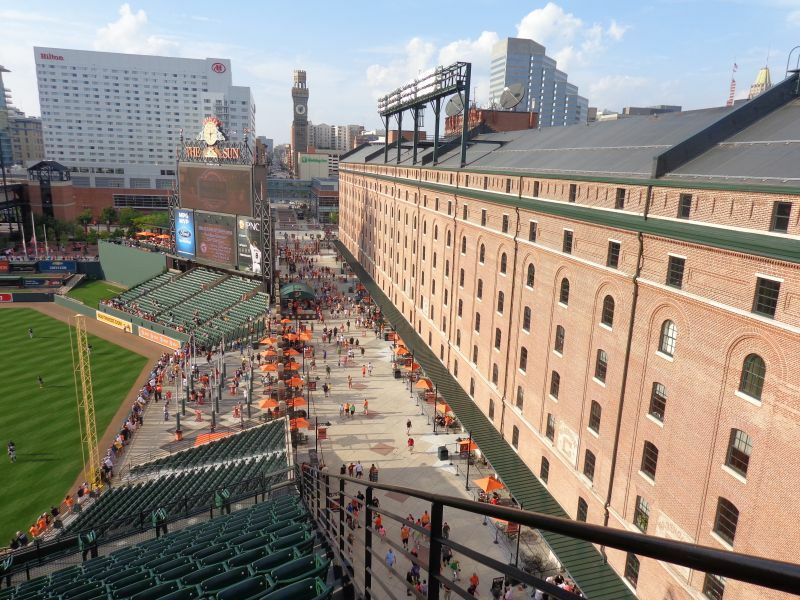 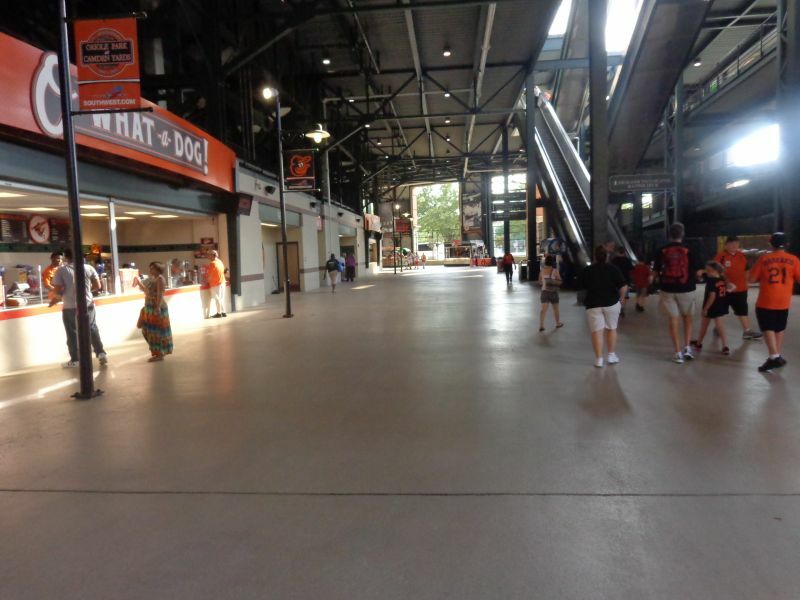 Similarly to how I think we underestimate how bad New Comiskey originally was (its much better now, obviously), I think we also underestimate what a giant leap forward Camden Yards was for the ballpark experience. 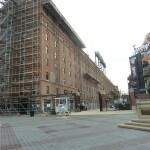 To go from this to this in a matter of 12 months is extraordinary. 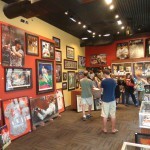 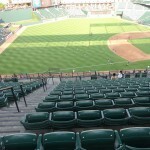 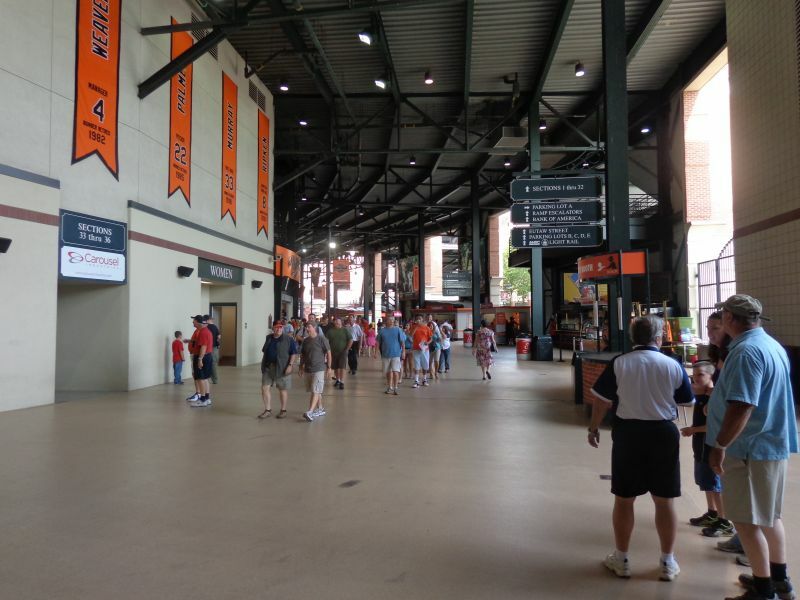 The exact contrary sentiment is the more popularly held view among ballpark aficionados. 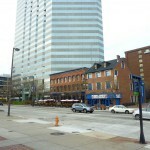 The implications of this building stretch far deeper than superficial aesthetic treatment, not only spawning a generation of retro clones, but also revolutionizing the idea of contextual integration, downtown views, urban settings, local food options, along with numerous other little amenities and design flares. 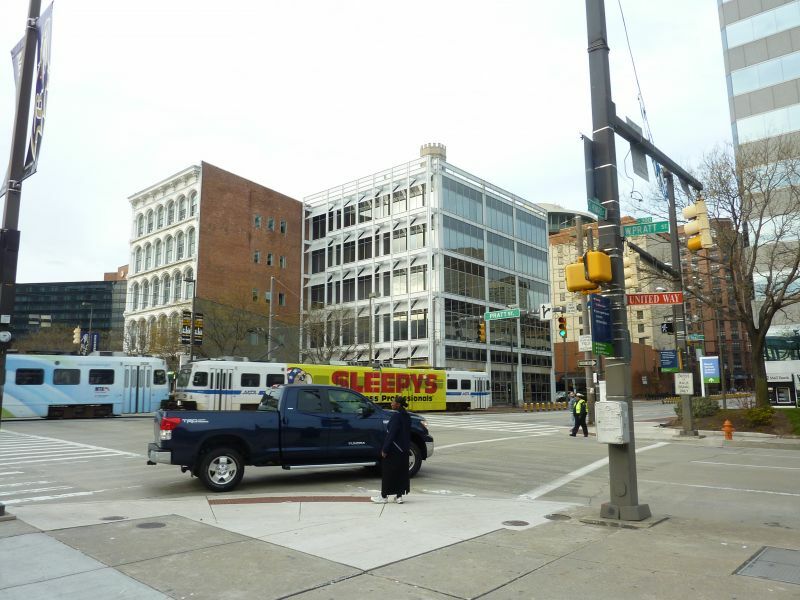 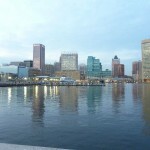 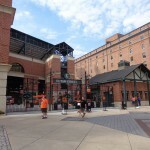 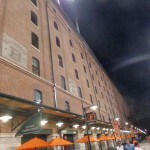 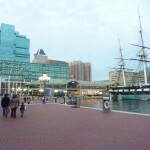 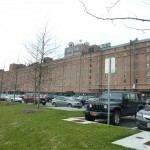 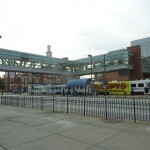 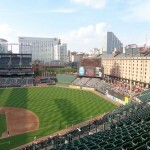 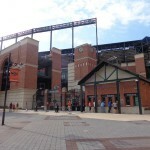 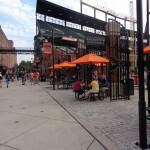 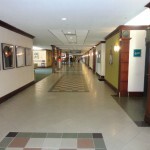 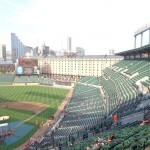 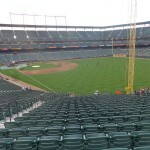 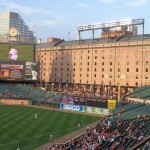 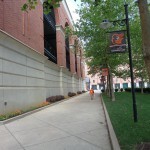 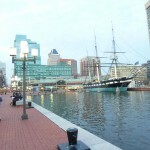 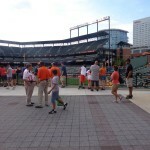 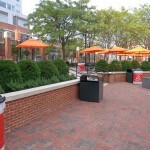 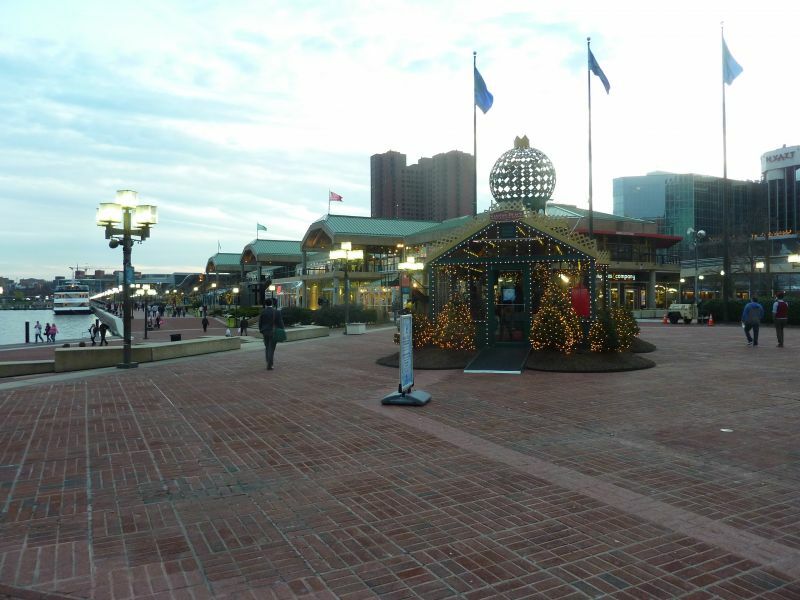 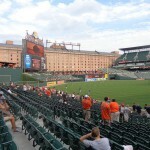 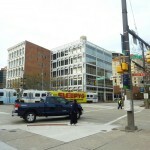 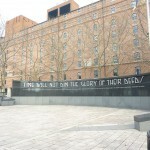 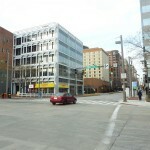 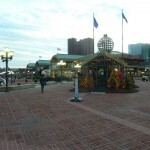 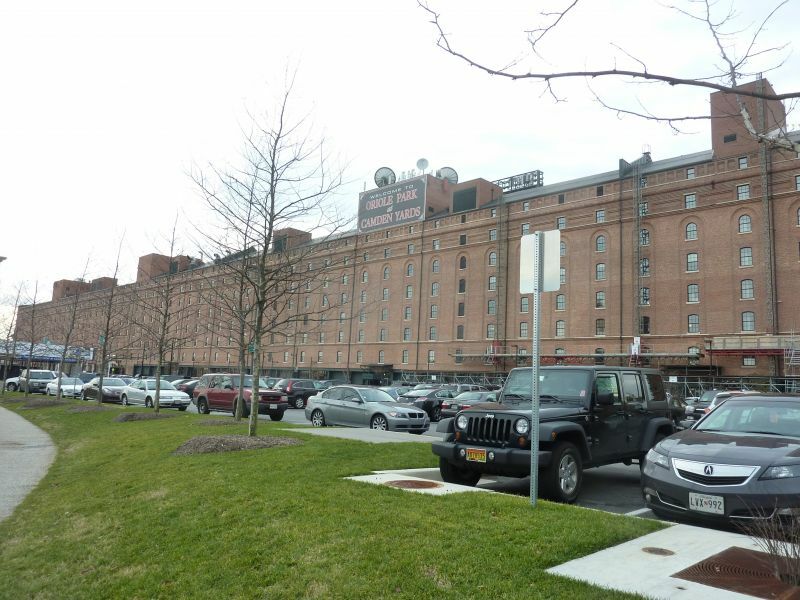 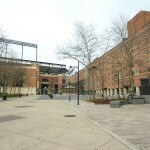 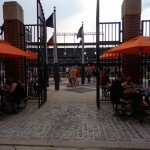 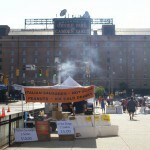 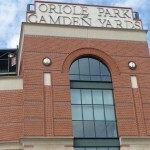 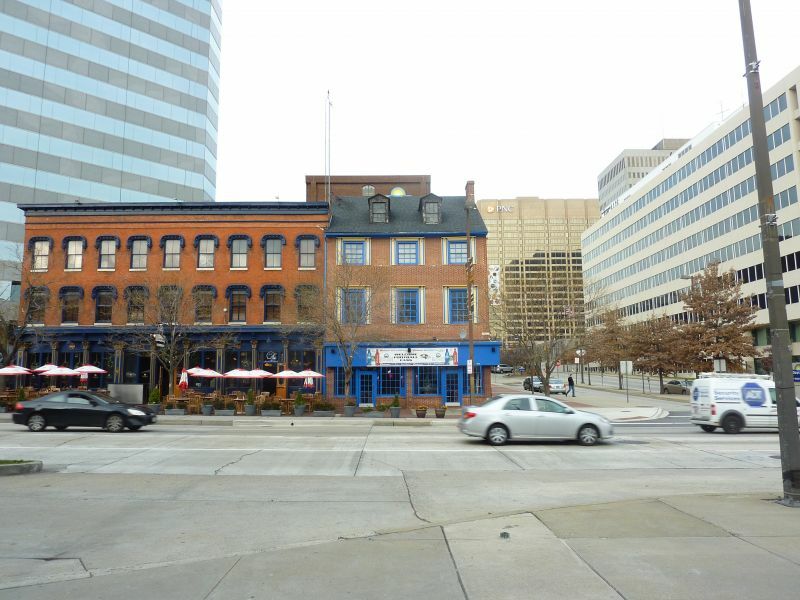 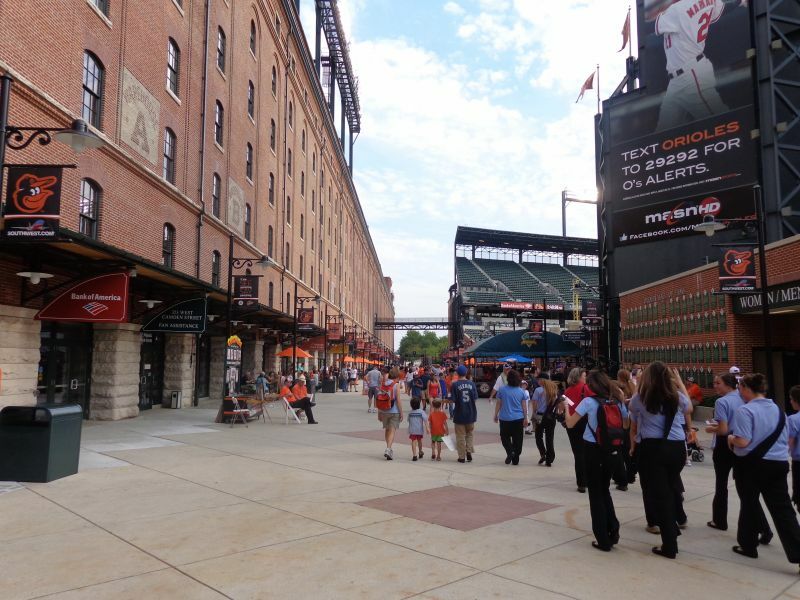 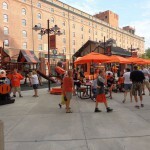 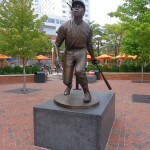 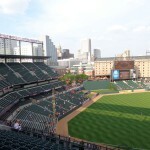 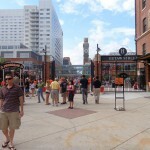 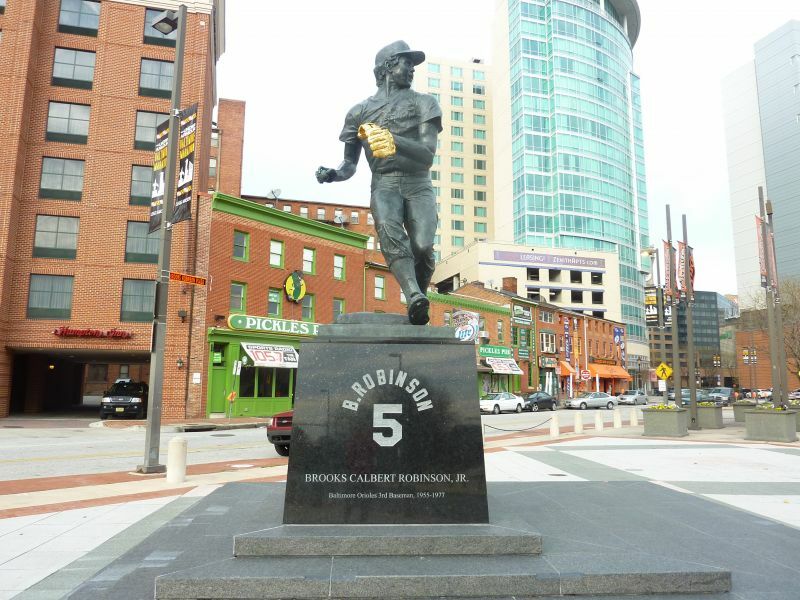 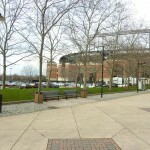 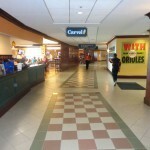 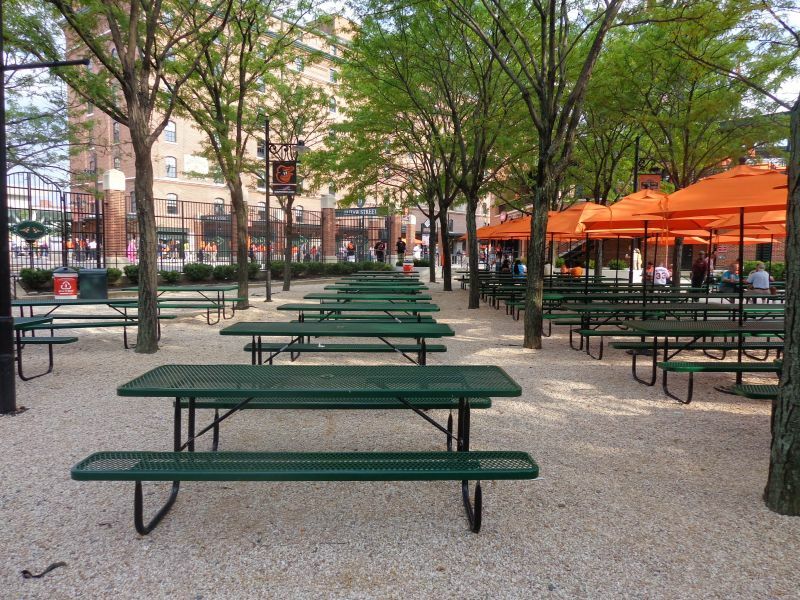 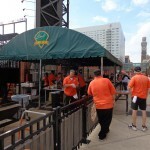 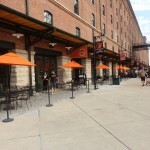 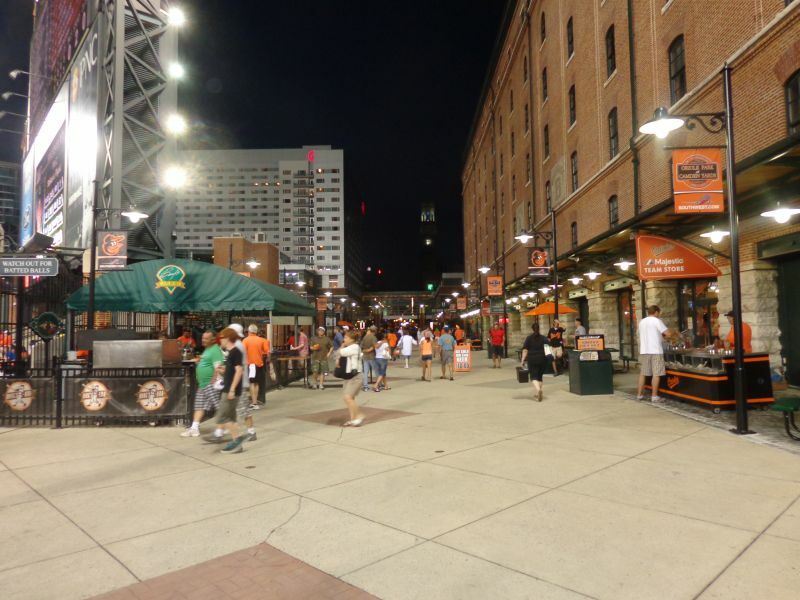 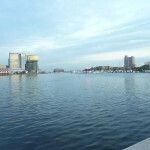 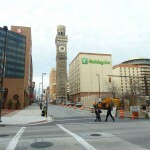 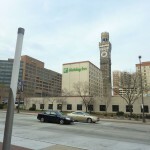 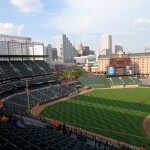 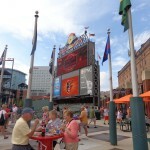 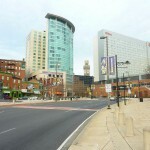 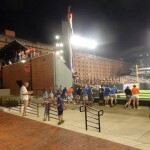 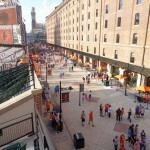 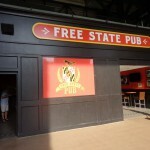 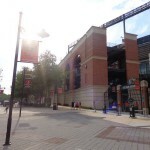 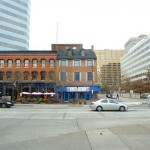 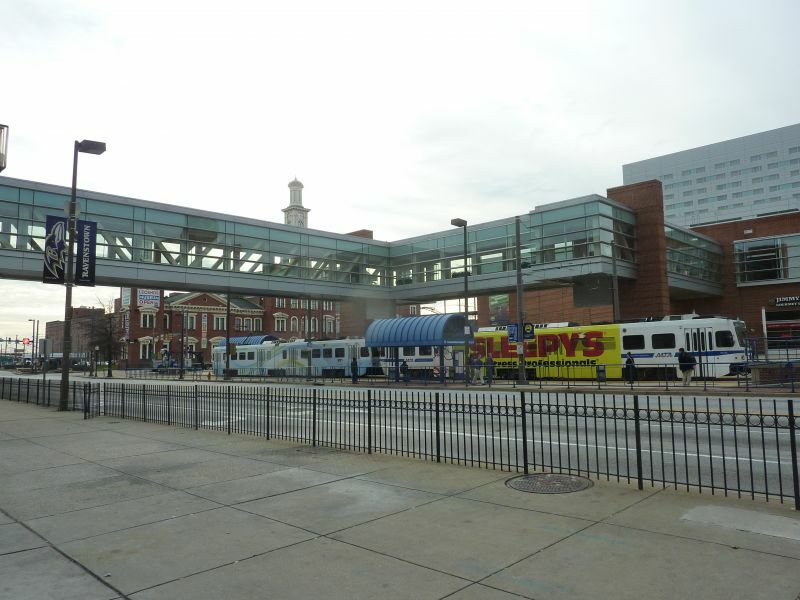 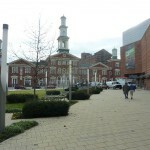 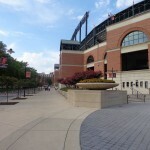 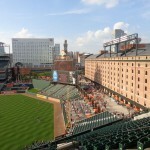 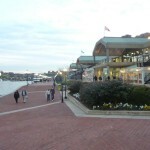 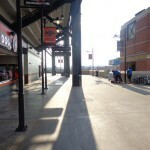 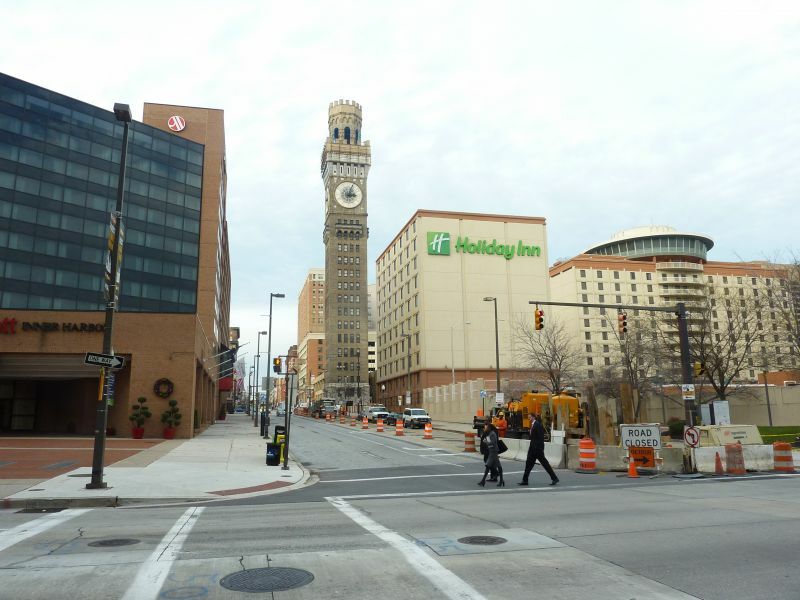 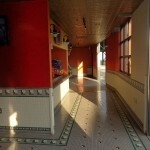 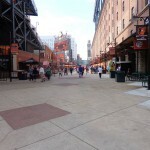 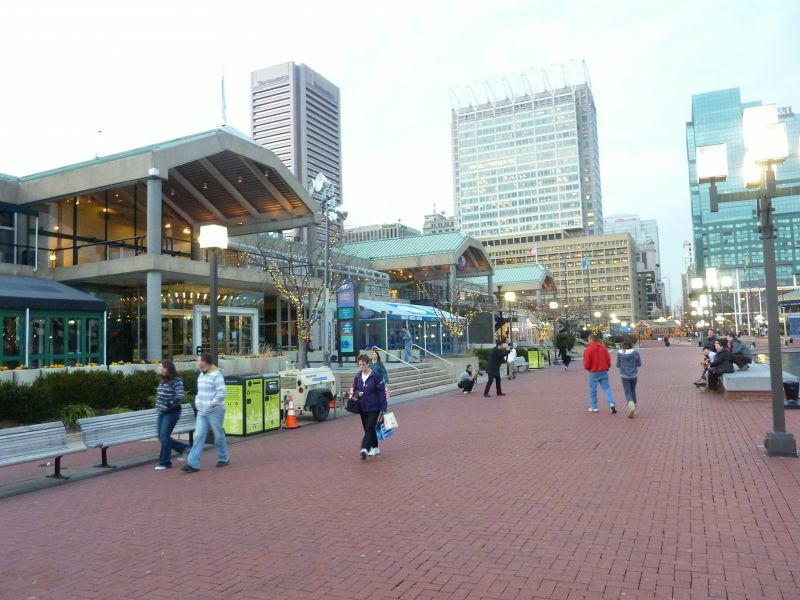 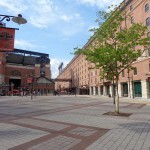 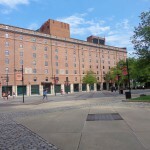 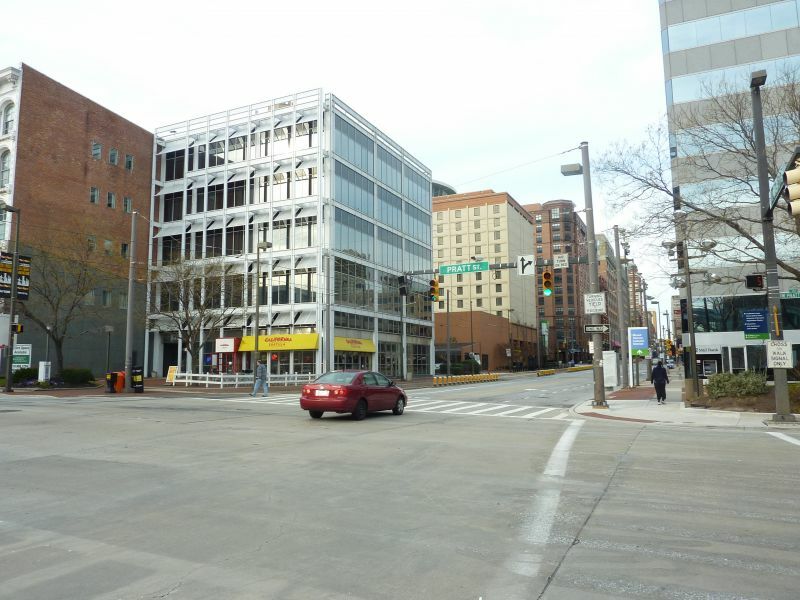 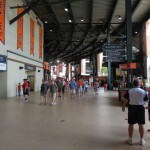 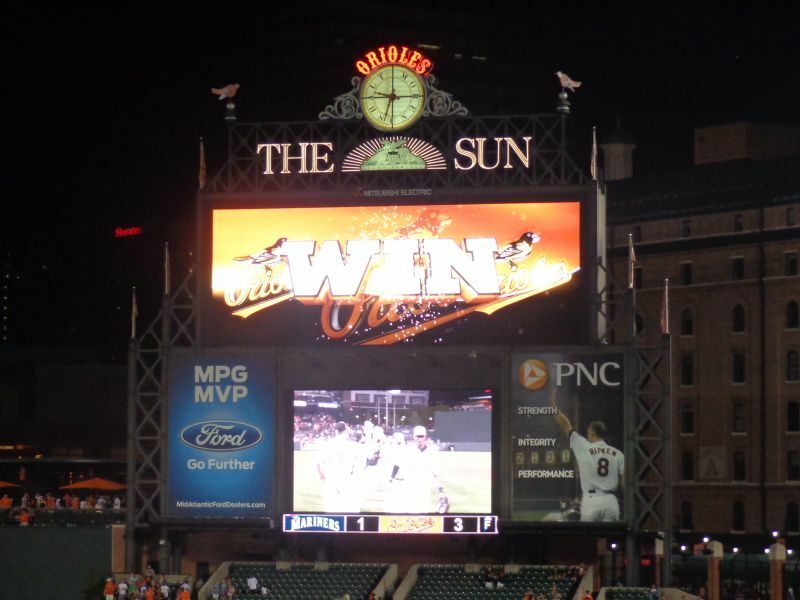 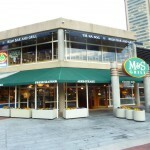 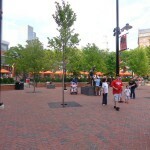 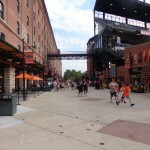 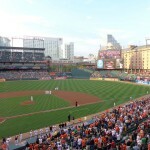 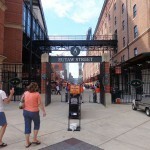 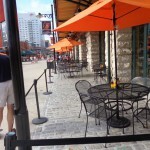 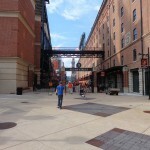 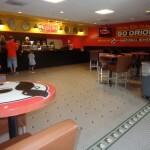 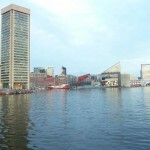 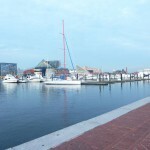 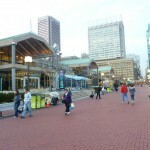 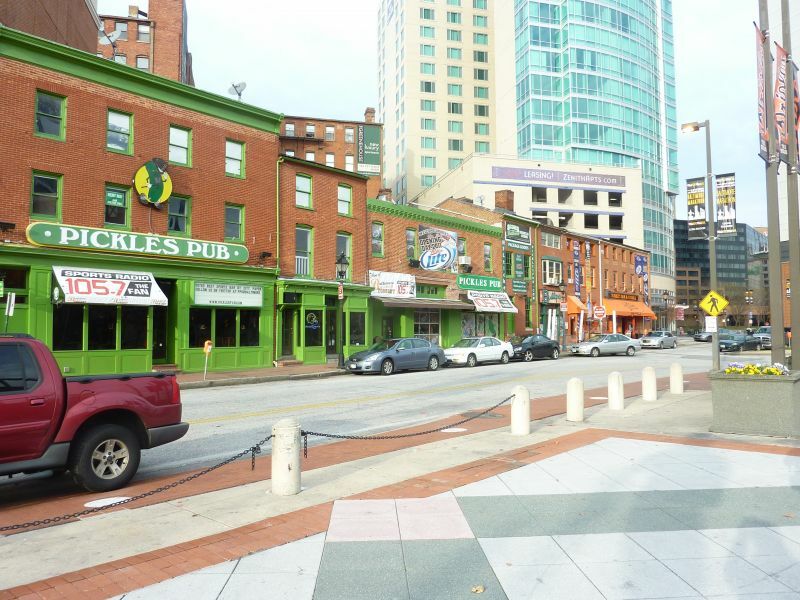 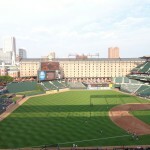 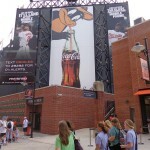 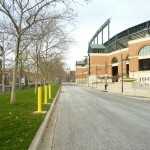 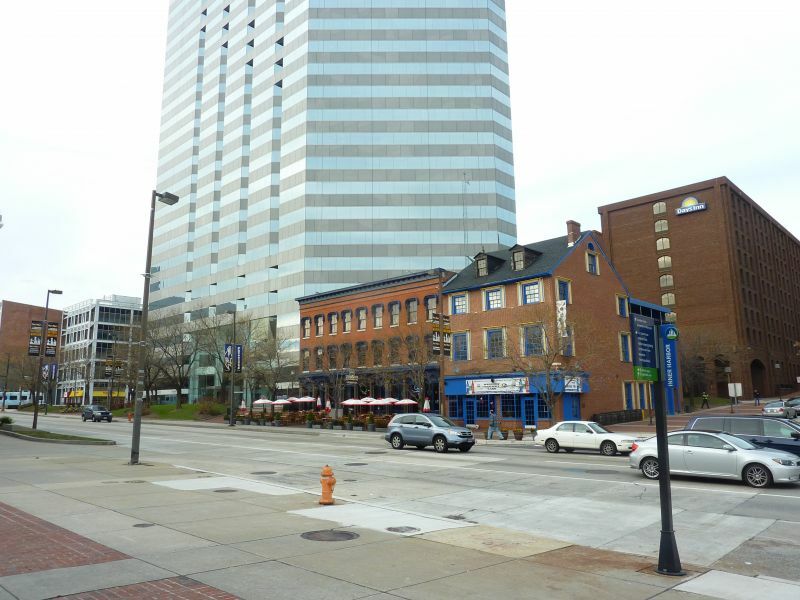 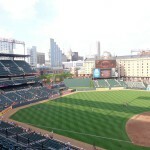 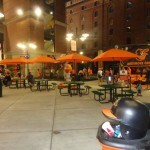 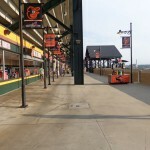 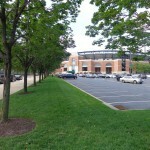 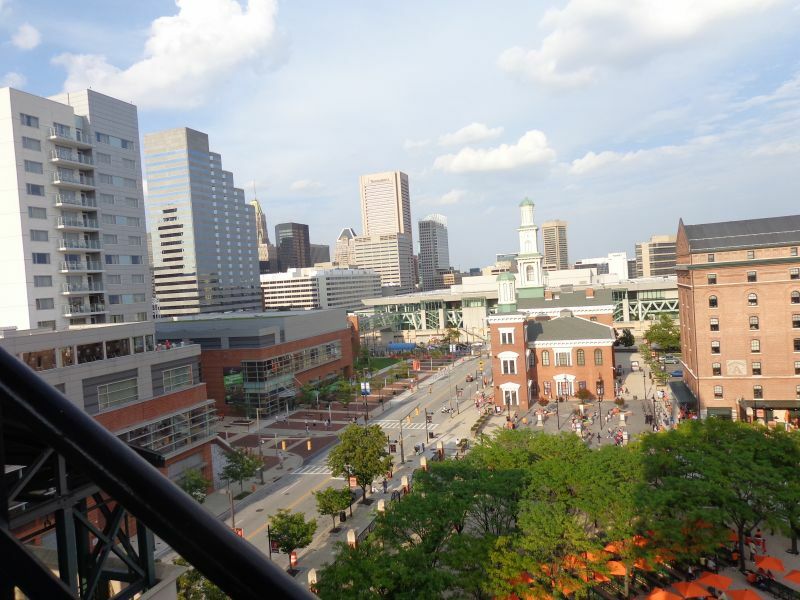 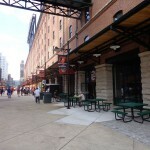 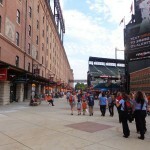 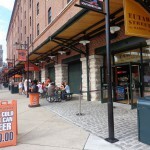 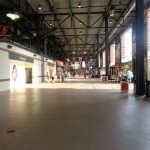 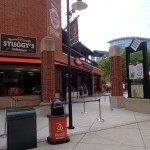 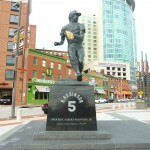 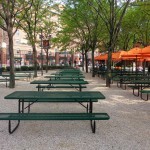 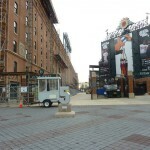 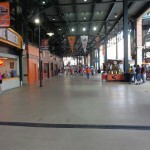 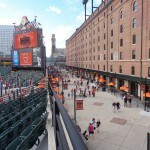 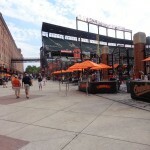 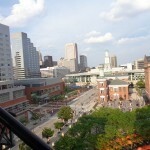 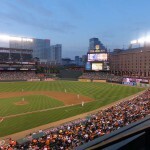 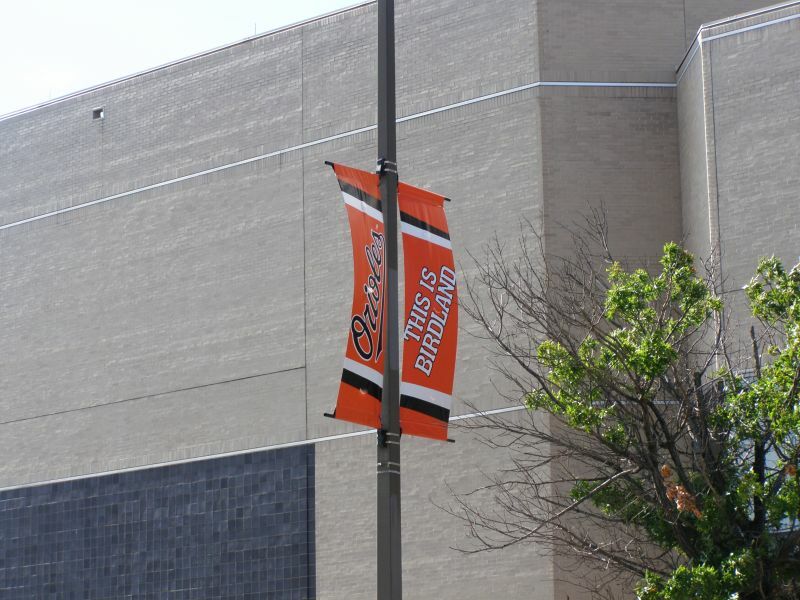 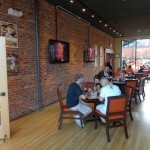 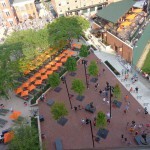 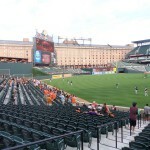 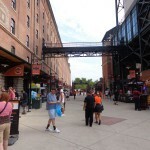 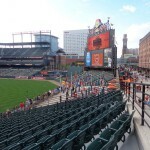 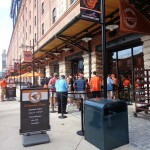 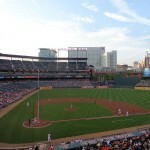 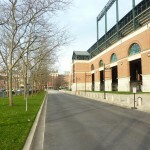 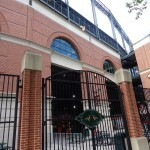 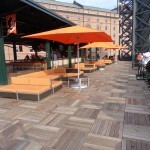 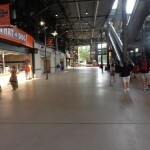 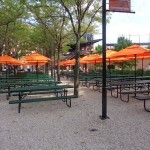 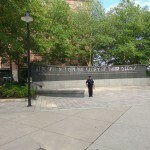 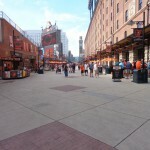 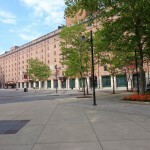 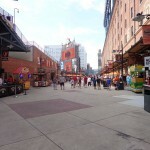 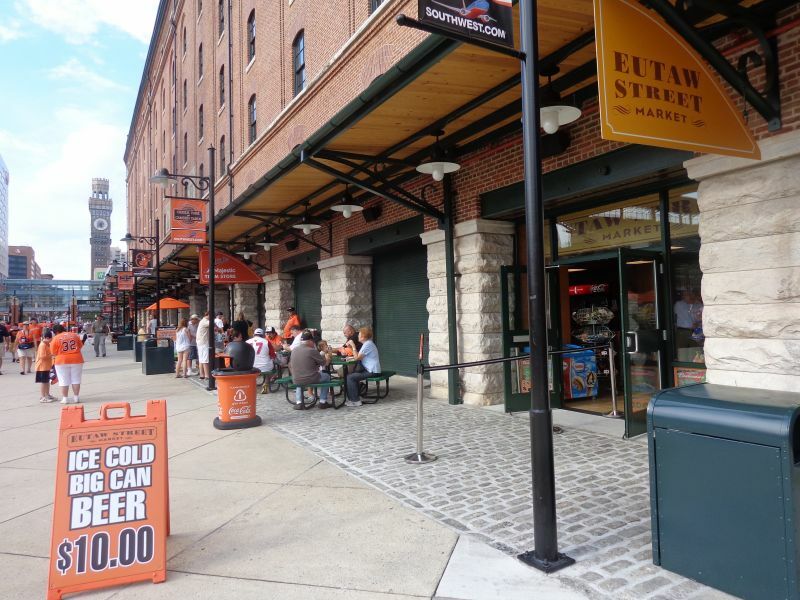 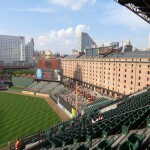 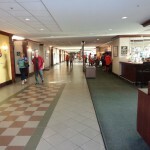 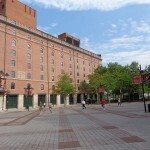 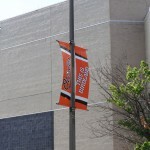 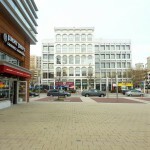 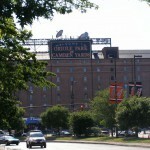 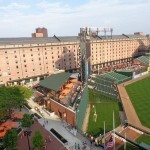 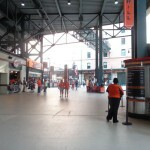 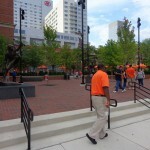 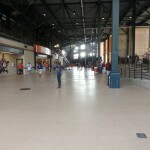 It not only revitalized an area once characterized as the epitome of urban blight, but also changed the urban fabric of cities across America and revived the identity of Orioles baseball (although admittedly, that revitalization model was rarely worth it in terms of cost-benefit analysis, which again indicates why this situation was so special). 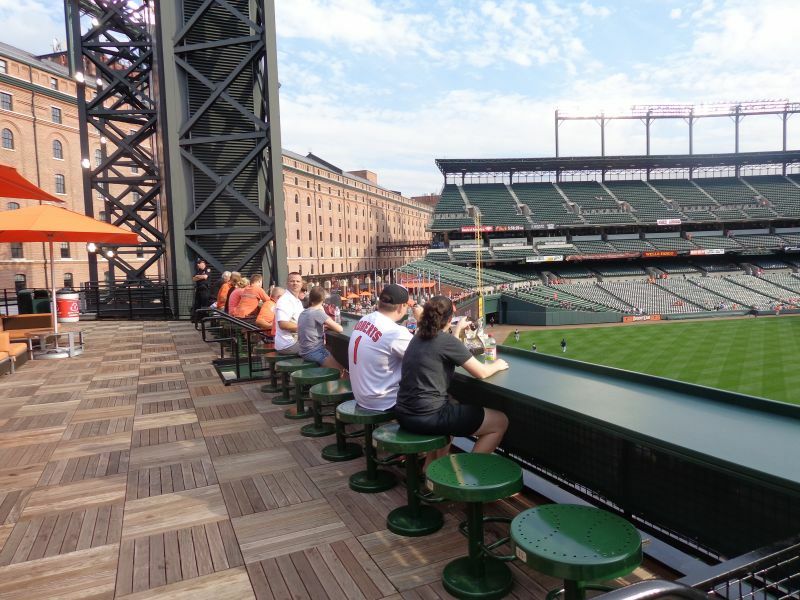 Perhaps most overlooked, it also got something right that almost all subsequent retro ballparks didn’t: building an authentically intimate structure with a low upper deck and great field proximity. 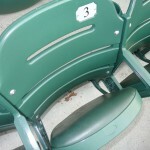 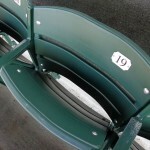 A classic team logo at the end of each row of the seats. 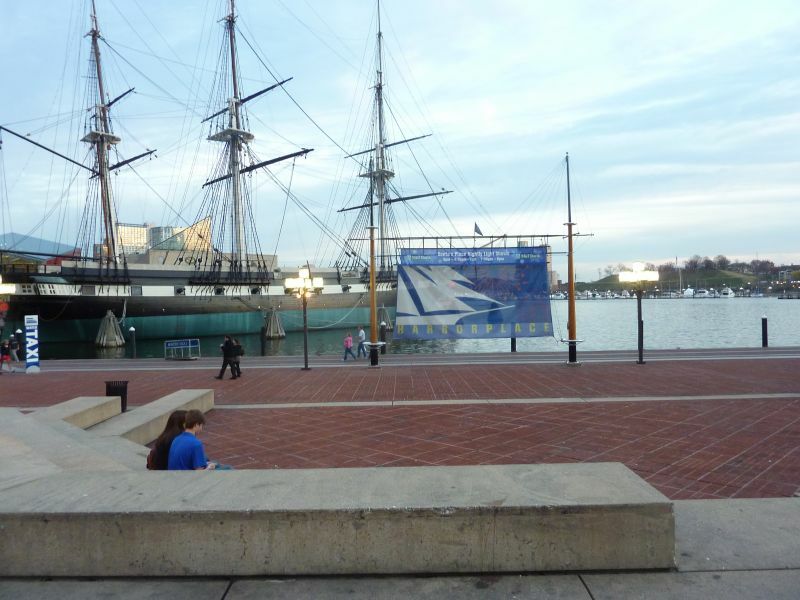 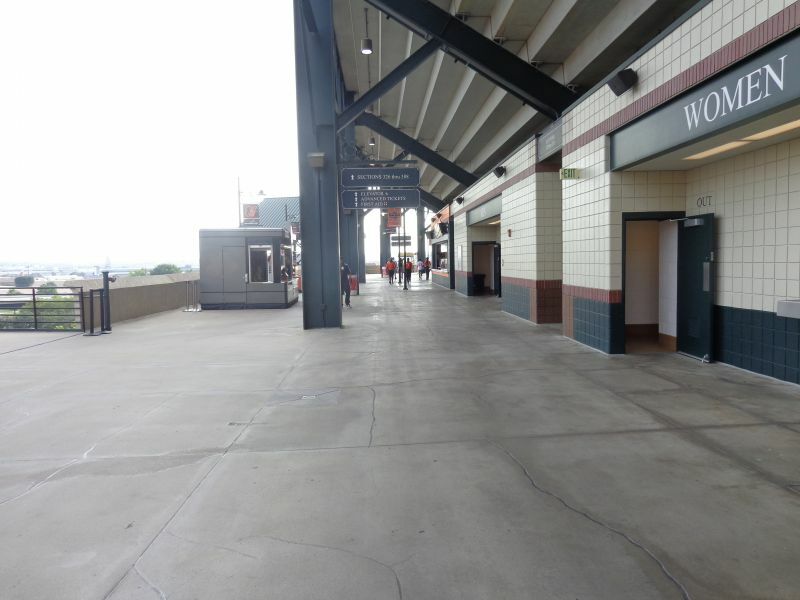 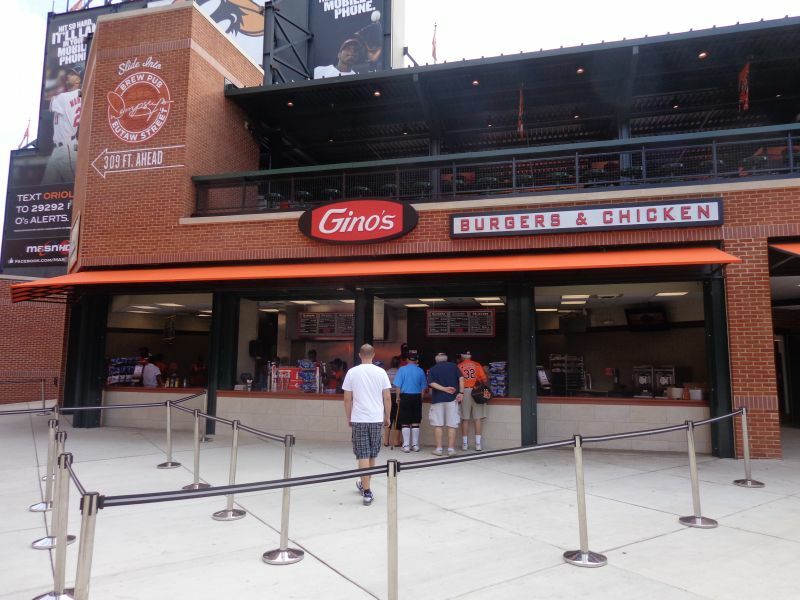 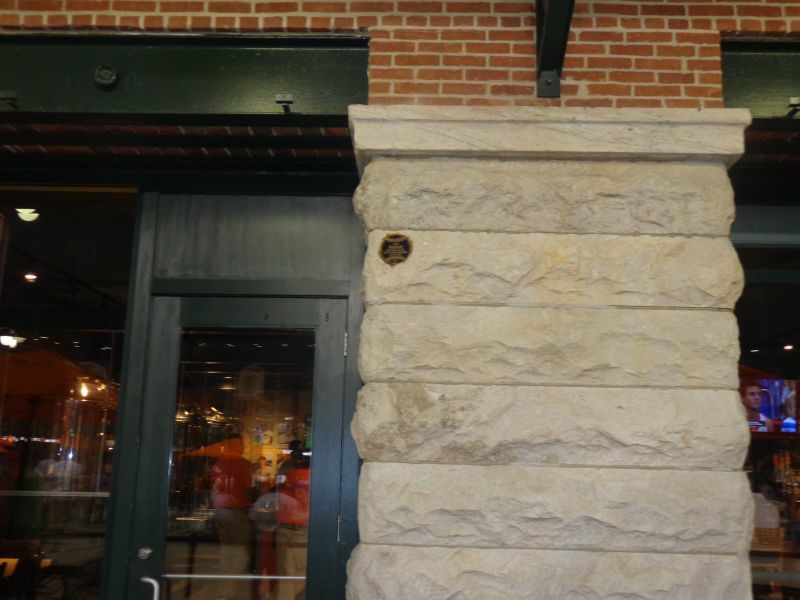 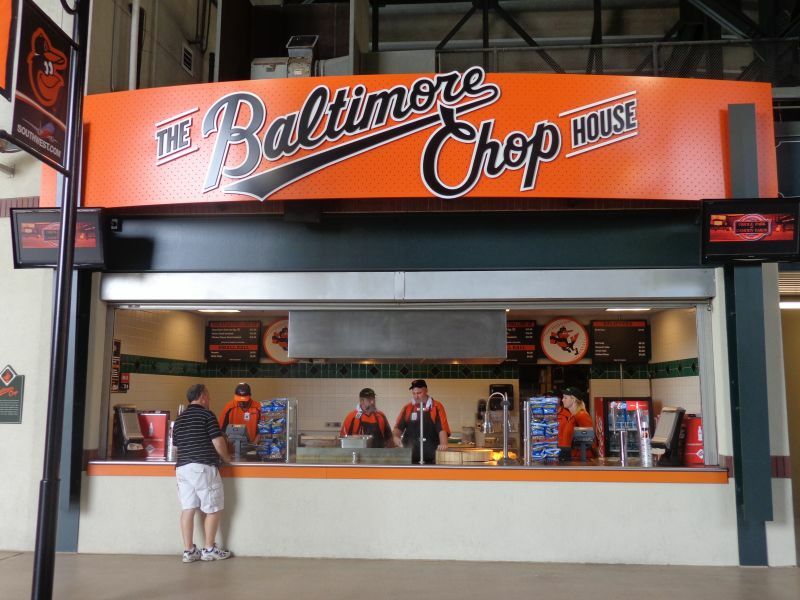 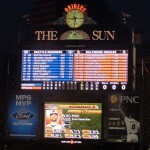 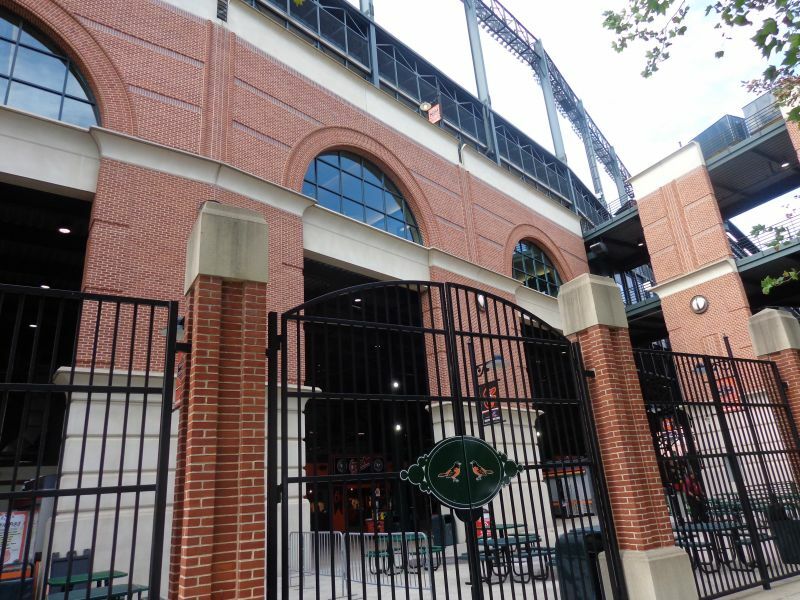 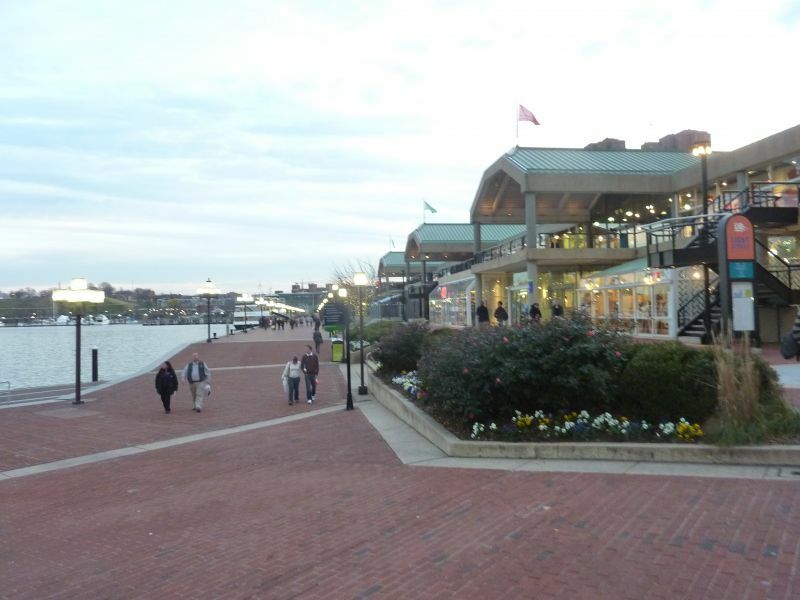 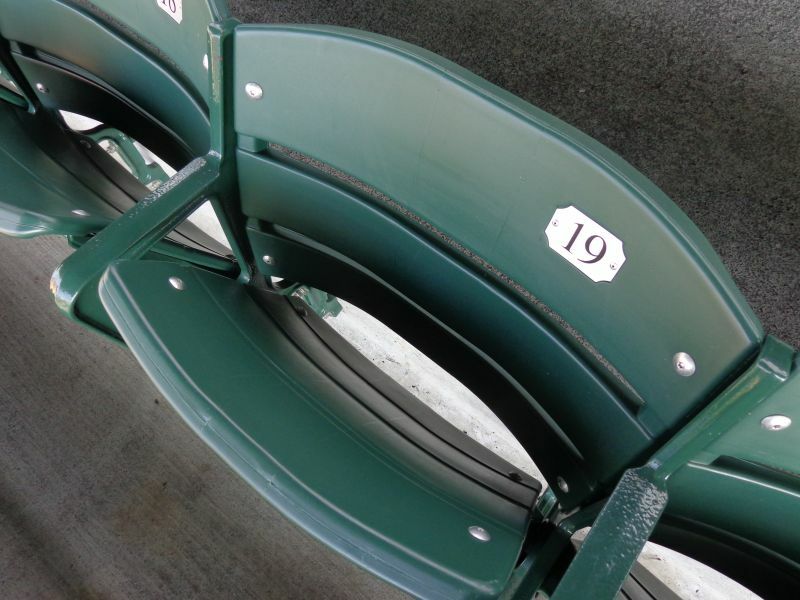 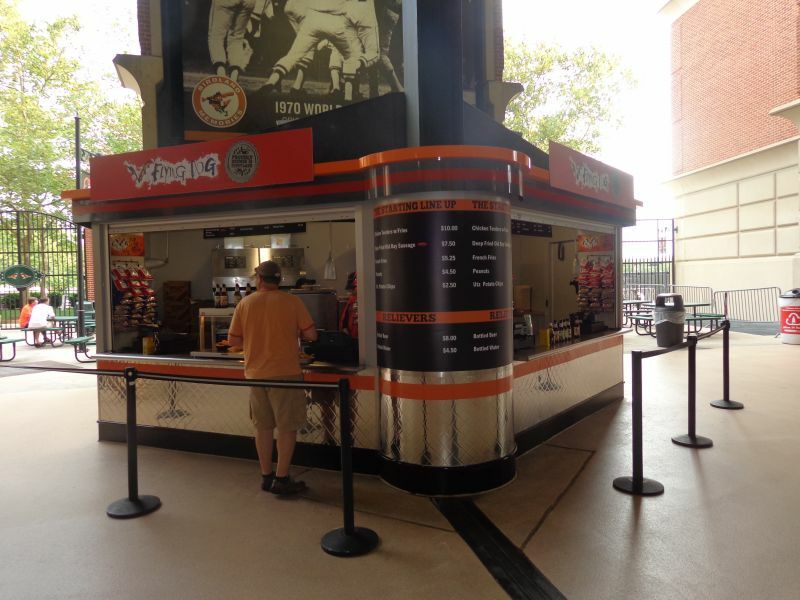 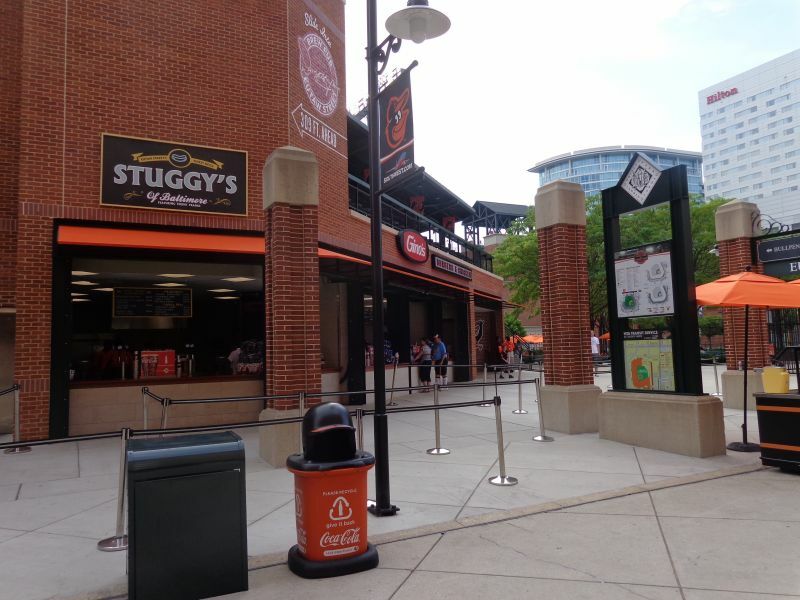 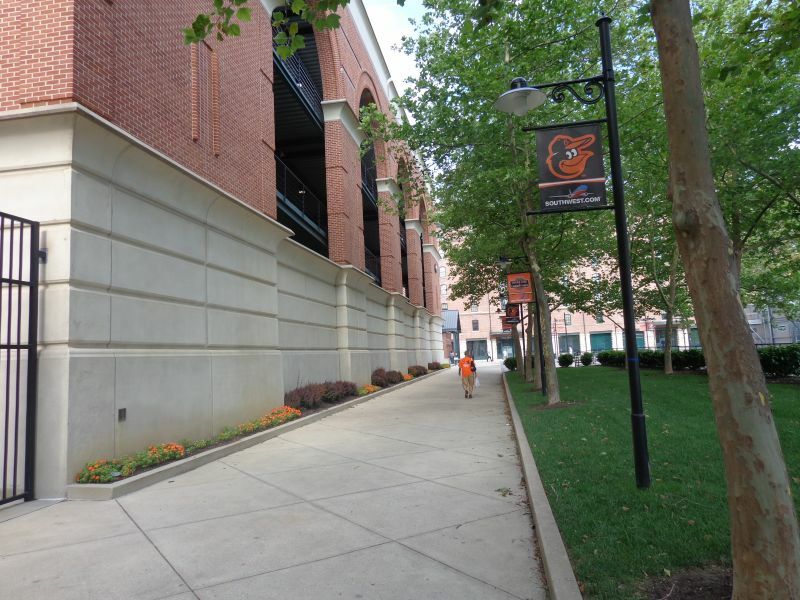 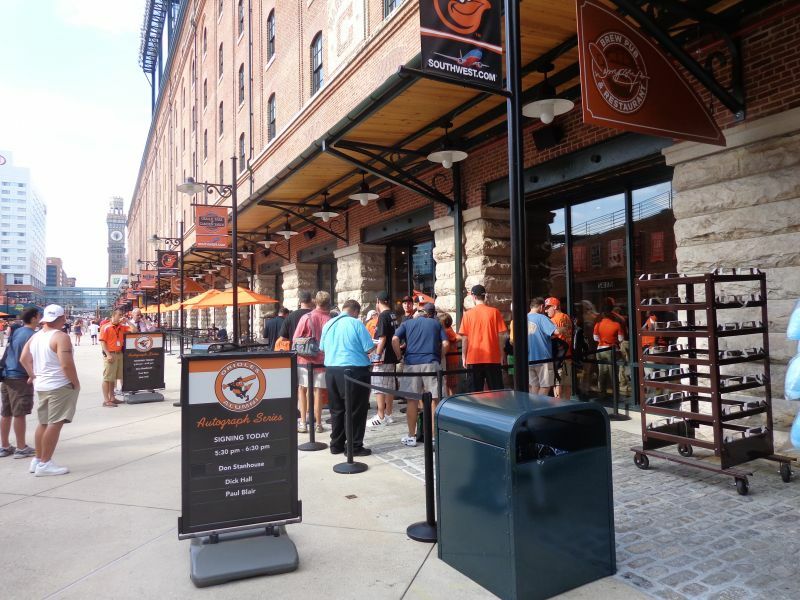 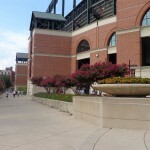 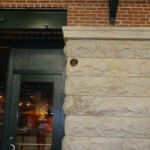 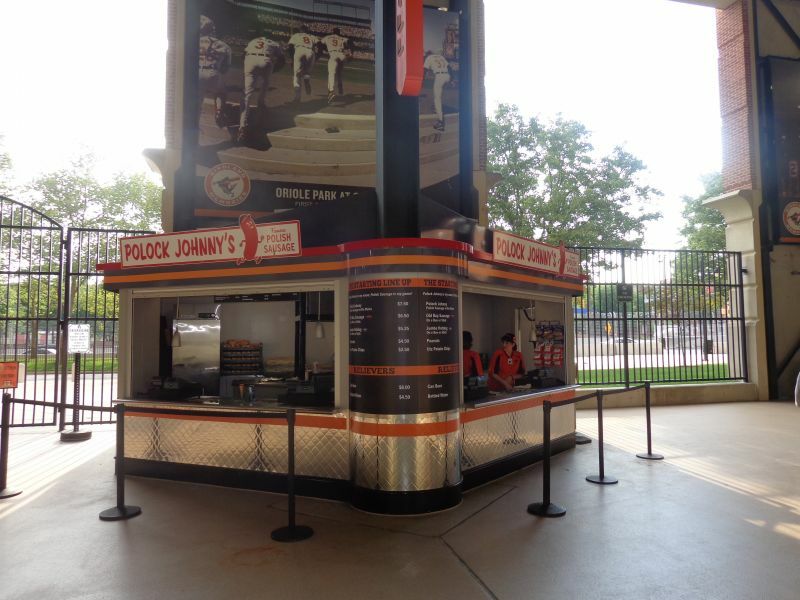 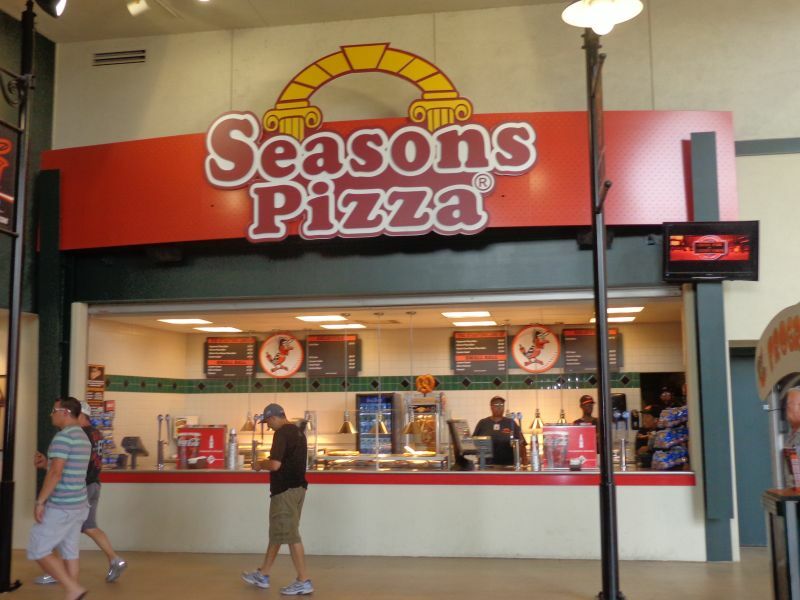 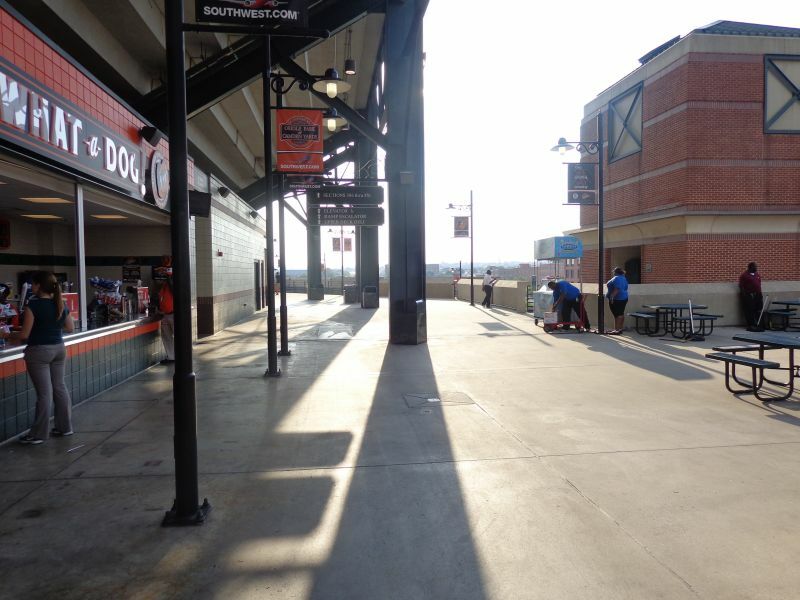 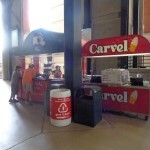 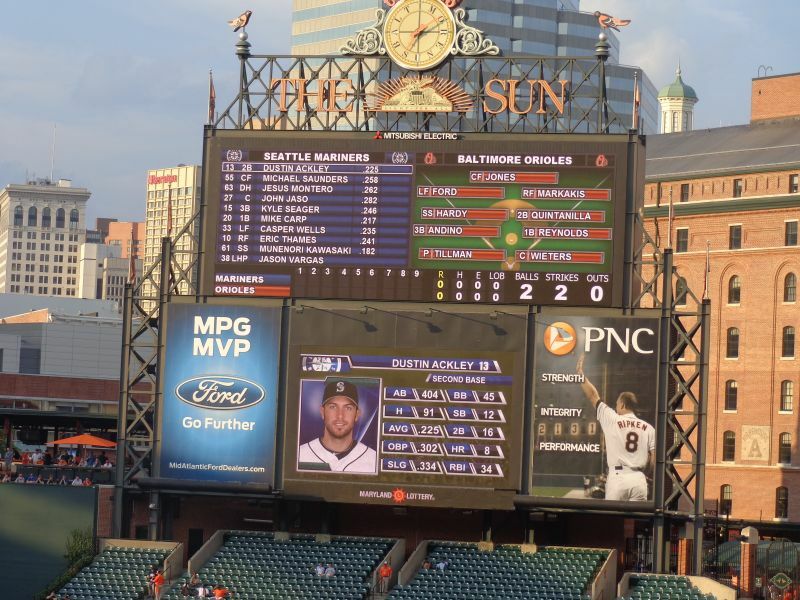 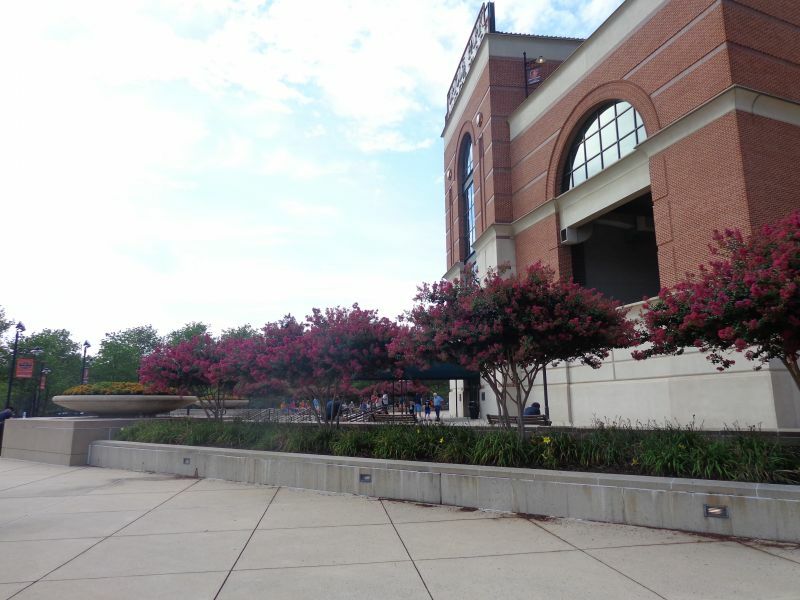 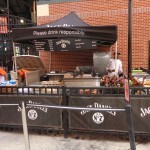 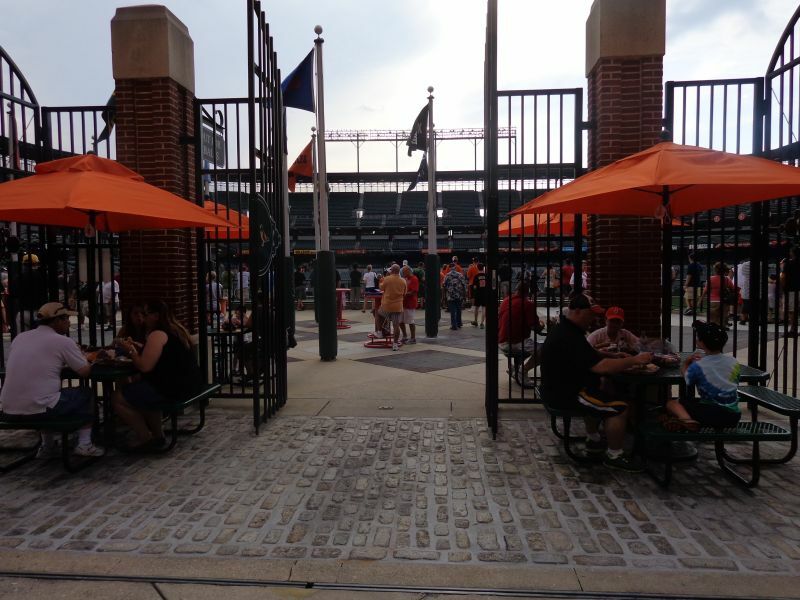 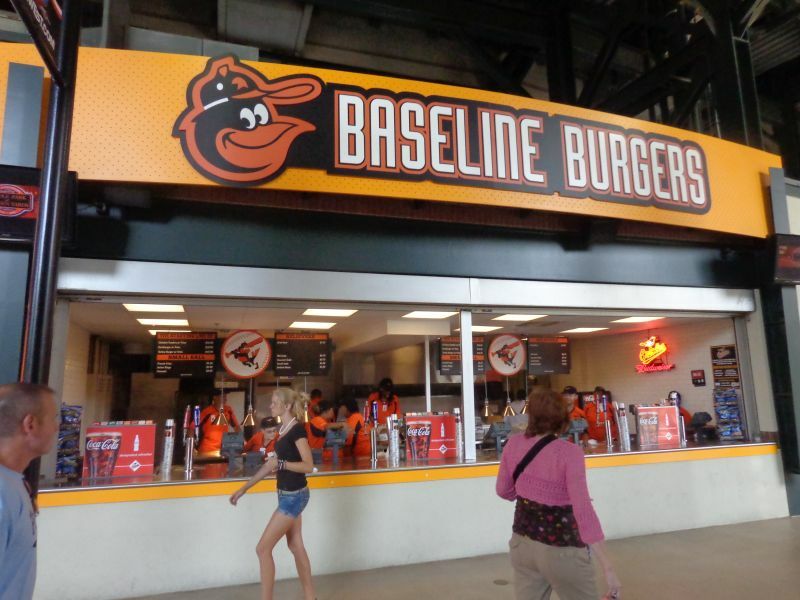 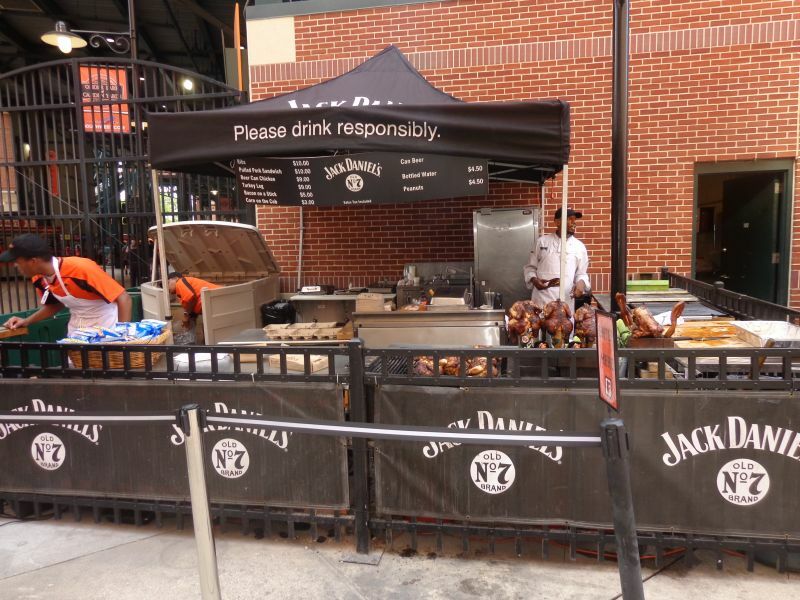 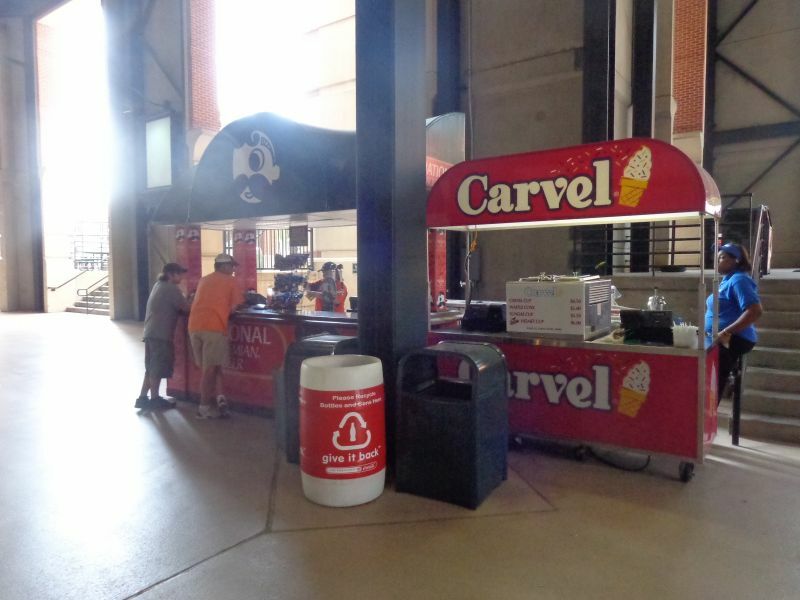 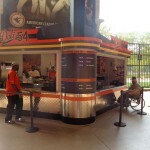 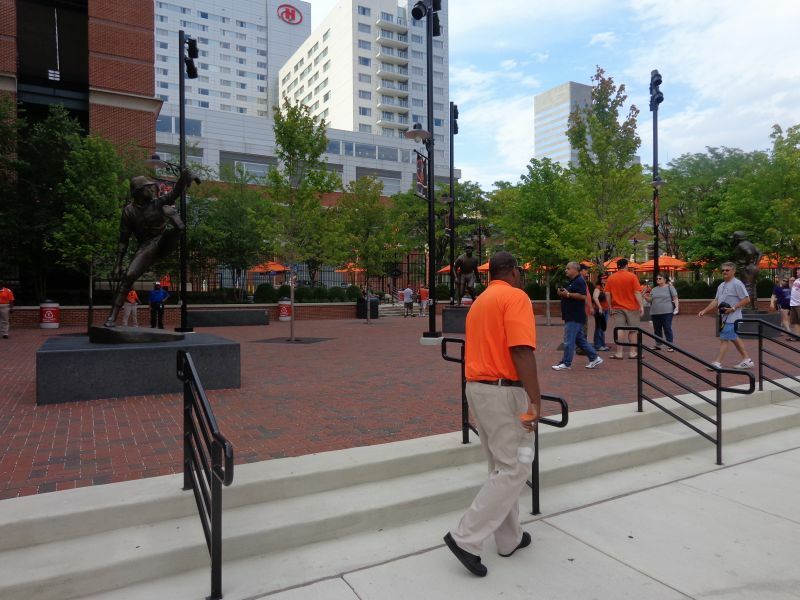 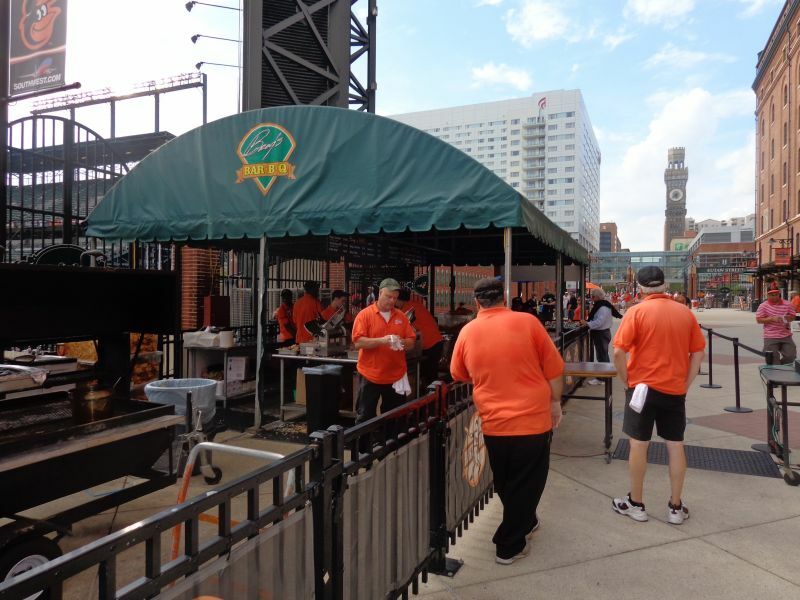 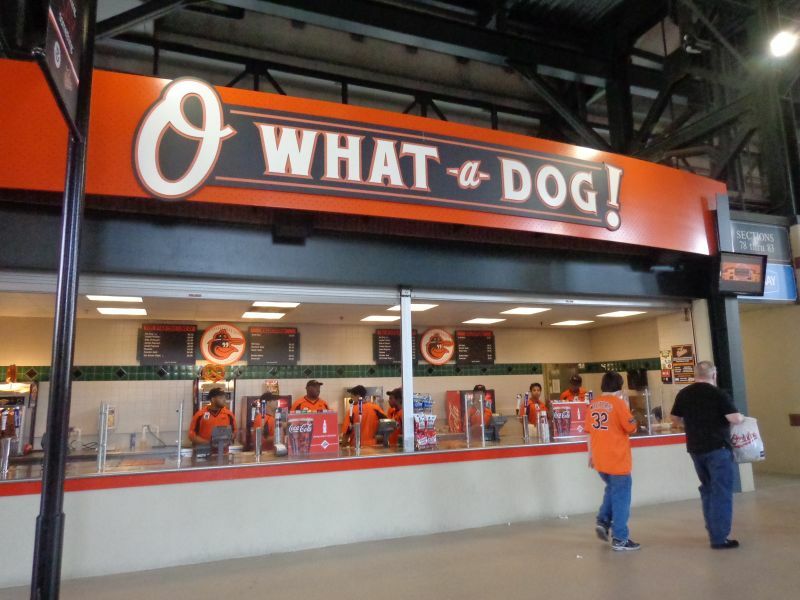 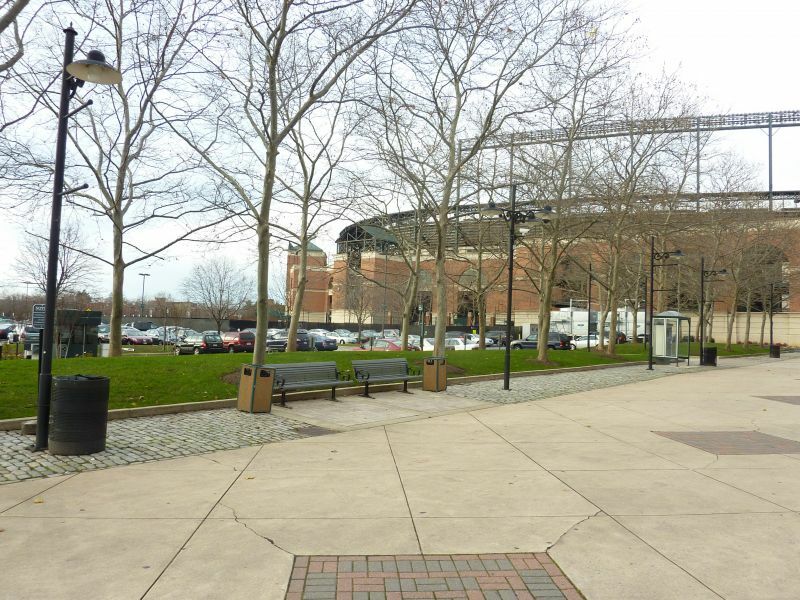 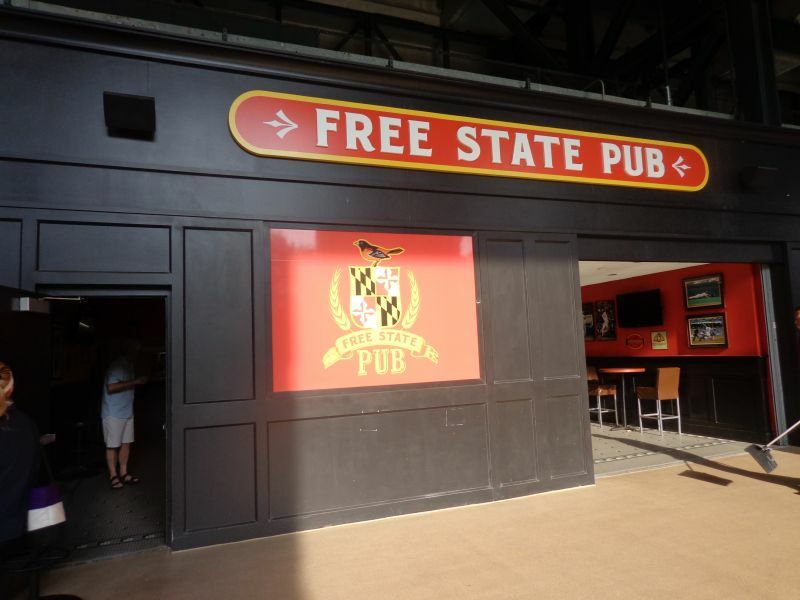 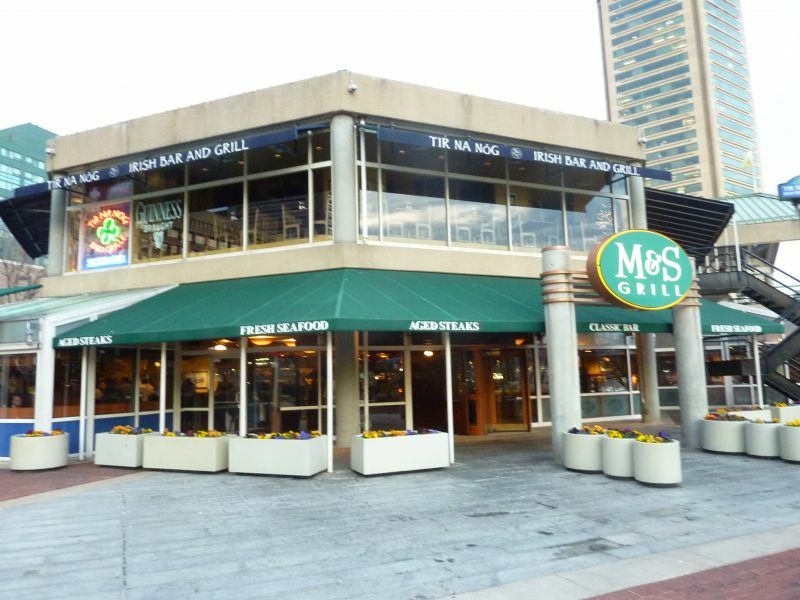 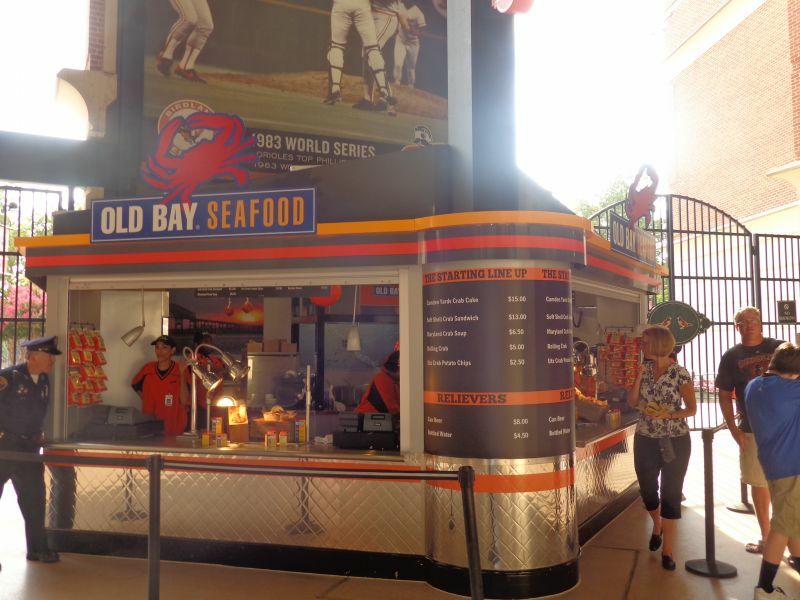 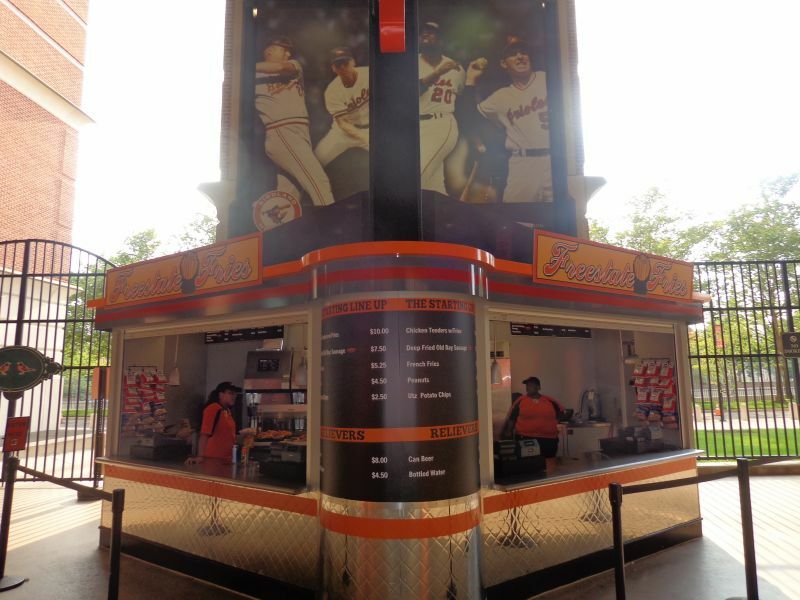 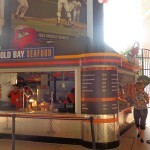 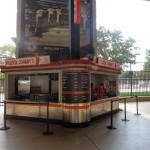 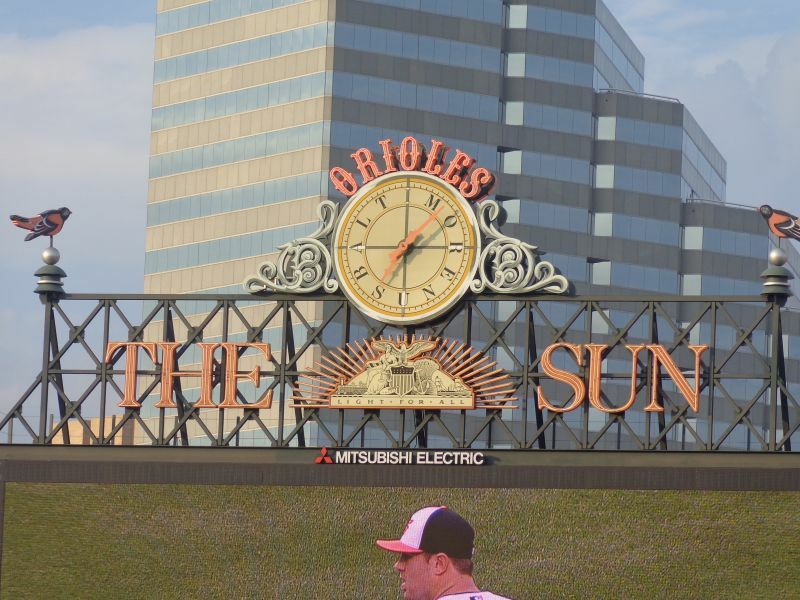 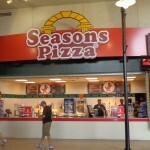 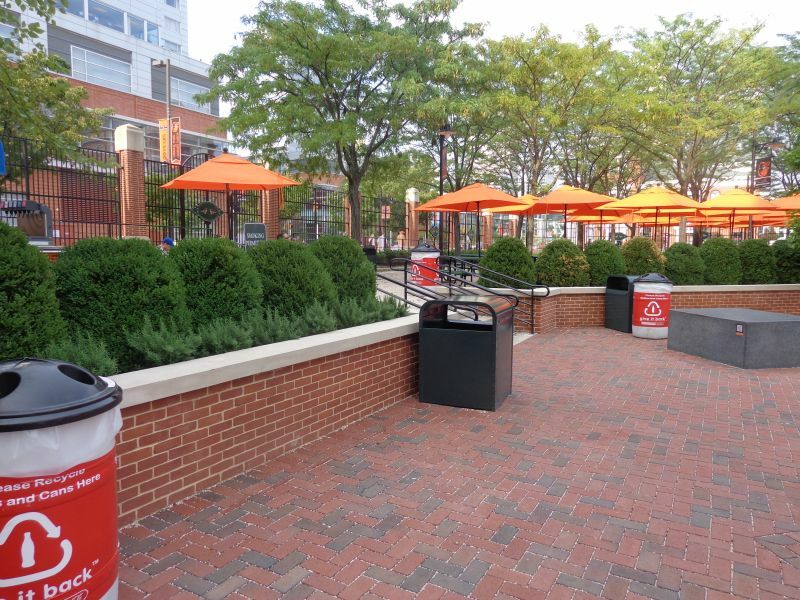 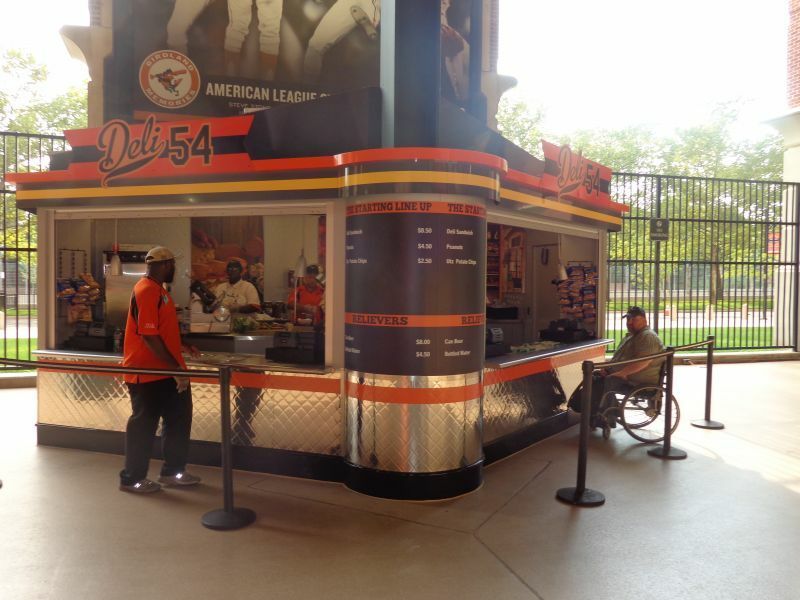 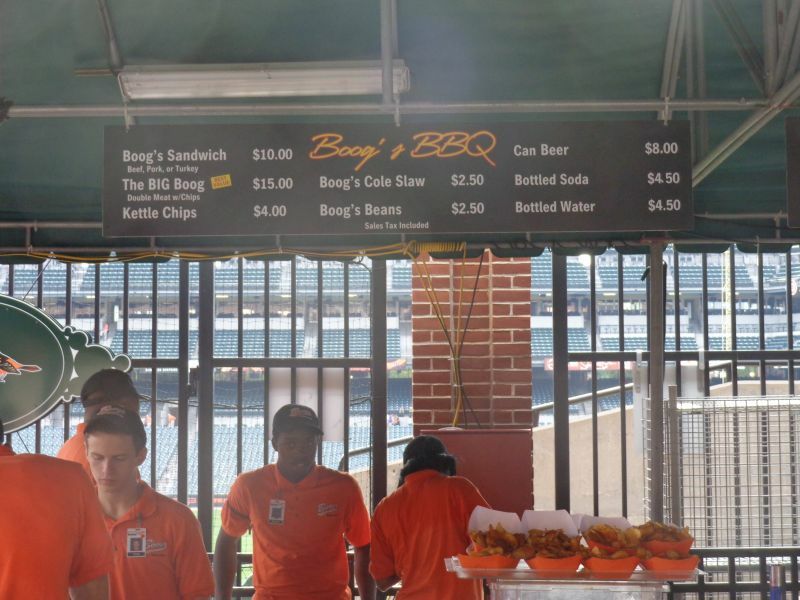 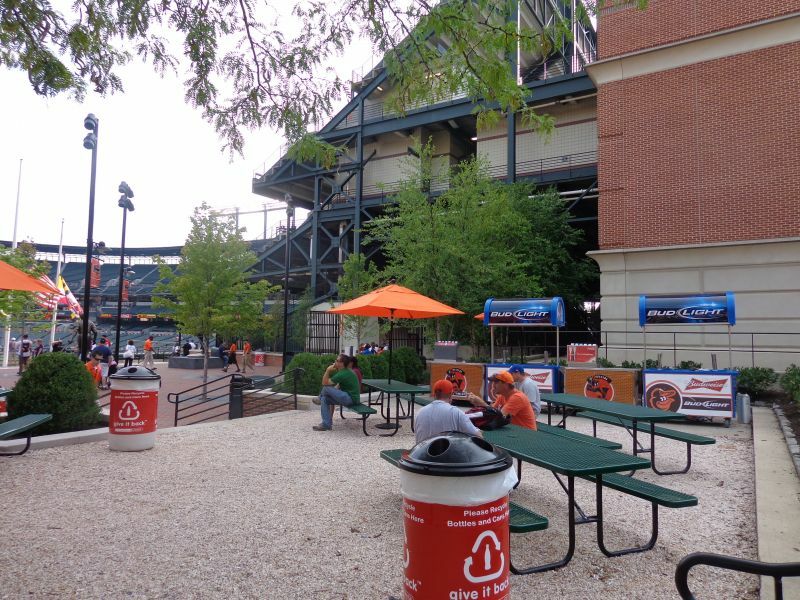 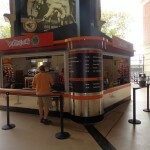 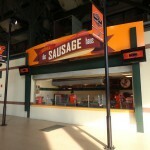 Camden Yards didn’t just start a revolution of contextual integration, attractive aesthetics, and downtown locations, but also initiated many subtle details now commonly found across our nation’s ballparks. 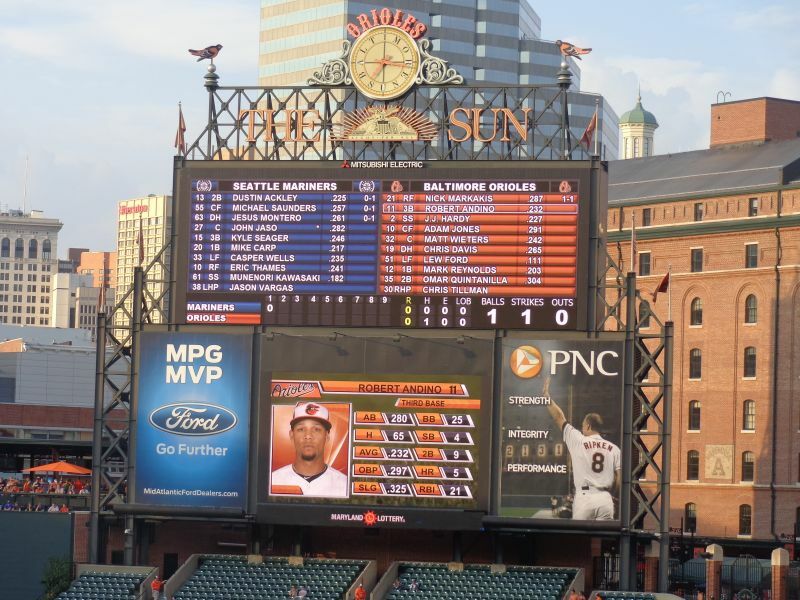 I won’t go too much into it in the introduction, but there’s painstaking attention to detail everywhere you look, from 1890s detailing on the top of the scoreboard to the old fashioned ads. 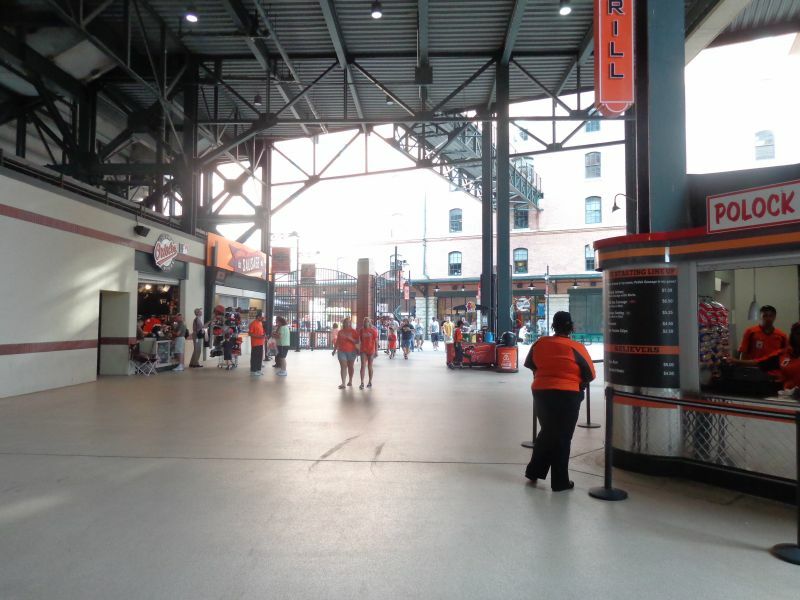 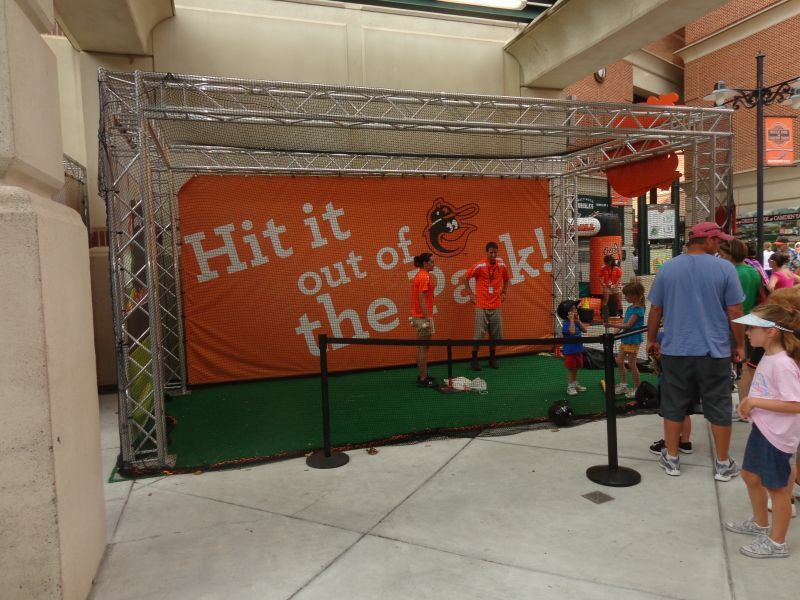 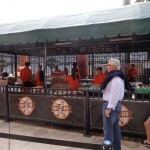 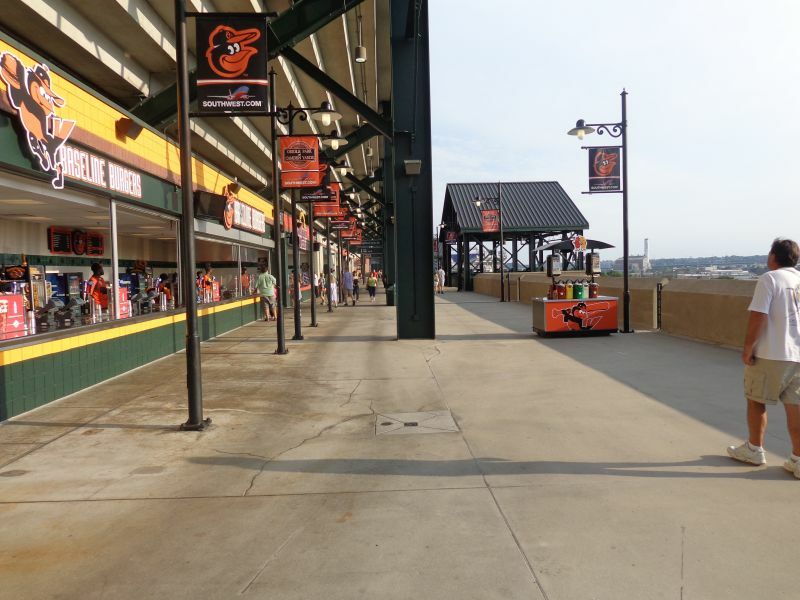 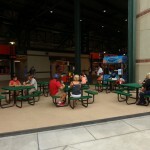 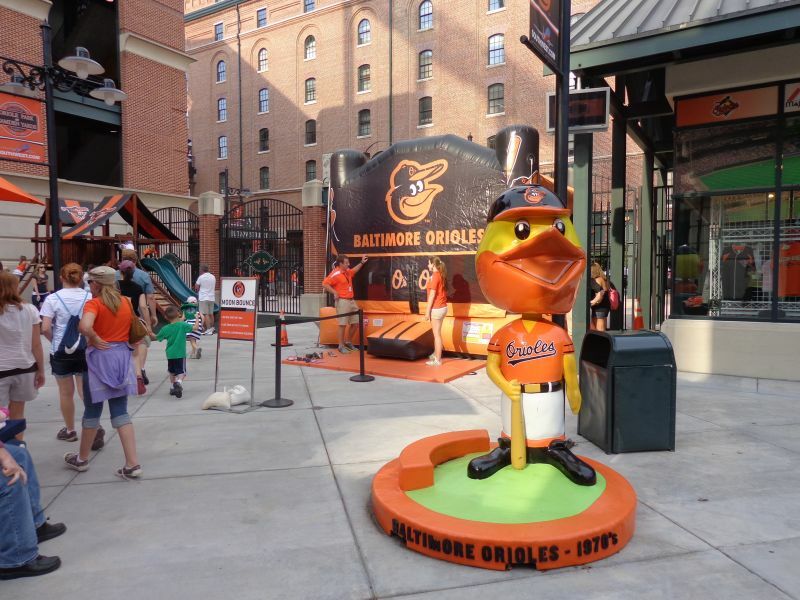 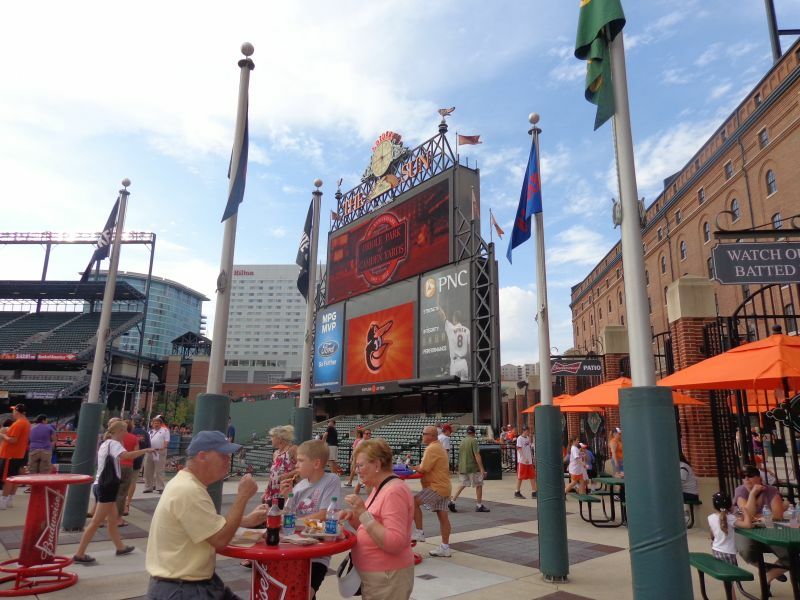 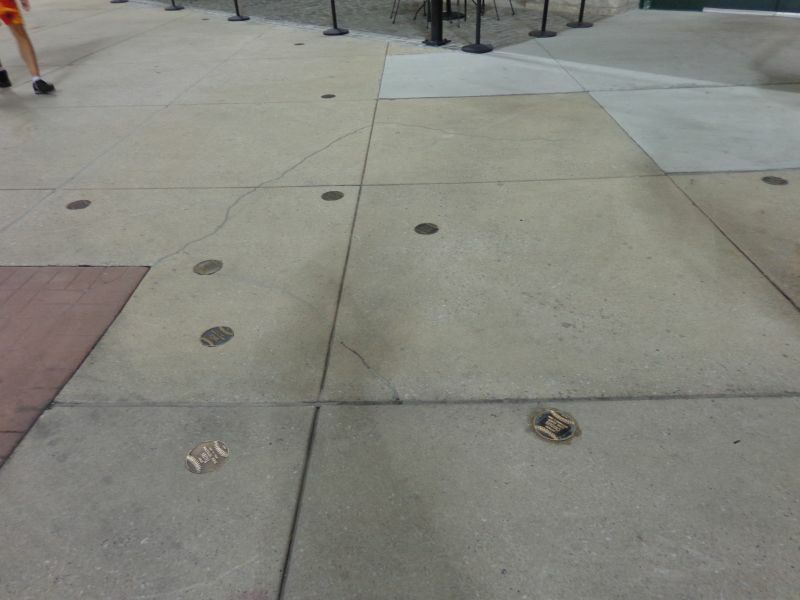 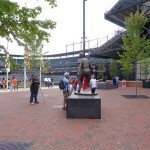 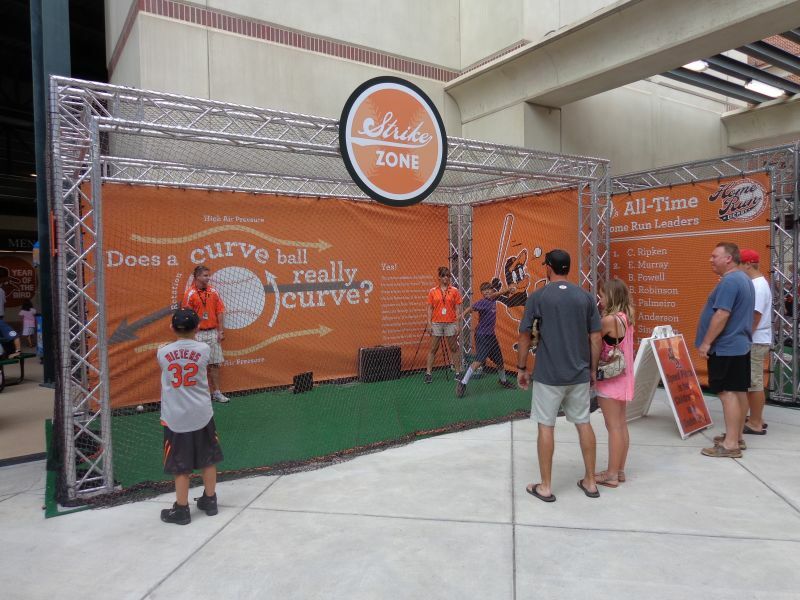 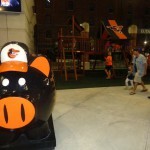 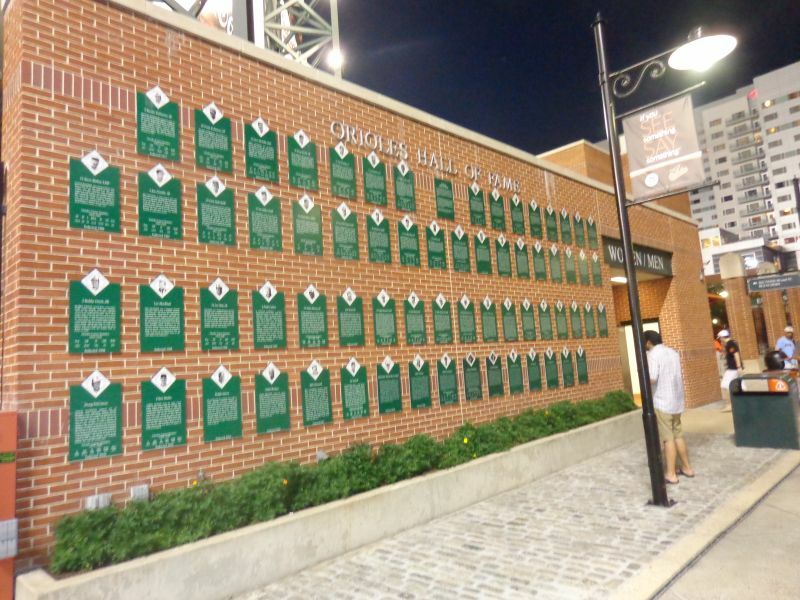 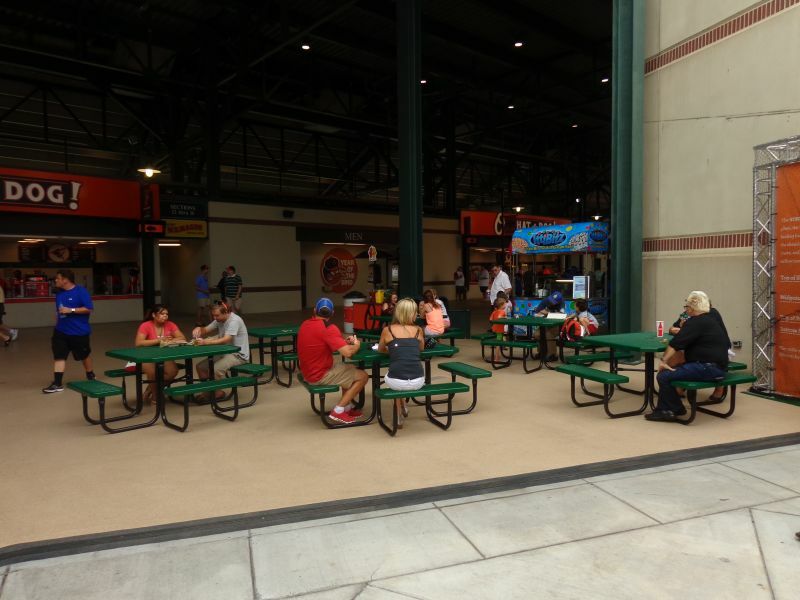 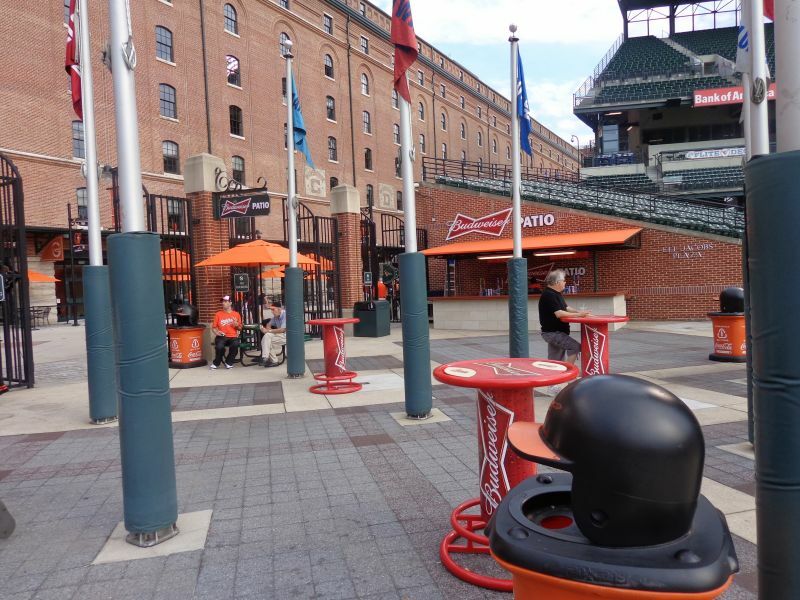 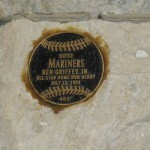 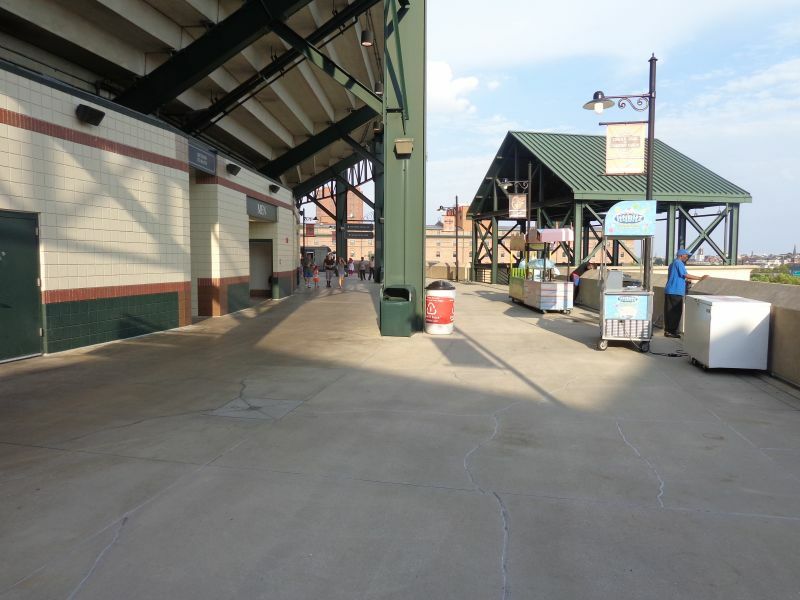 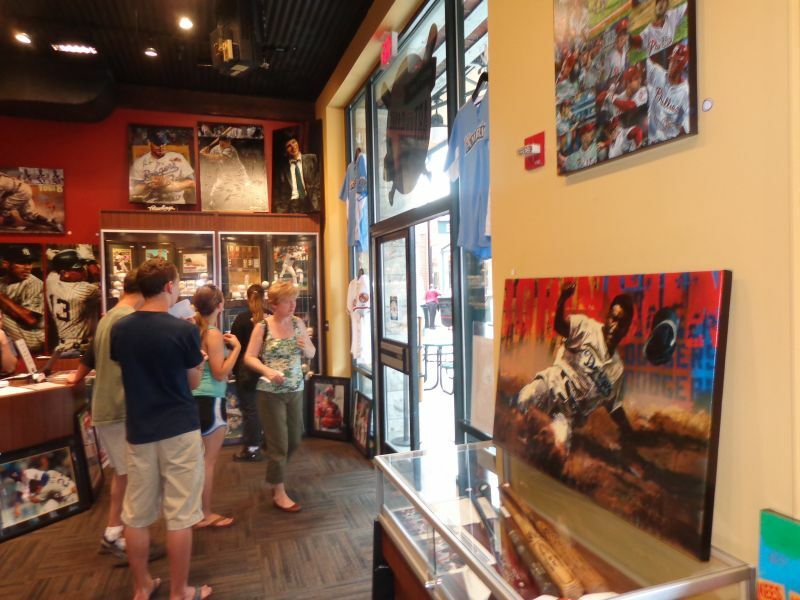 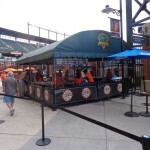 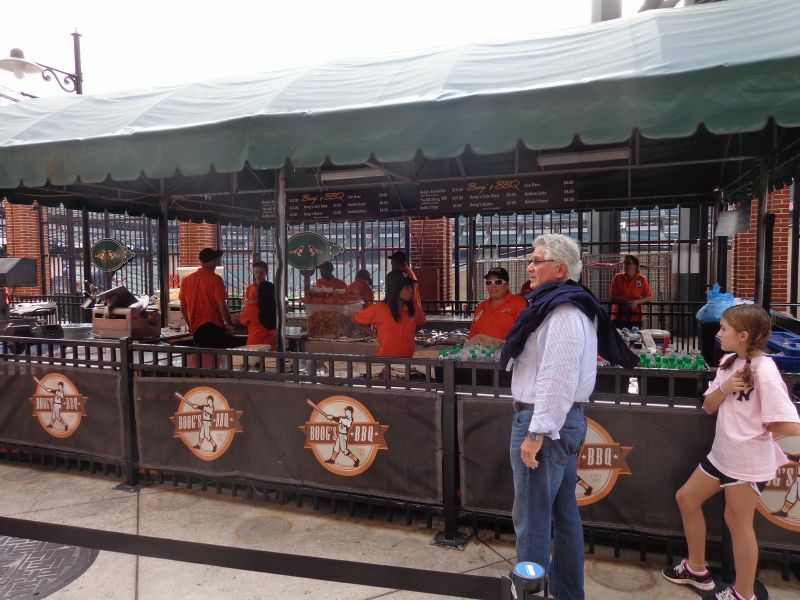 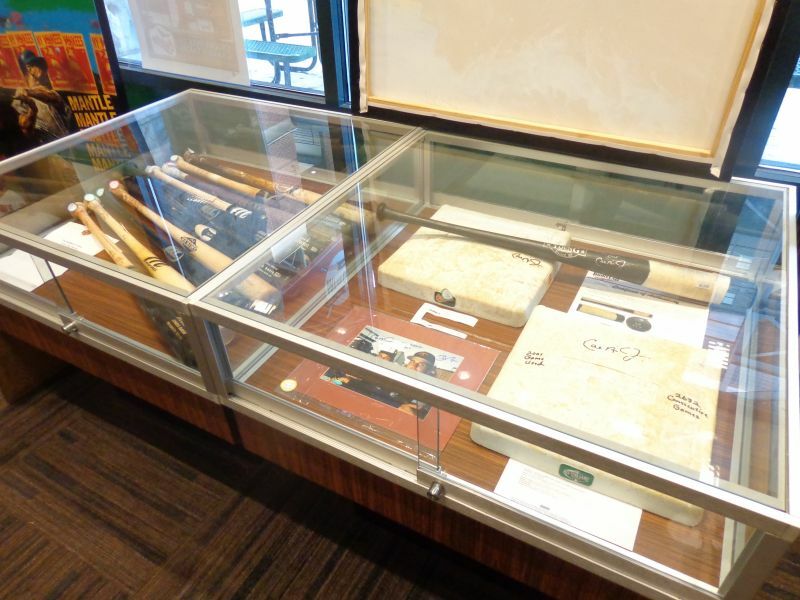 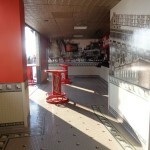 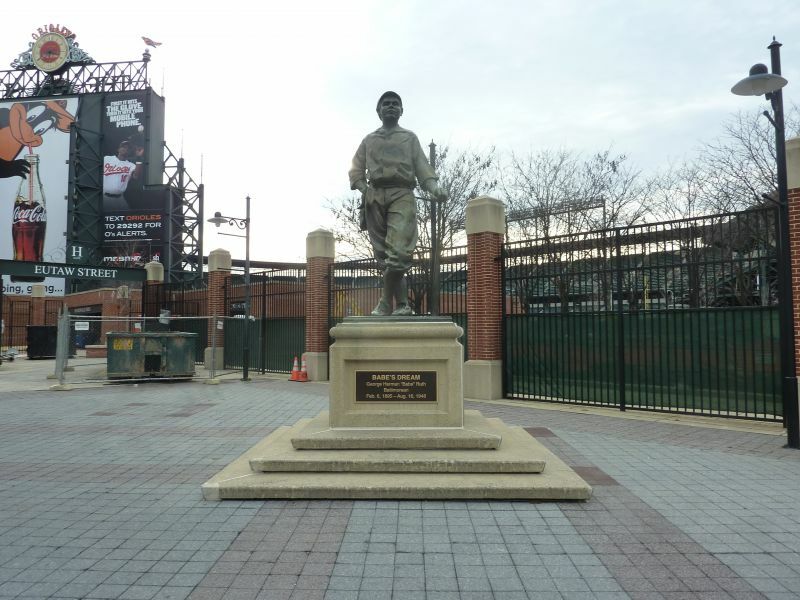 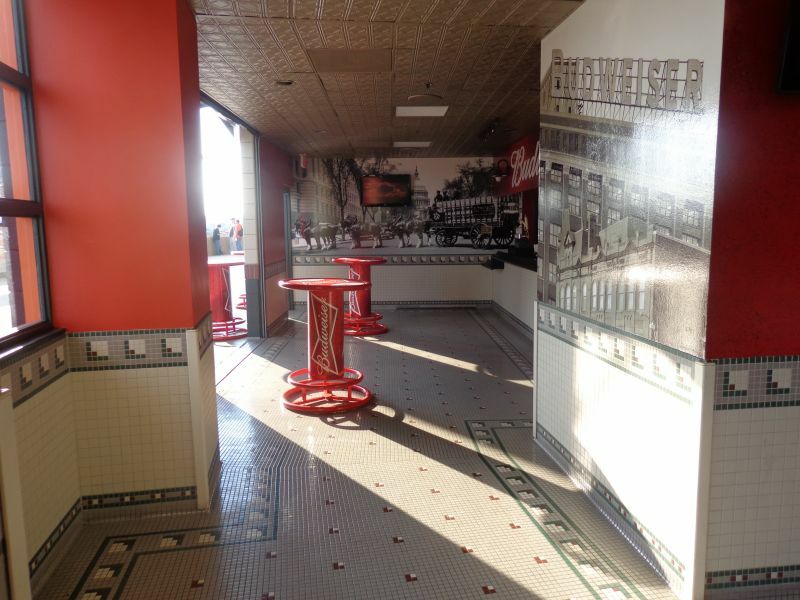 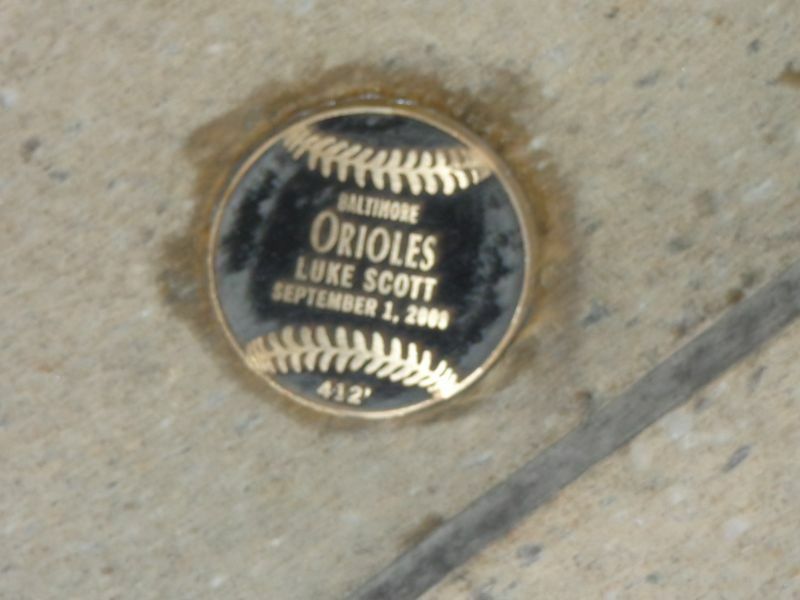 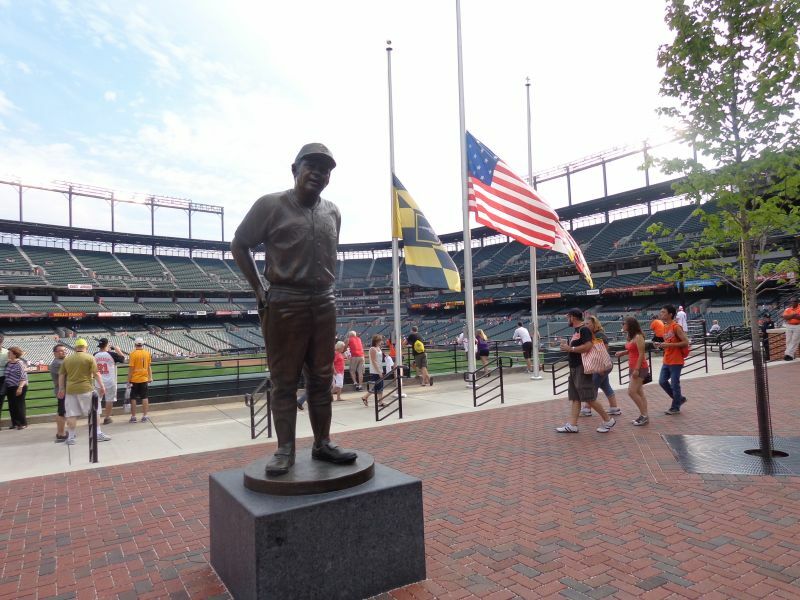 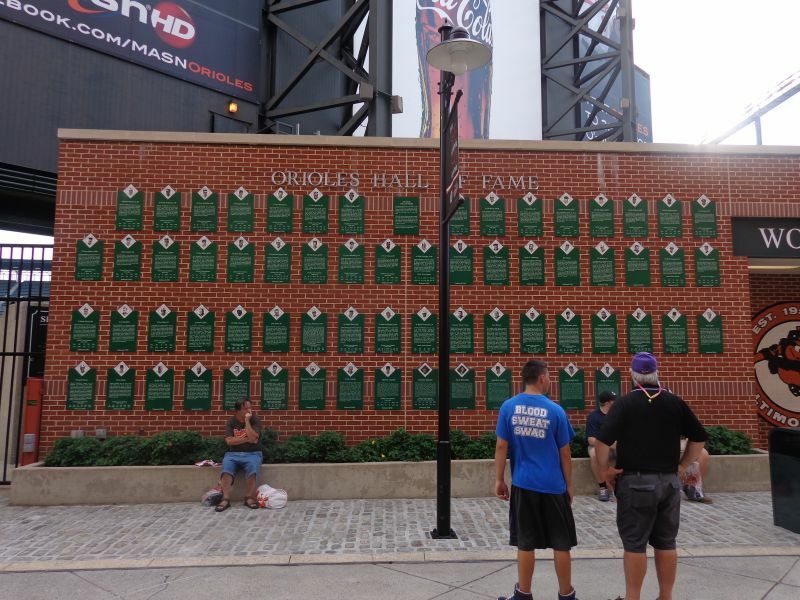 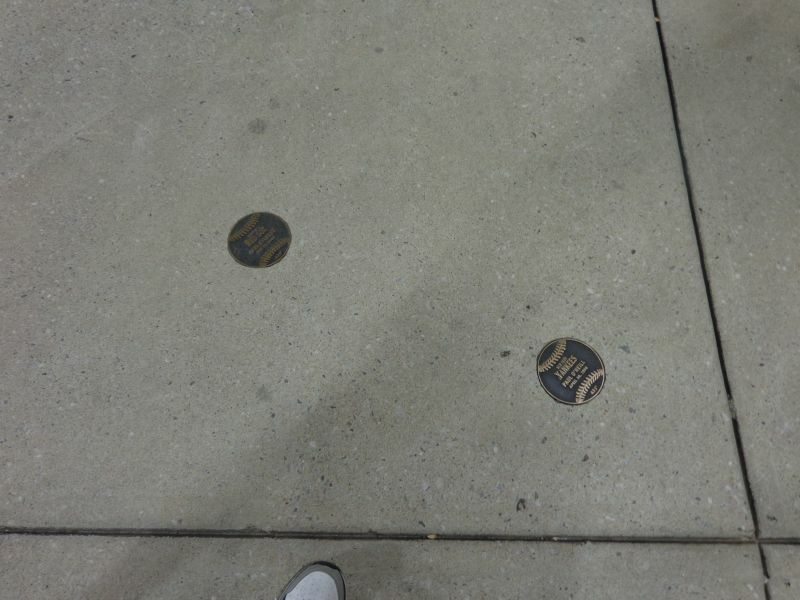 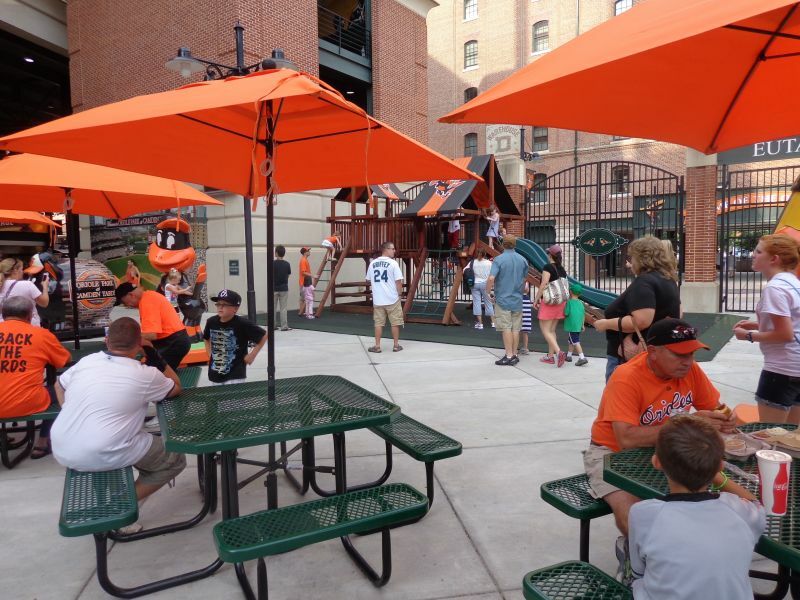 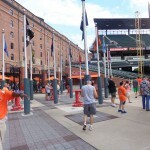 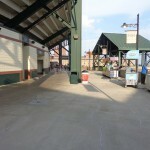 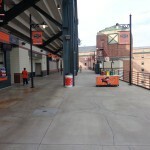 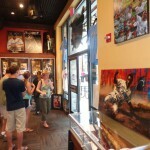 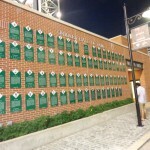 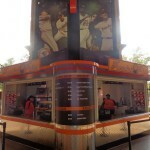 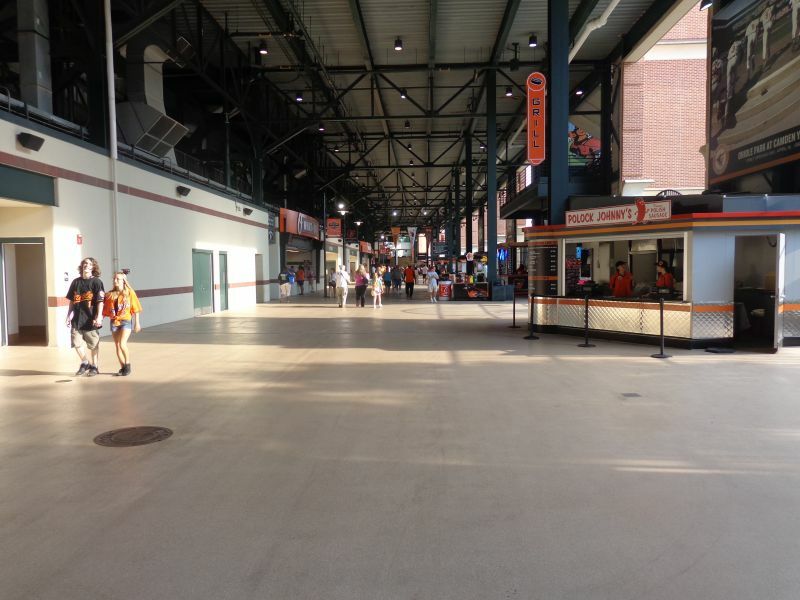 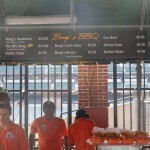 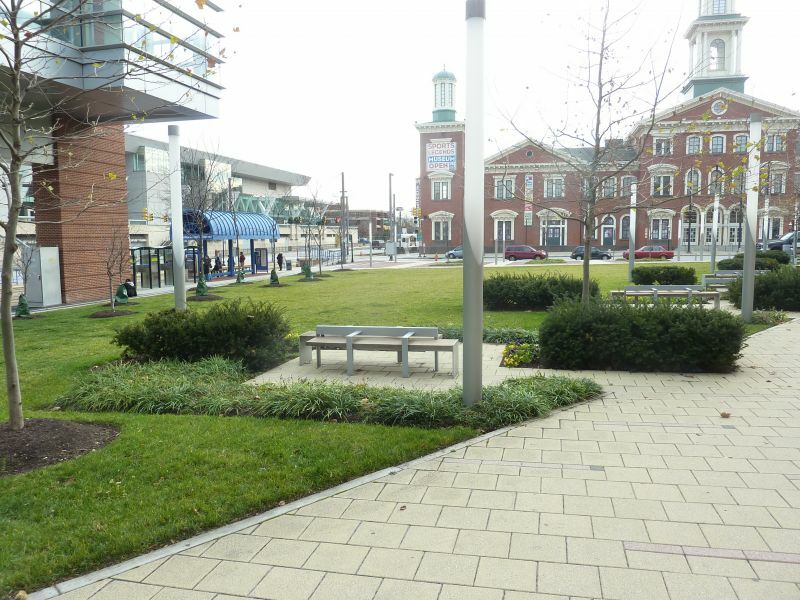 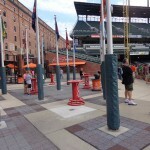 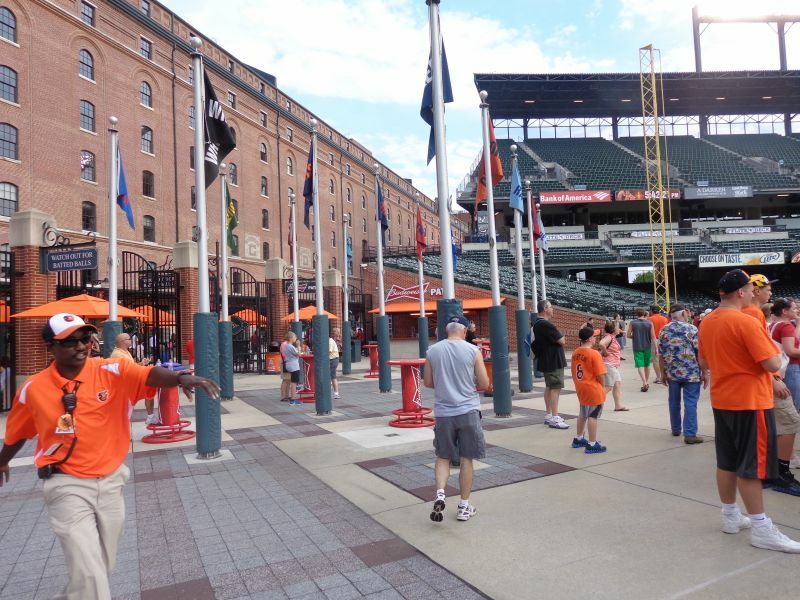 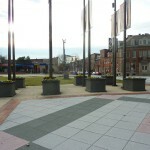 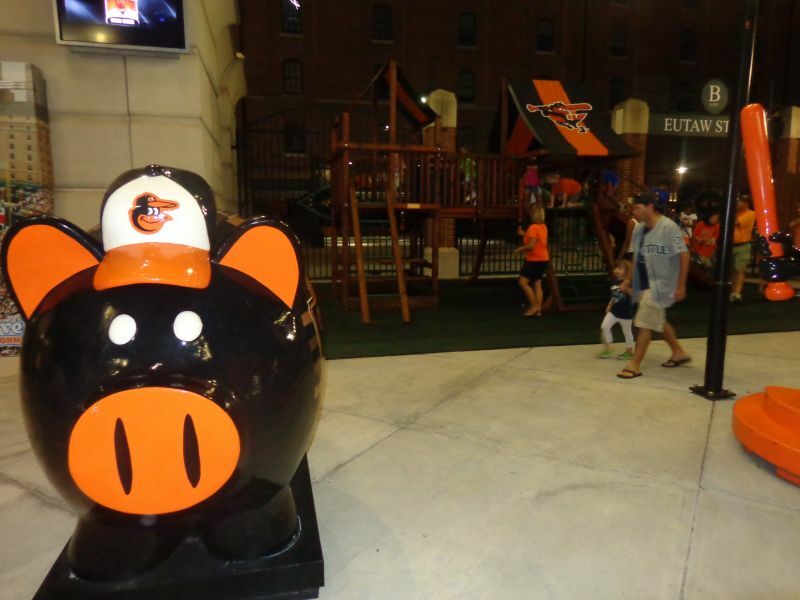 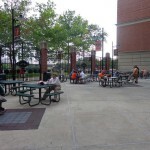 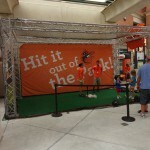 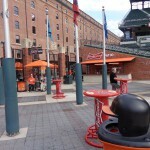 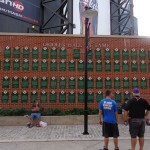 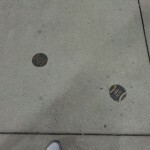 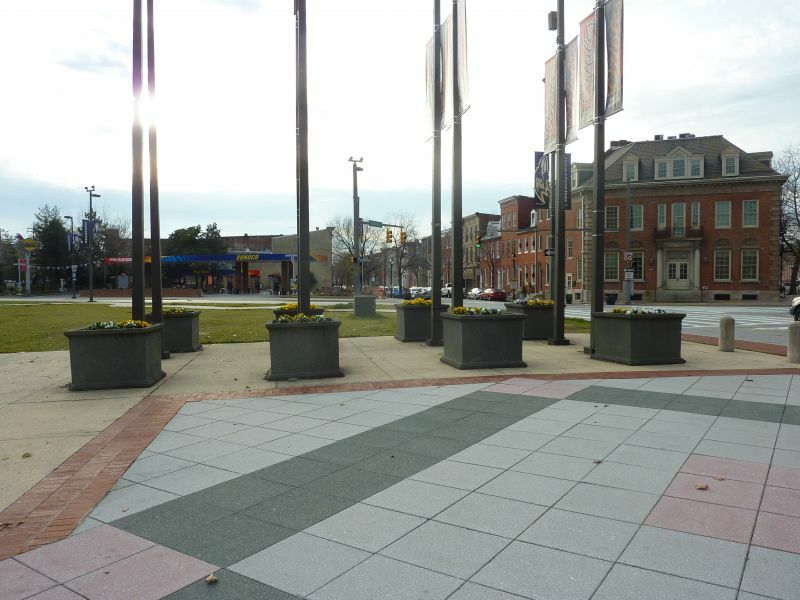 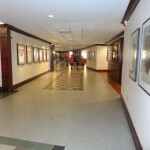 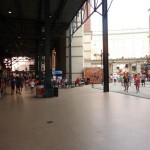 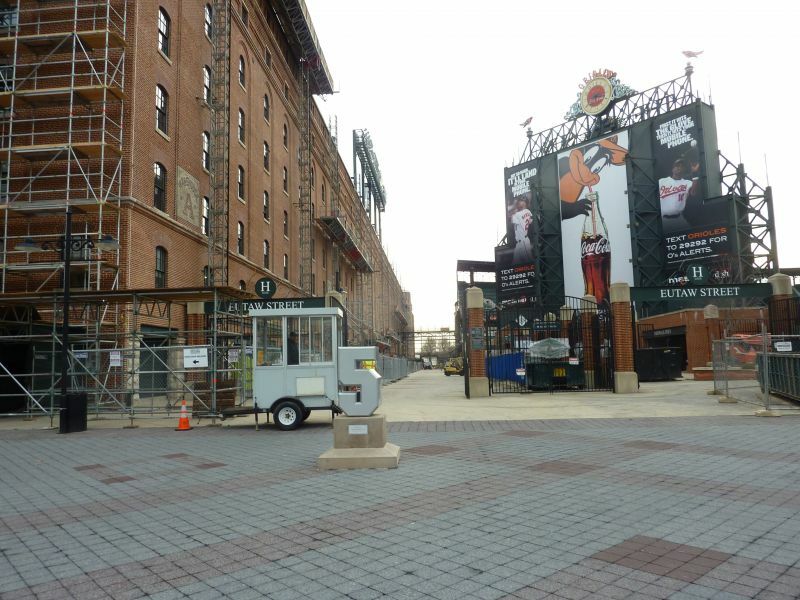 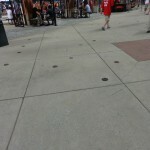 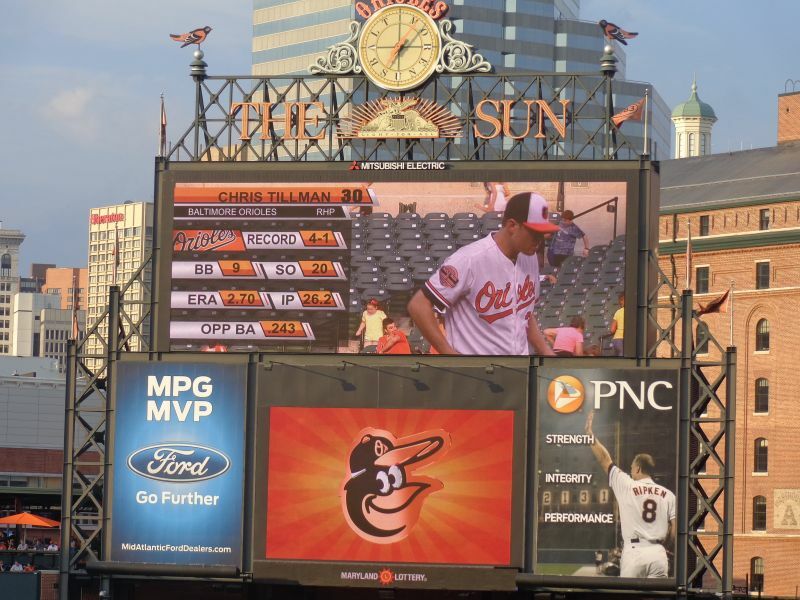 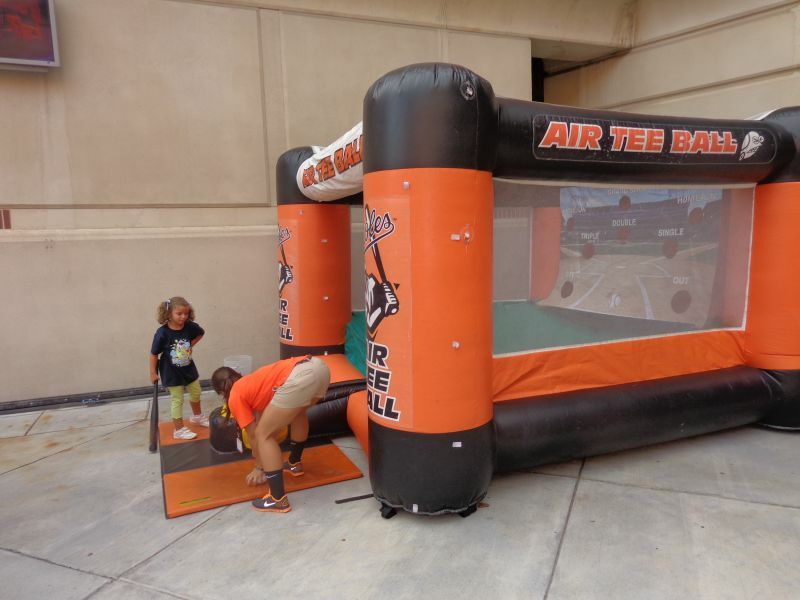 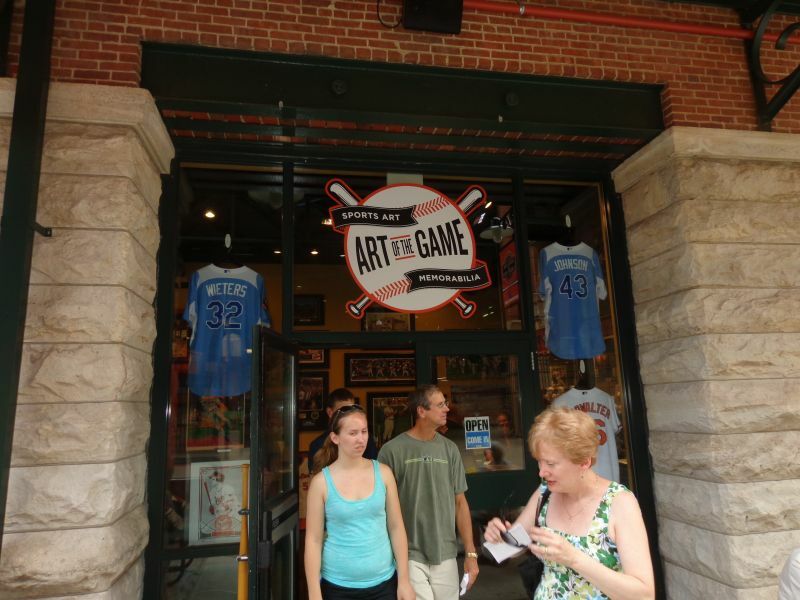 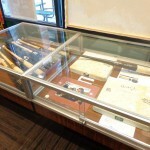 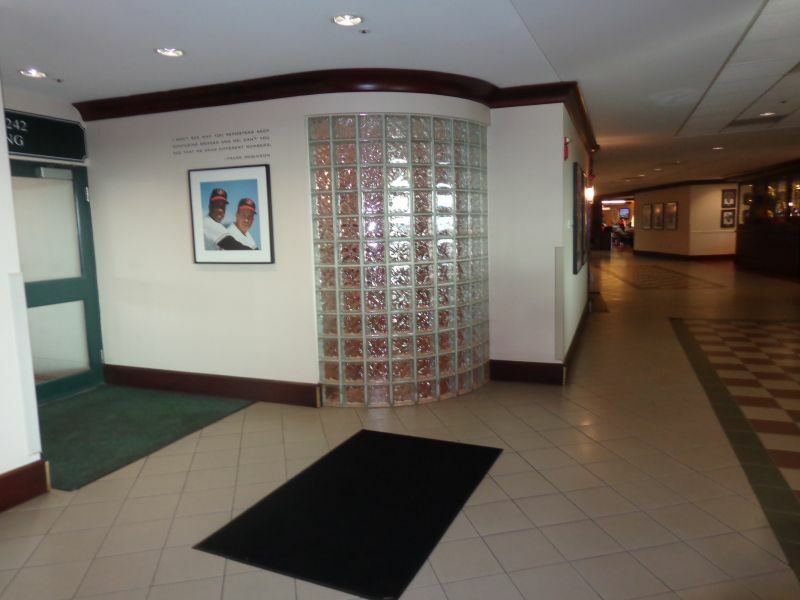 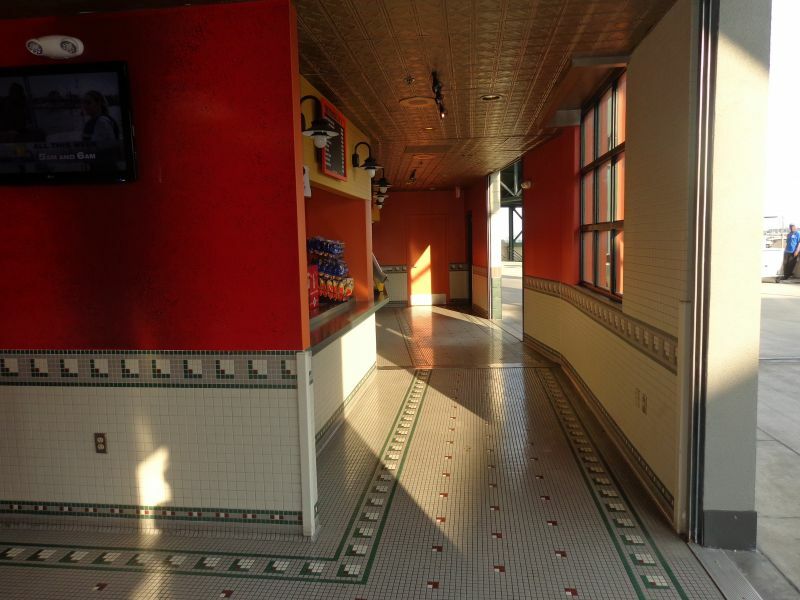 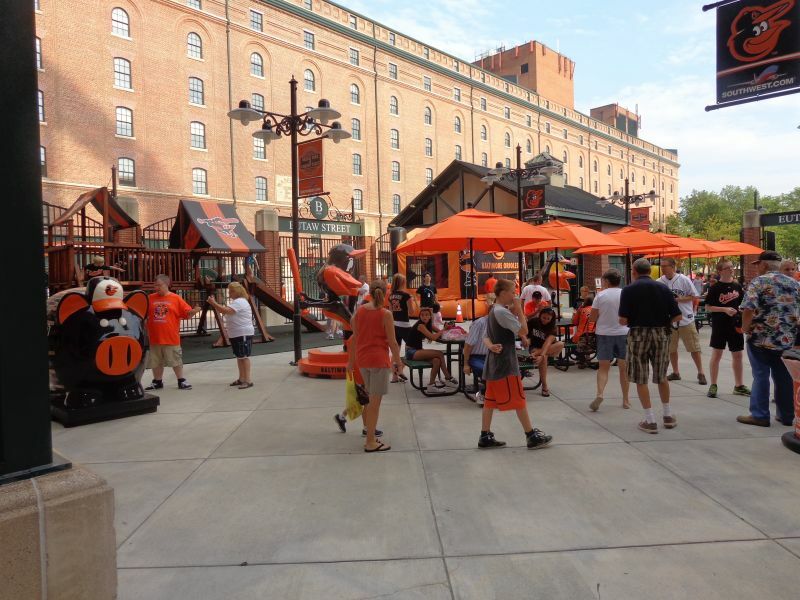 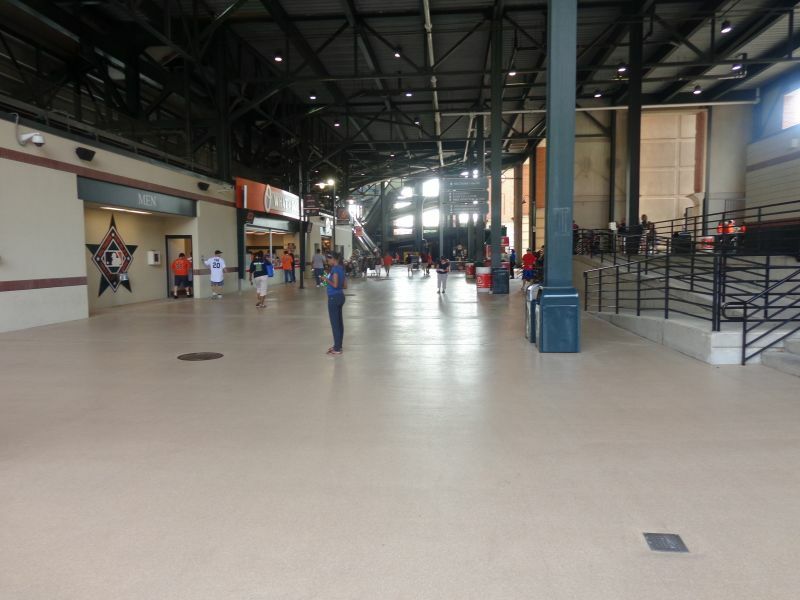 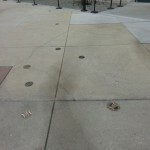 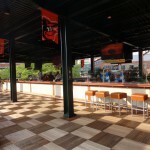 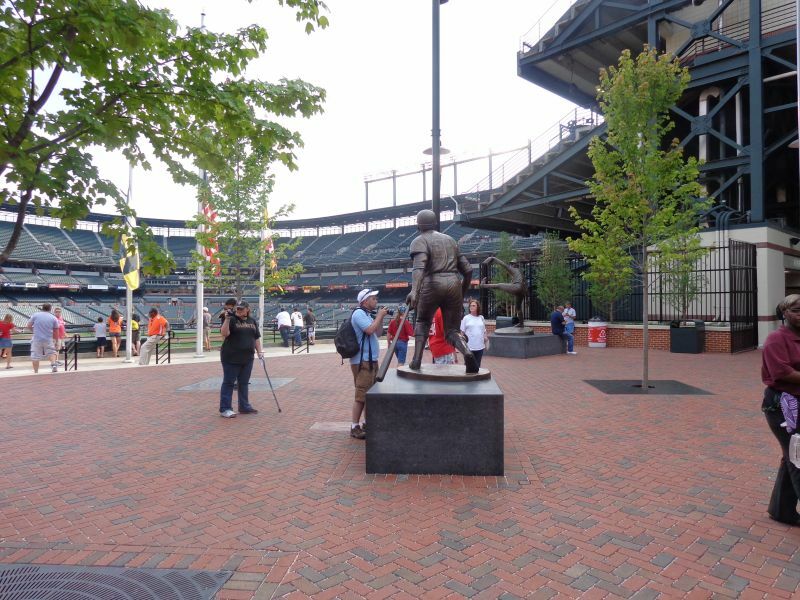 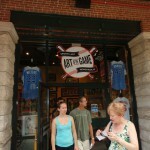 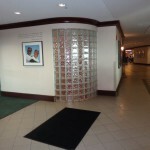 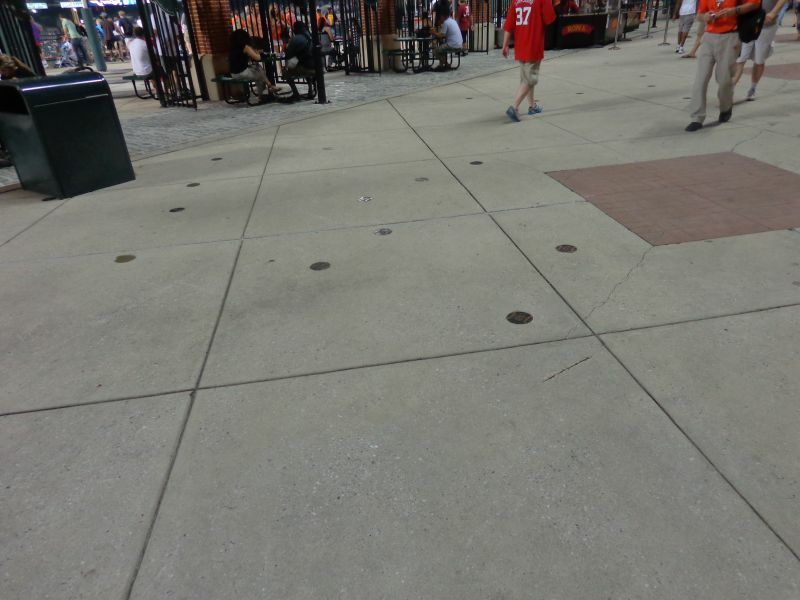 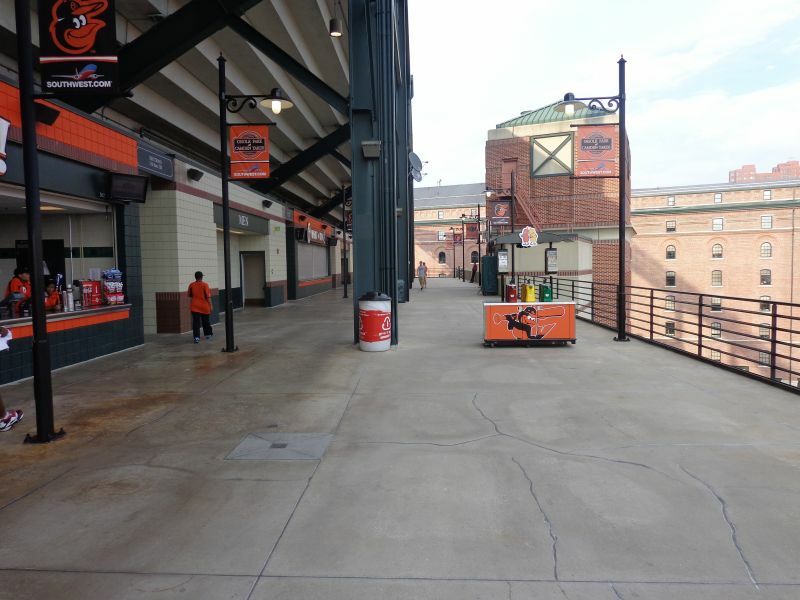 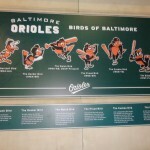 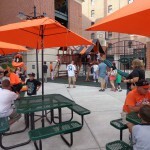 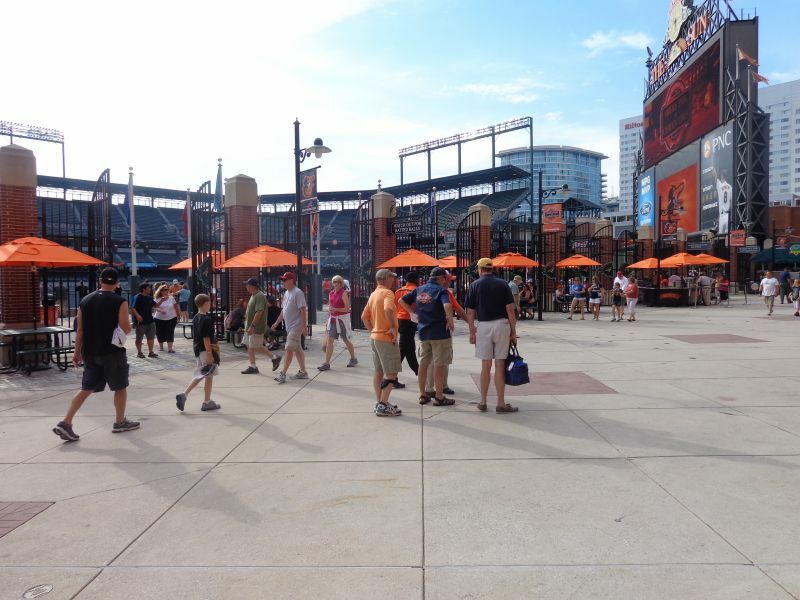 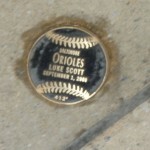 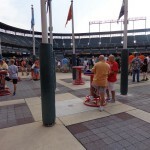 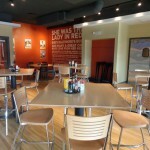 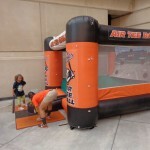 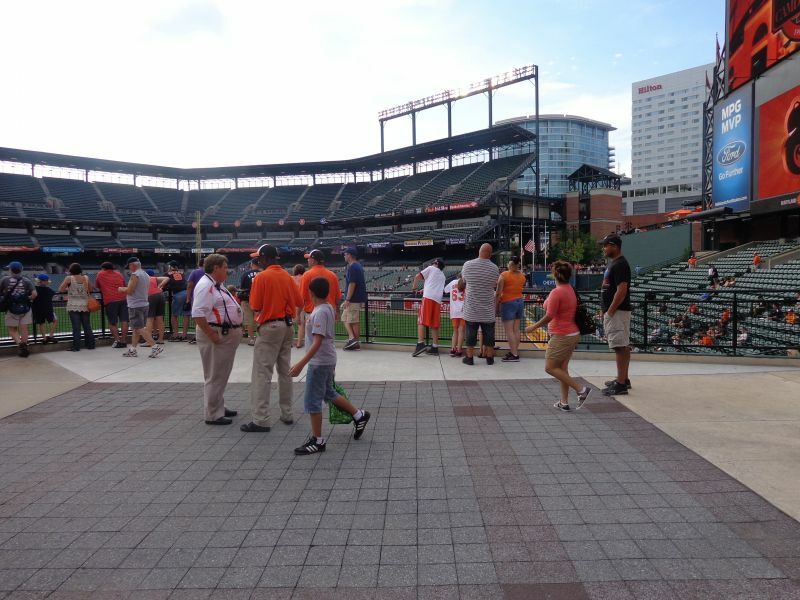 There are numerous other fun features added since the ballpark’s opening as well, such as the home run plaques on Eutaw Street. 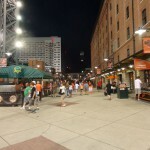 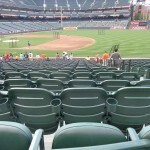 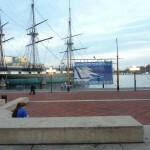 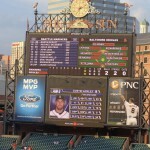 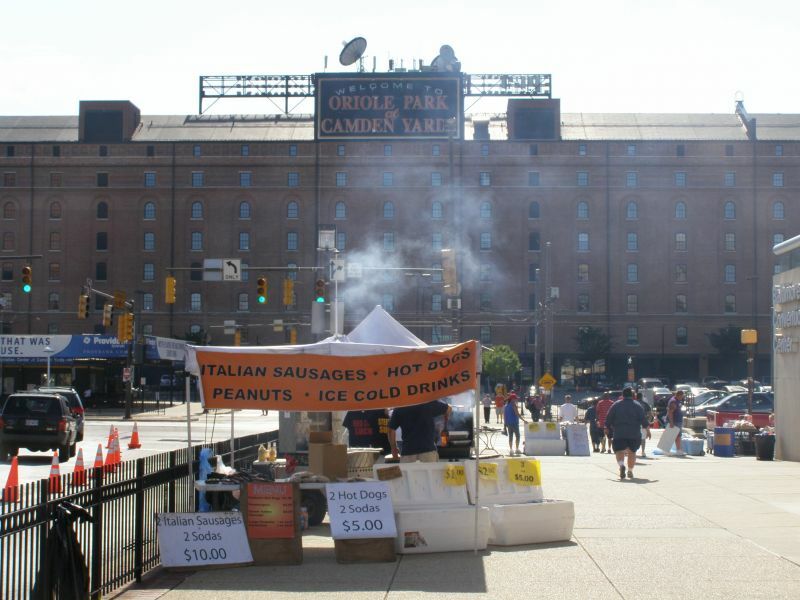 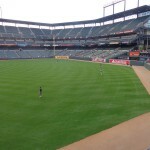 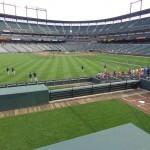 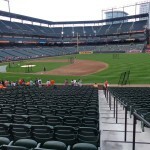 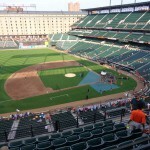 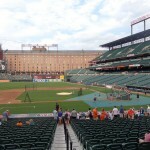 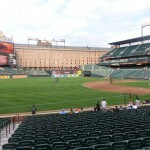 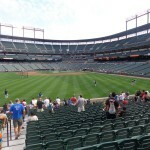 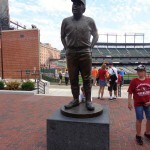 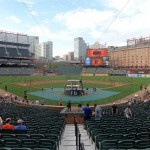 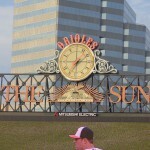 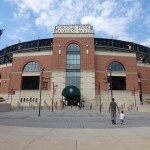 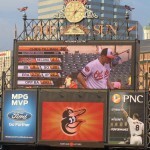 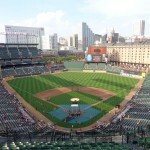 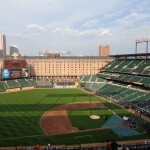 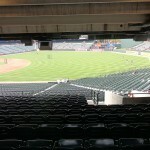 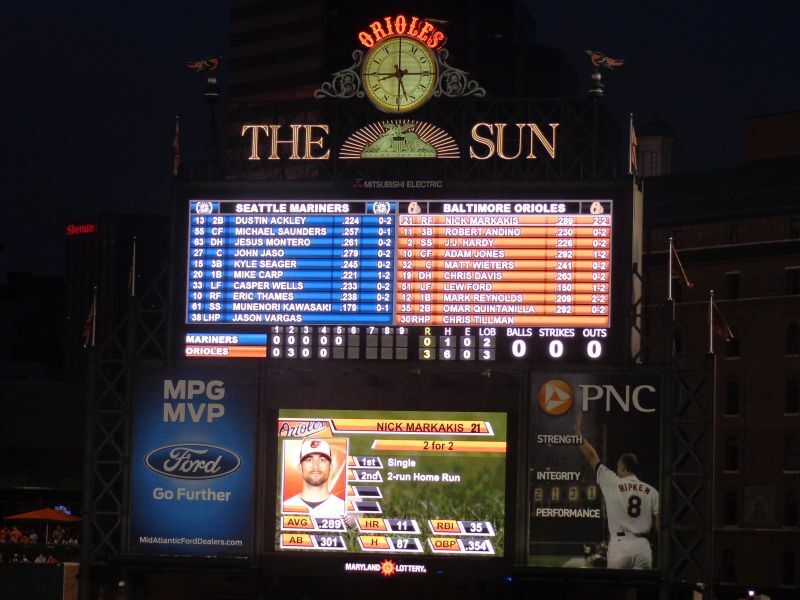 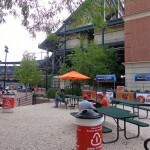 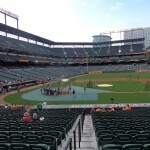 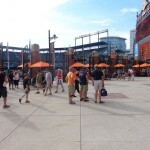 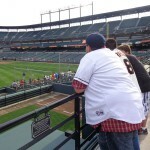 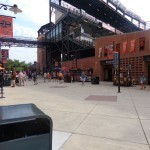 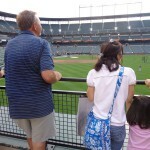 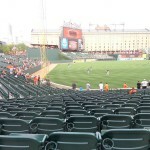 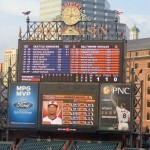 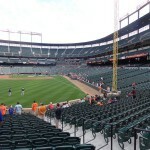 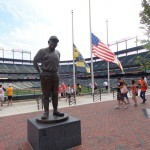 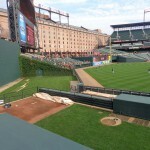 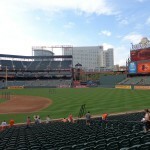 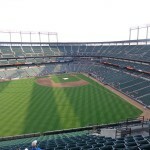 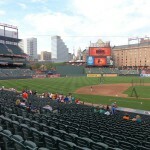 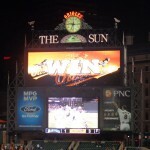 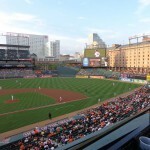 So no Camden Yards is not “just another retro ballpark” that “was lucky to be the first”. 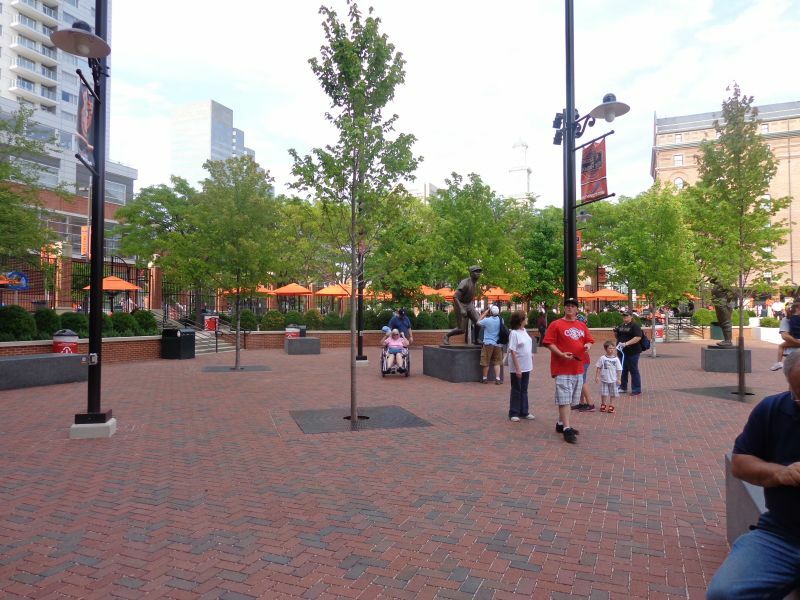 Looking at the park that opened one year before, many of the innovations weren’t inevitable. 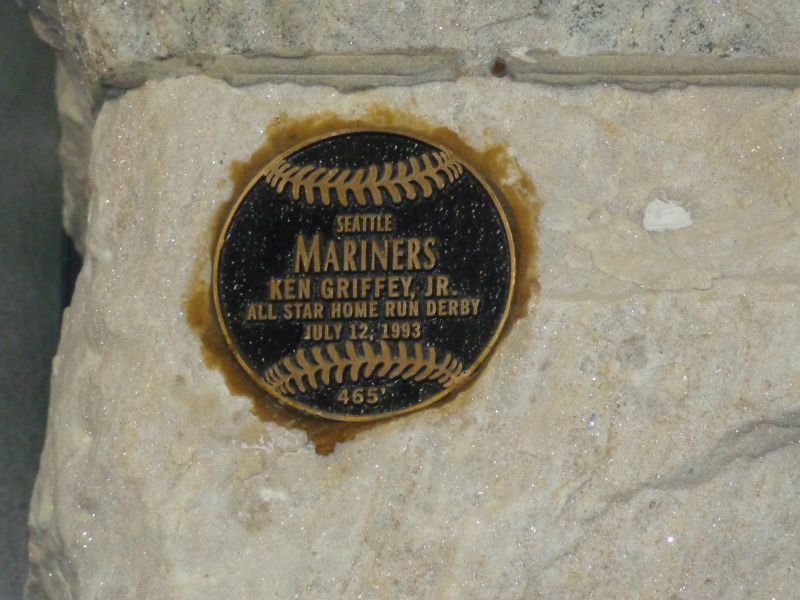 And 20 years later, the novelty hasn’t worn off. 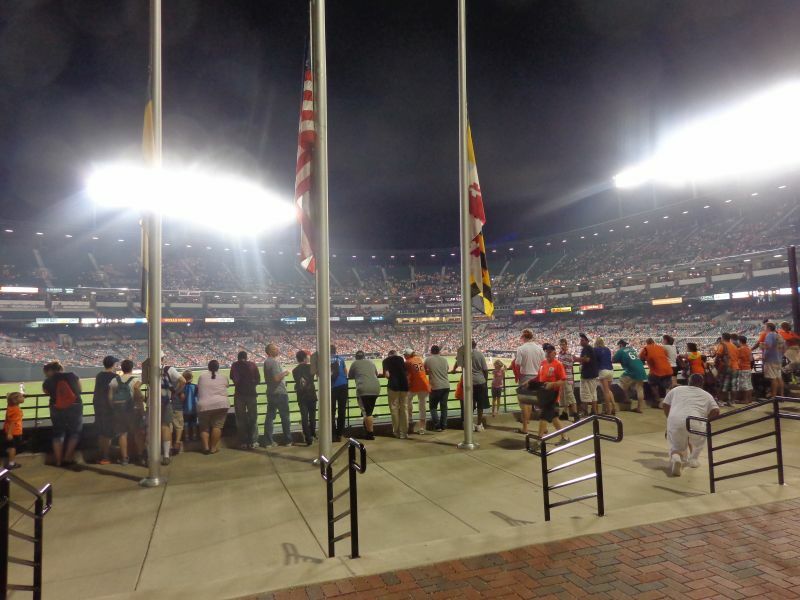 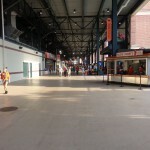 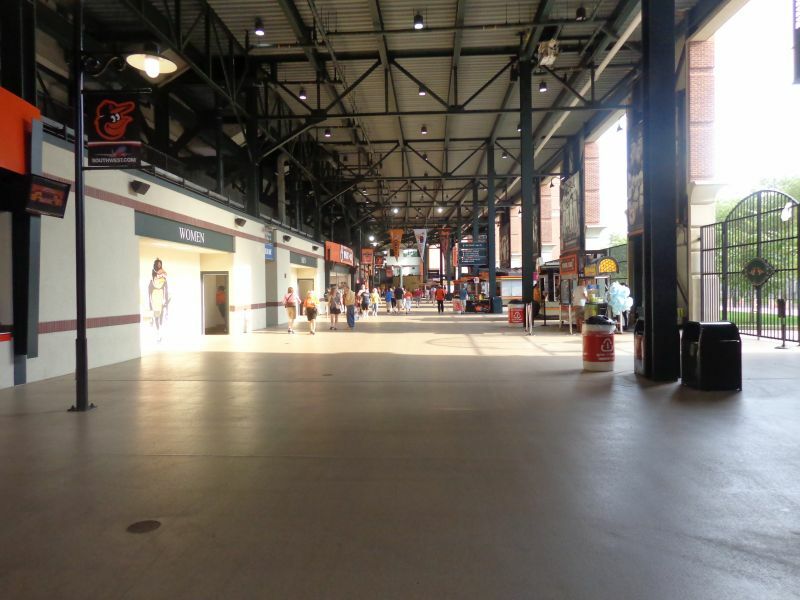 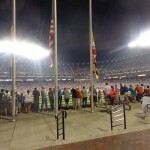 At no fault of their own, not all of the effects of Camden Yards turned out to be positive, as many teams completely missed the point. 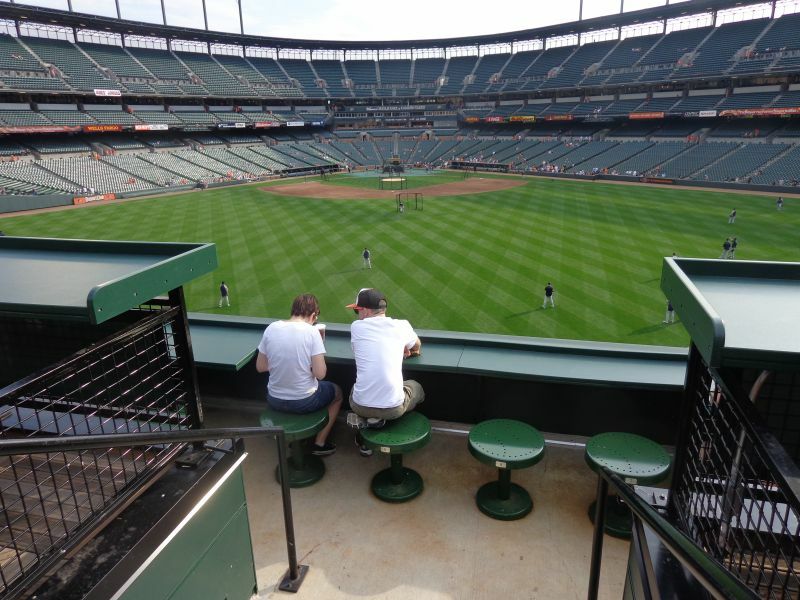 First of all, they missed the point that these parks would be successful if they were authentically intimate with great upper deck field proximity, differing from deceptive intimacy clashing with three tiers of luxury suites. 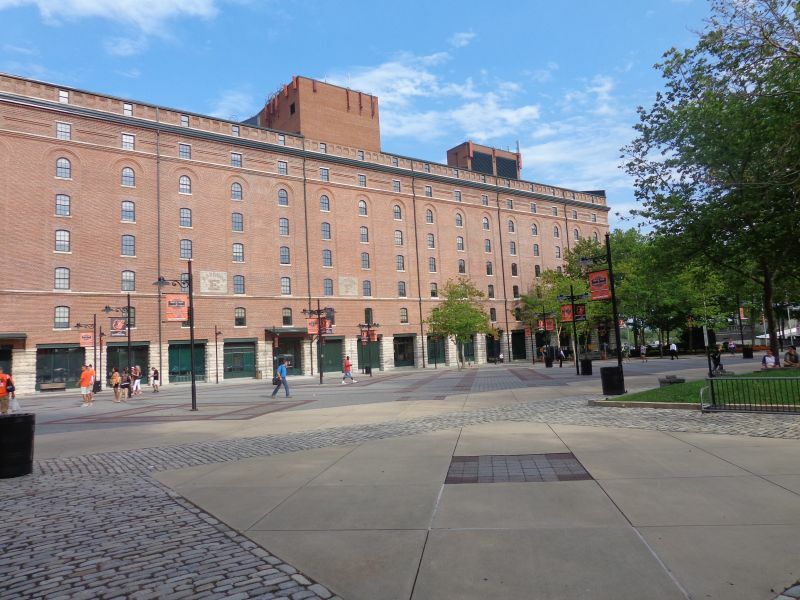 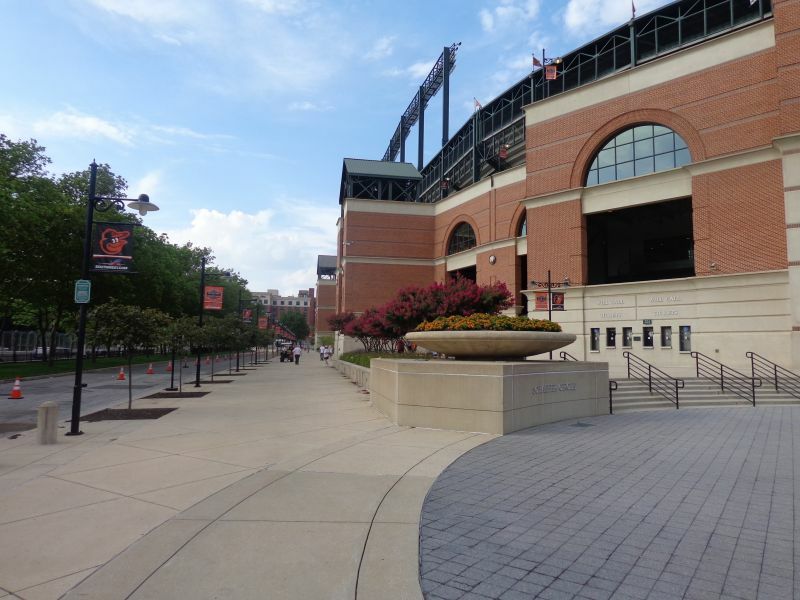 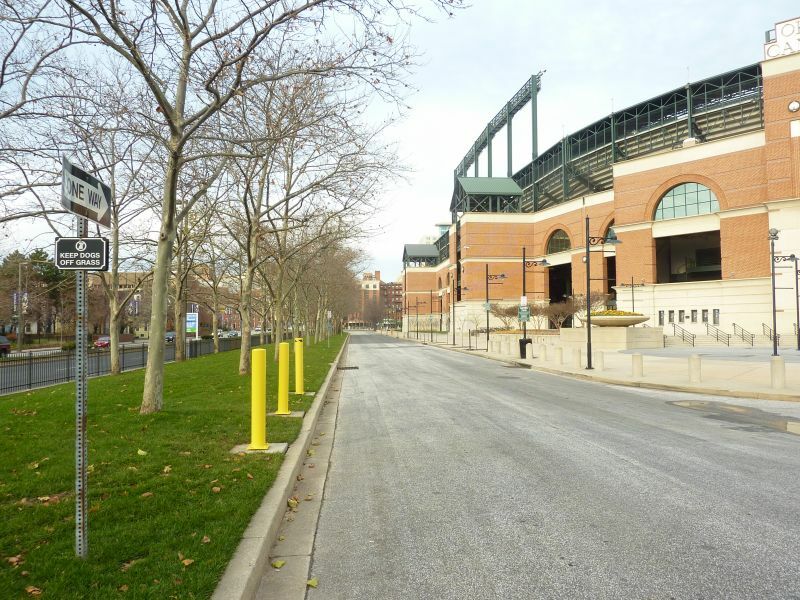 But most importantly, Camden Yards was never meant to start a retro revolution of red brick ballparks; it was meant to start a revolution of ballparks representing their cities. 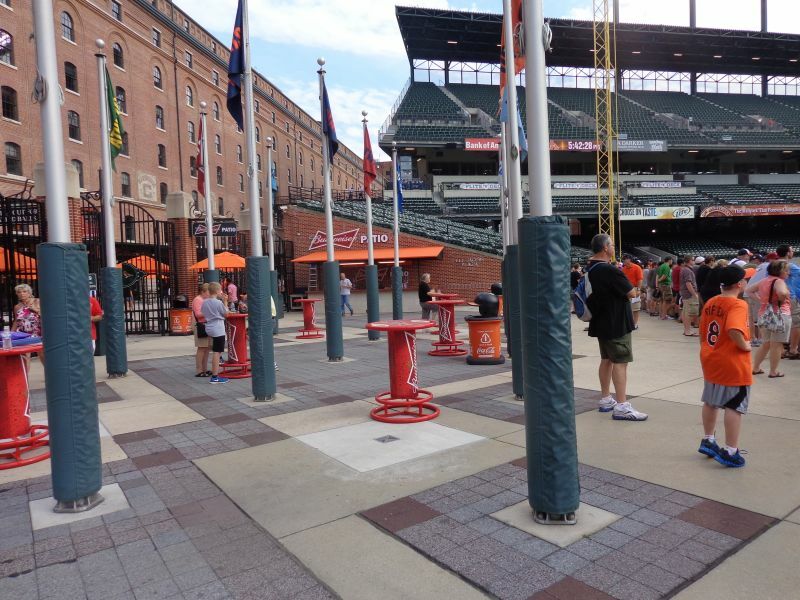 The significance isn’t that it’s old fashion; it’s that ballparks can be made better by abandoning templates and constructing something contextual. 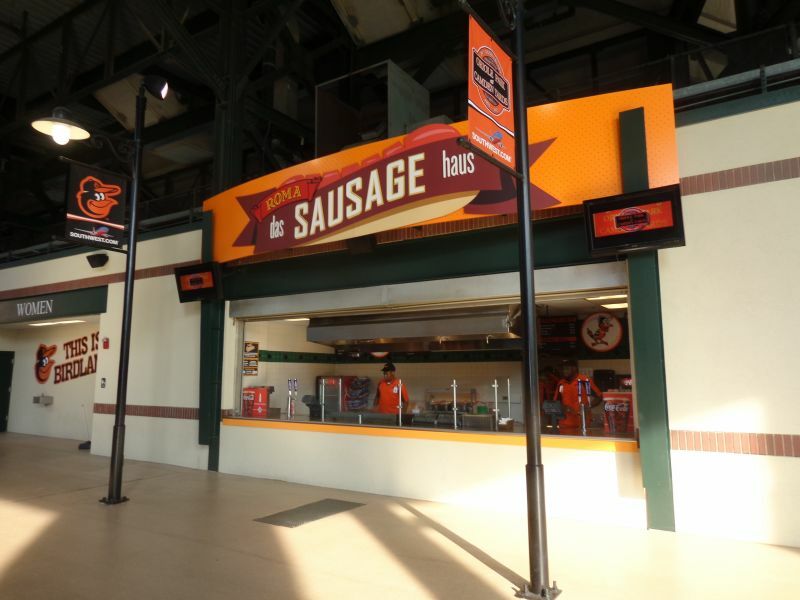 I don’t need to harp on the faux retro contrived quirks seen in subsequent retro ballparks, which I’ve chastised in numerous articles. 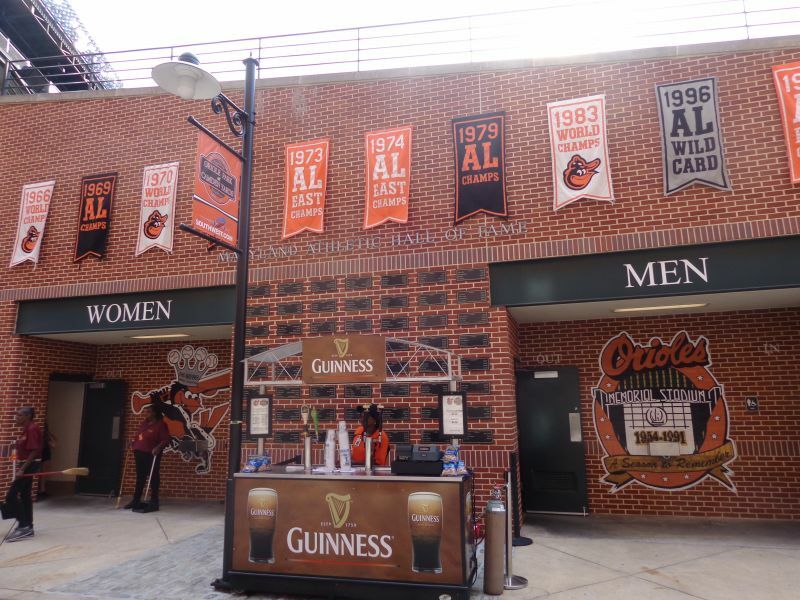 But like many of the great first generation 1990s ballparks, we see none of that fake retro nonsense here. 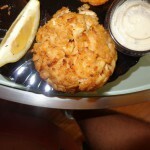 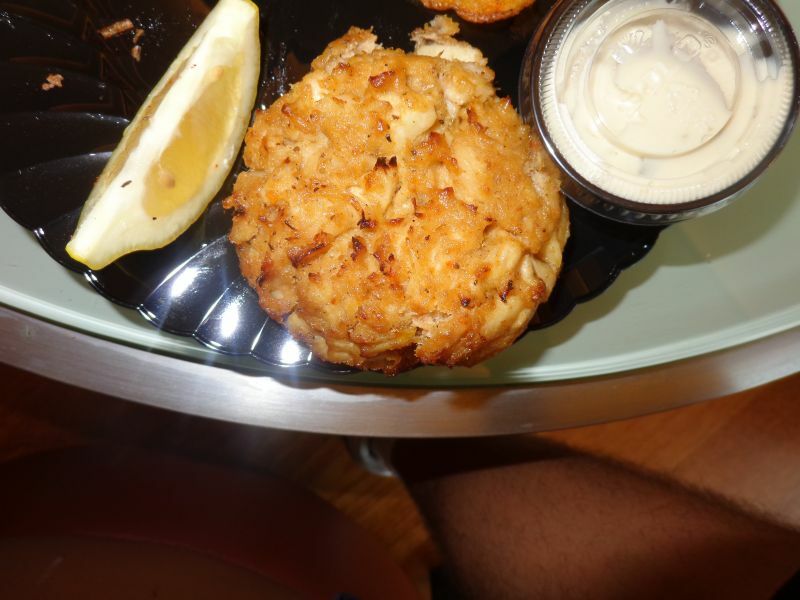 Just authenticity. 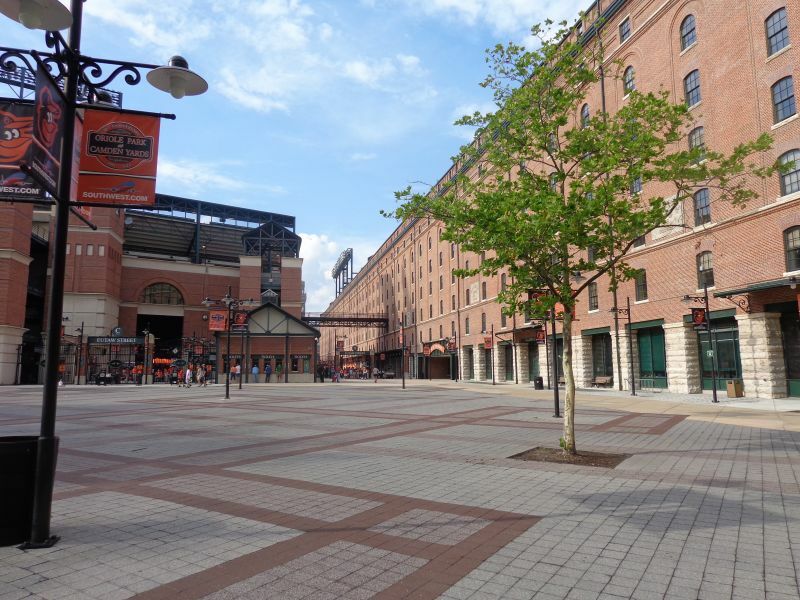 The significance of Camden Yards isn’t it’s retro red bricks or the old fashion feel, but it’s authentic representation of the Baltimore setting. 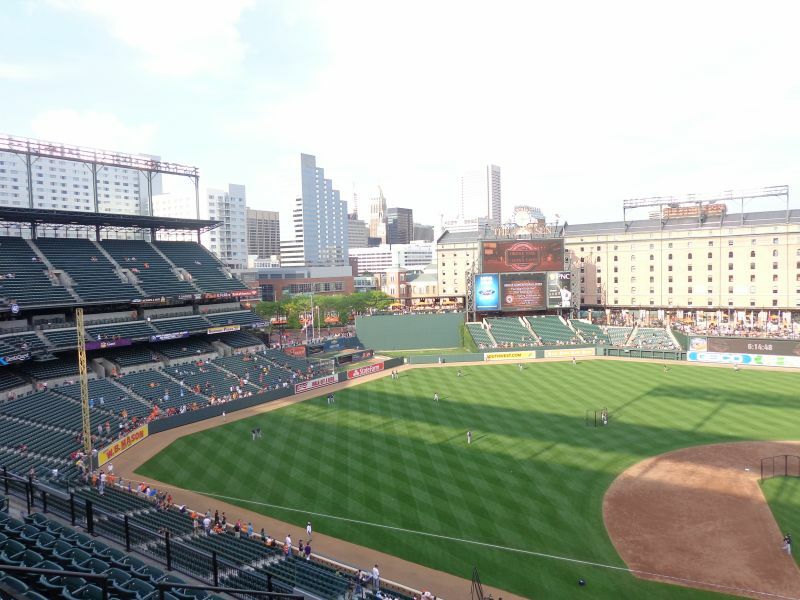 Camden’s subjective ballpark innovations not listed above, like the green seats, steel trusses, and red brick, fit Baltimore perfectly. 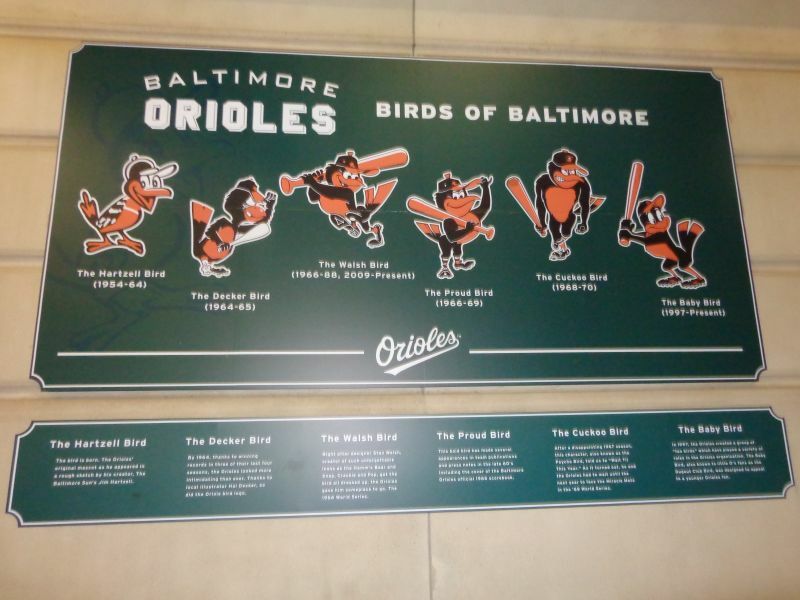 And the teams who copied these “retro” aspects without any appreciation for their civic/regional context did so at their own peril. 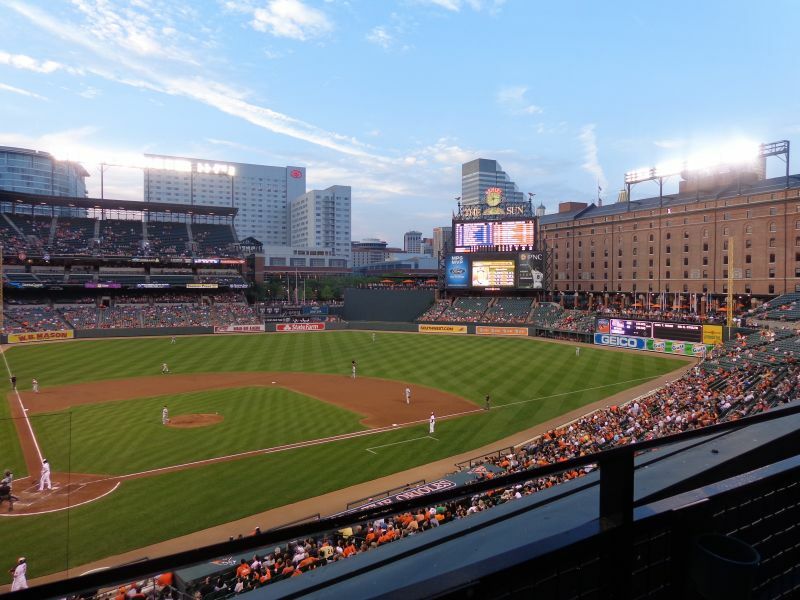 Building an intimate structure that fits with the city in scale and substance is the framework for every great ballpark today. 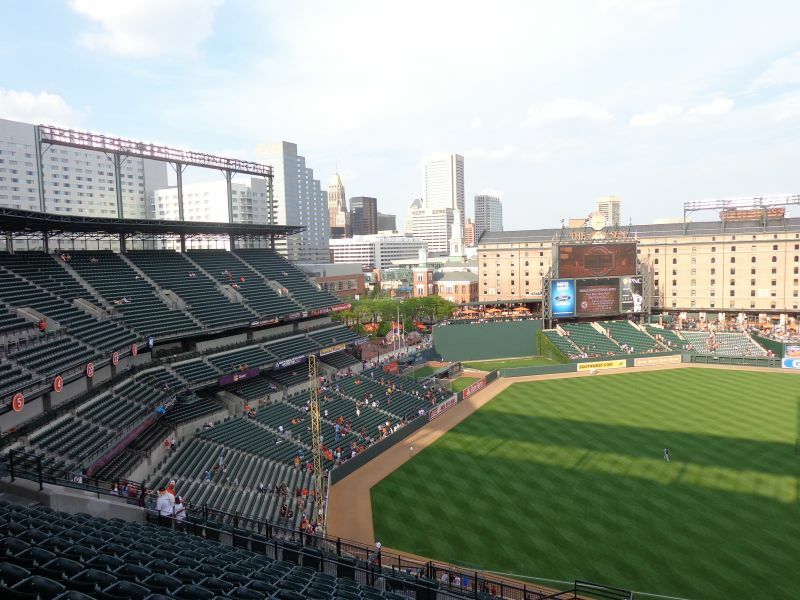 The final point is that Camden Yards fundamentally changed the perception of Baltimore, and I’m not talking about the way it and other parks like Progressive, Coors, and AT&T changed the urban landscape of their respective cities. 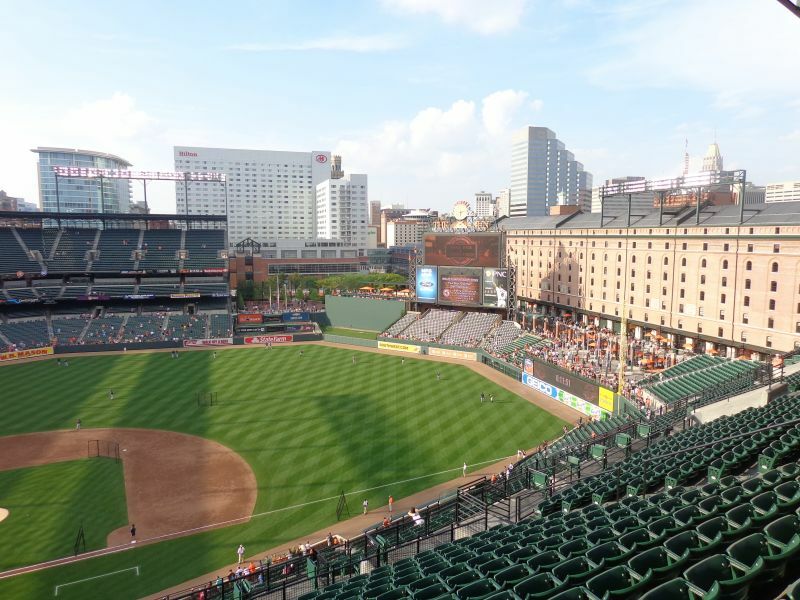 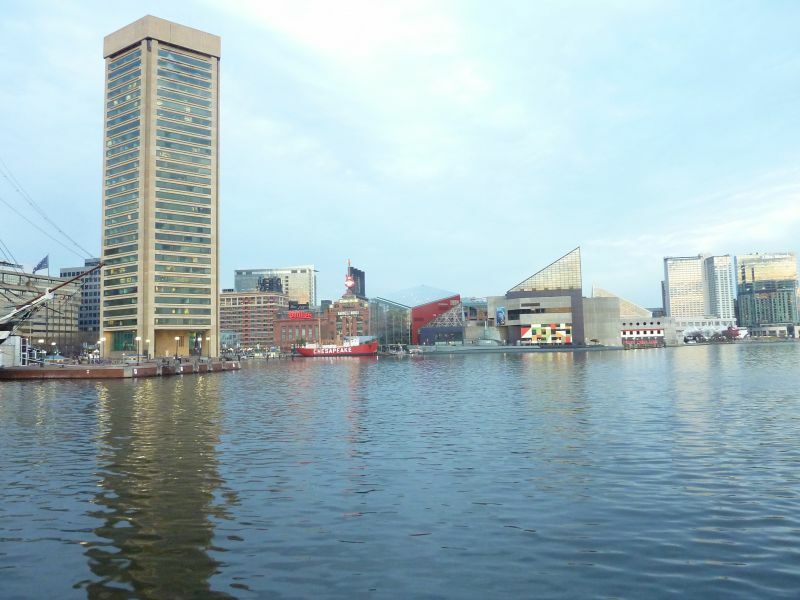 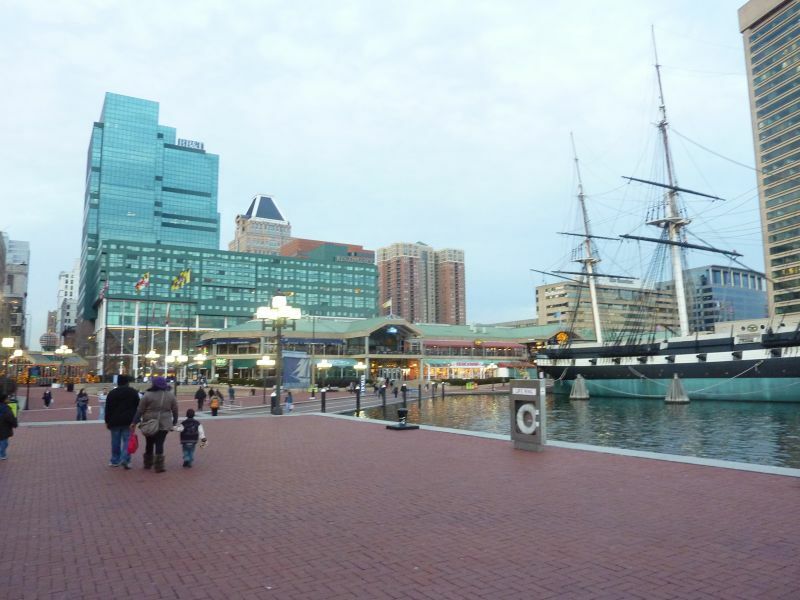 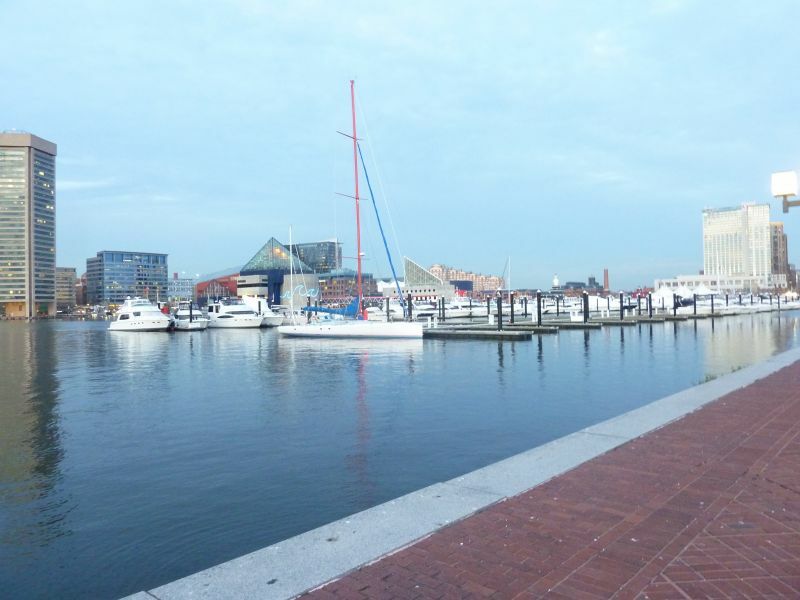 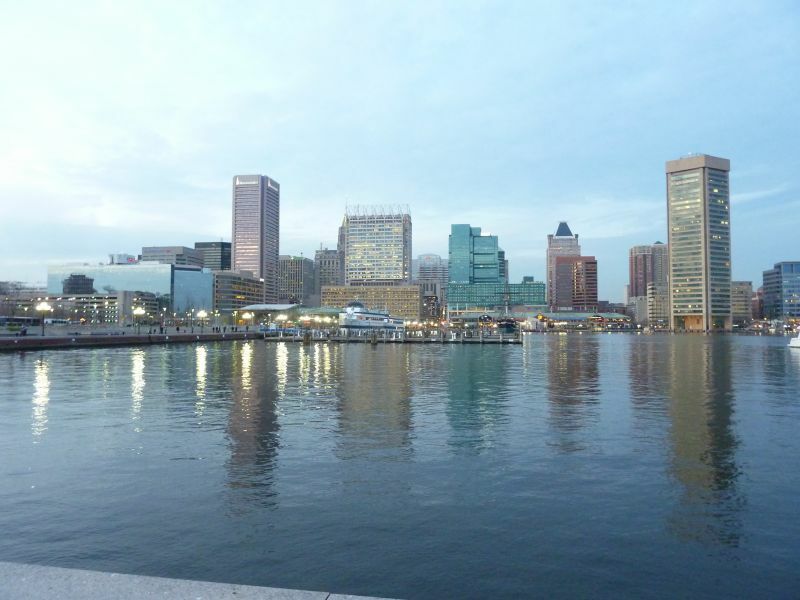 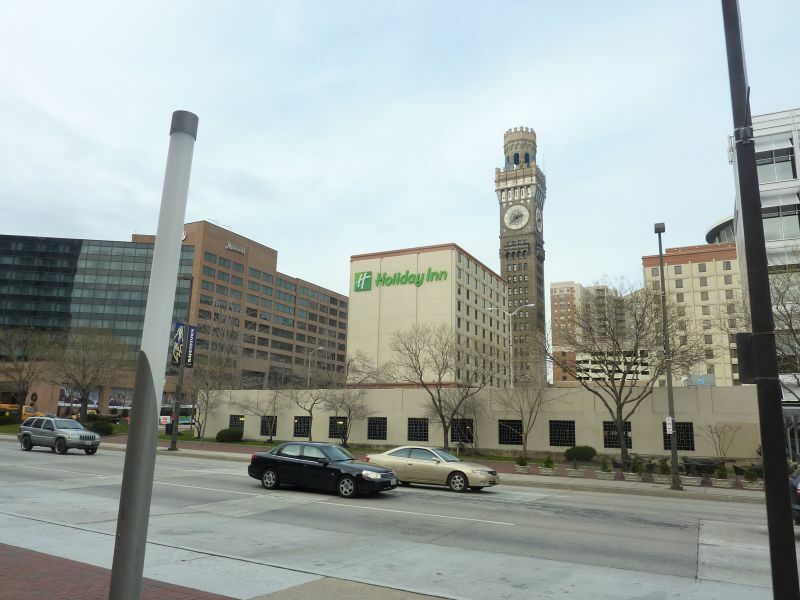 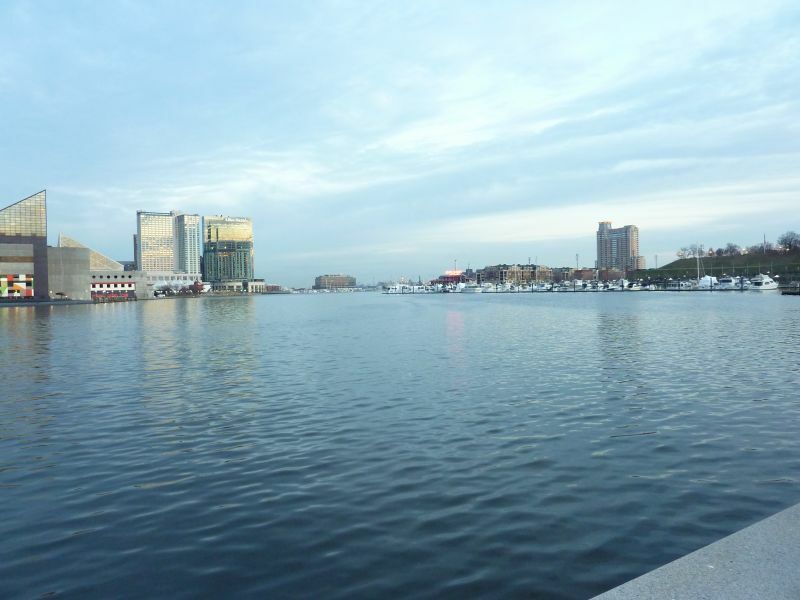 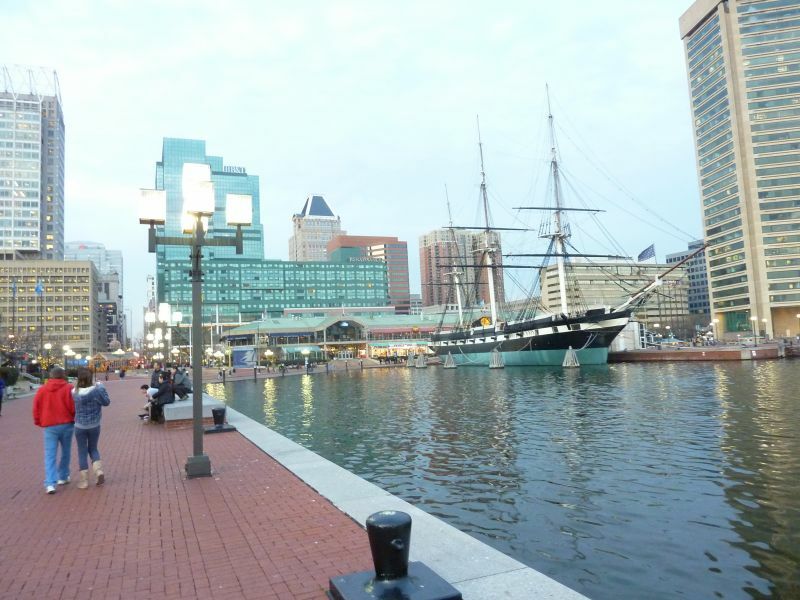 No, it changed Baltimore in a more transcendental sense; the way Wrigley Field is associated with Chicago and Fenway Park is associated with Boston, Camden Yards is and forever will be intrinsically tied to Baltimore throughout the 21st century. 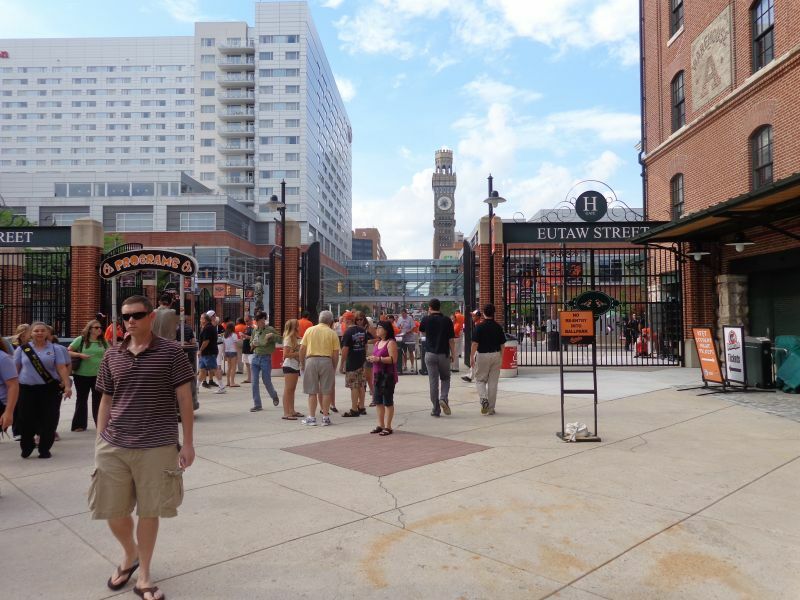 20 years later, Oriole Park has become a tourist destination, in a way newer, superior parks like PNC, AT&T, and Comerica never will be. 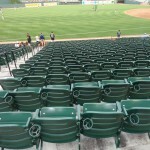 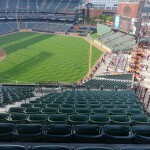 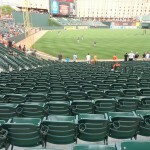 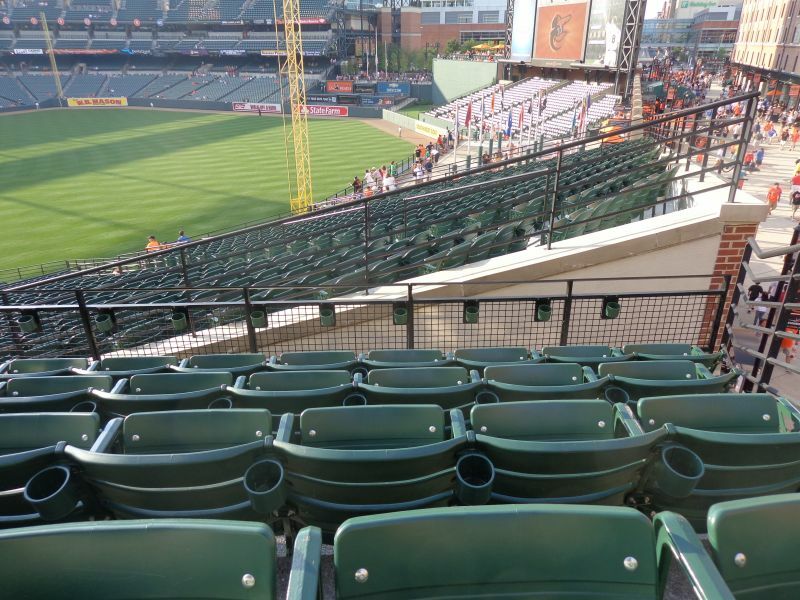 As I just implied and many often point out, Camden Yards is by no means perfect due to a couple of functional design quirks. 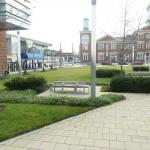 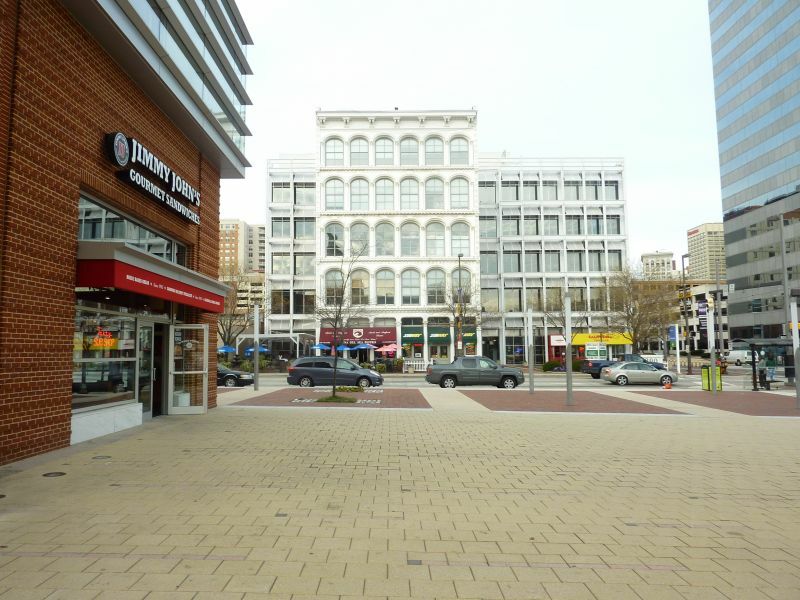 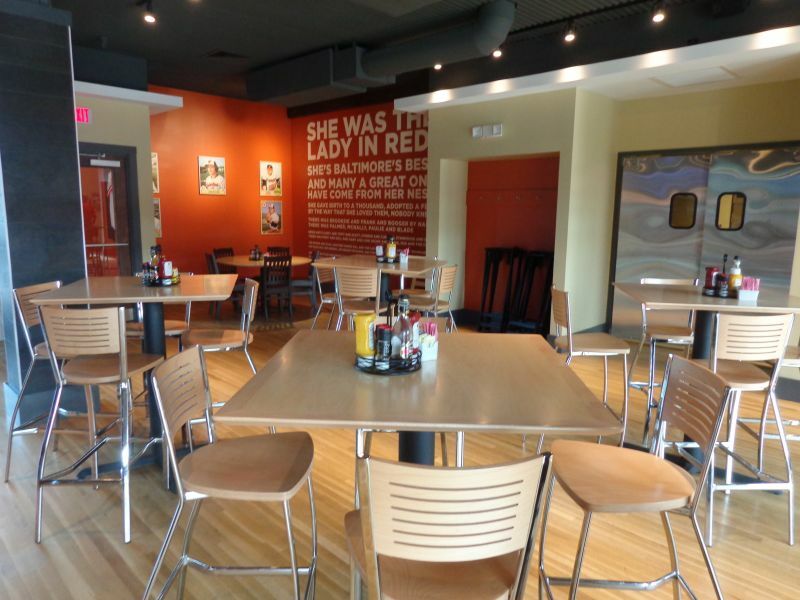 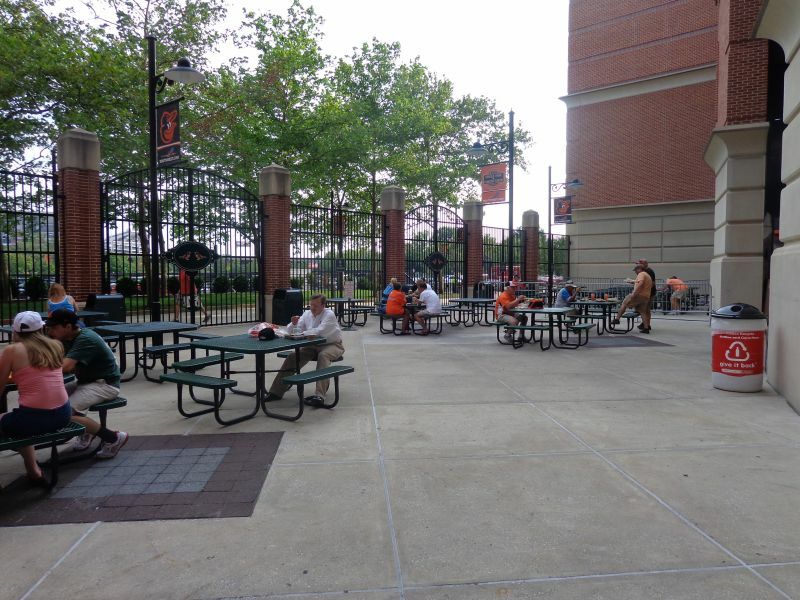 Although surprisingly wide, Camden features concourses closed from the playing field, contrary to the now ubiquitous open 360-degree experience. 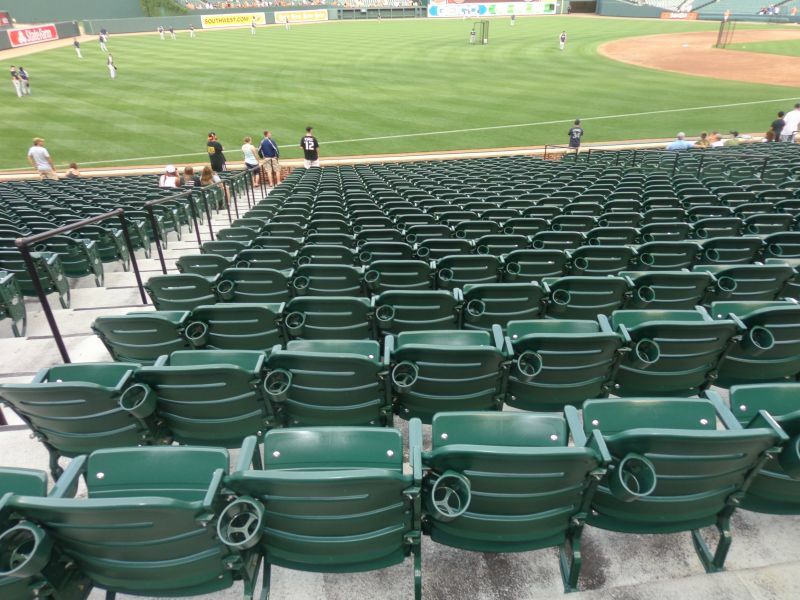 While mitigated by superior field proximity, the sightlines are terrible in the aggregate: the seating geometry down the lines is an absolute disaster, as they made no attempt to angle the seats toward the infield. 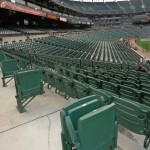 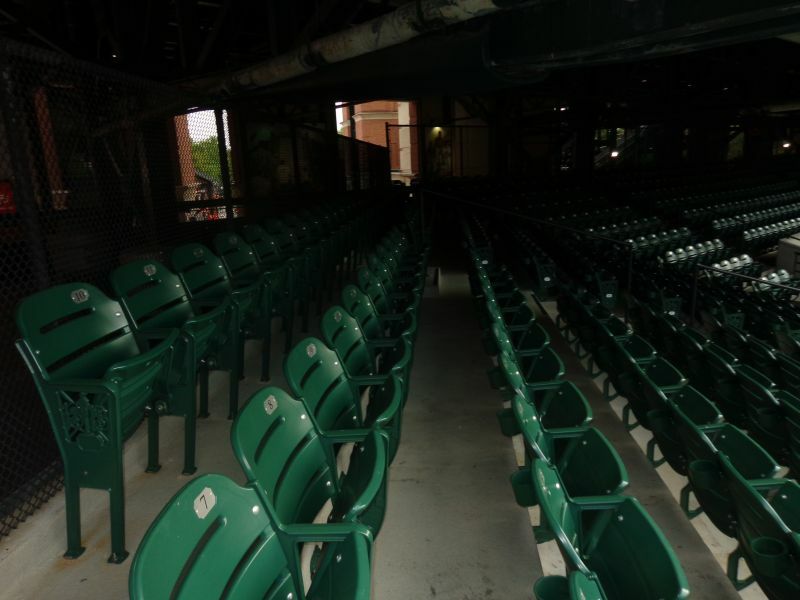 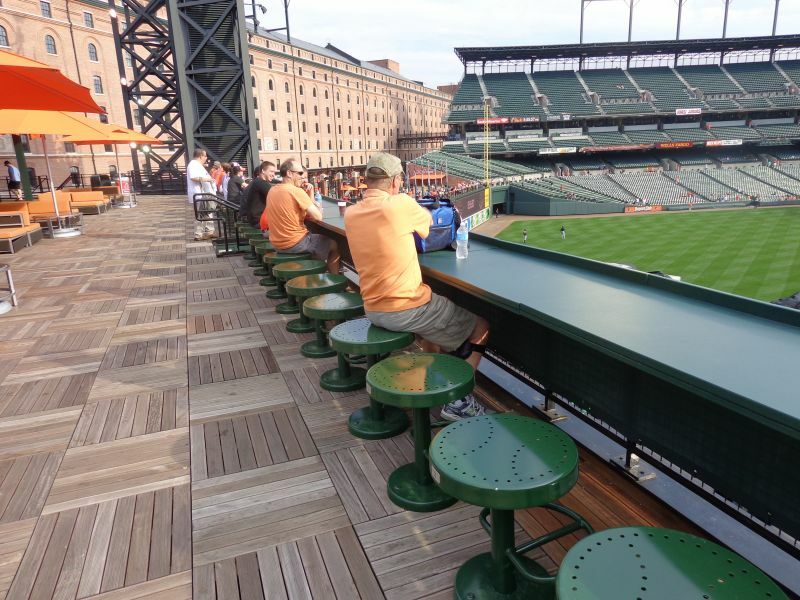 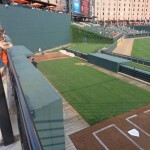 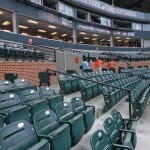 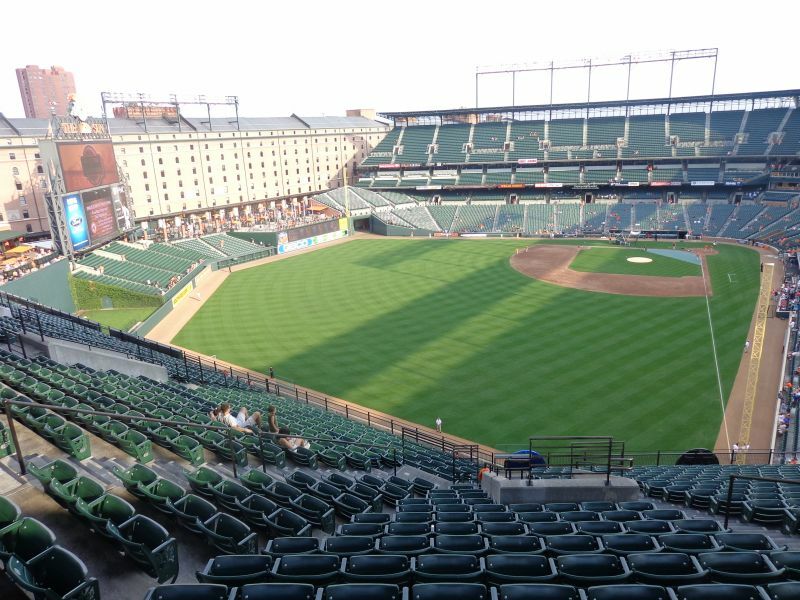 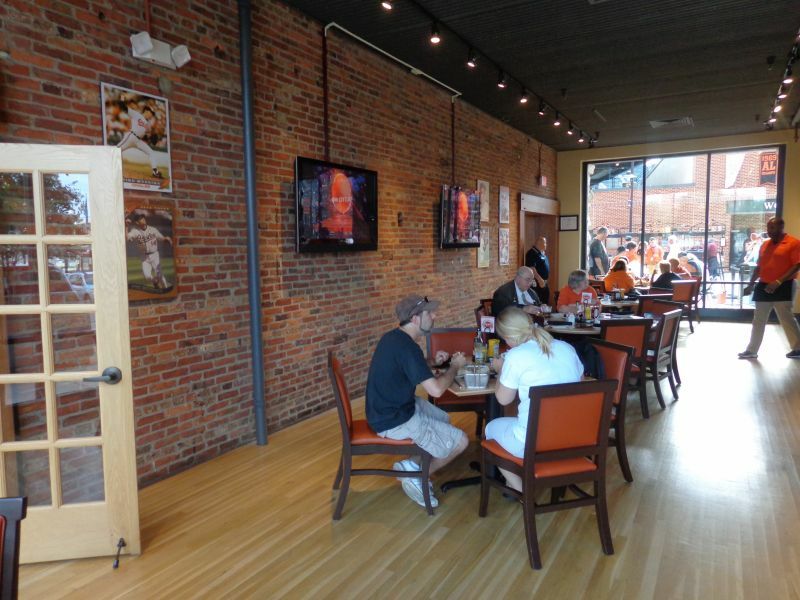 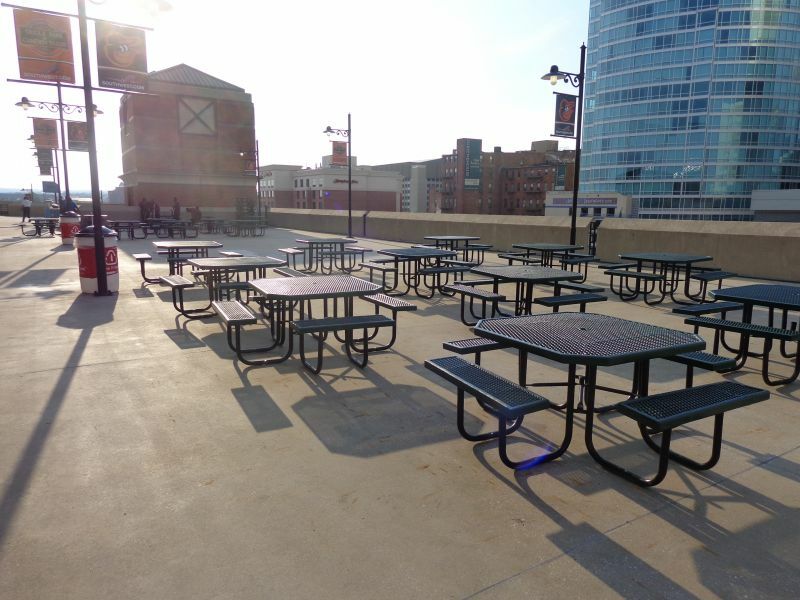 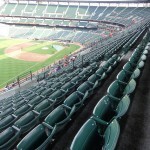 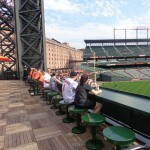 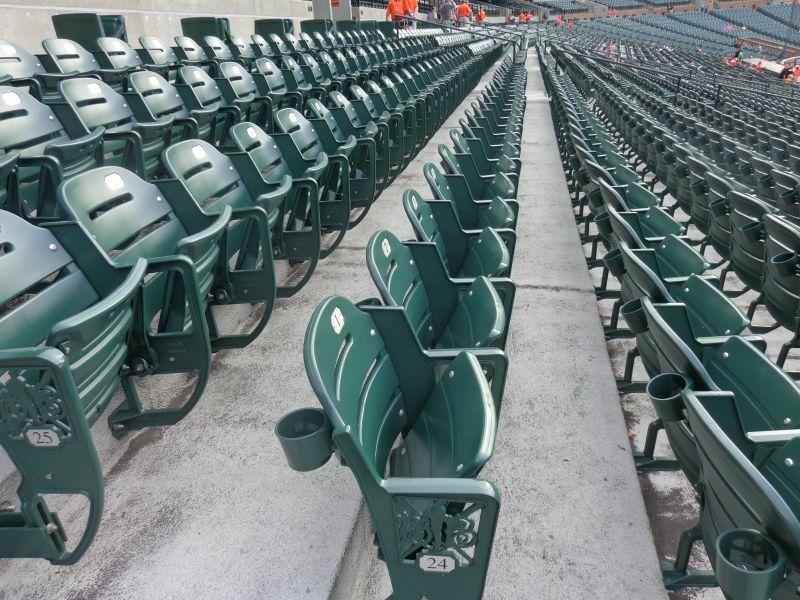 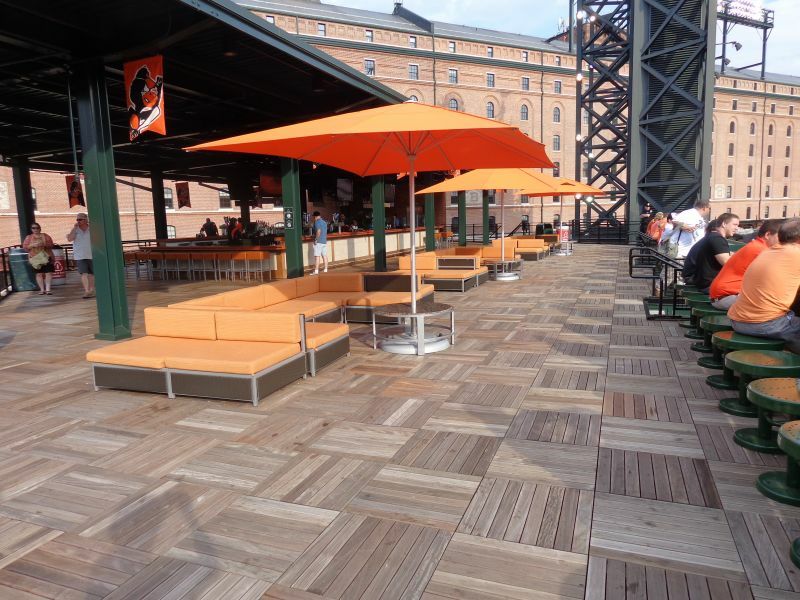 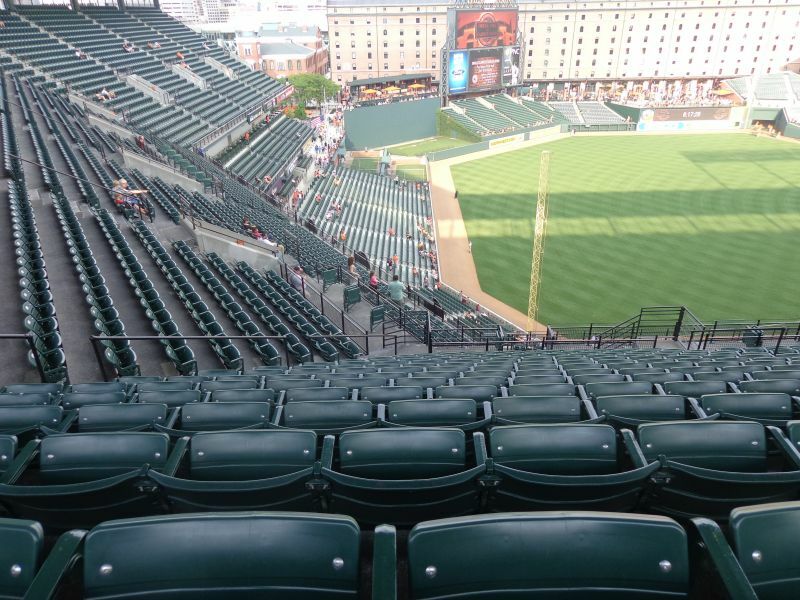 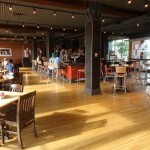 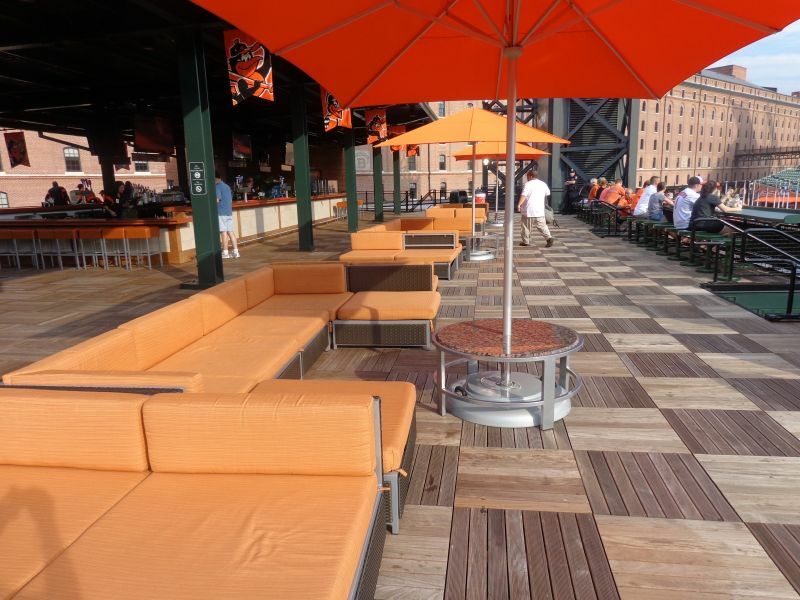 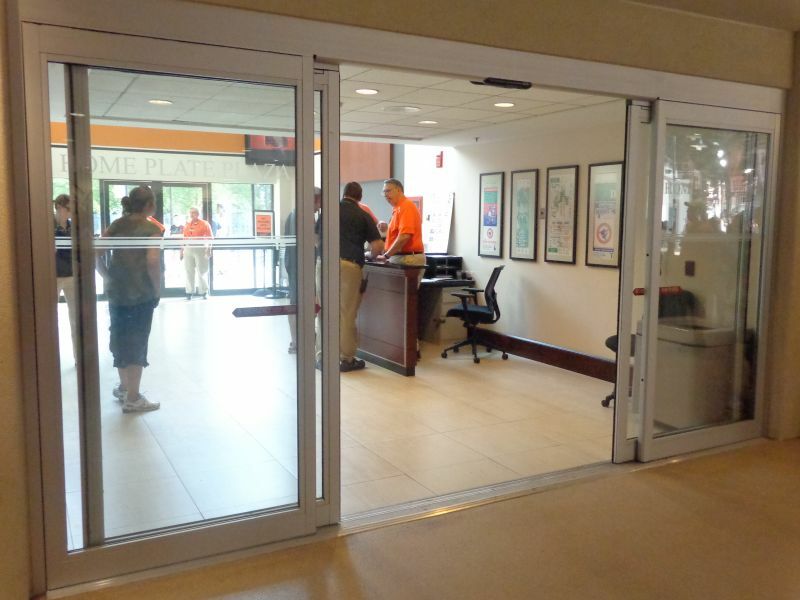 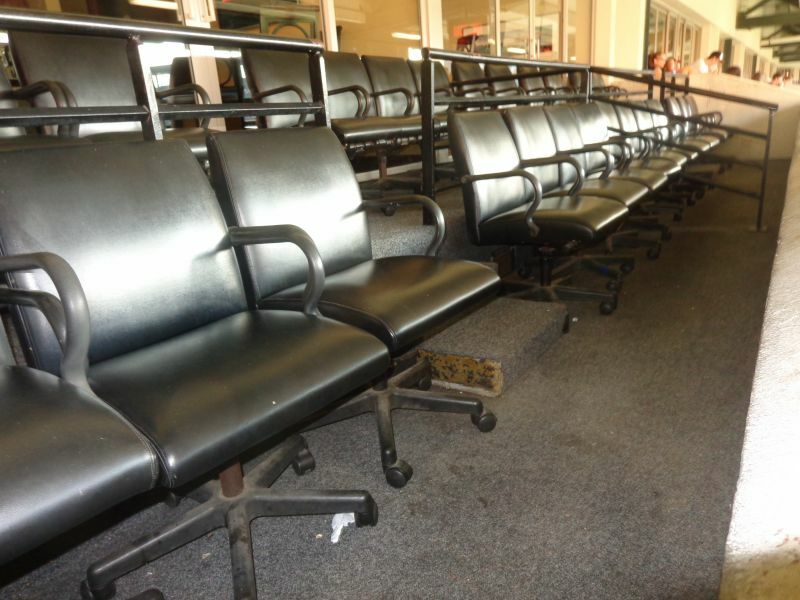 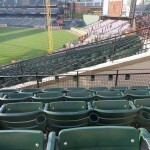 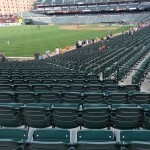 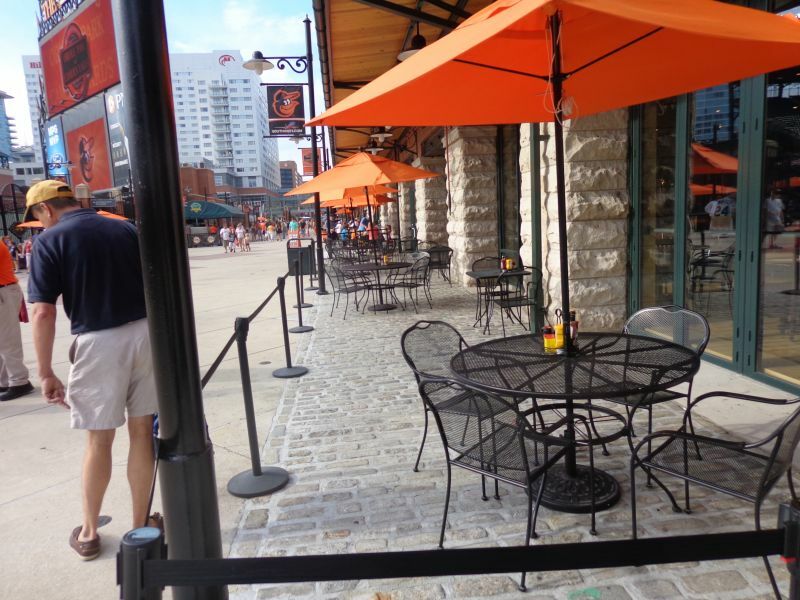 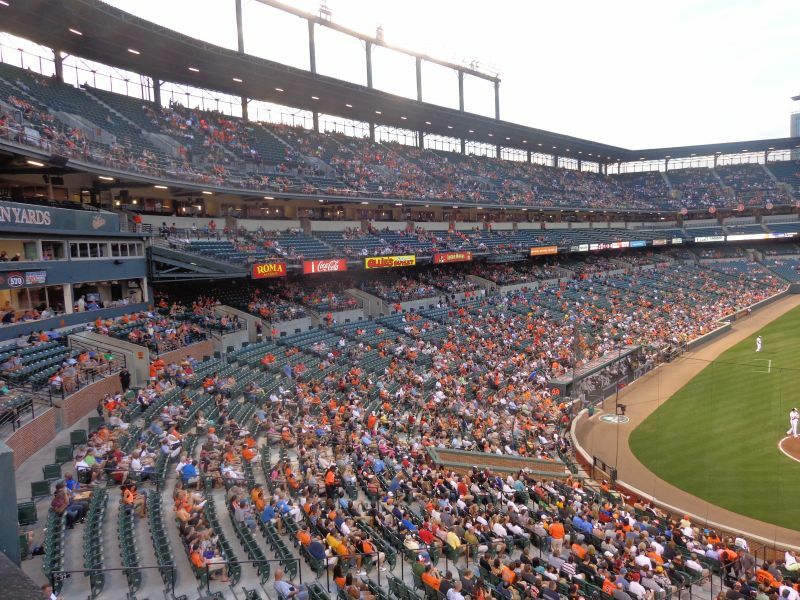 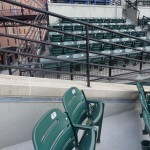 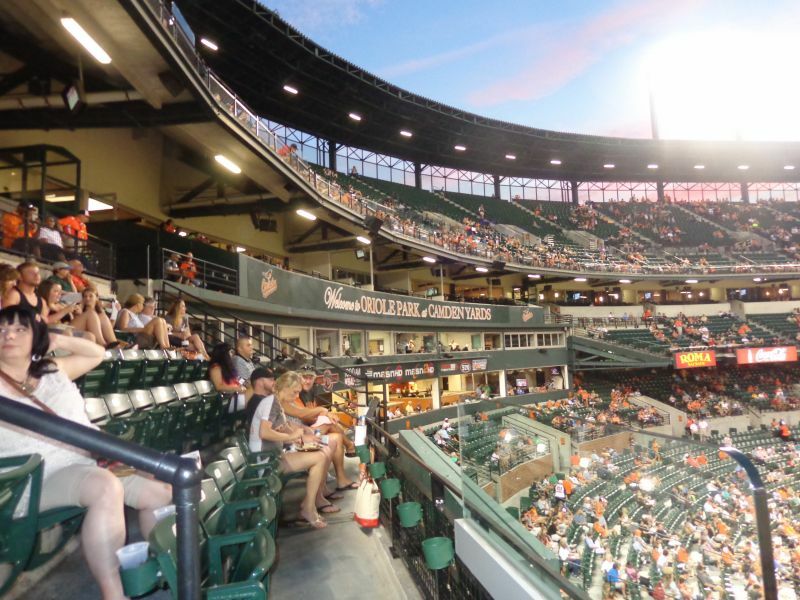 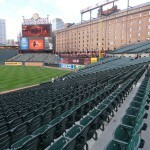 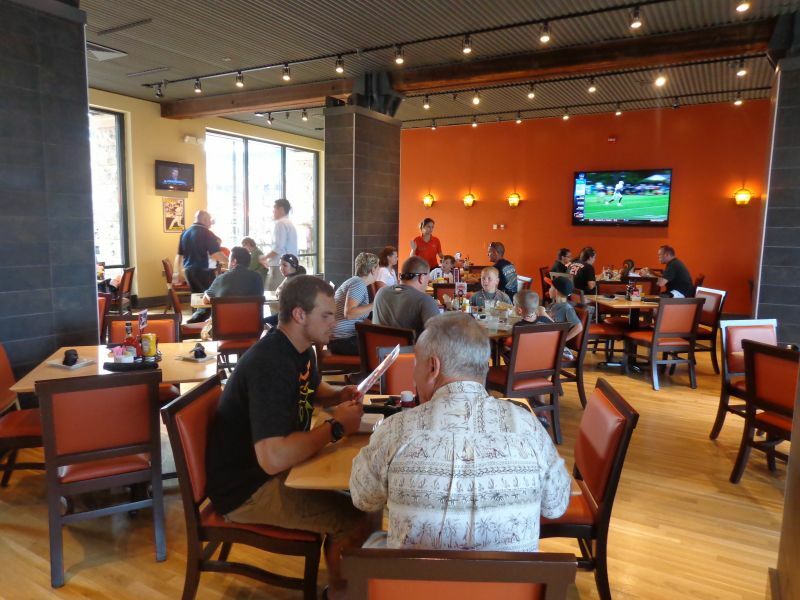 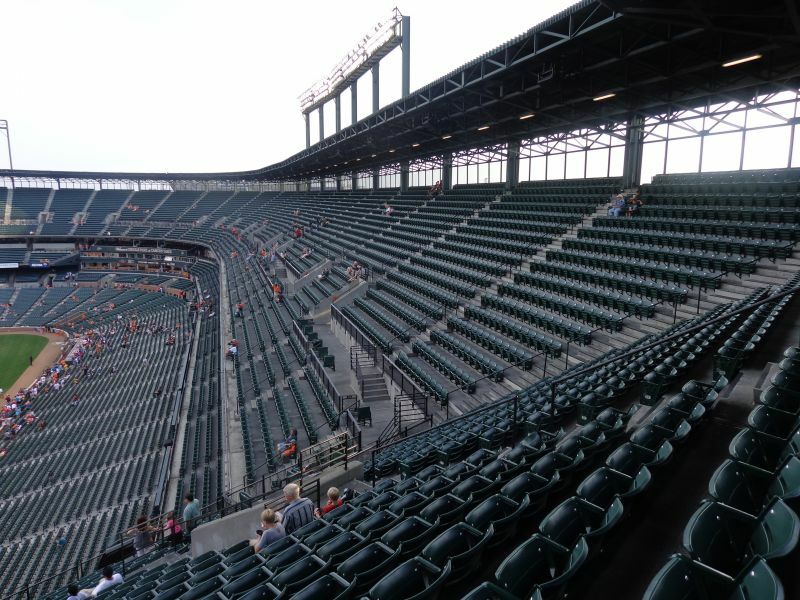 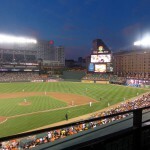 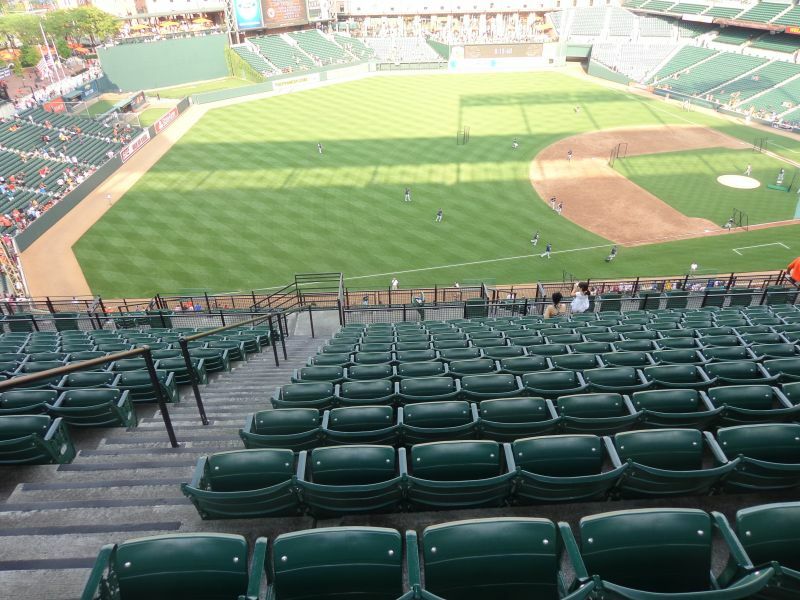 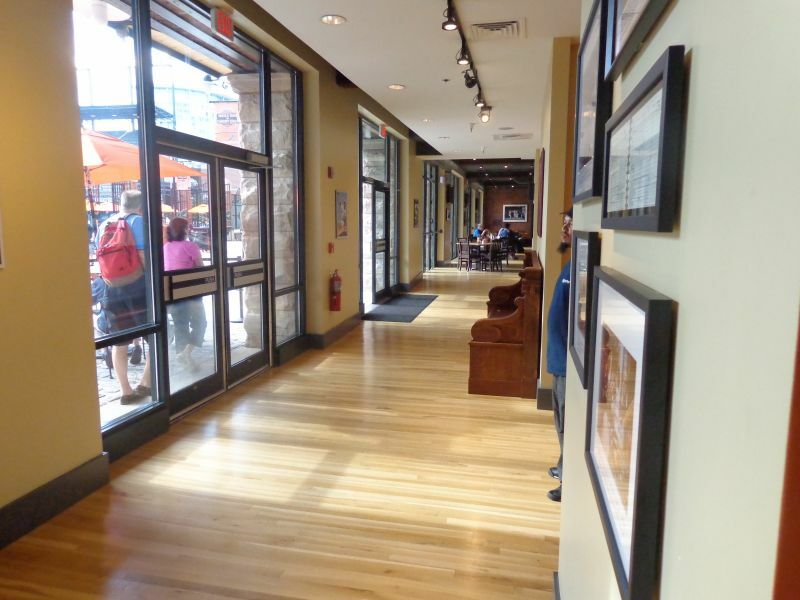 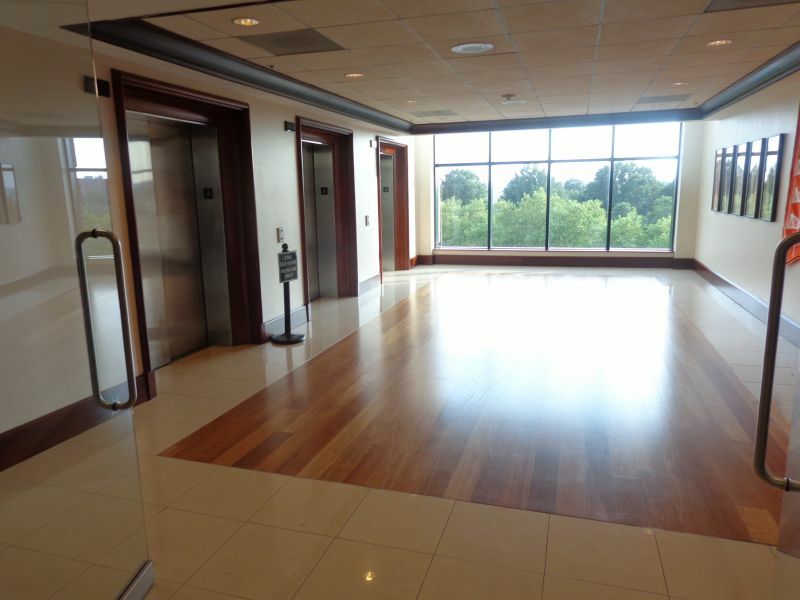 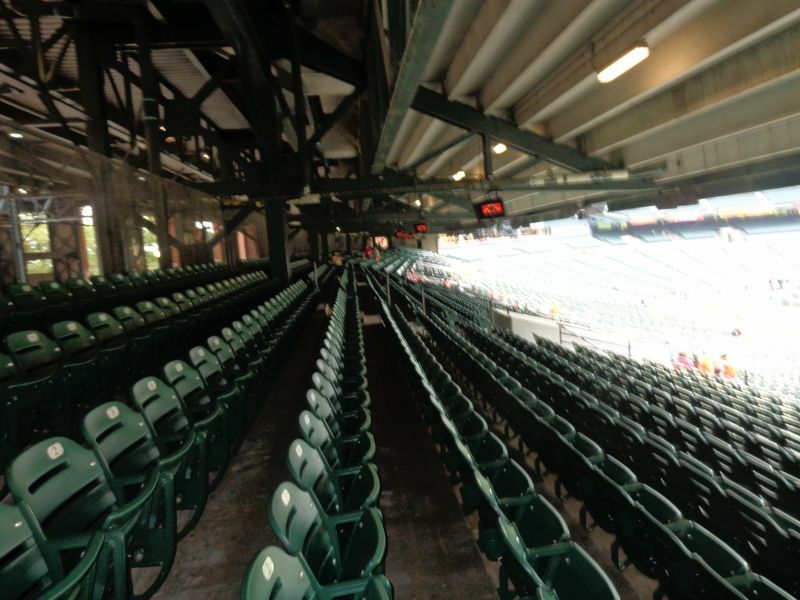 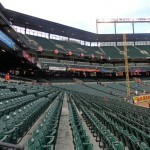 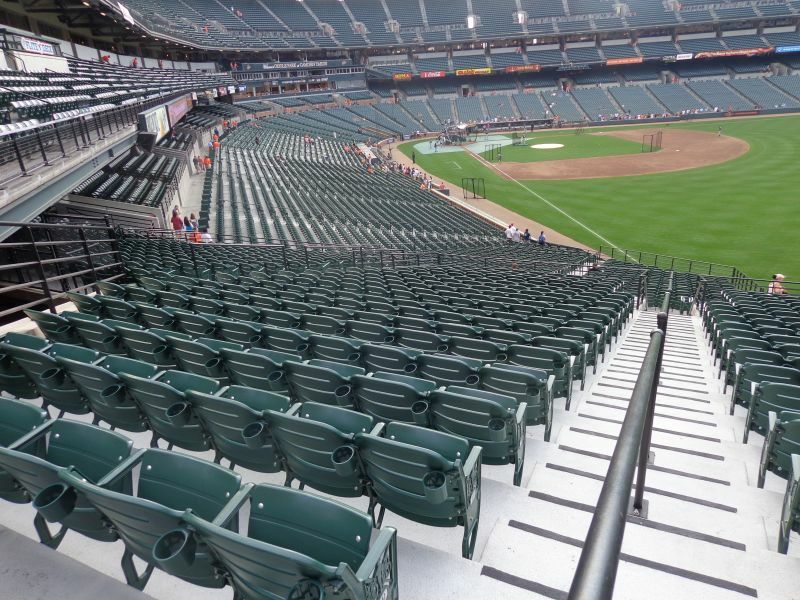 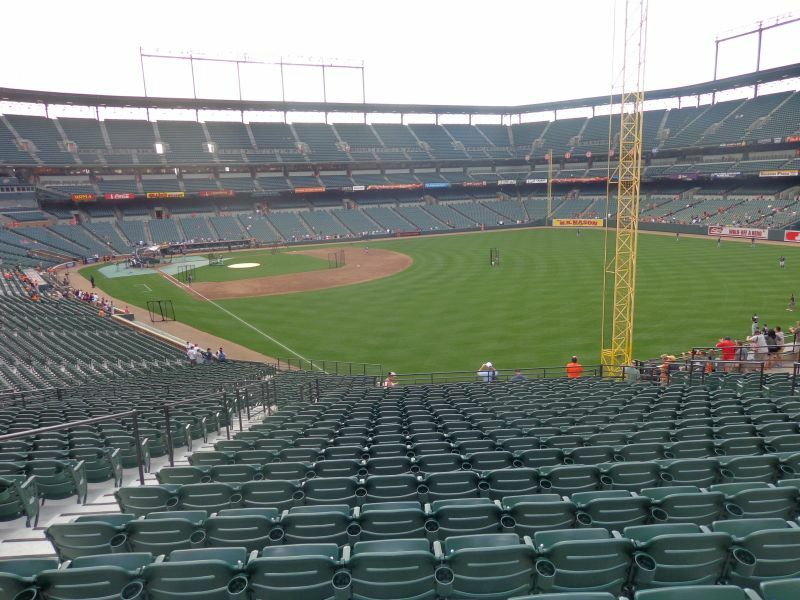 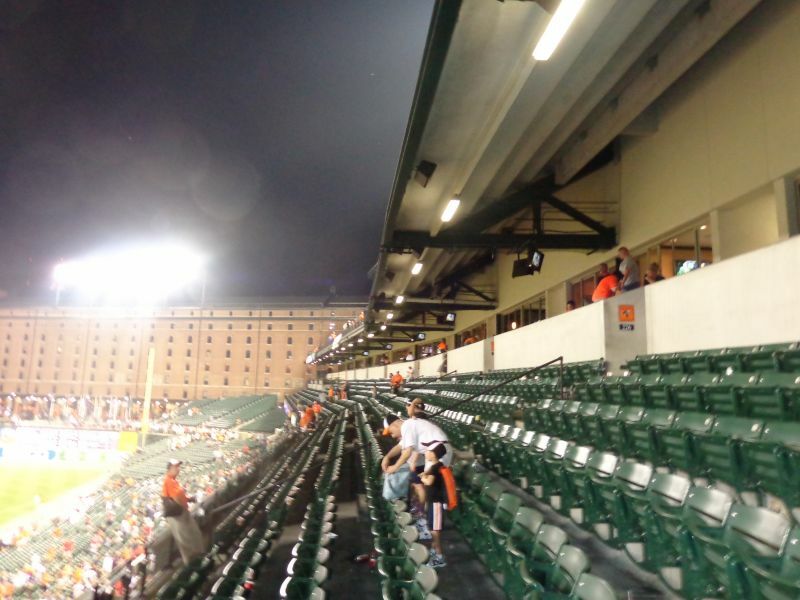 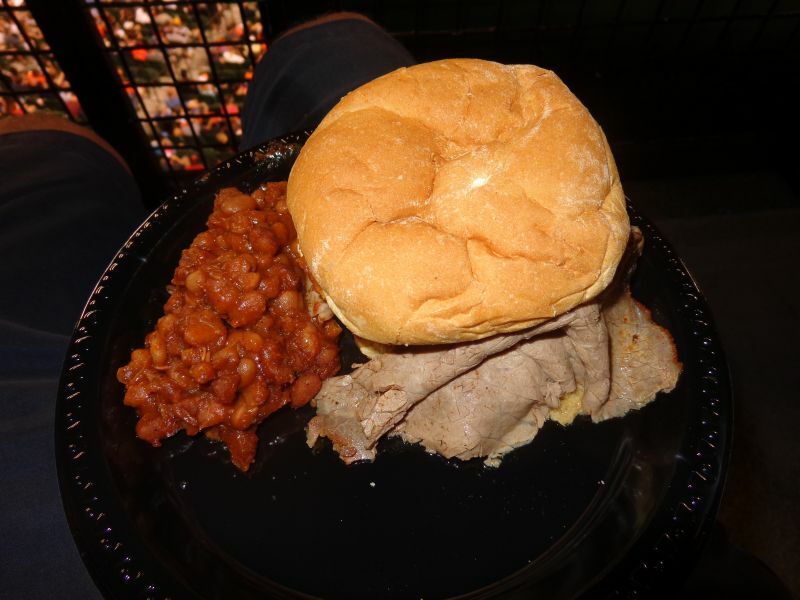 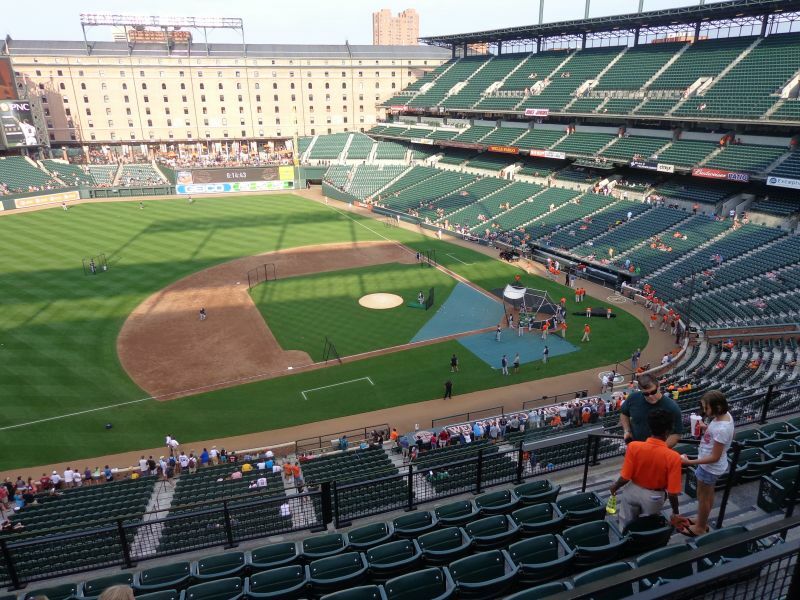 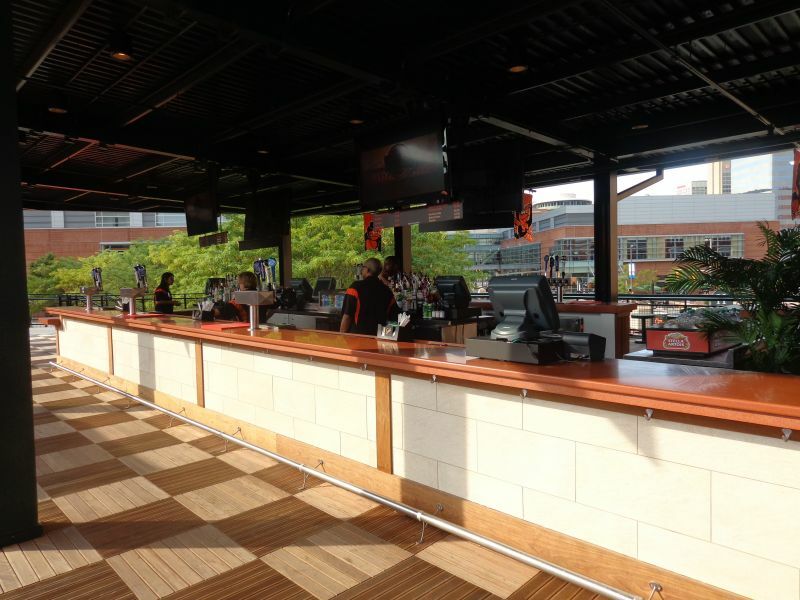 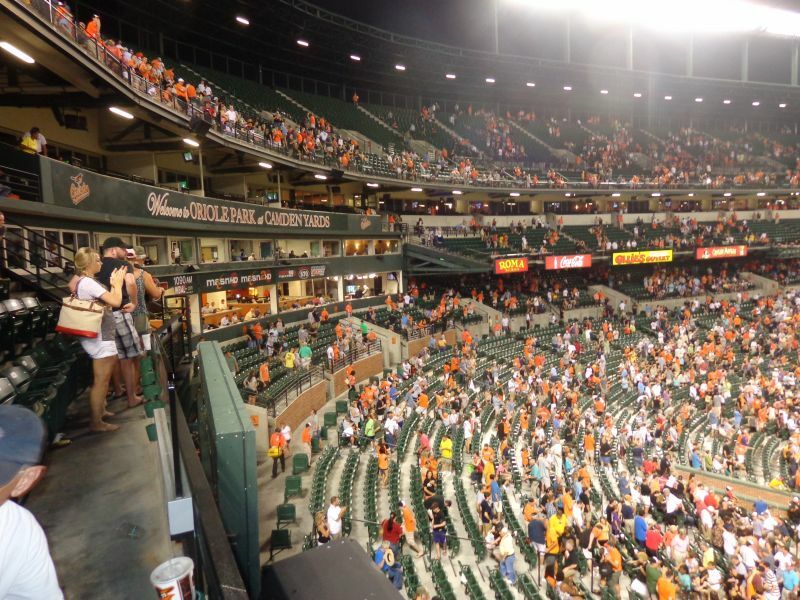 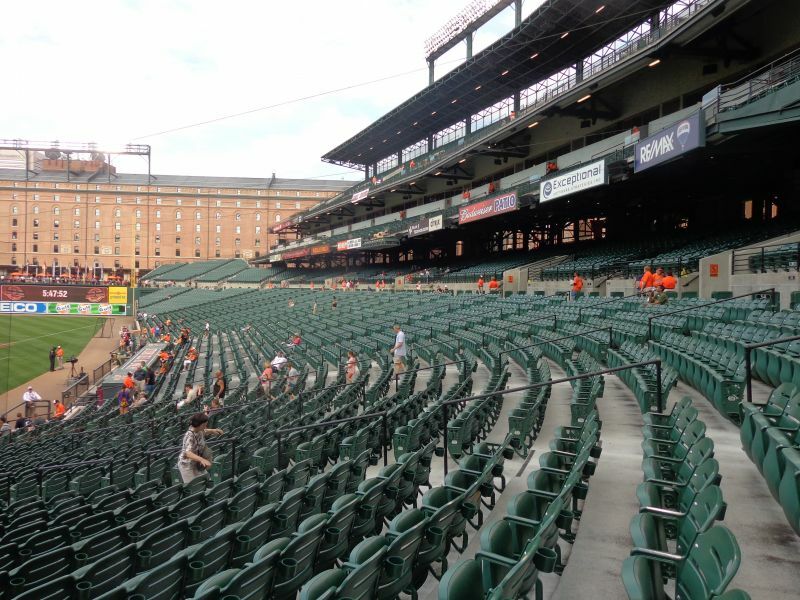 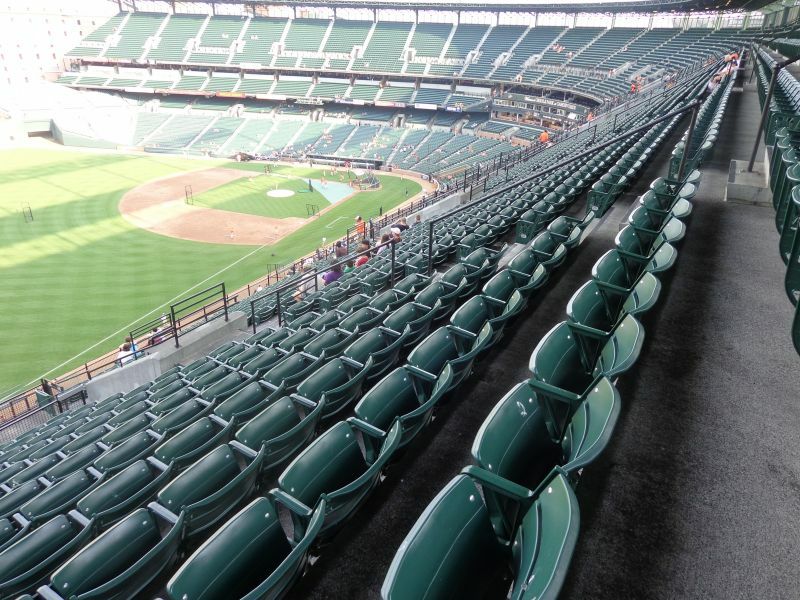 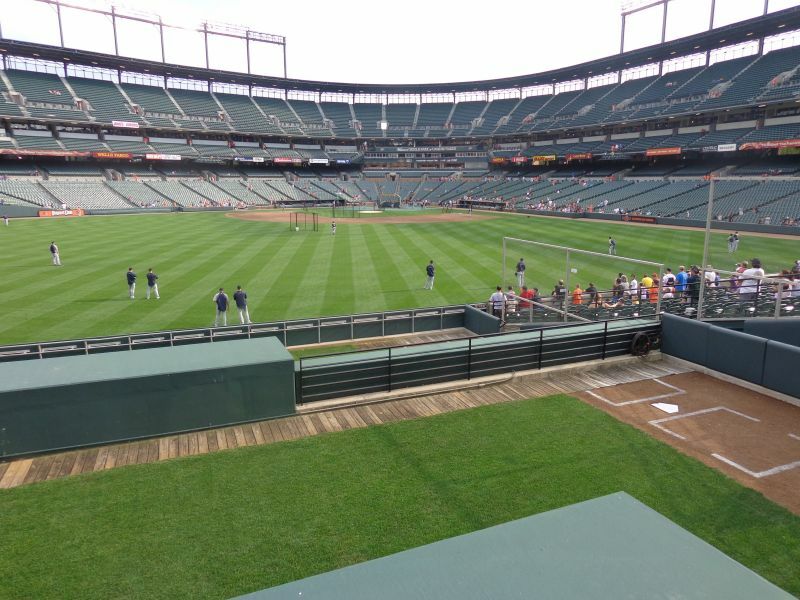 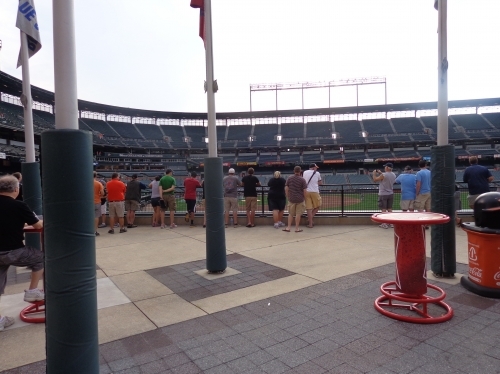 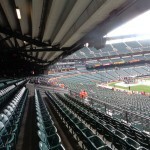 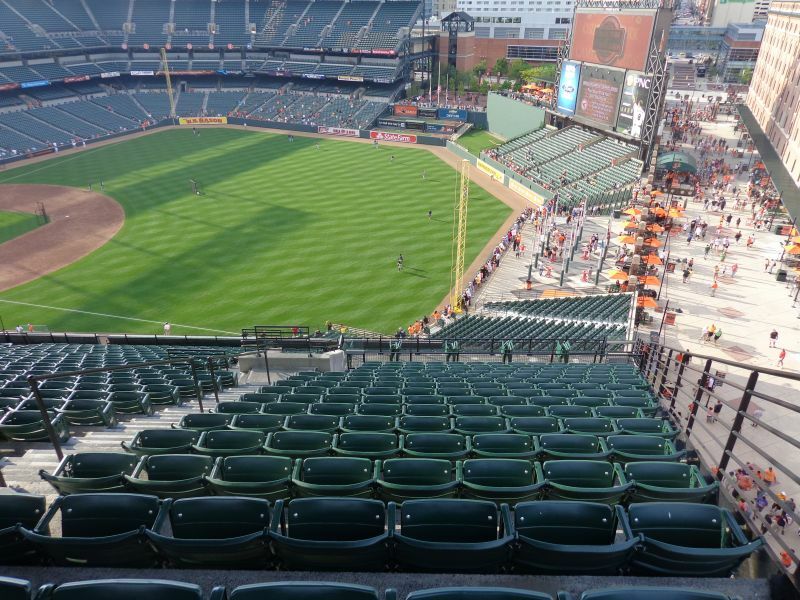 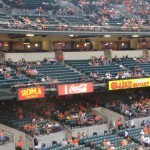 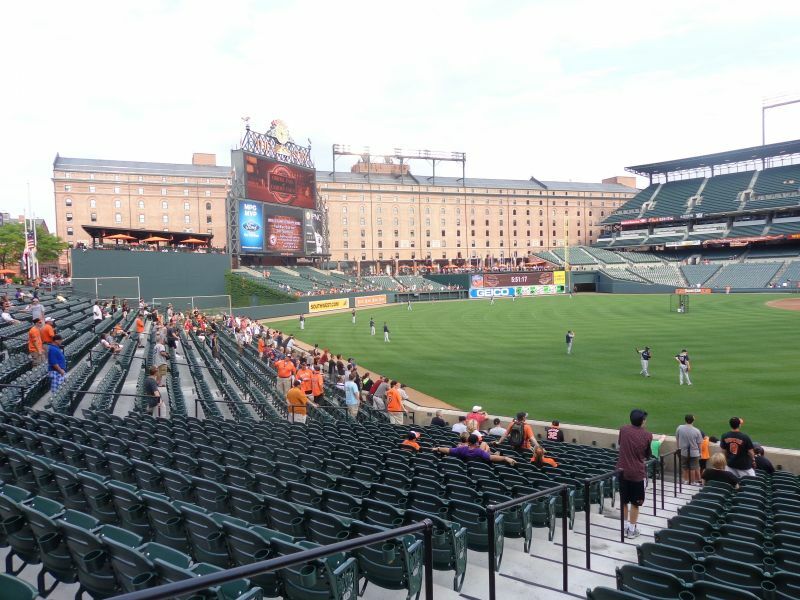 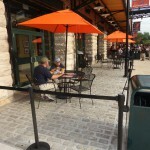 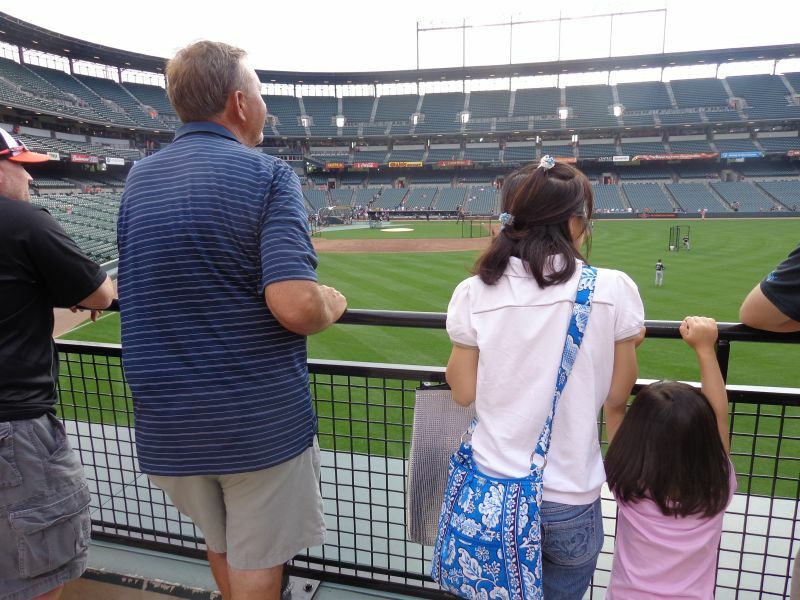 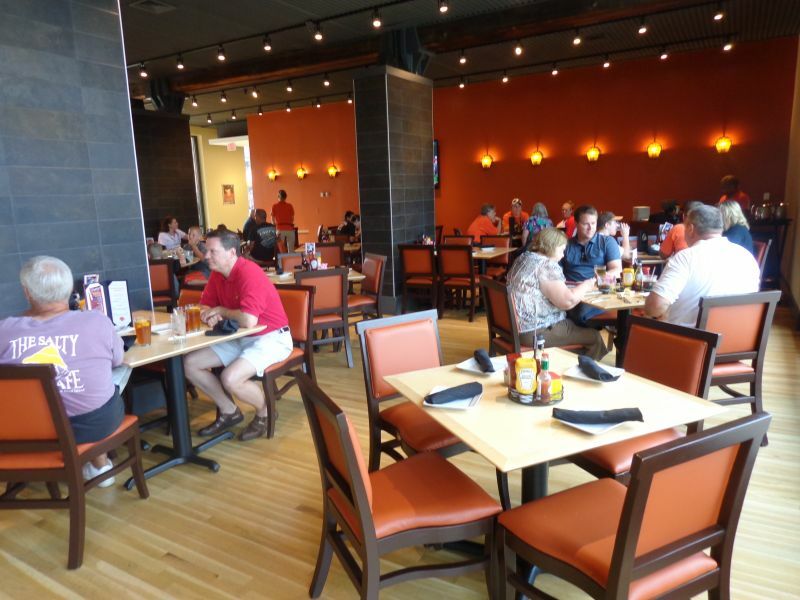 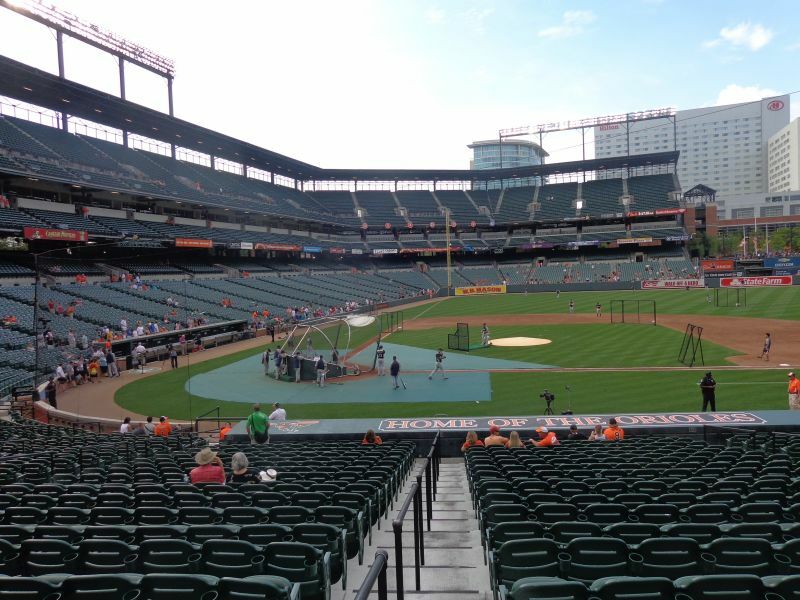 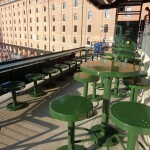 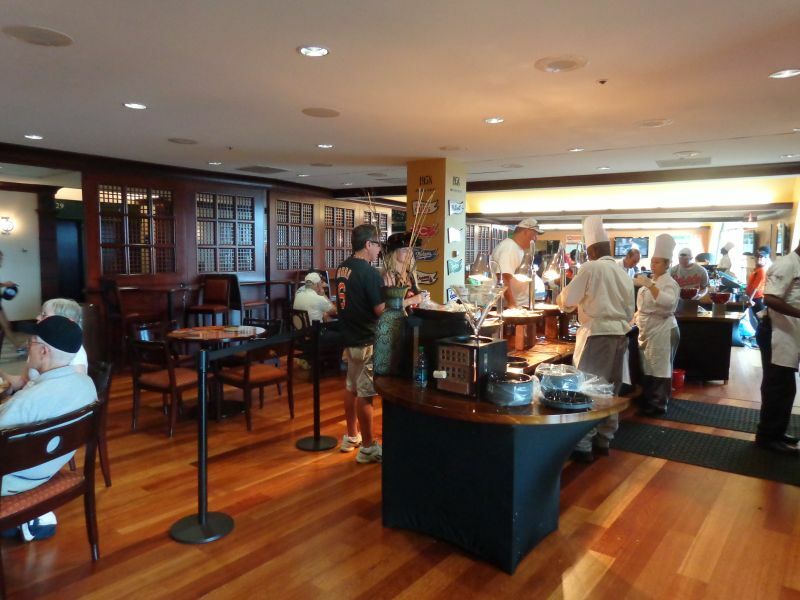 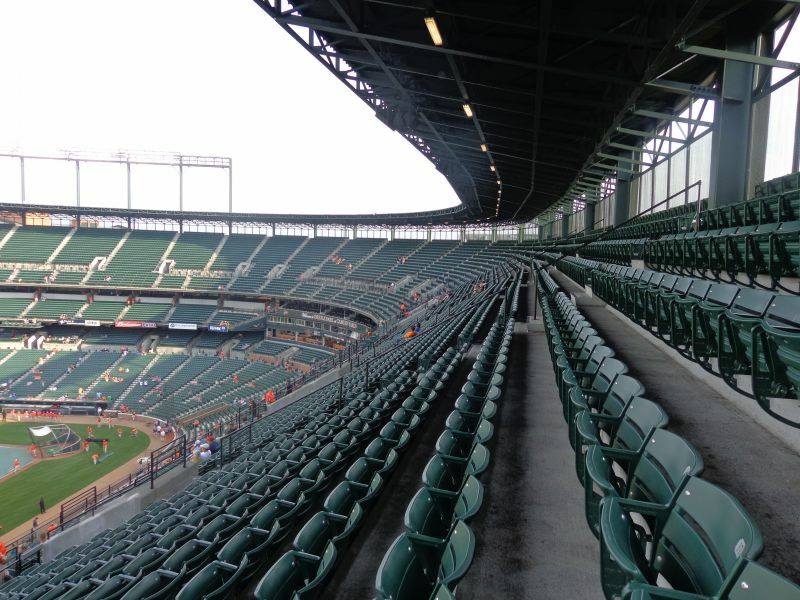 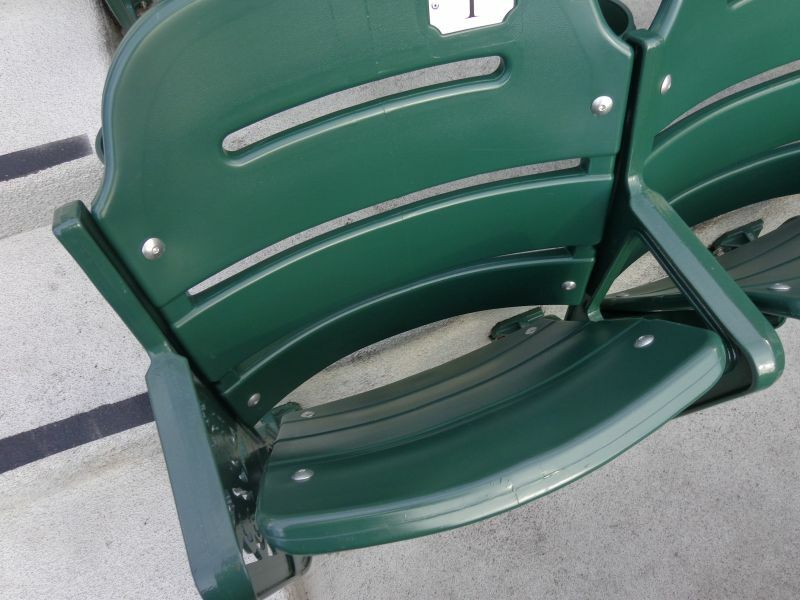 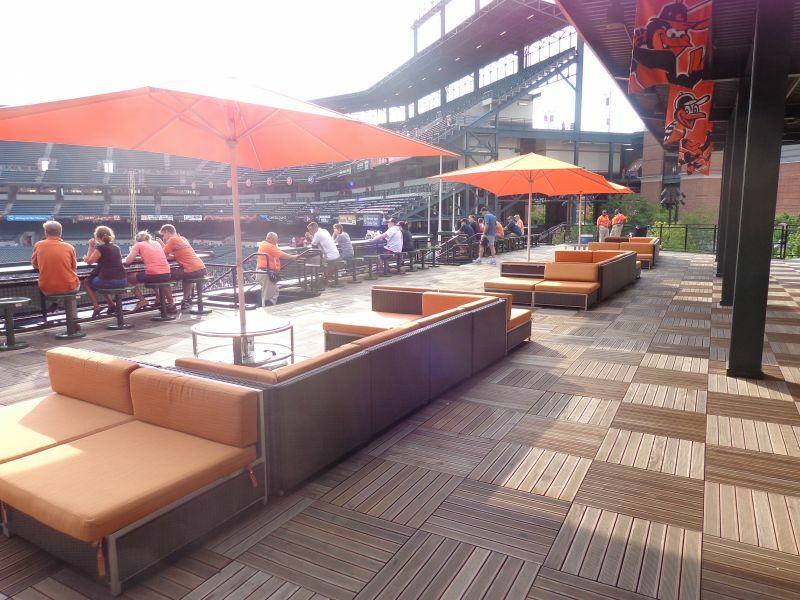 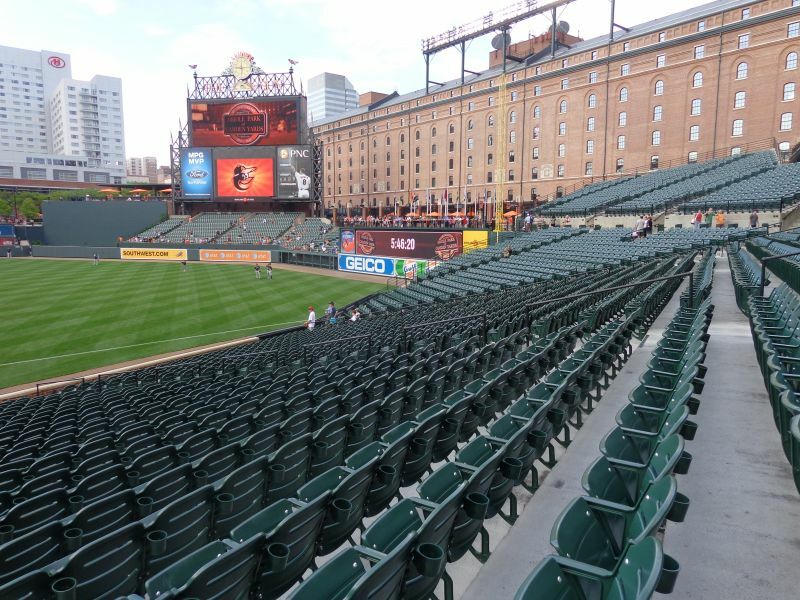 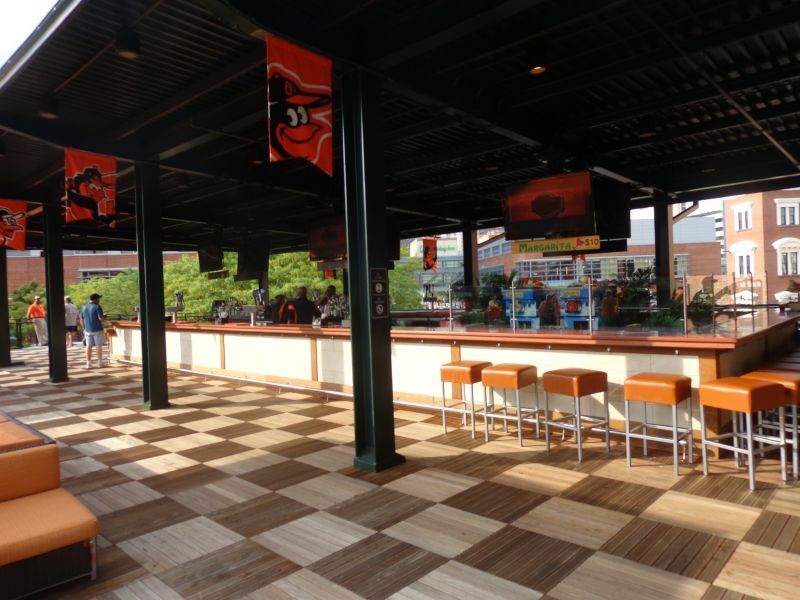 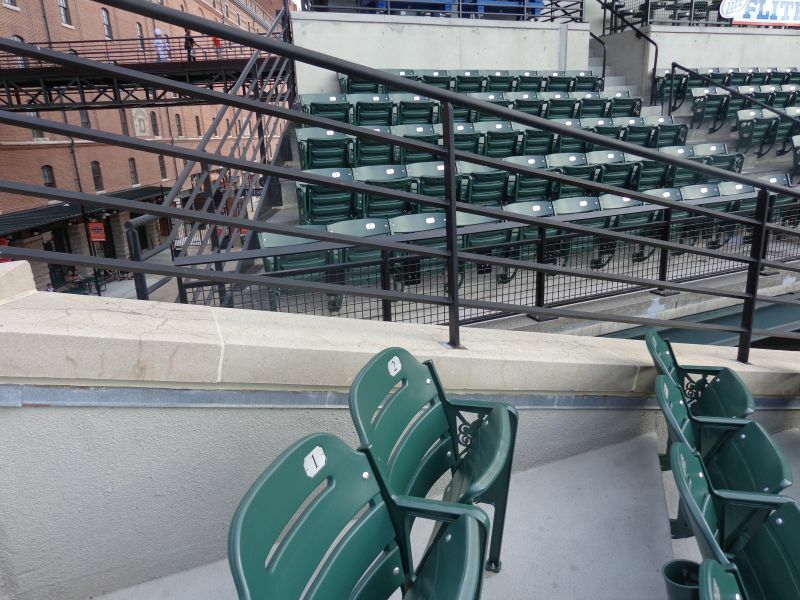 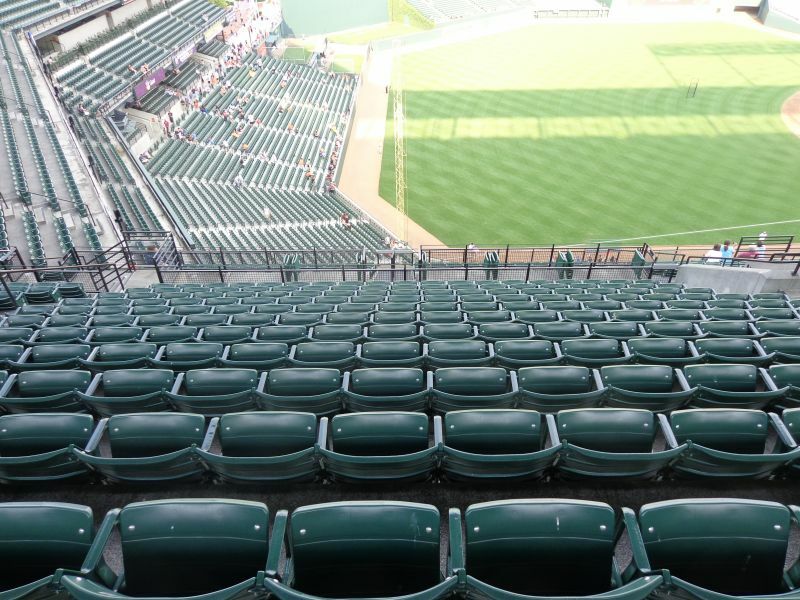 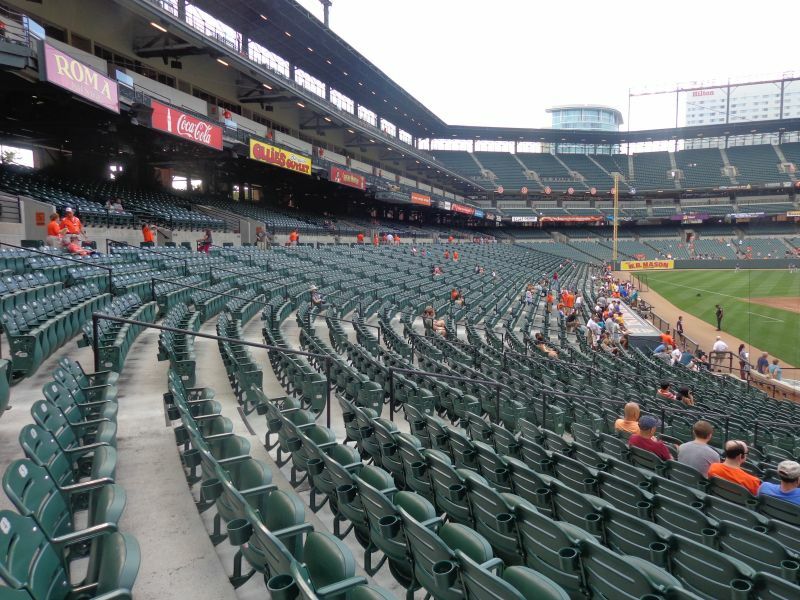 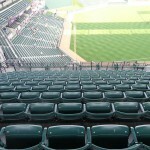 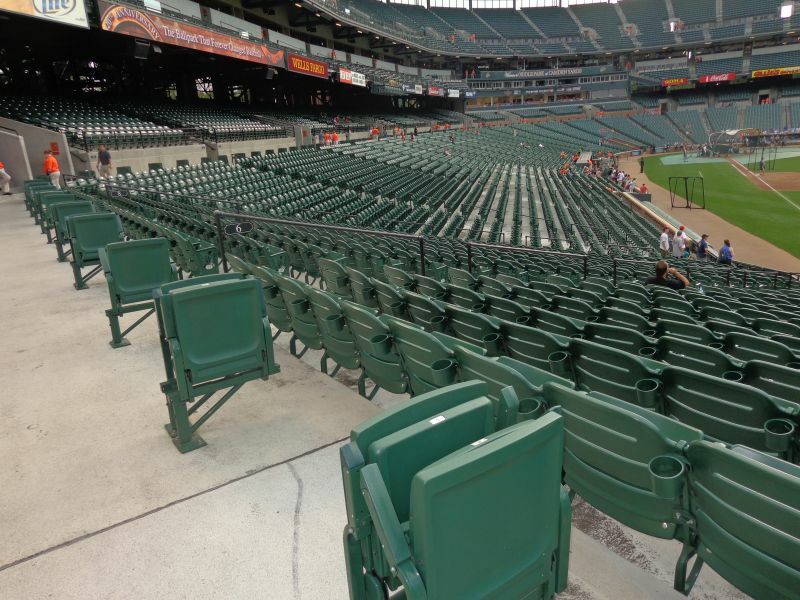 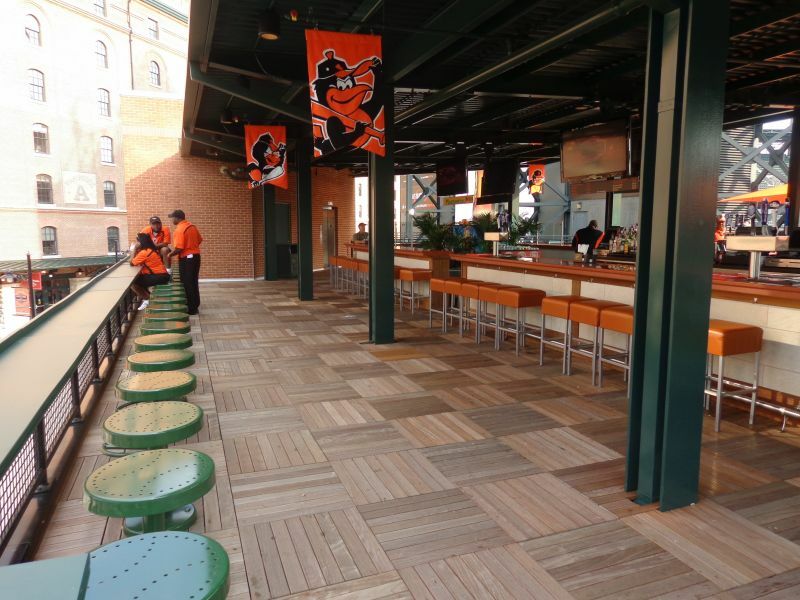 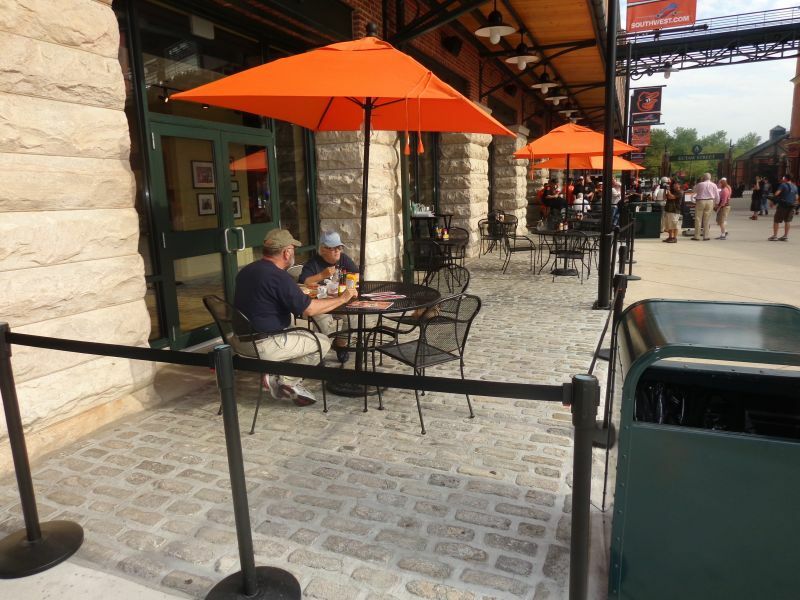 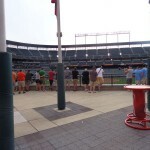 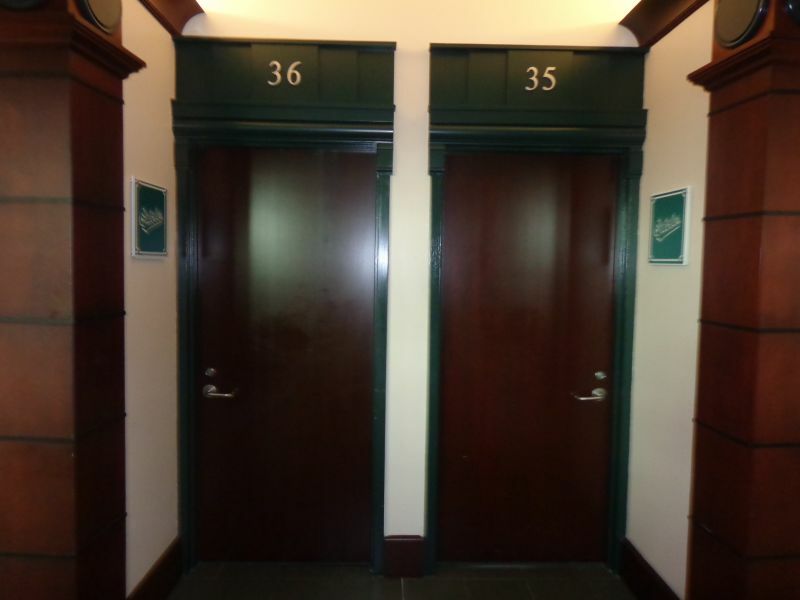 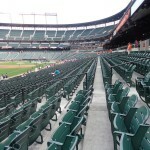 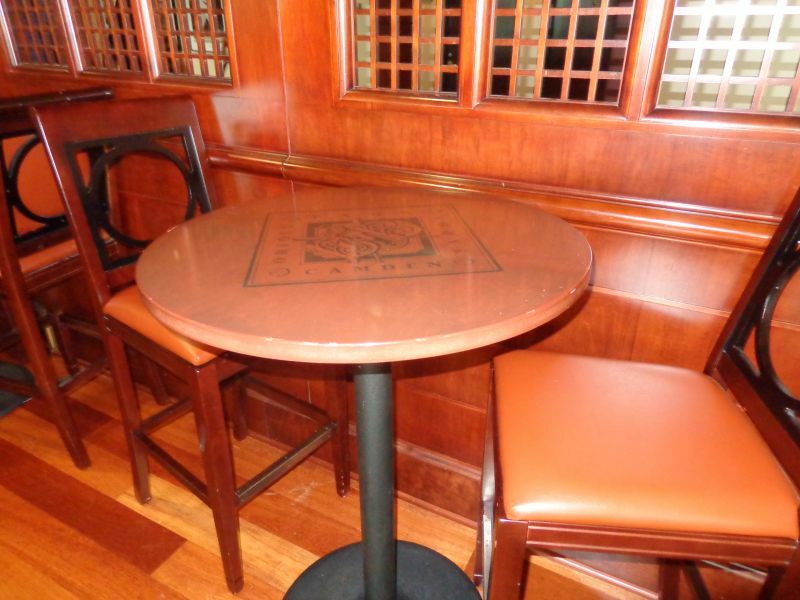 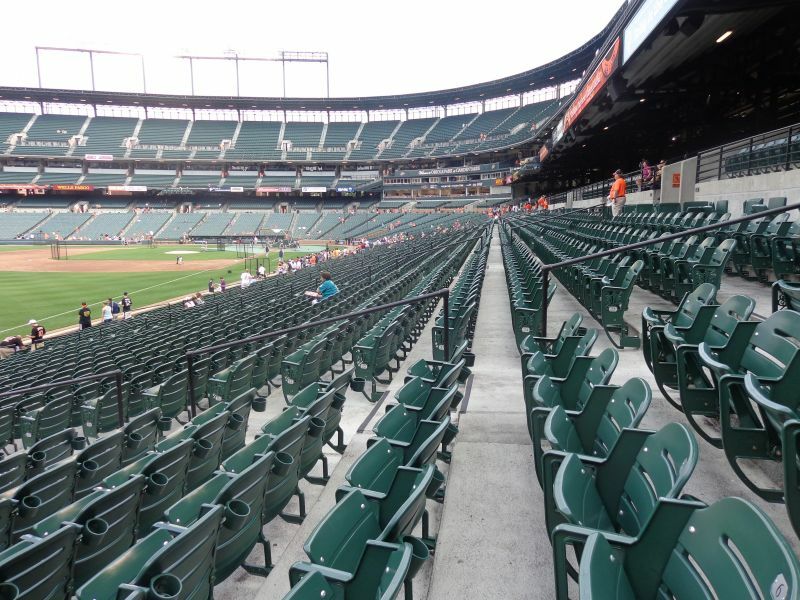 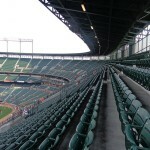 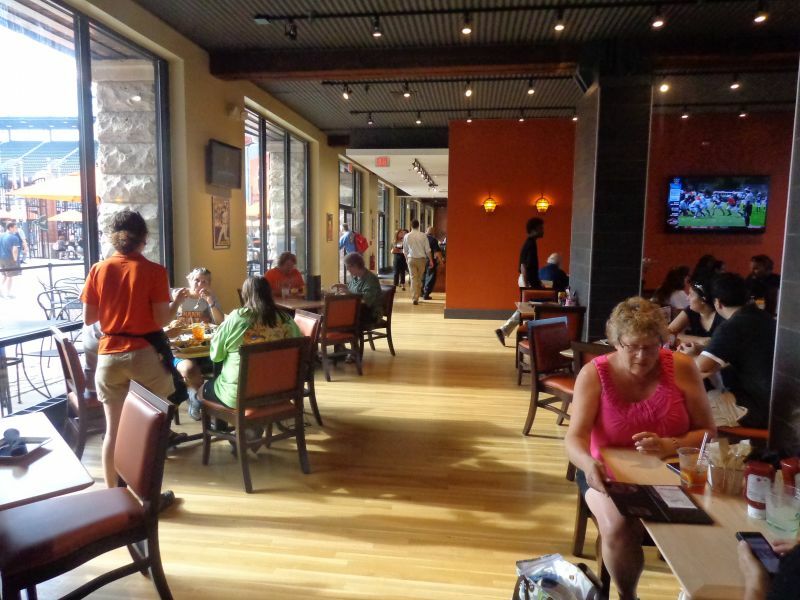 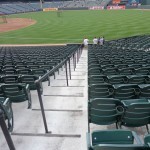 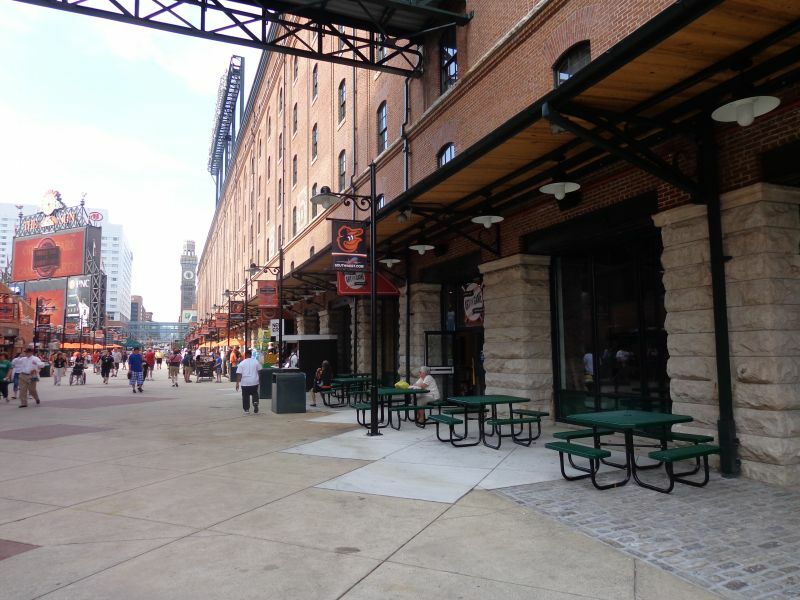 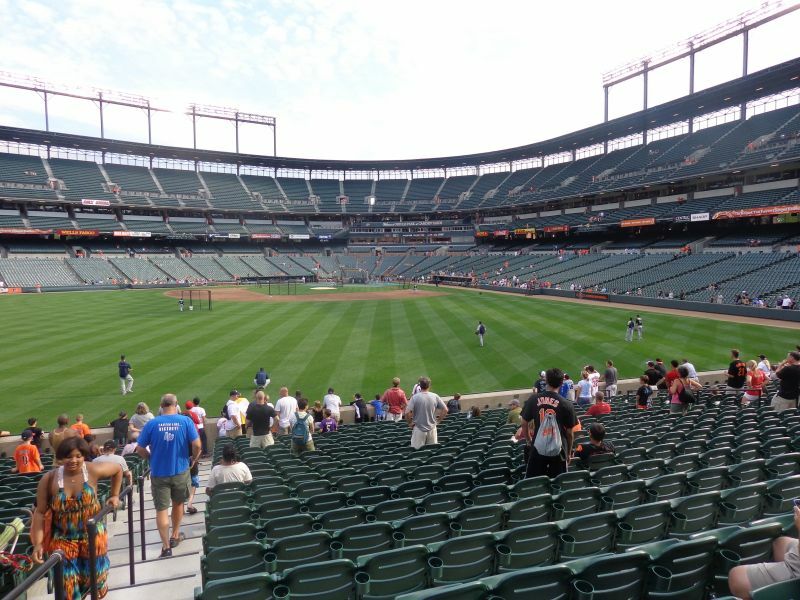 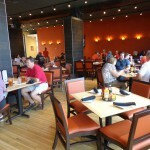 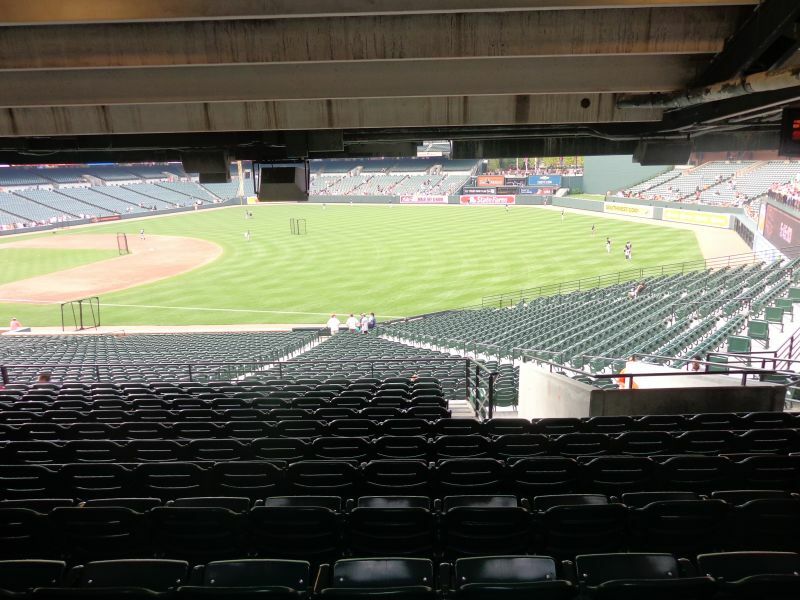 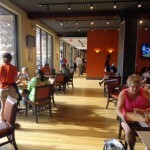 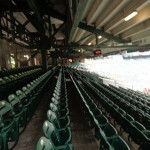 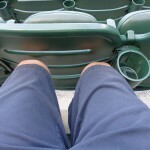 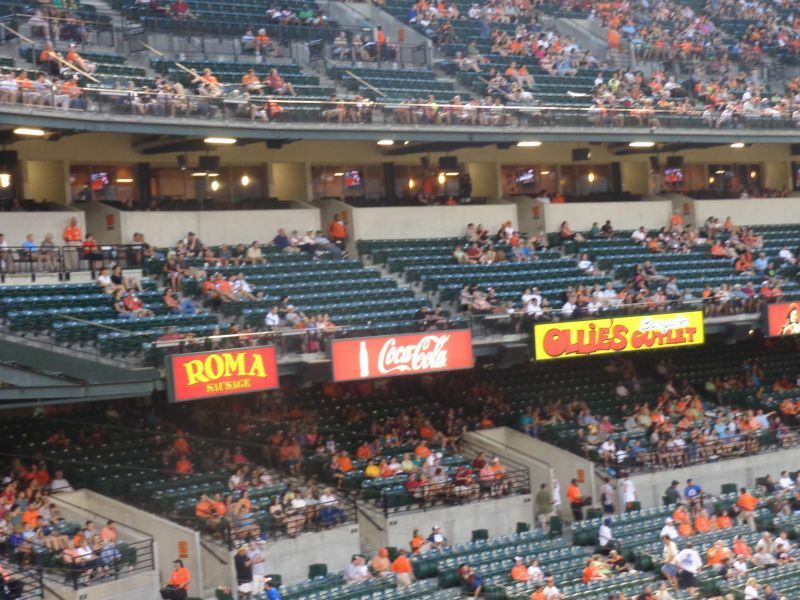 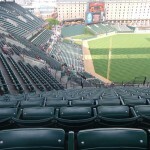 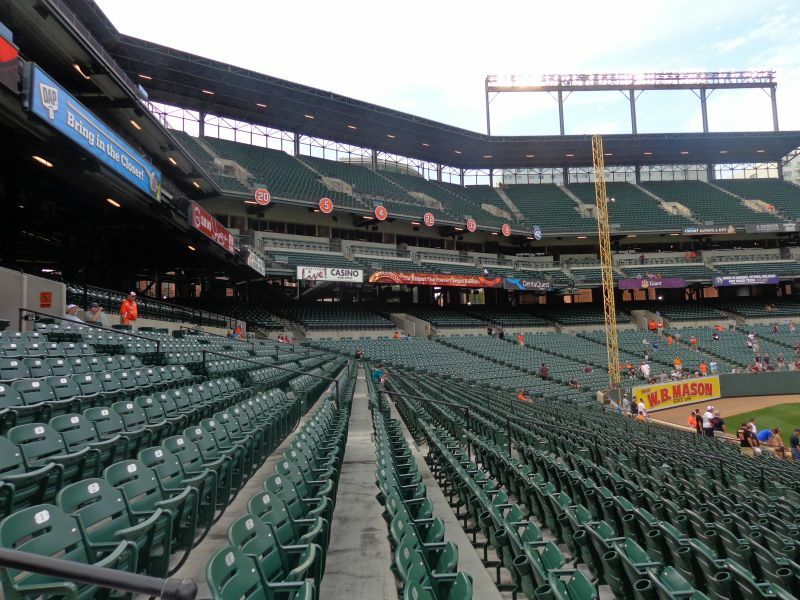 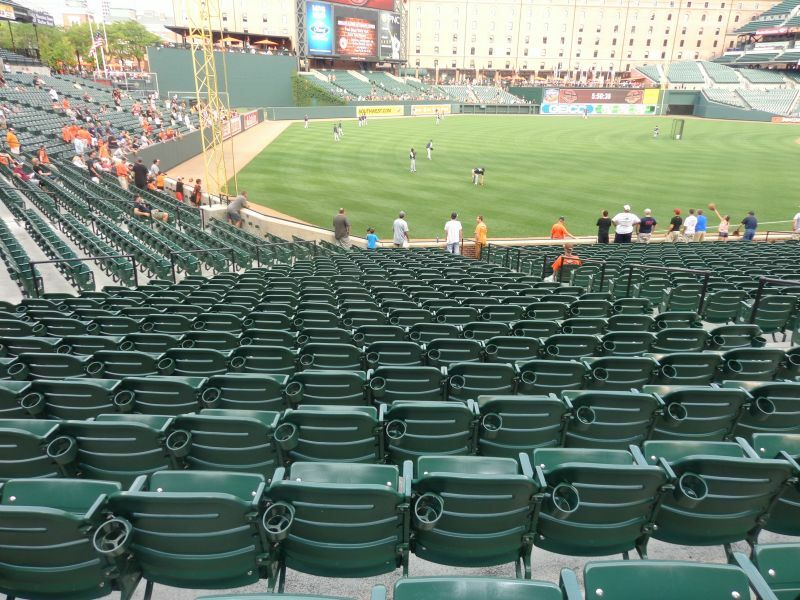 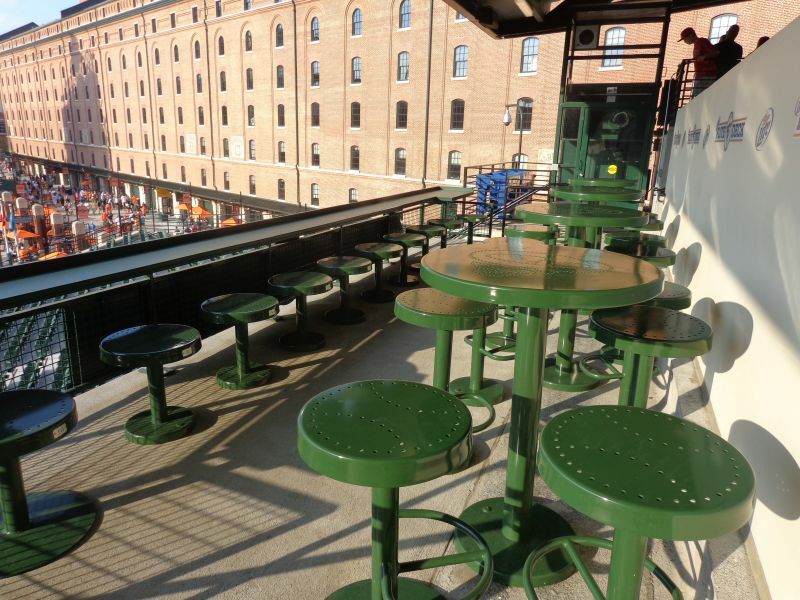 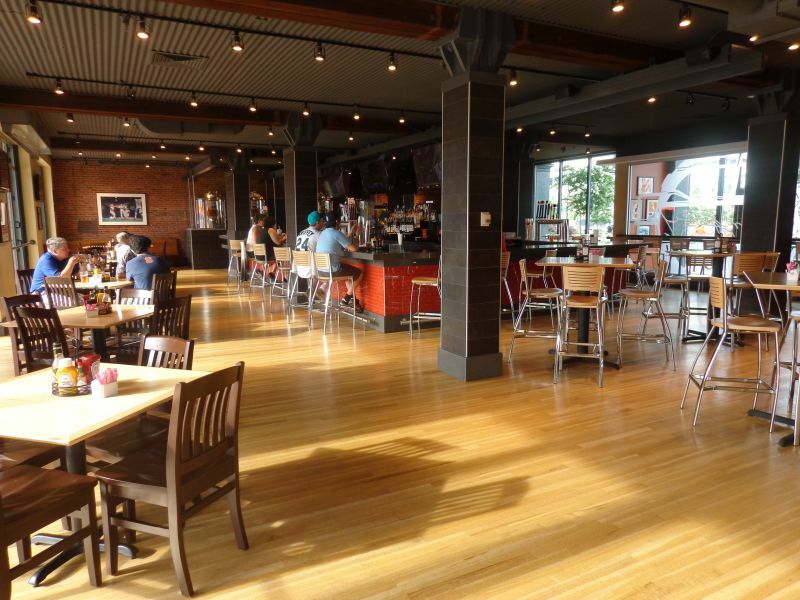 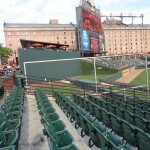 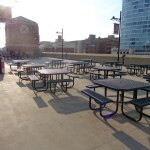 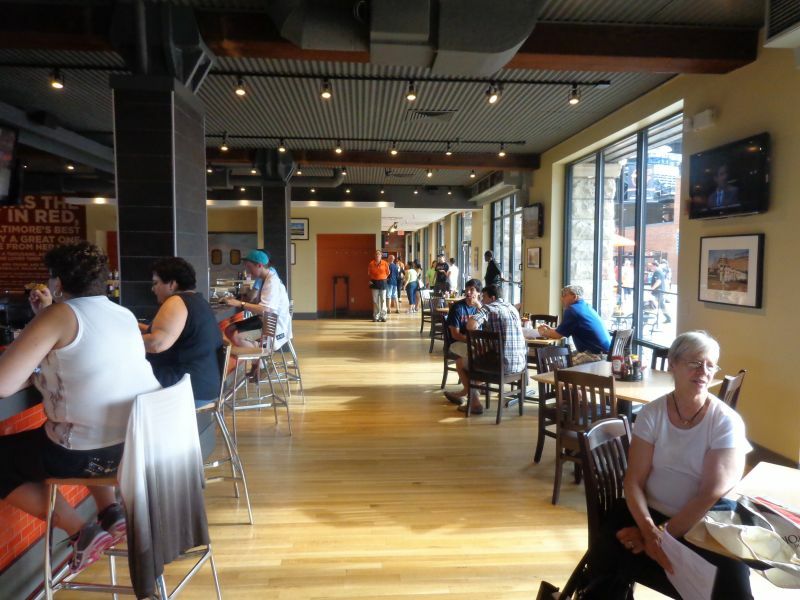 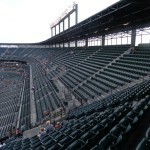 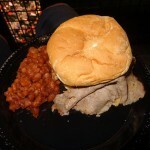 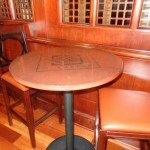 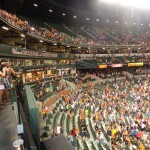 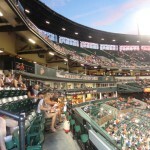 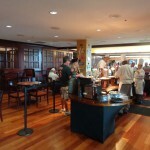 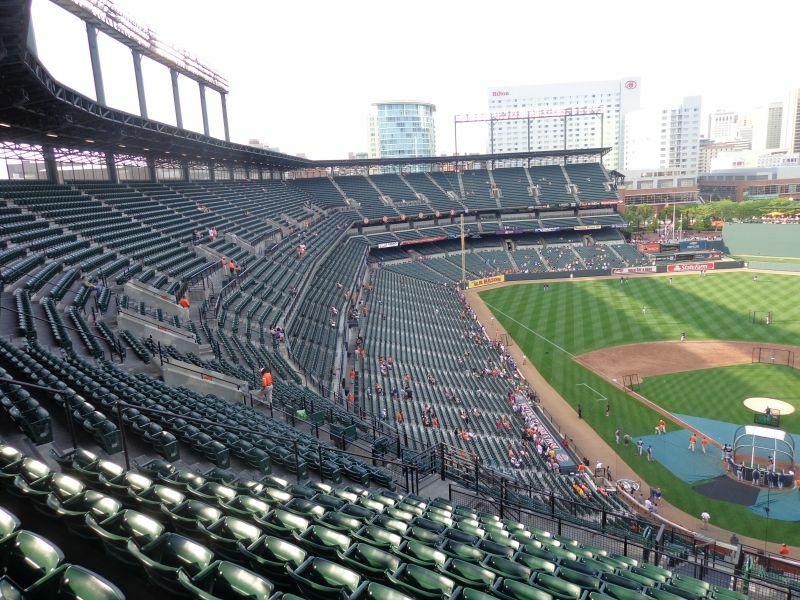 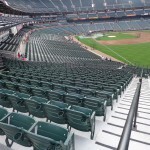 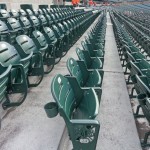 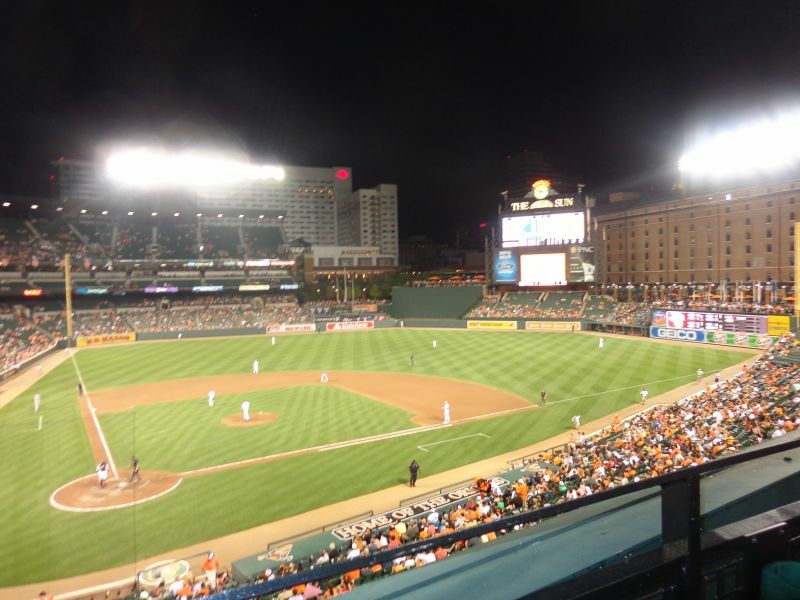 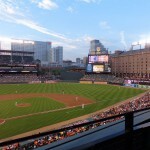 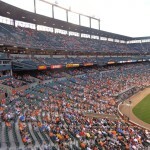 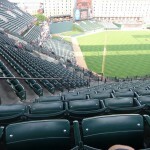 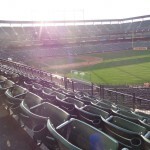 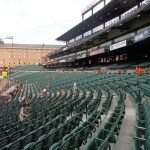 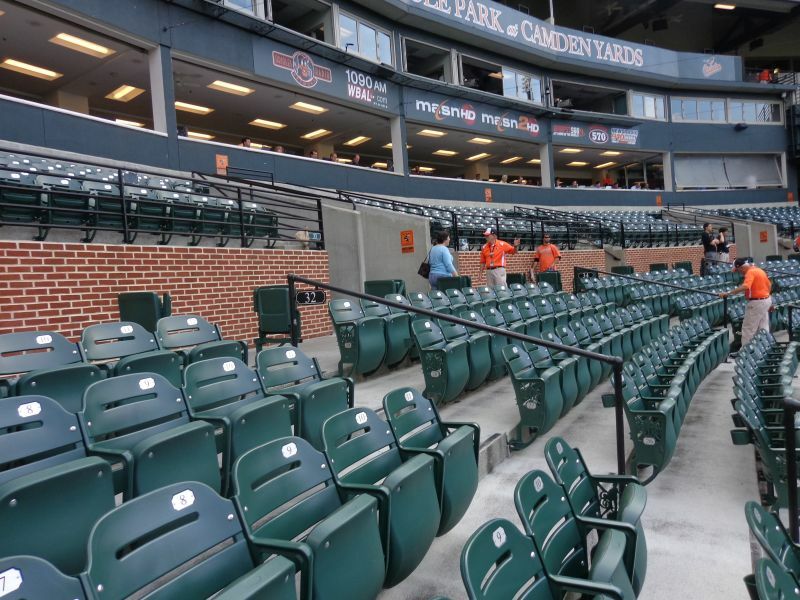 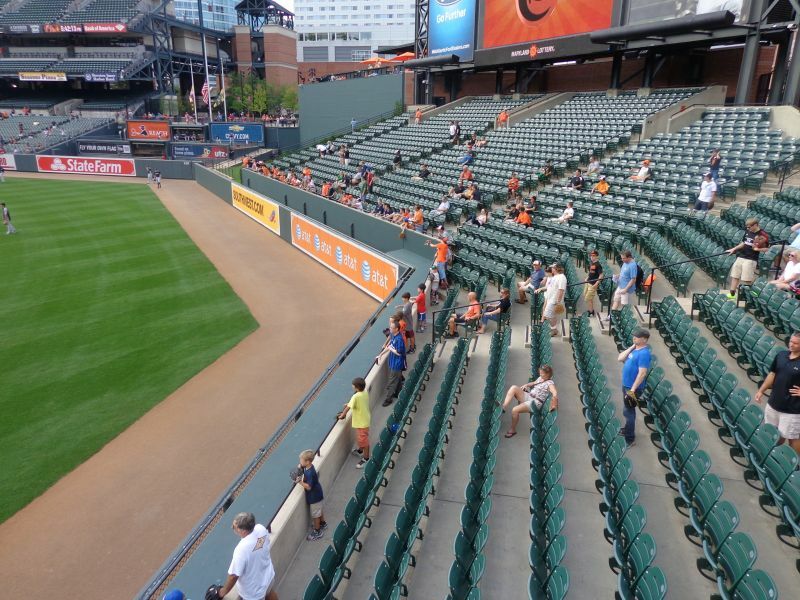 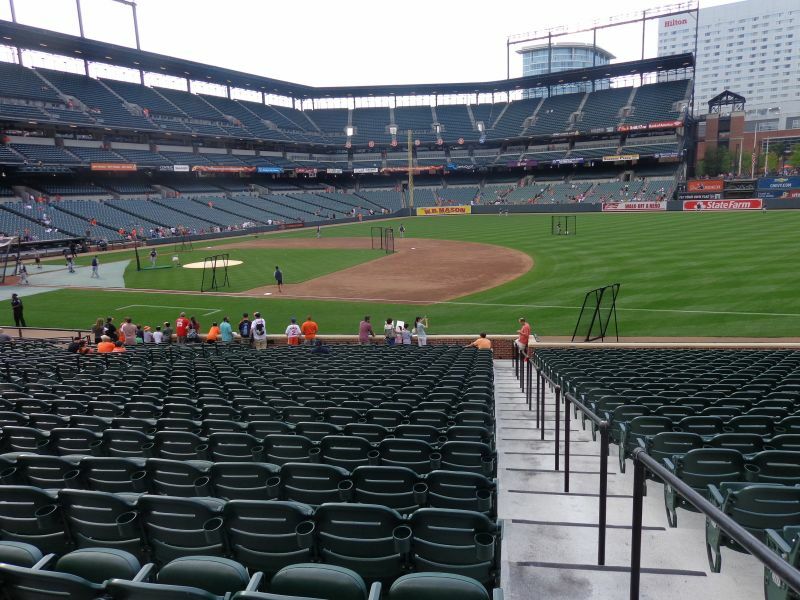 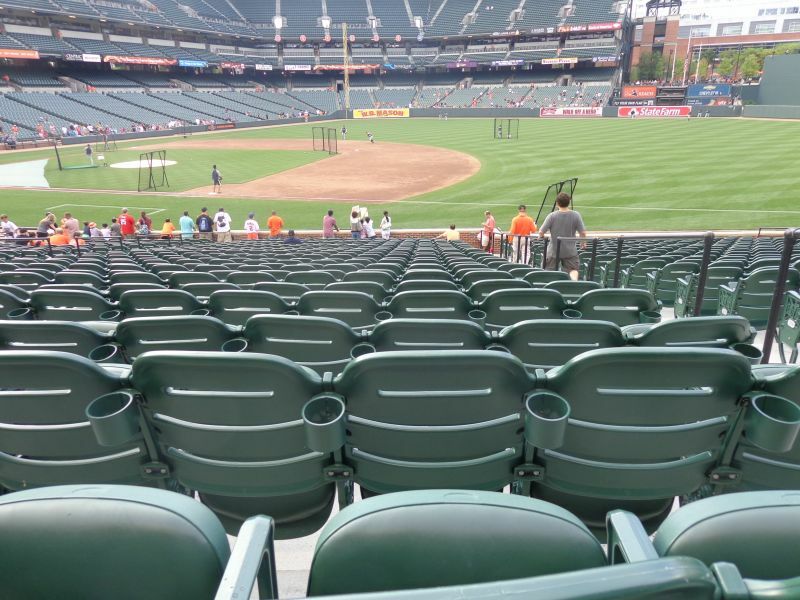 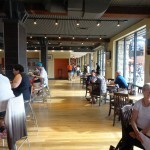 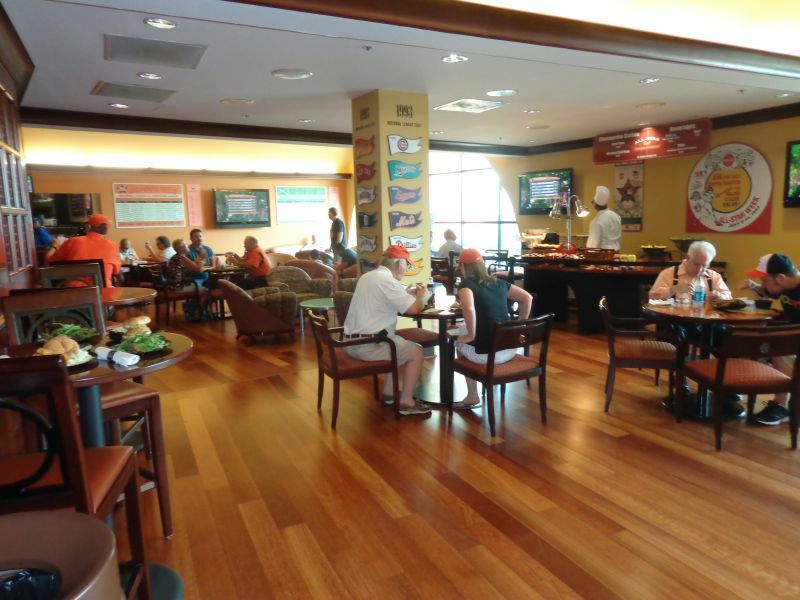 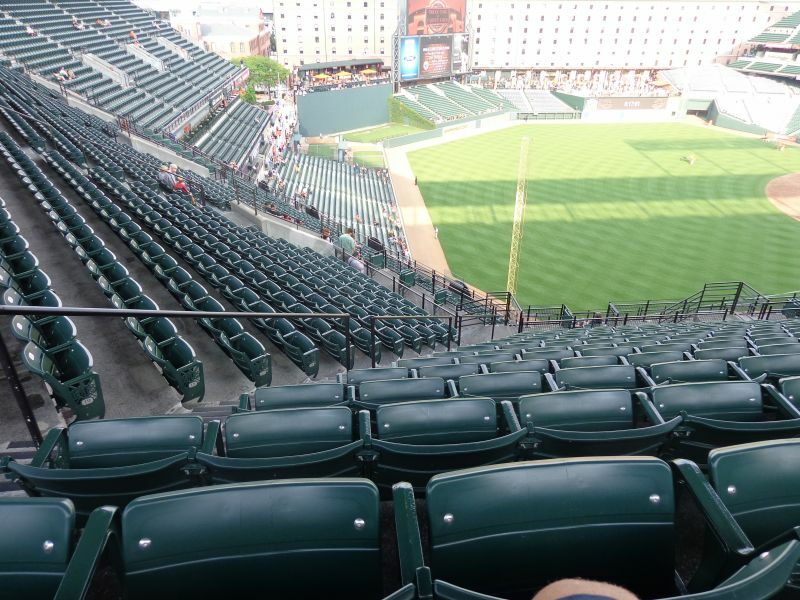 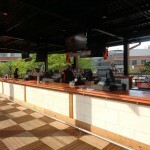 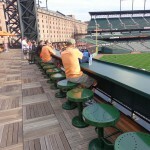 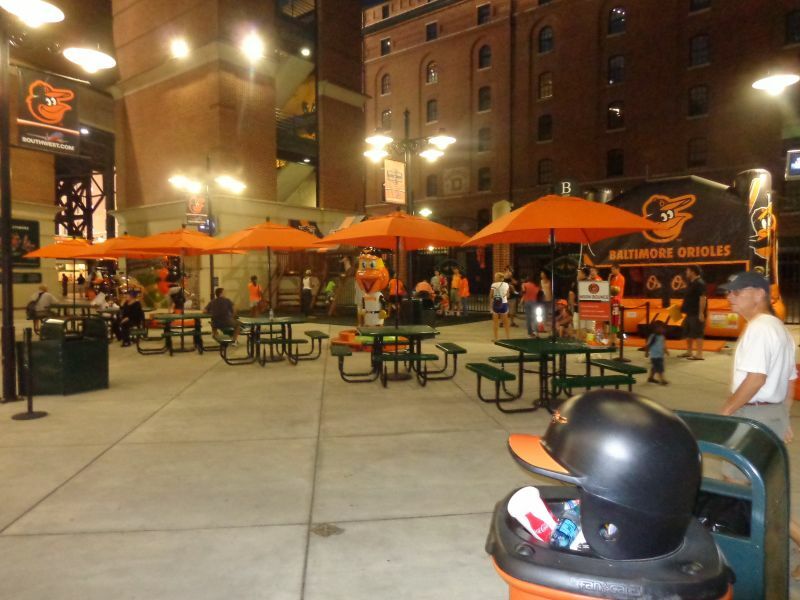 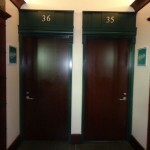 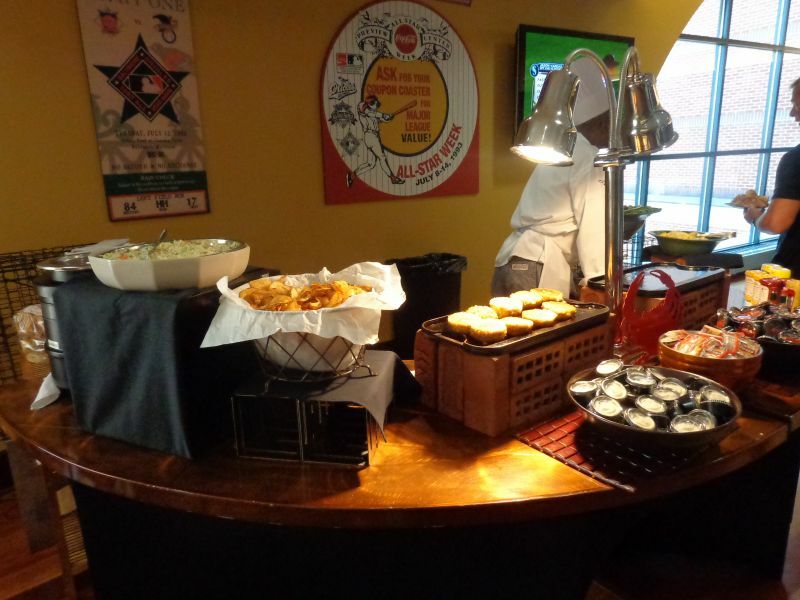 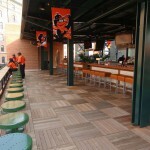 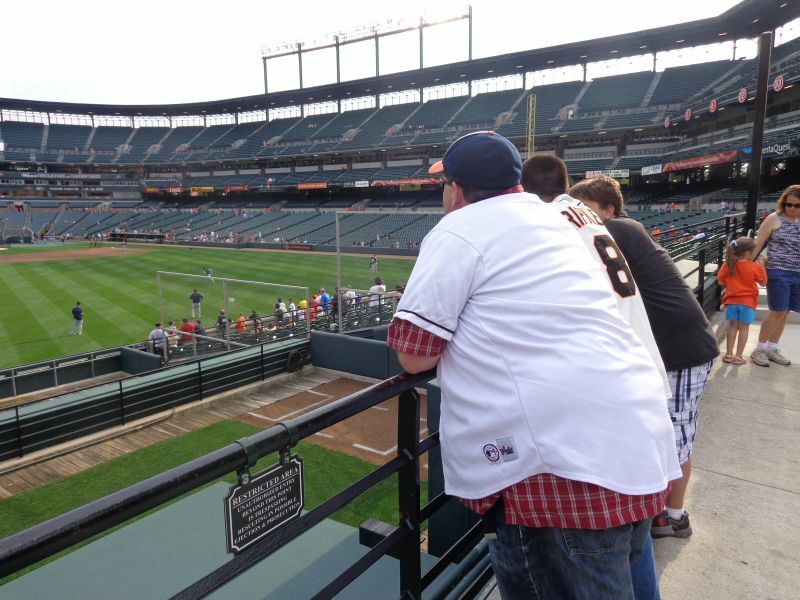 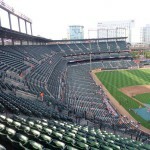 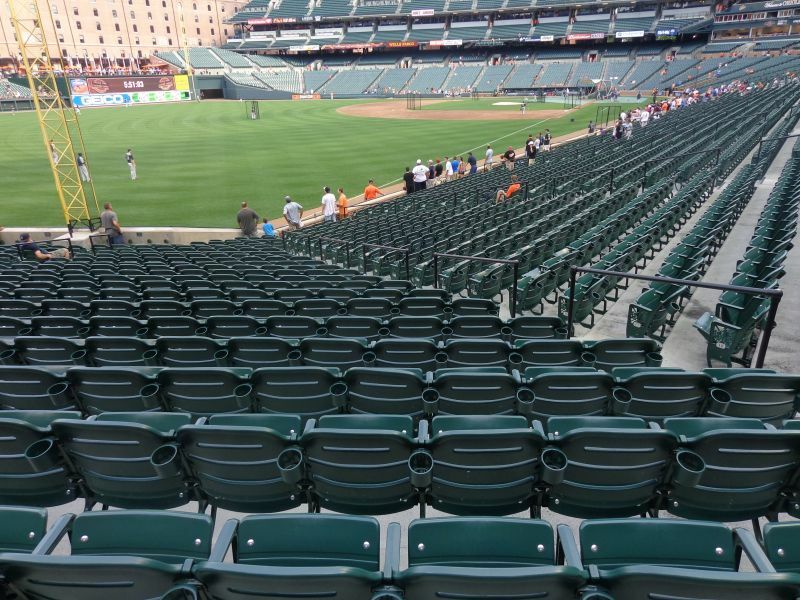 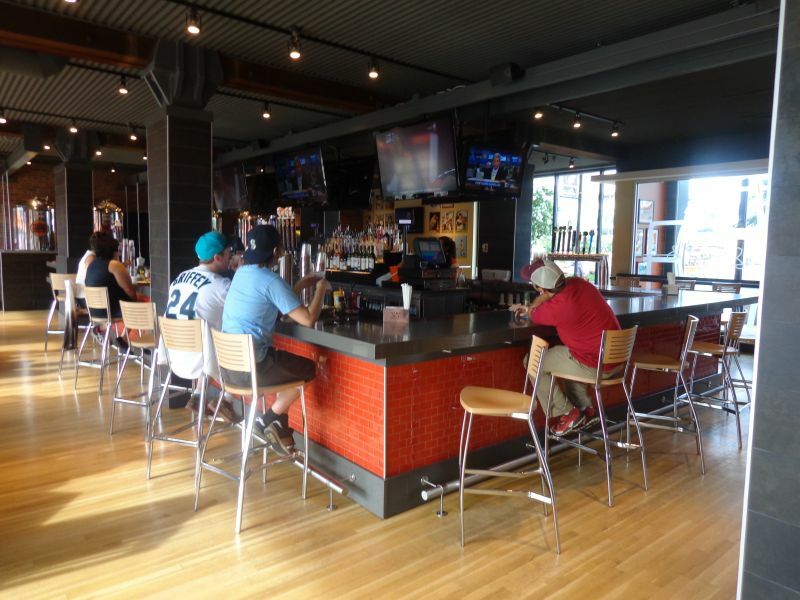 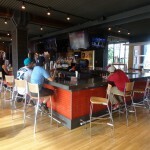 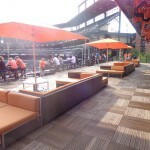 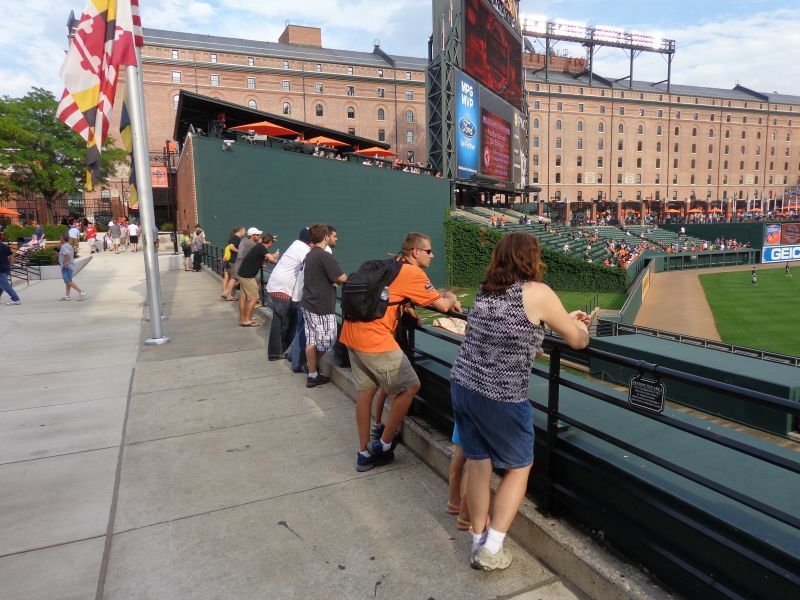 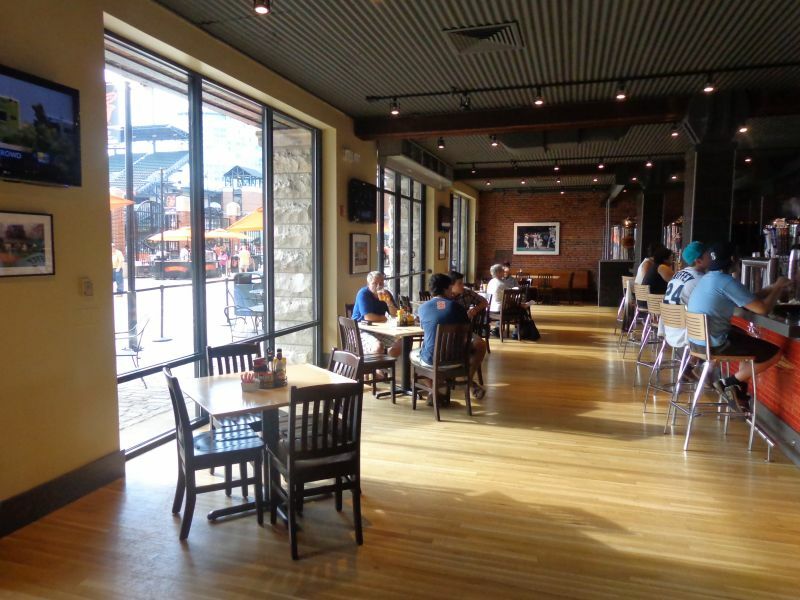 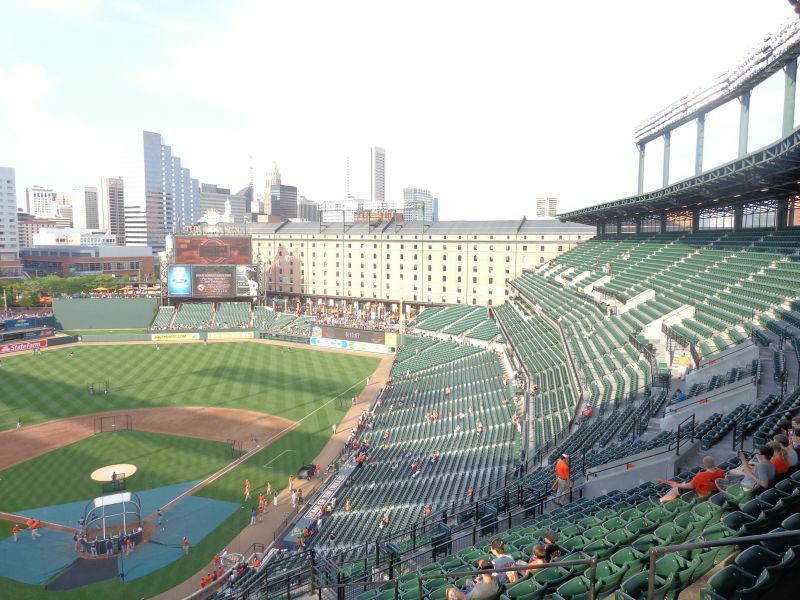 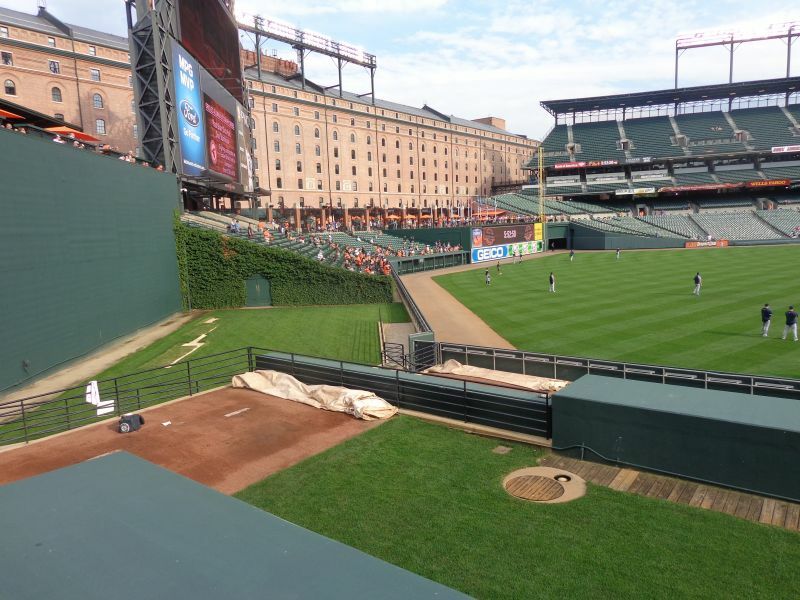 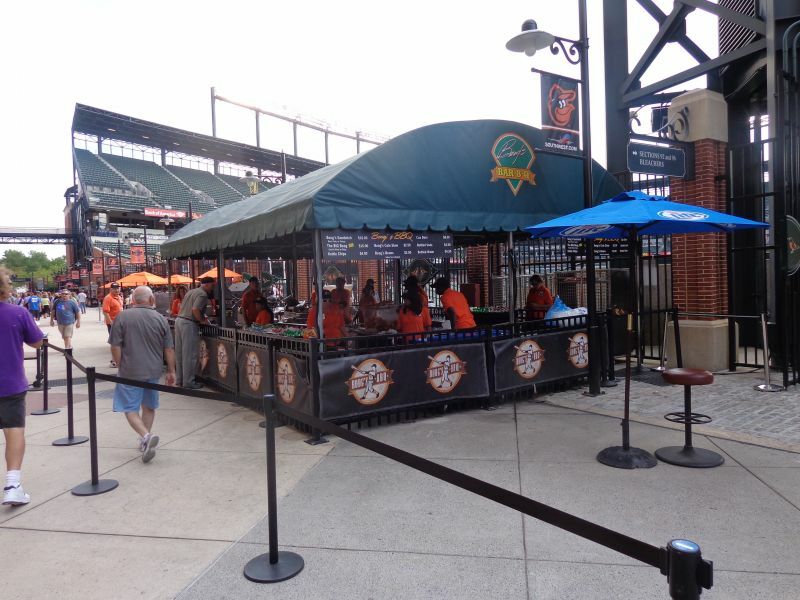 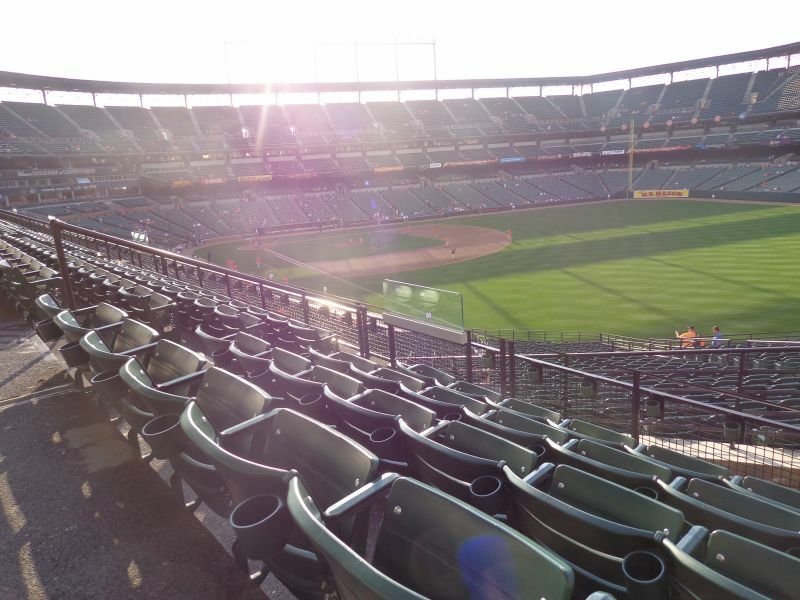 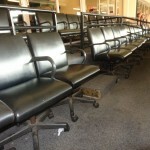 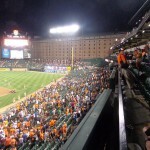 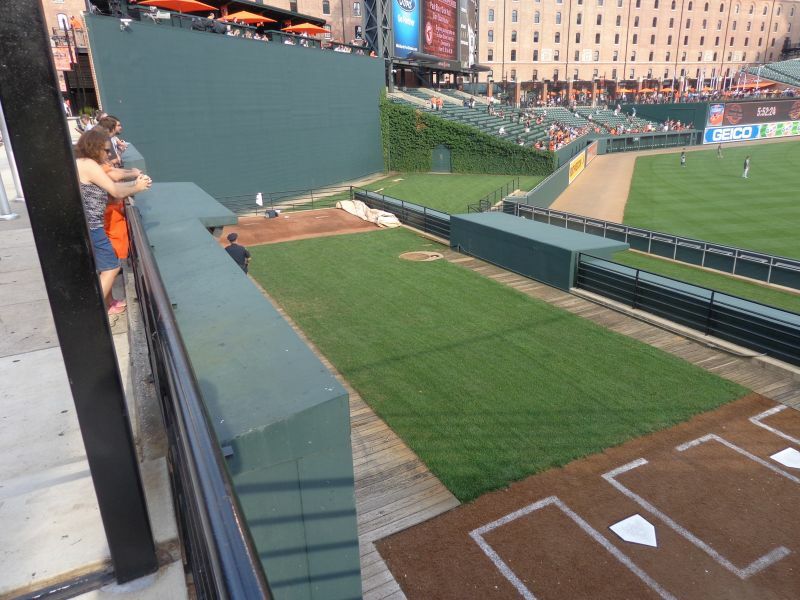 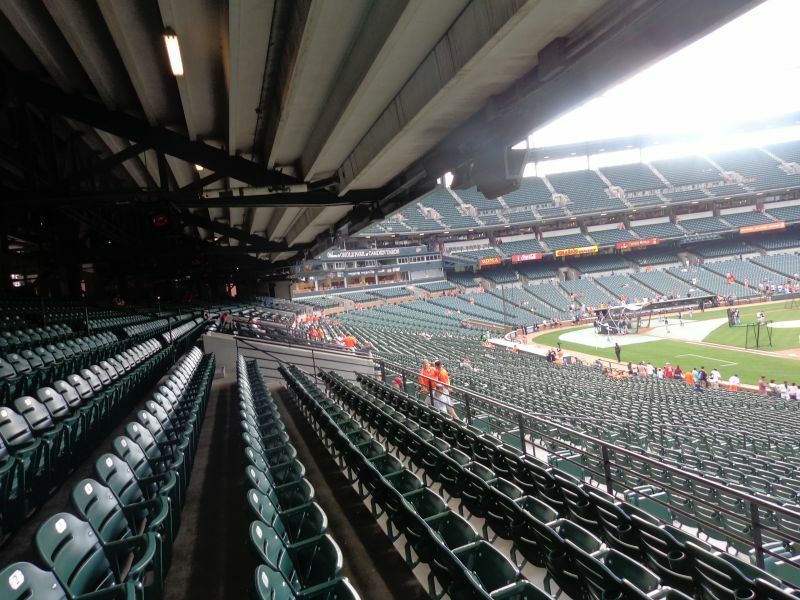 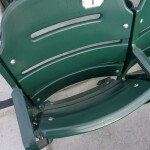 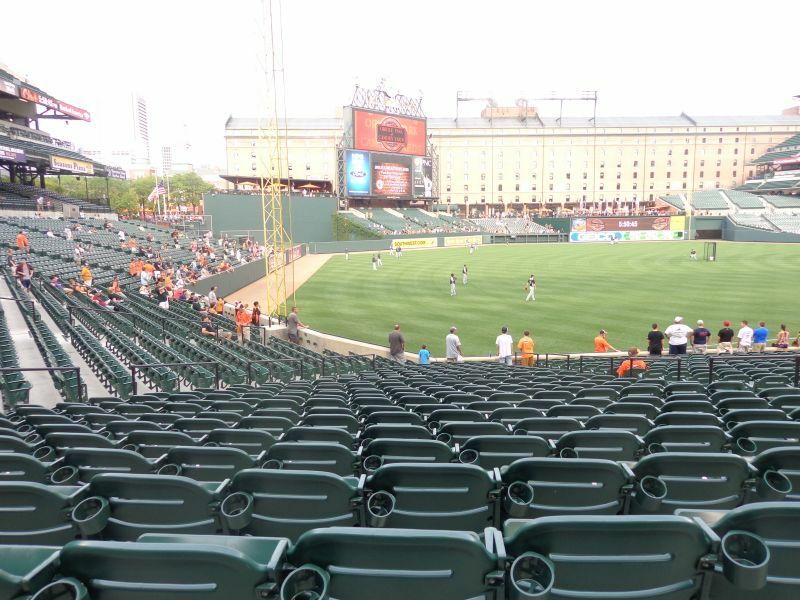 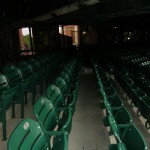 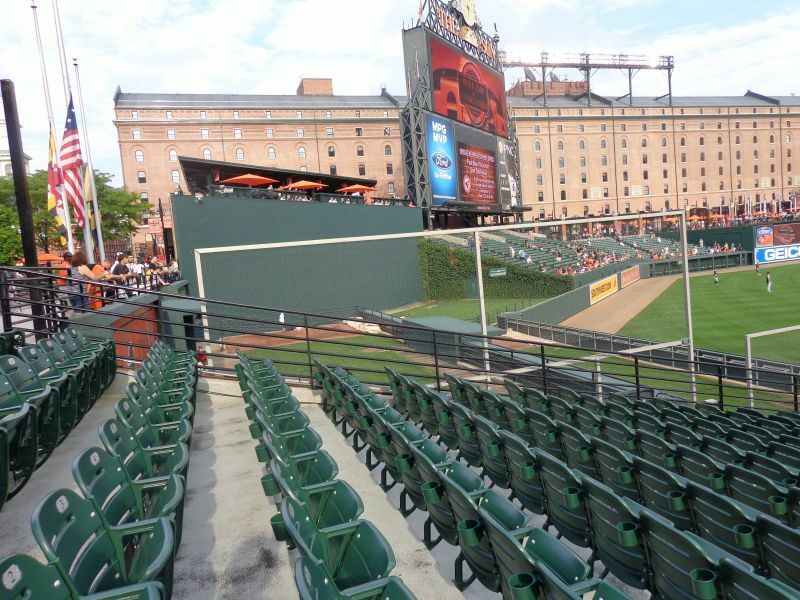 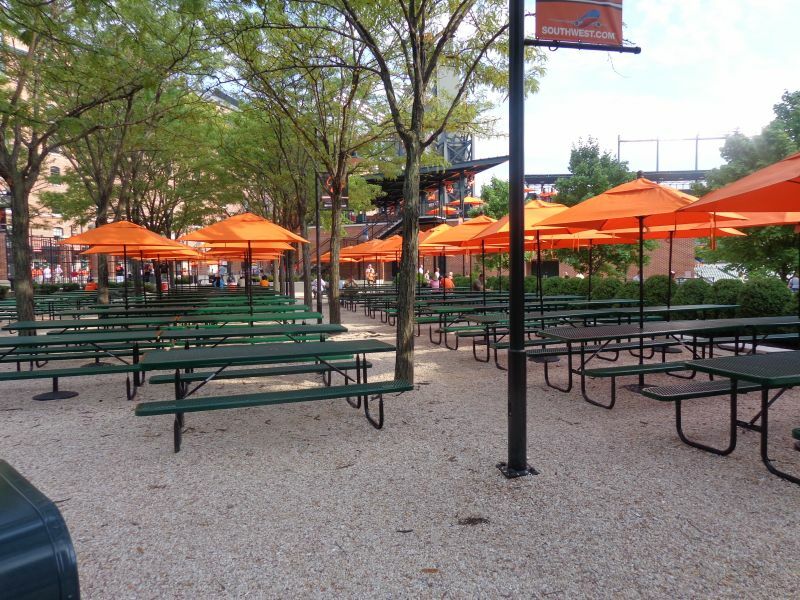 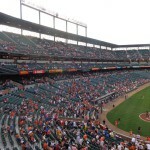 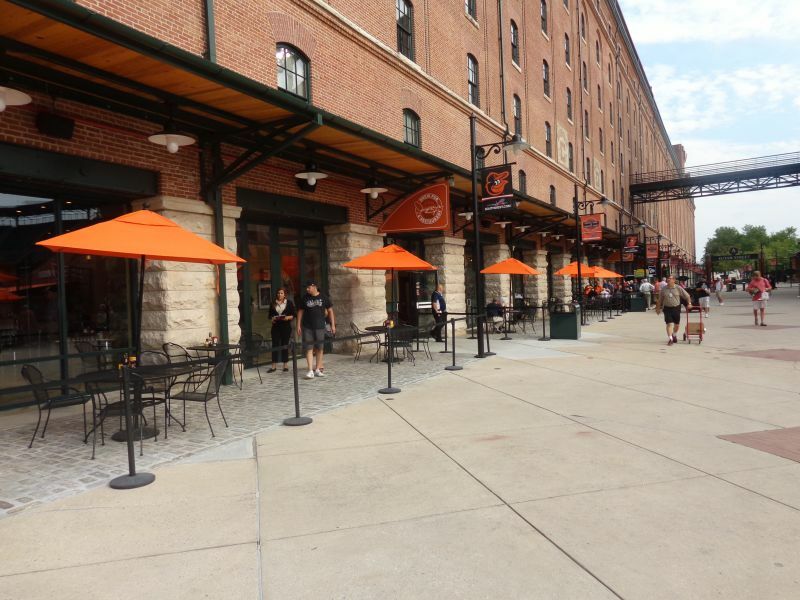 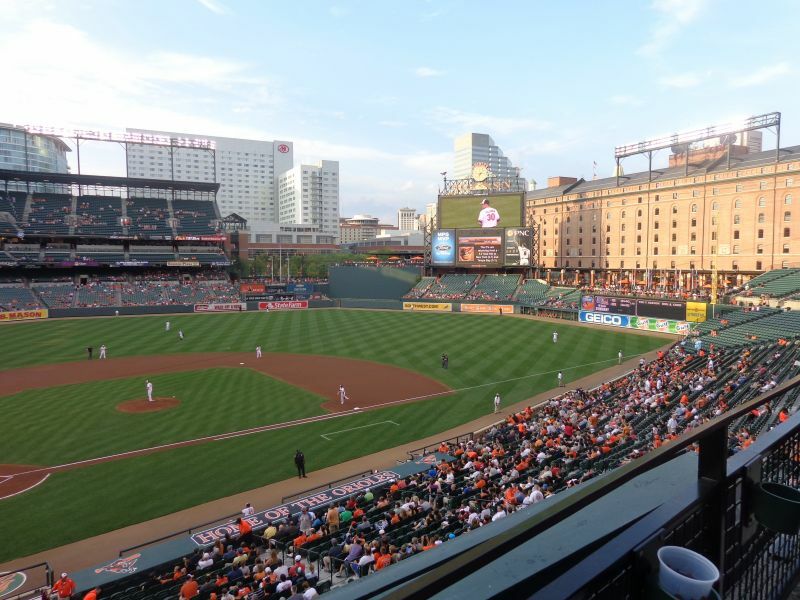 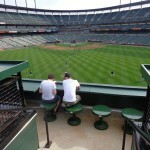 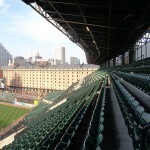 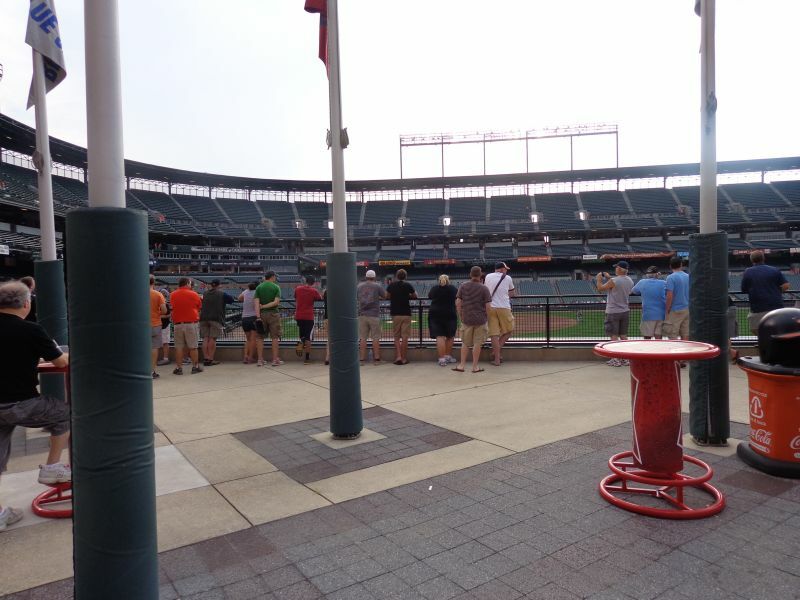 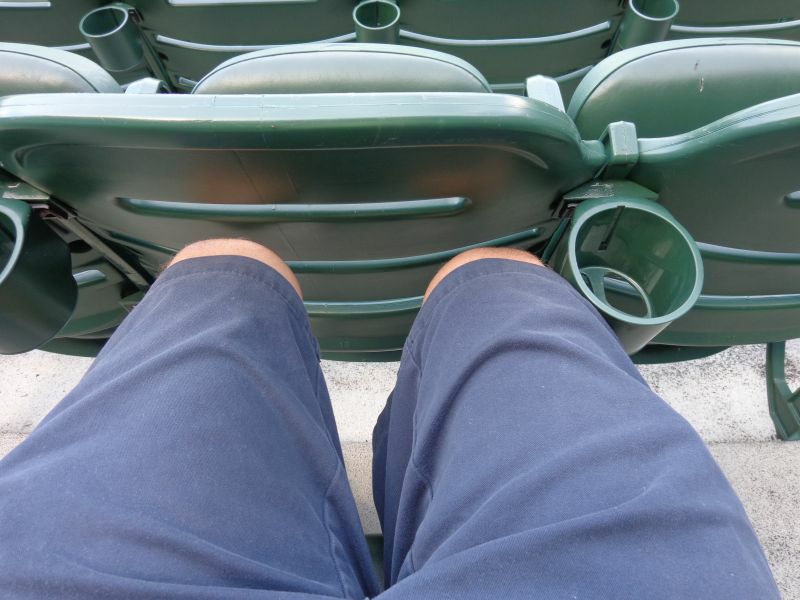 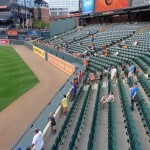 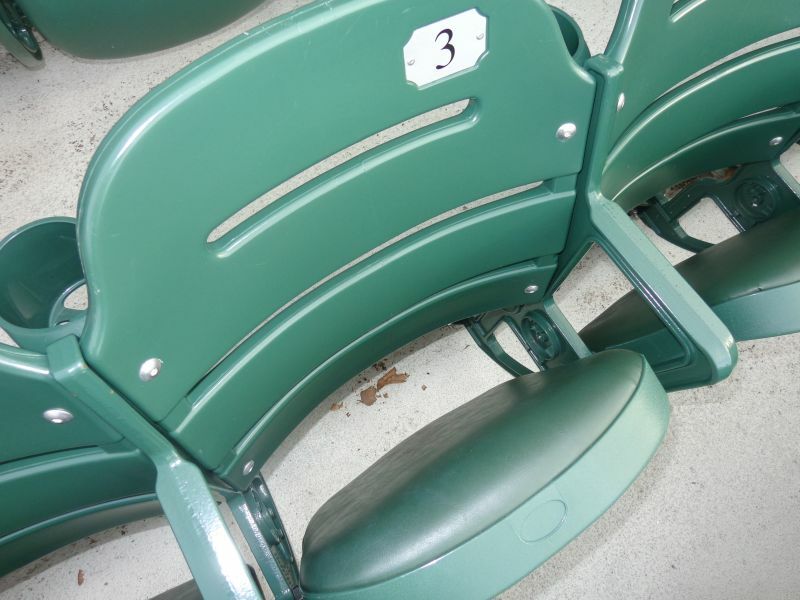 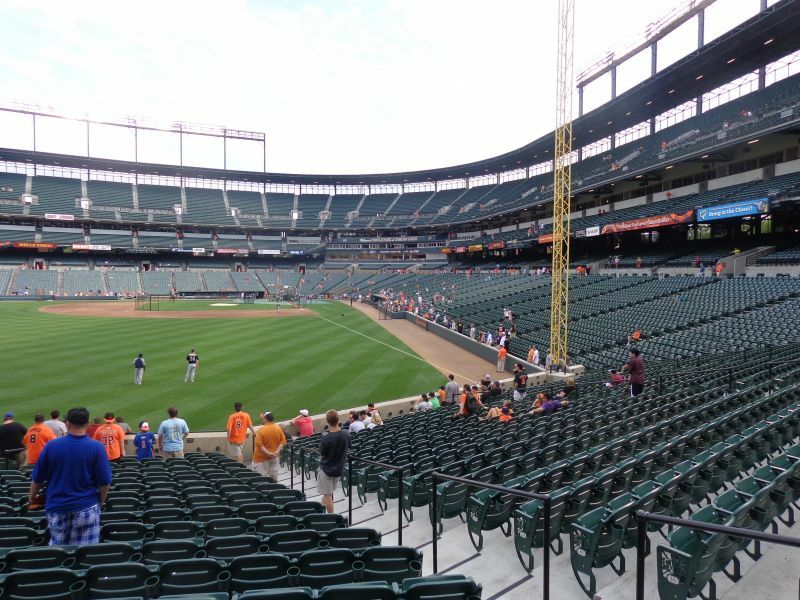 While minor, Camden Yards also features the weakest selection of premium seating in baseball, lacking any sort of premium home plate club, club restaurant (the Camden Club in the warehouse is now a private rental area), or upscale all-inclusive experience. 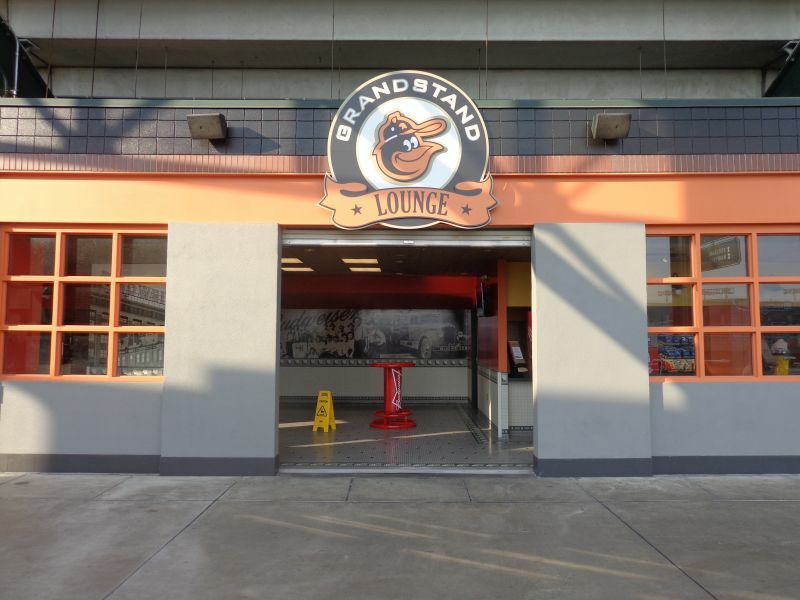 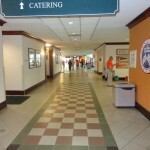 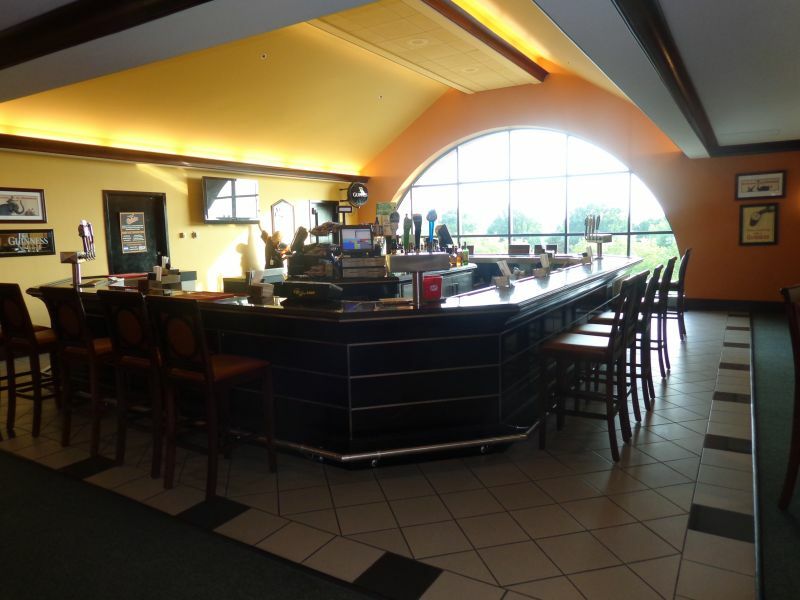 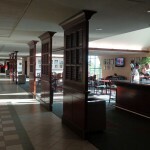 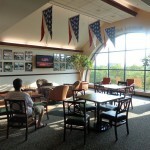 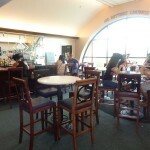 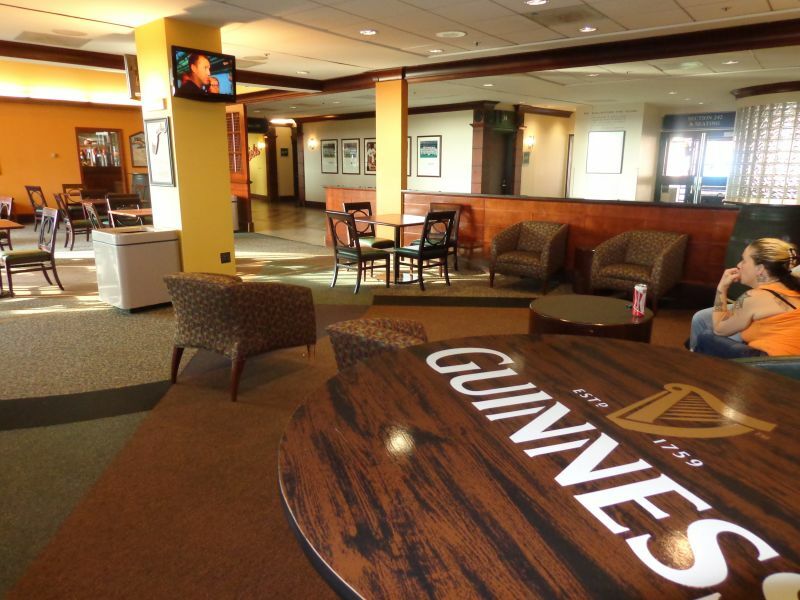 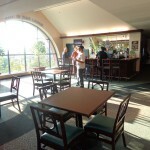 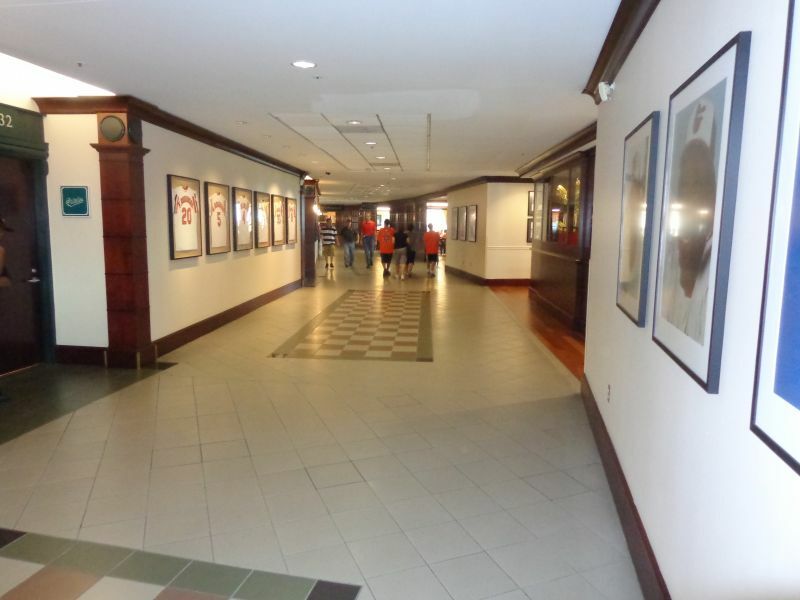 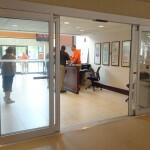 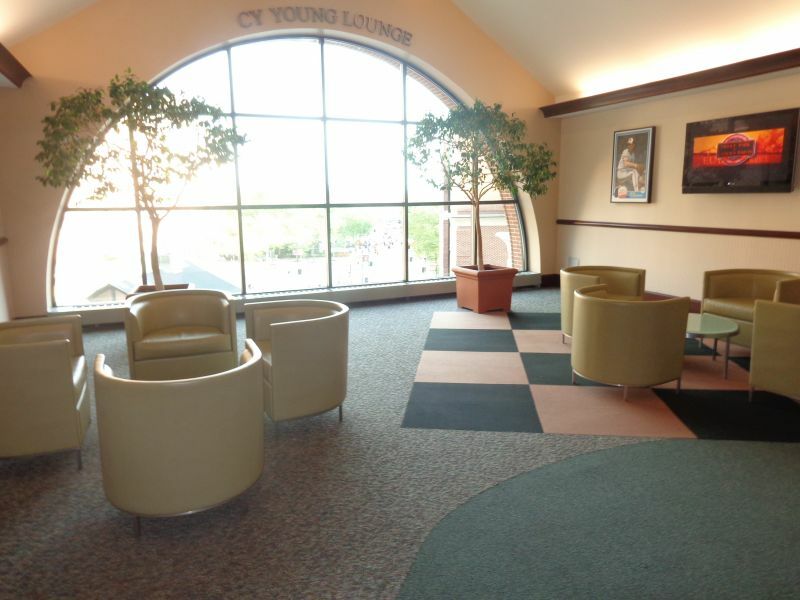 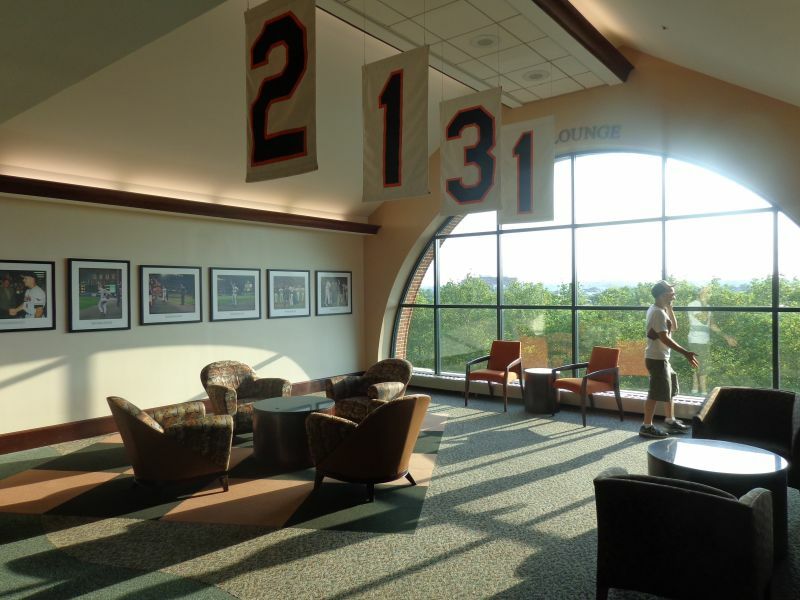 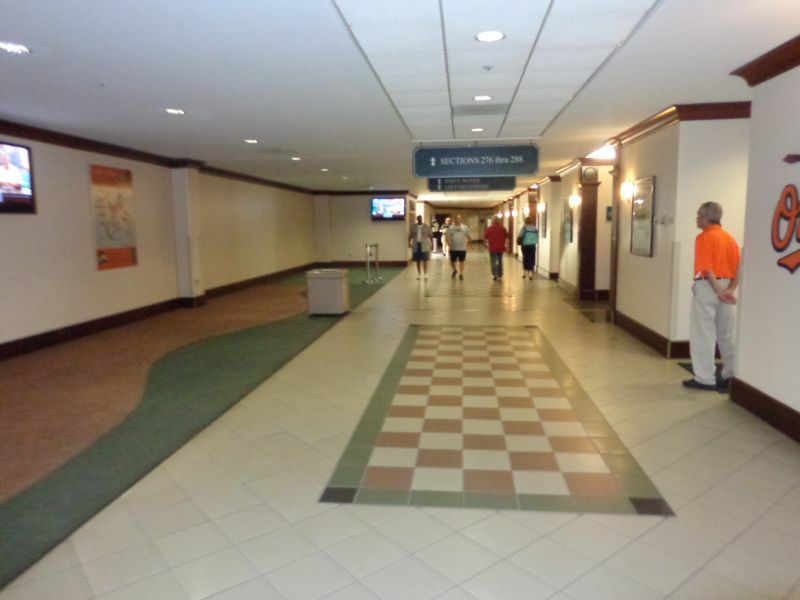 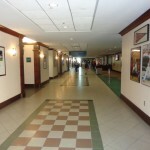 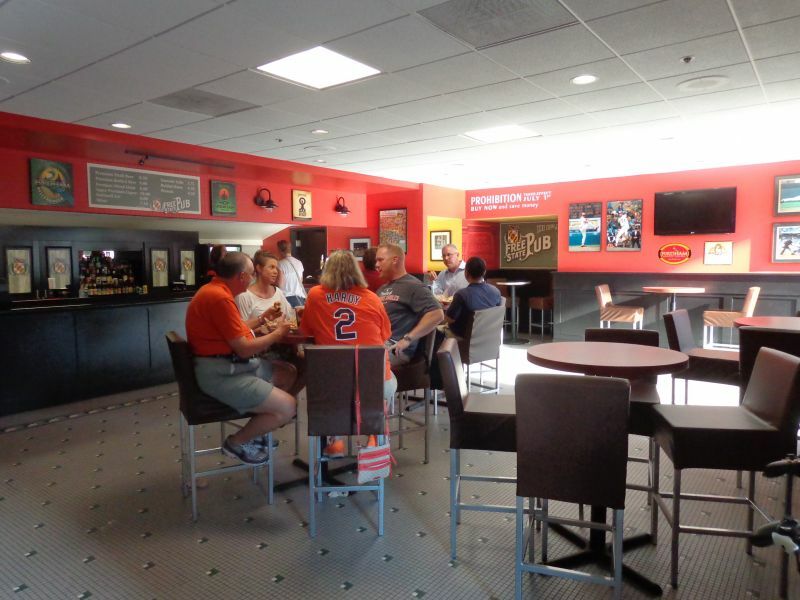 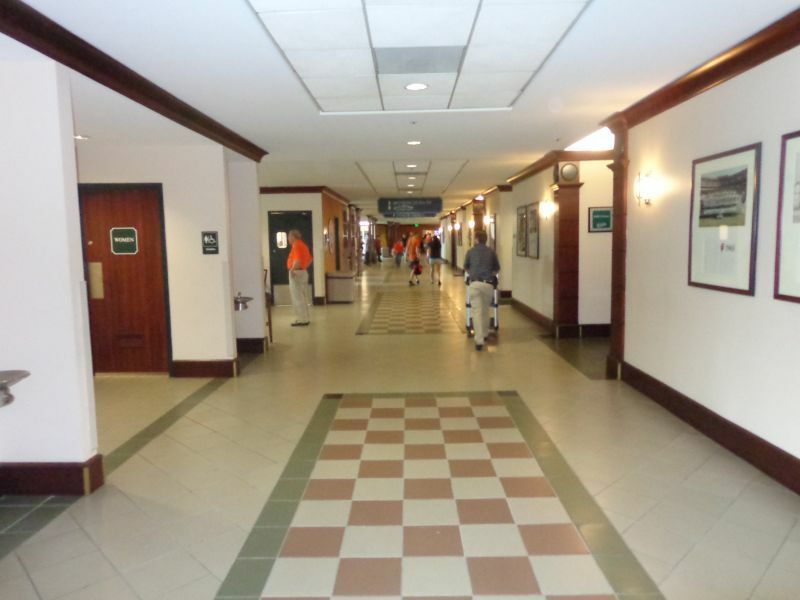 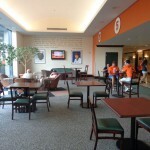 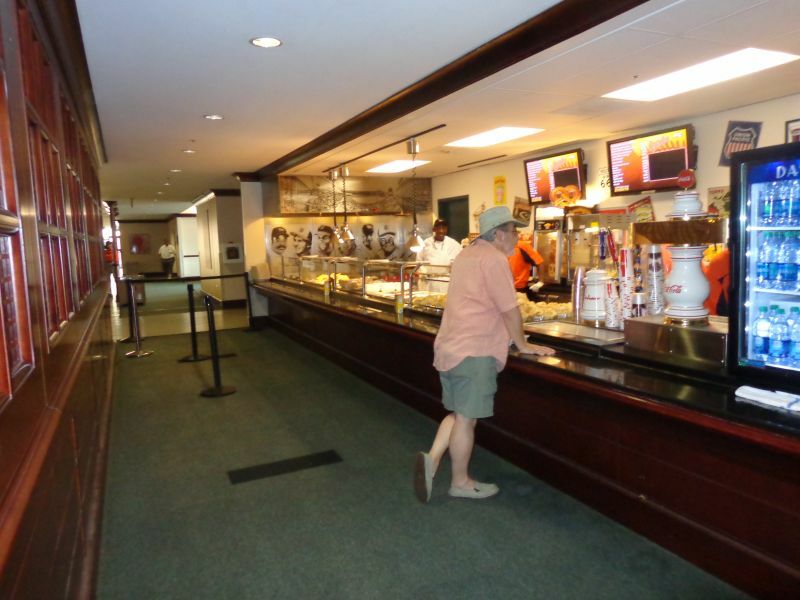 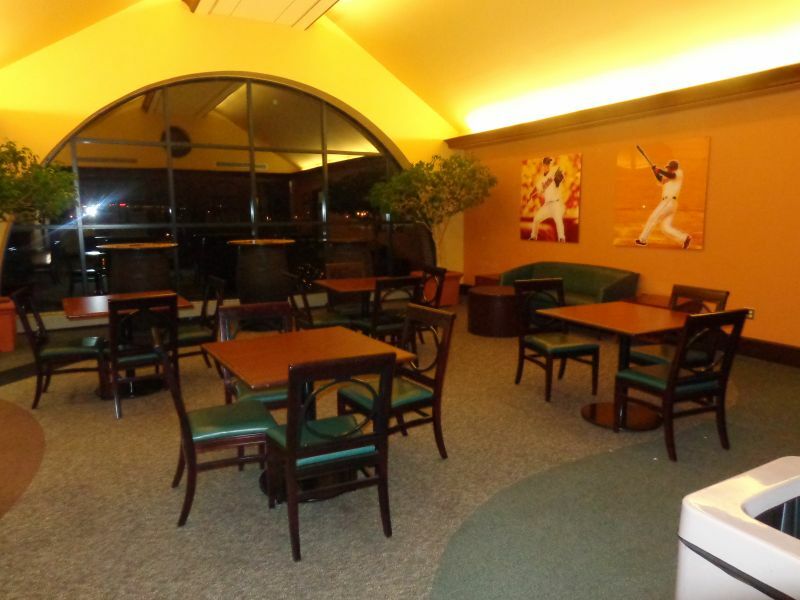 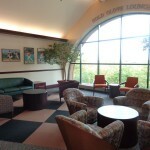 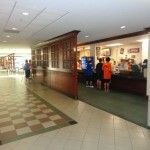 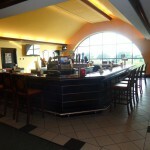 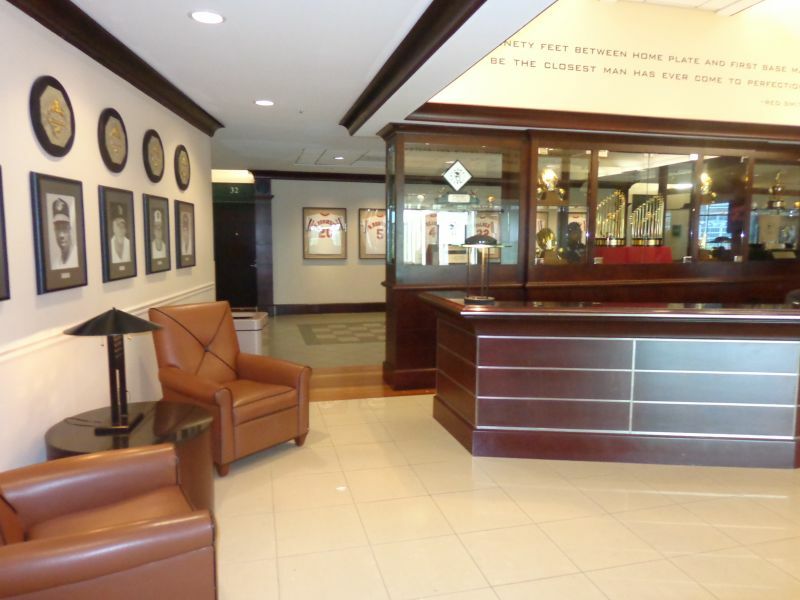 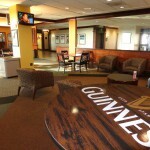 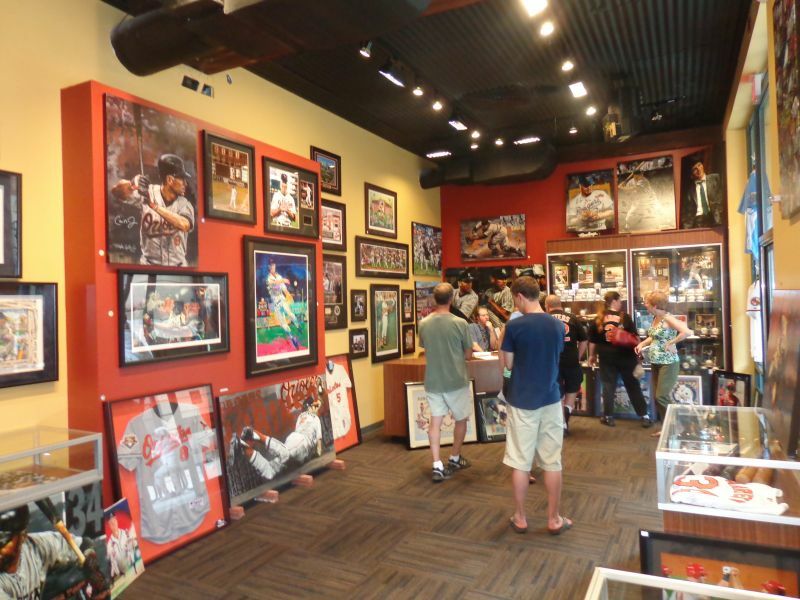 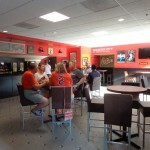 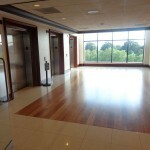 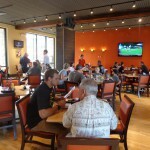 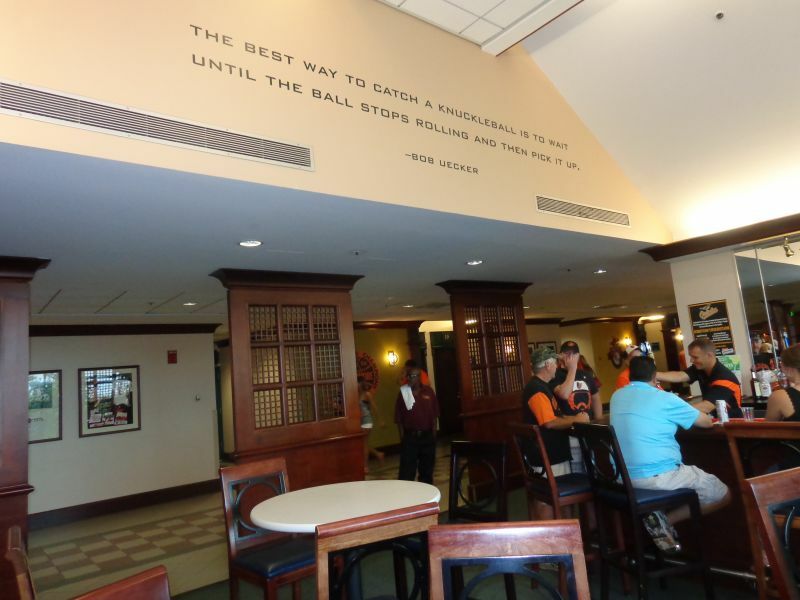 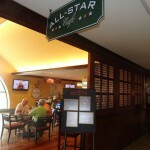 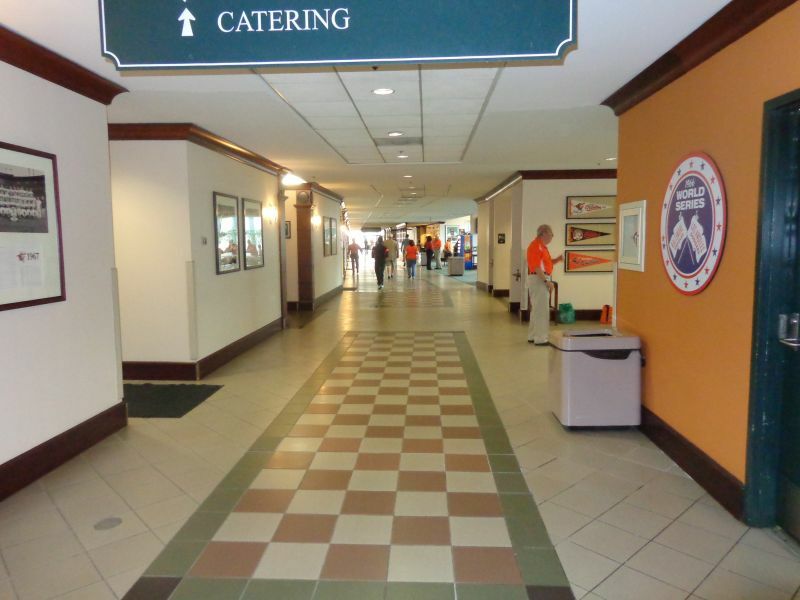 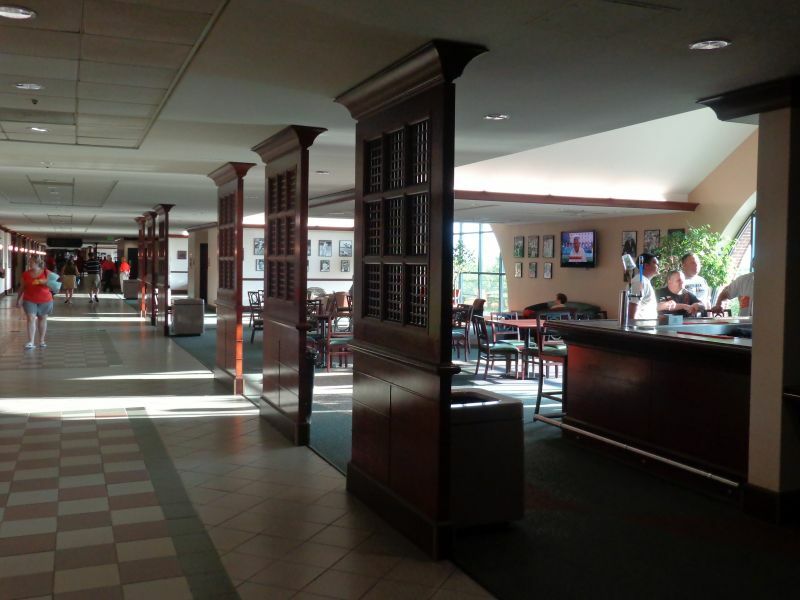 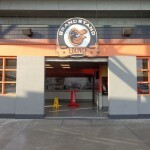 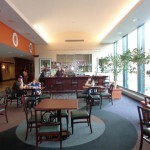 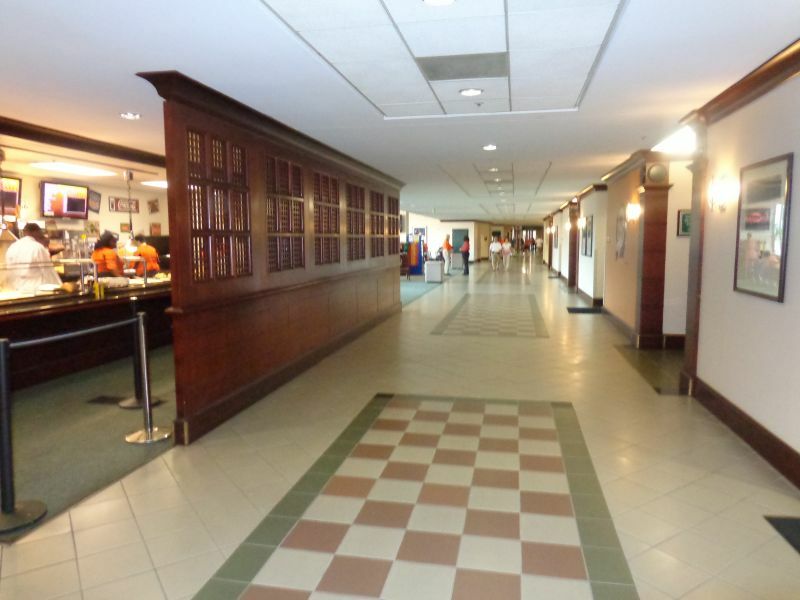 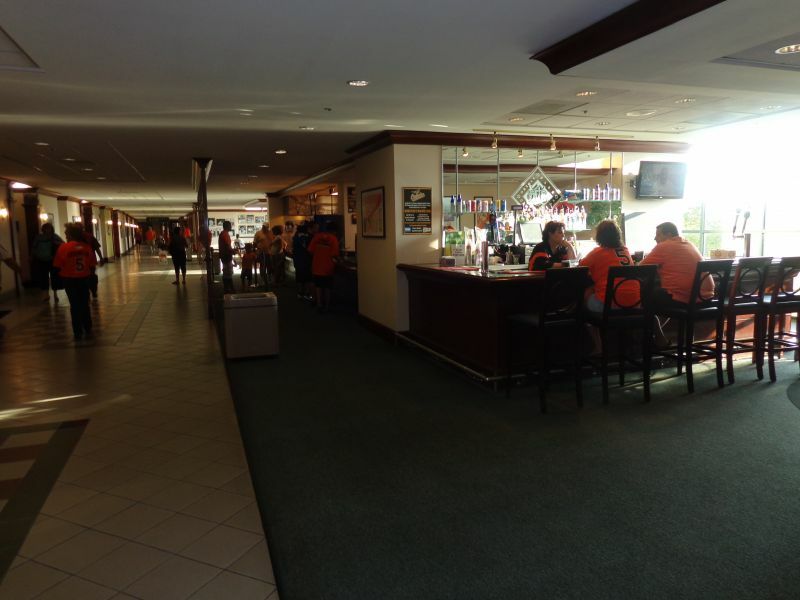 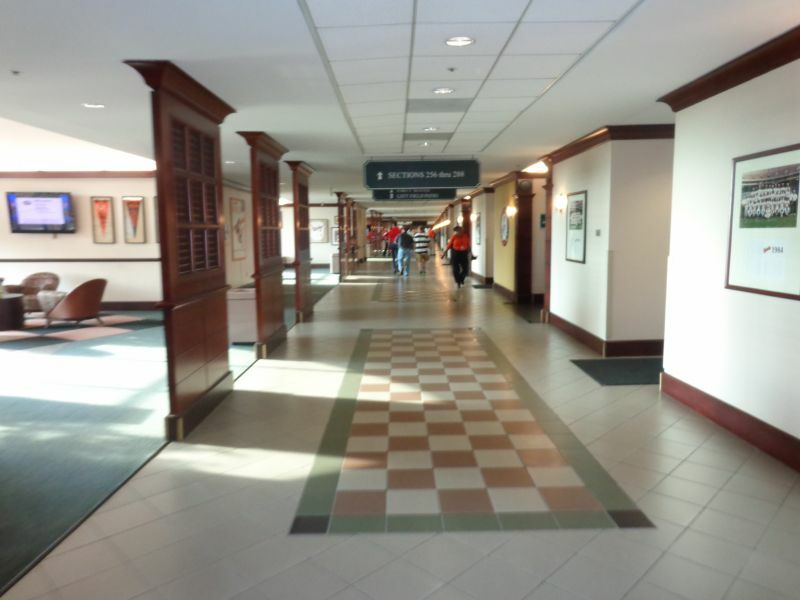 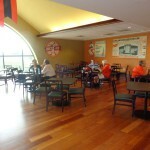 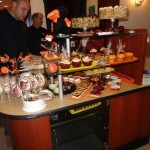 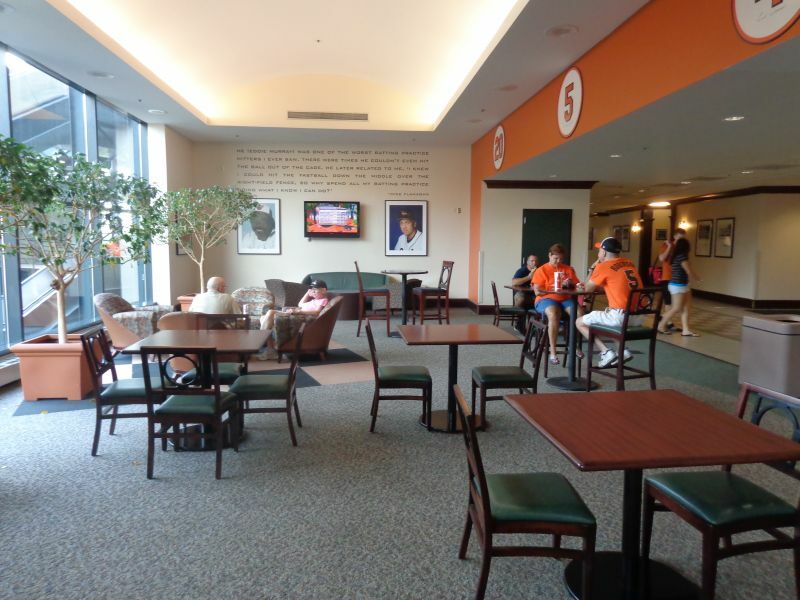 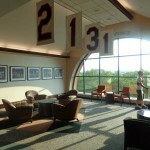 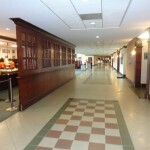 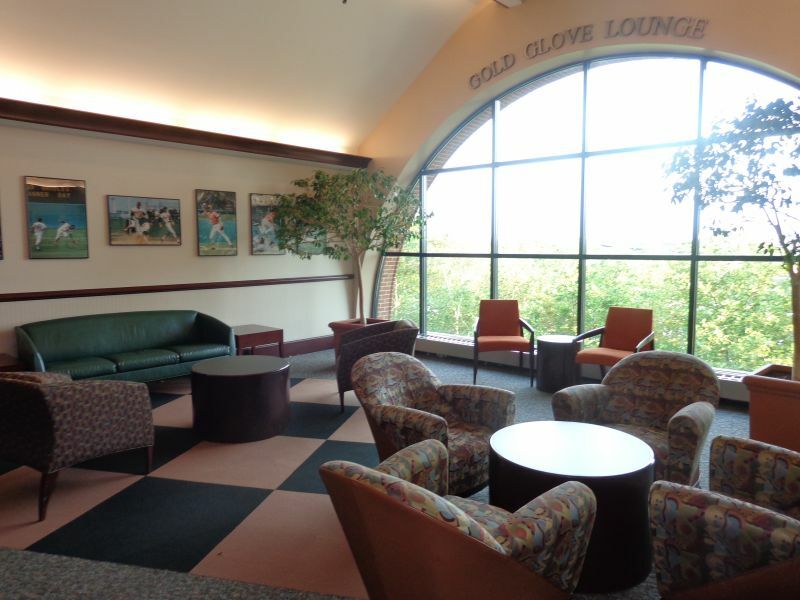 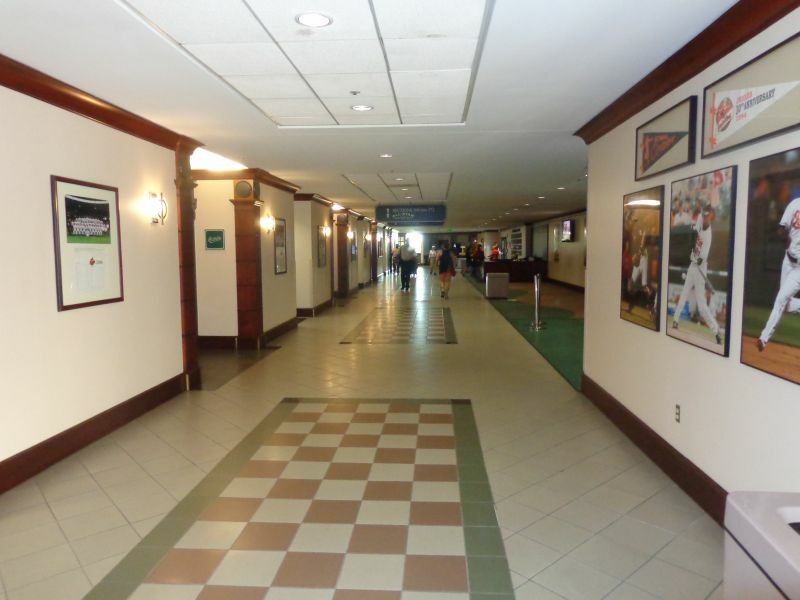 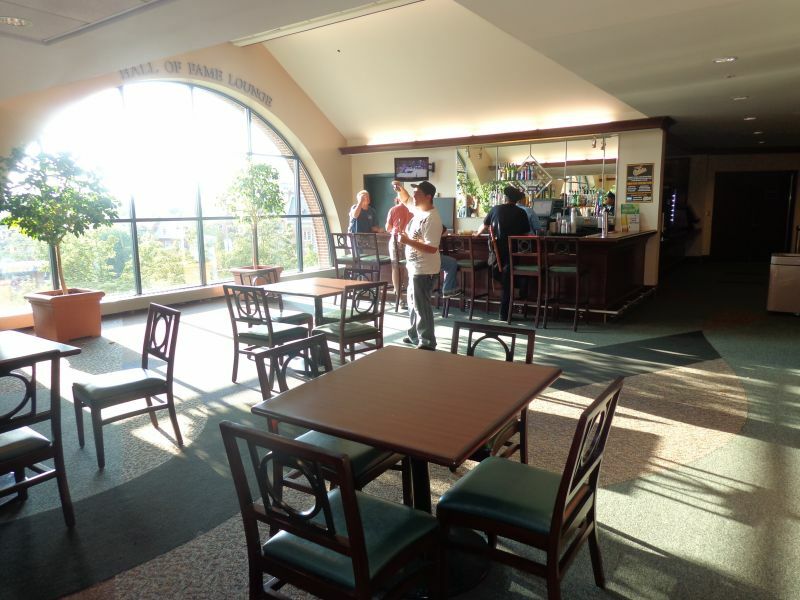 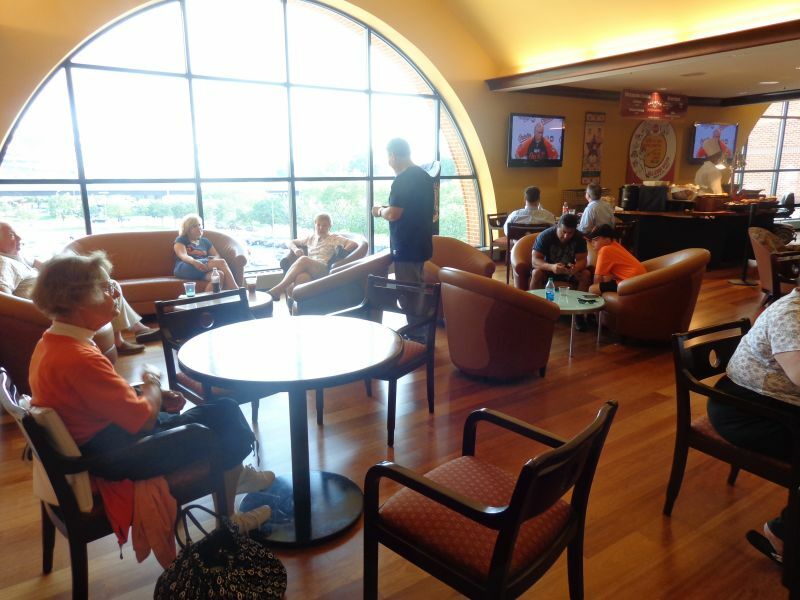 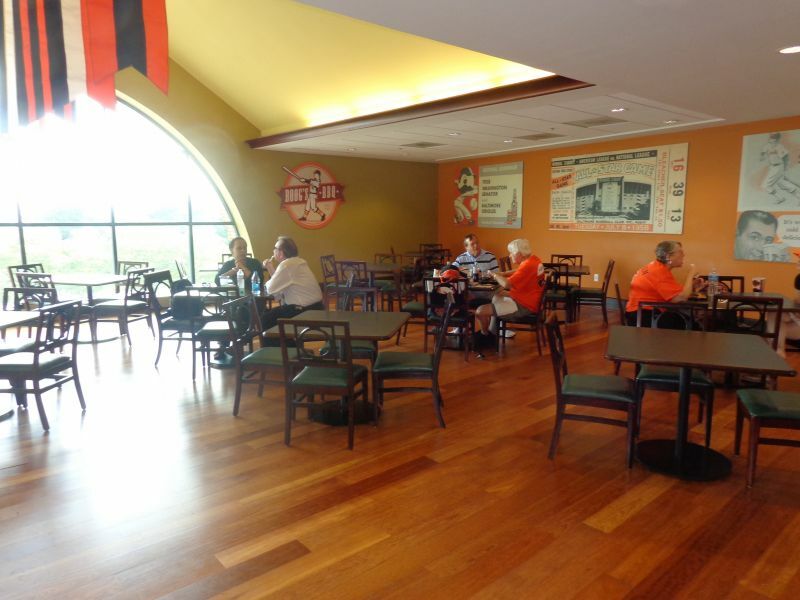 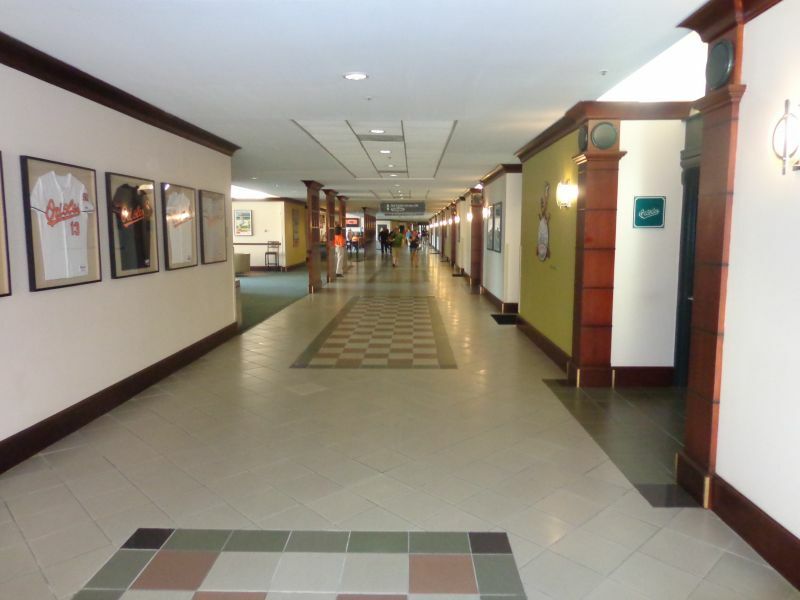 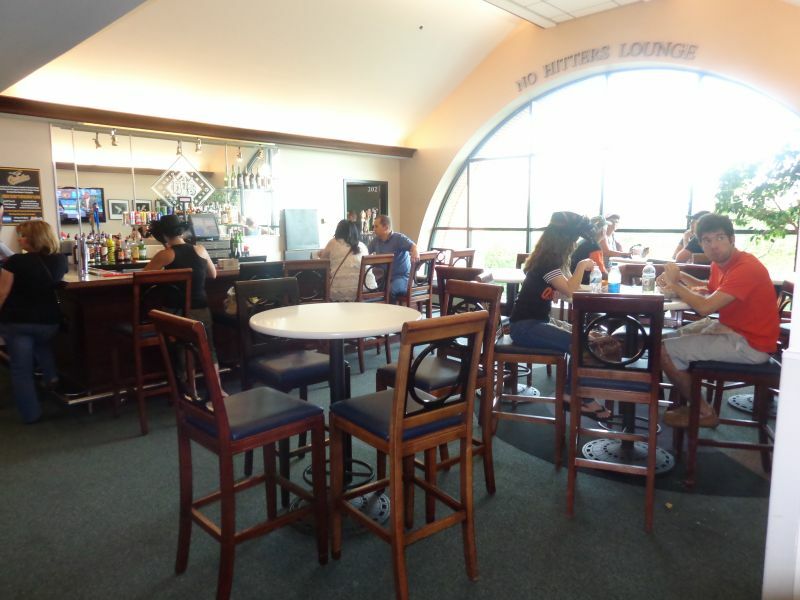 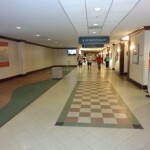 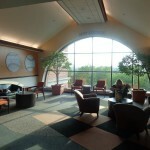 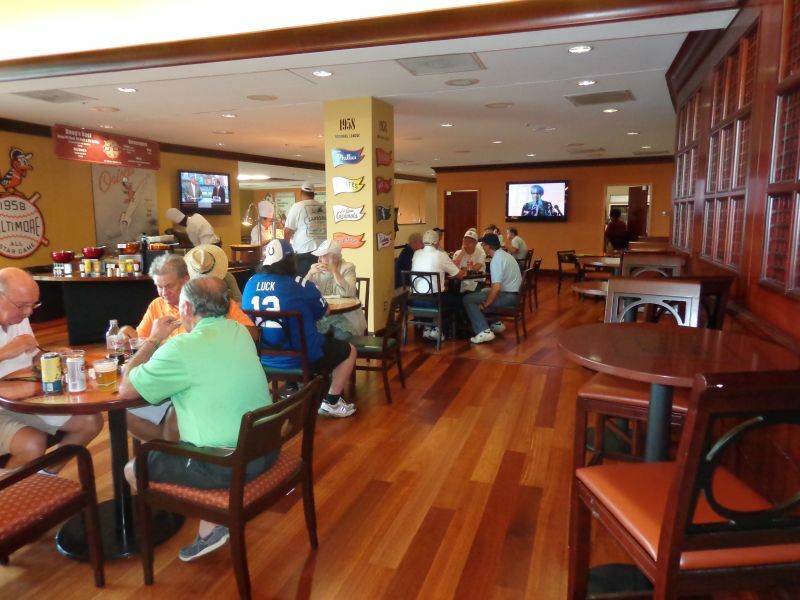 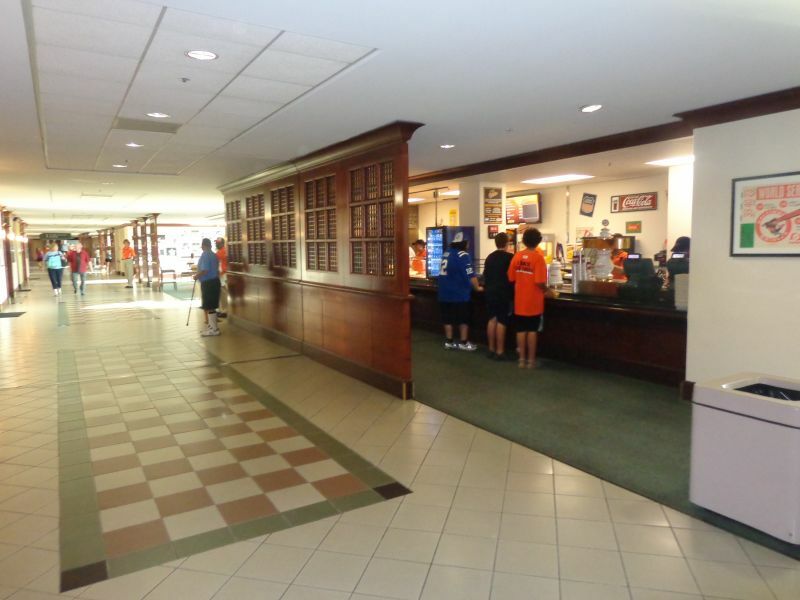 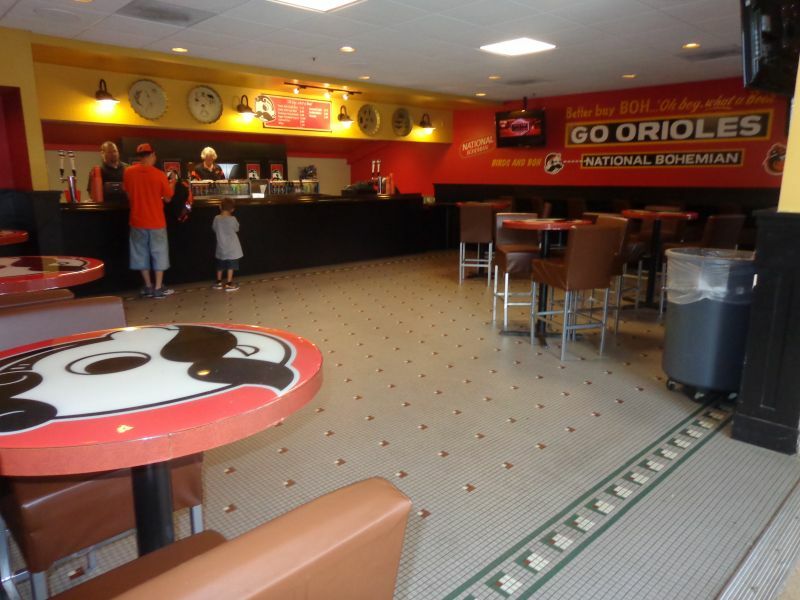 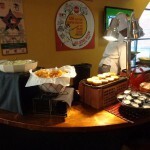 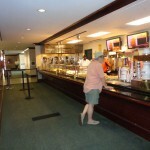 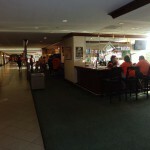 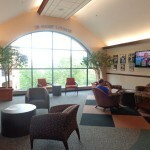 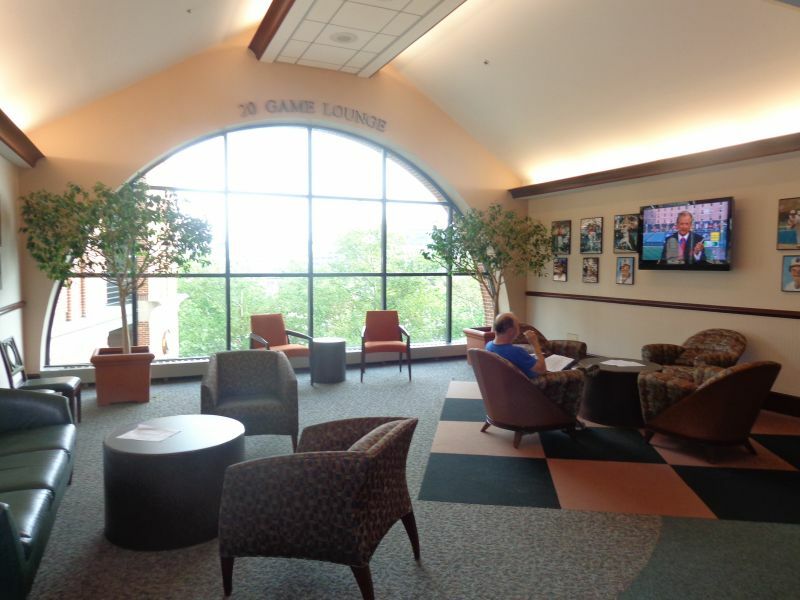 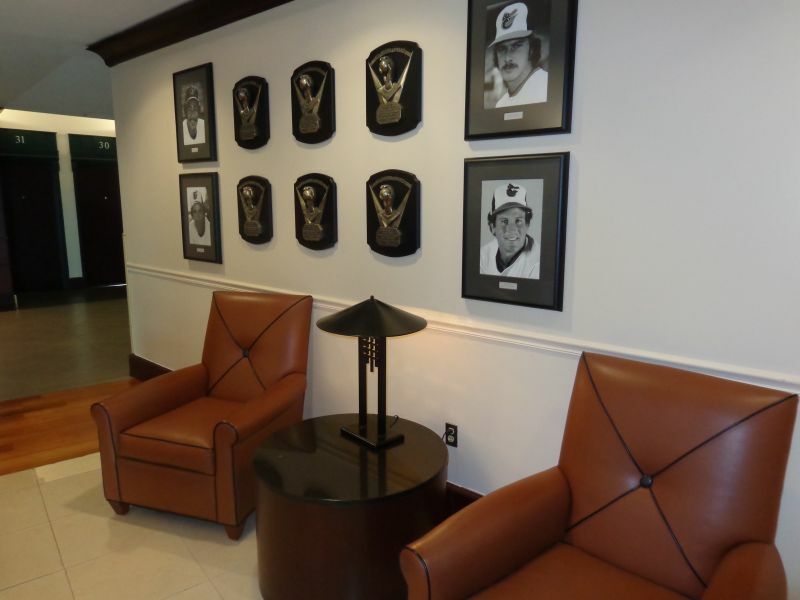 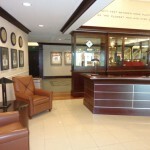 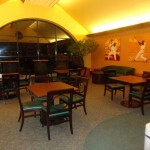 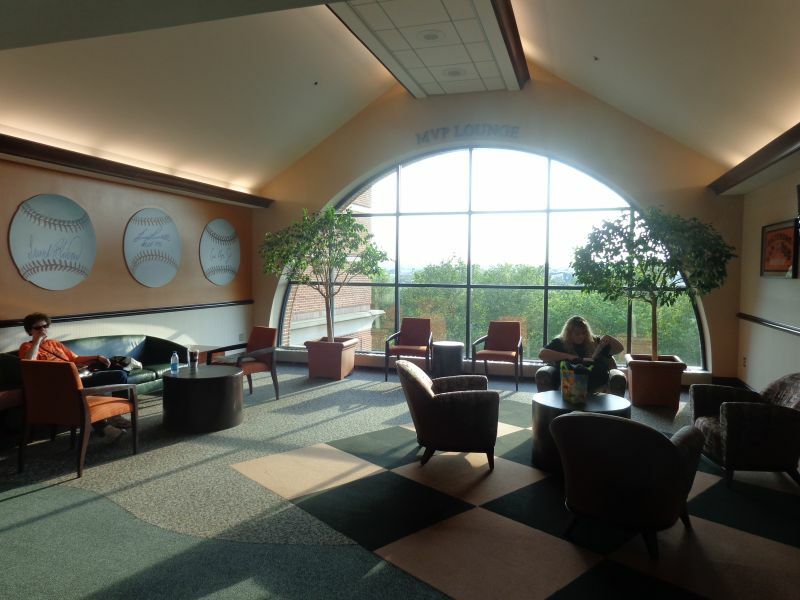 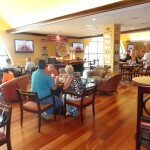 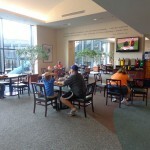 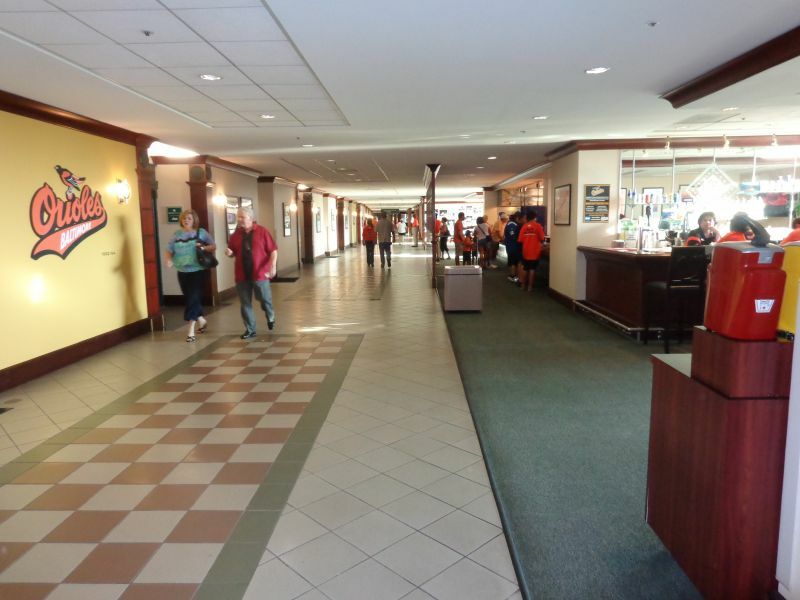 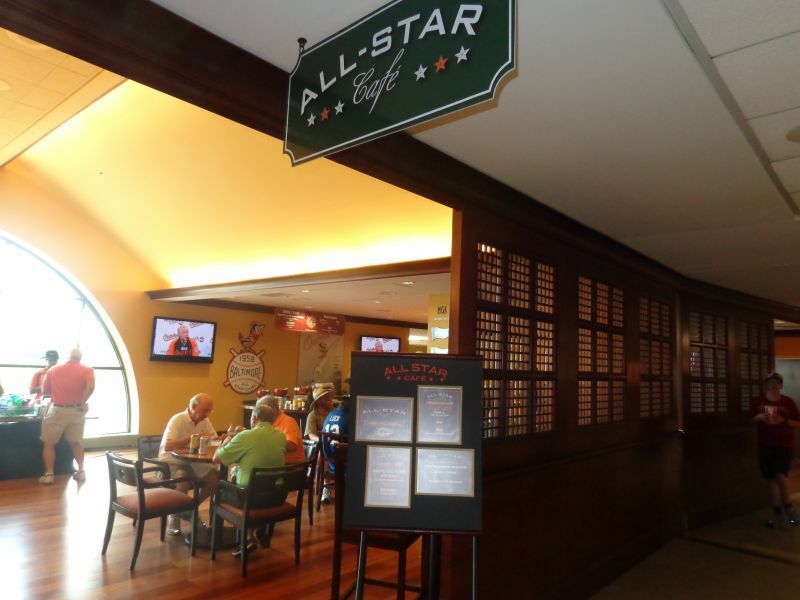 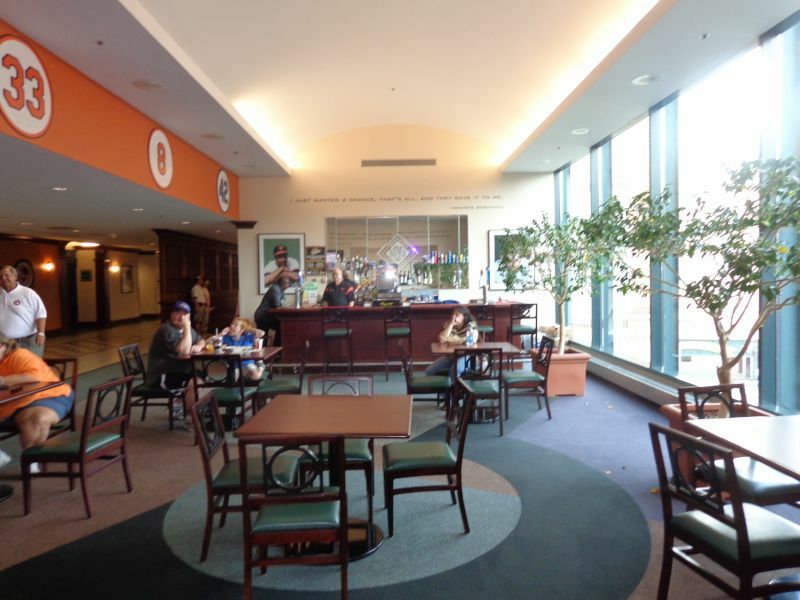 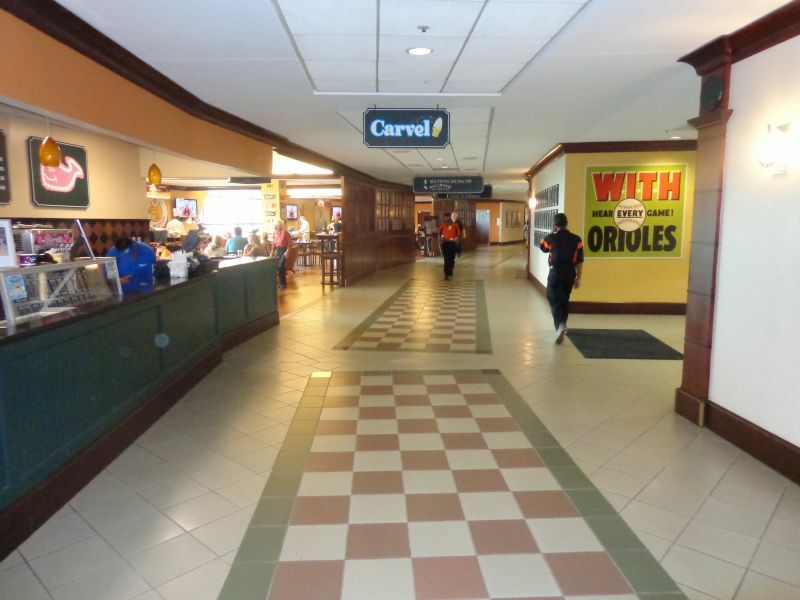 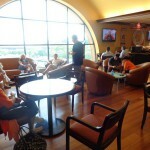 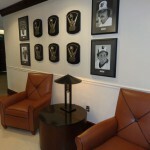 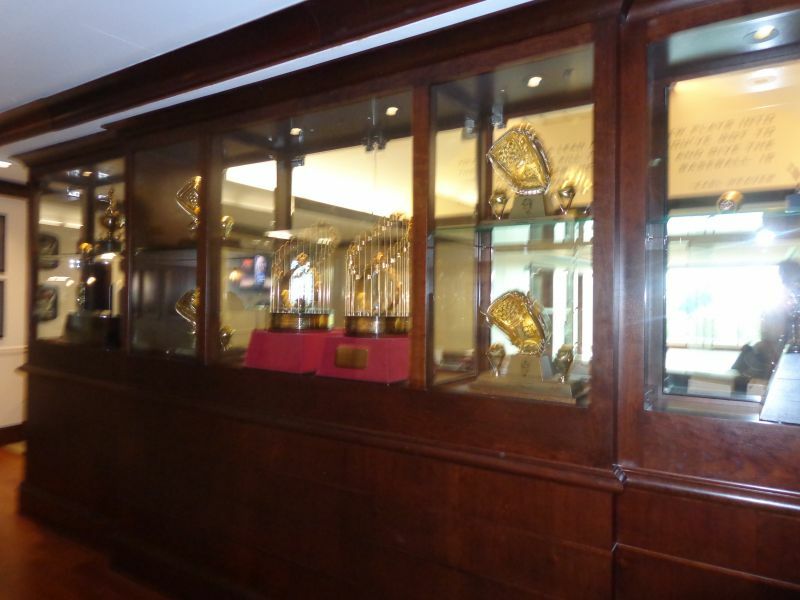 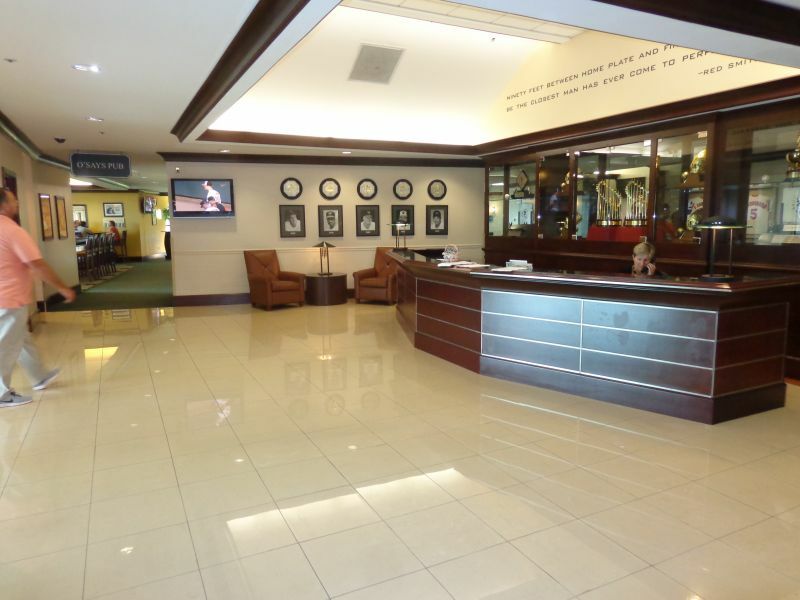 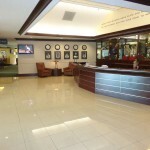 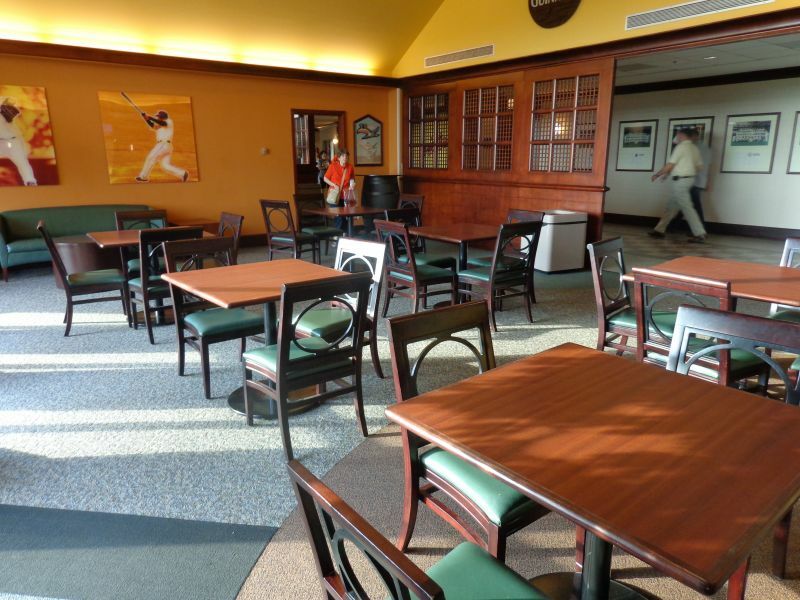 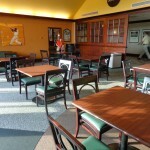 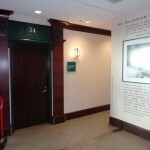 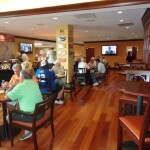 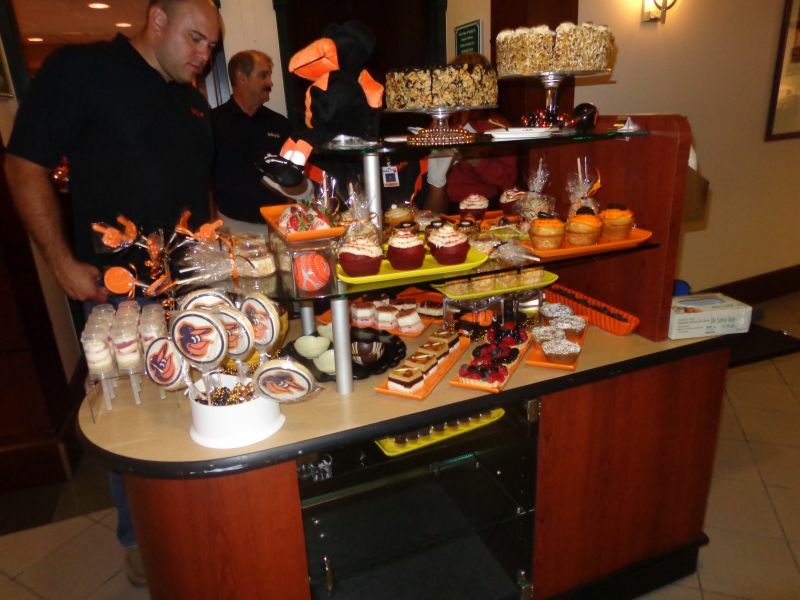 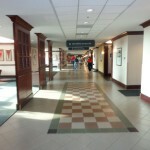 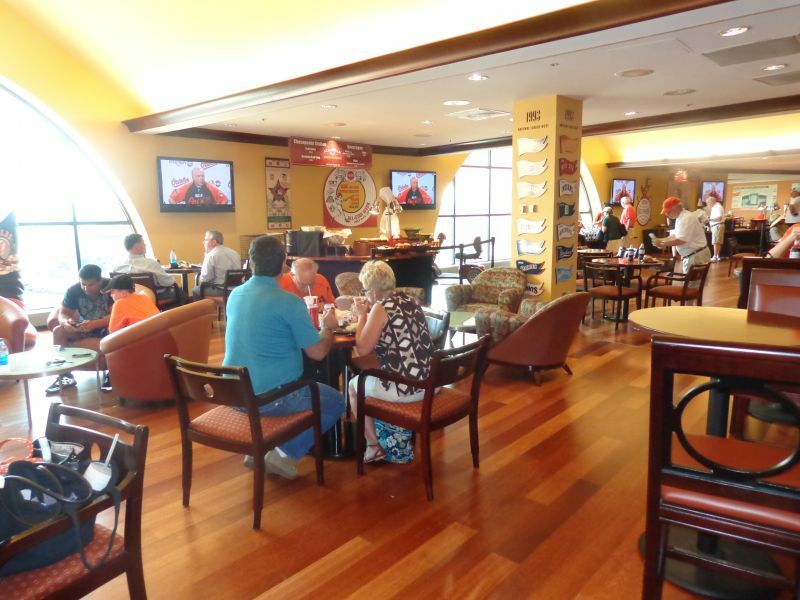 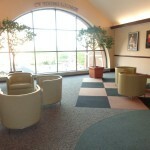 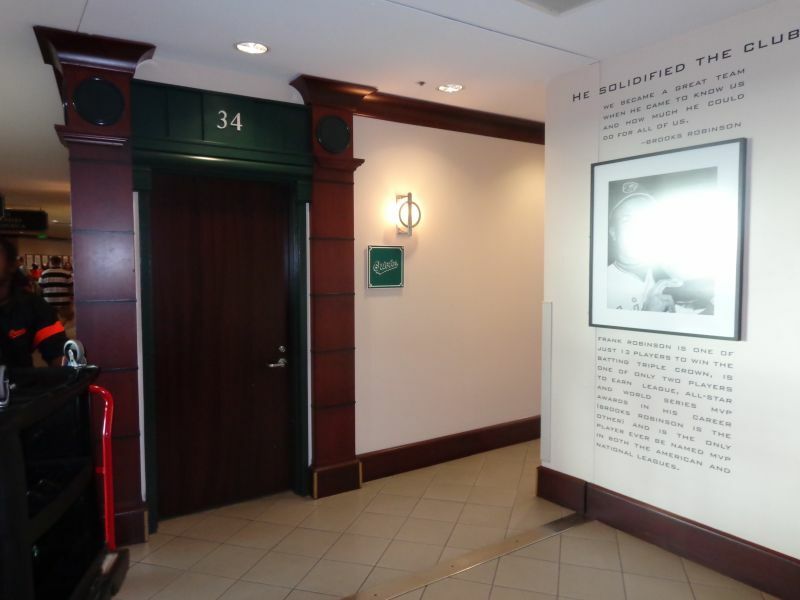 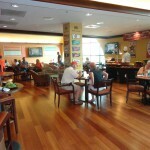 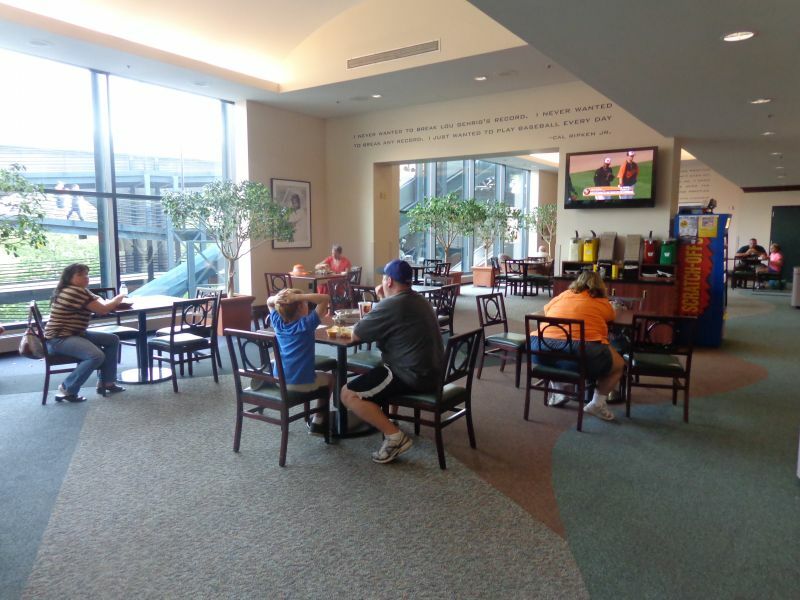 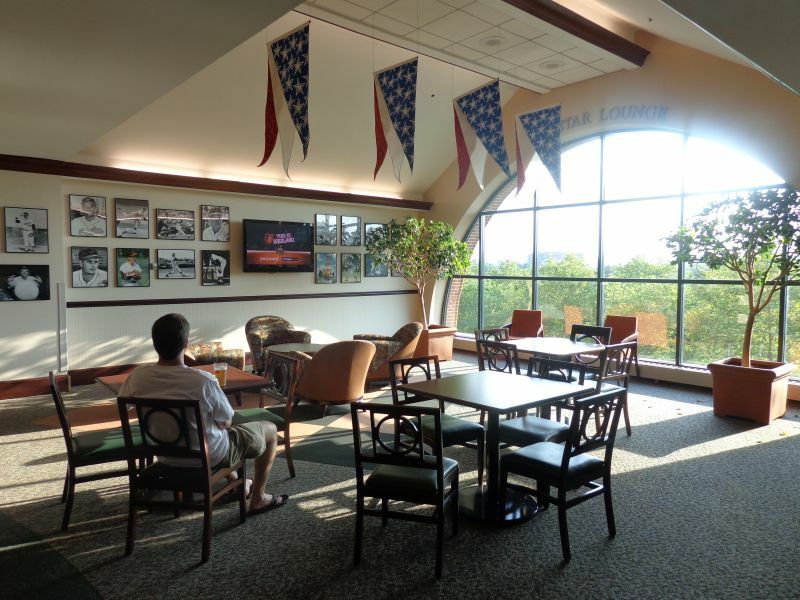 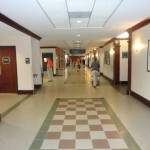 The 1990s waiting room décor of the club level, while admirably charming and well-appointed, is all Camden Yards has in upscale options other than the usual suites on the aforementioned level. 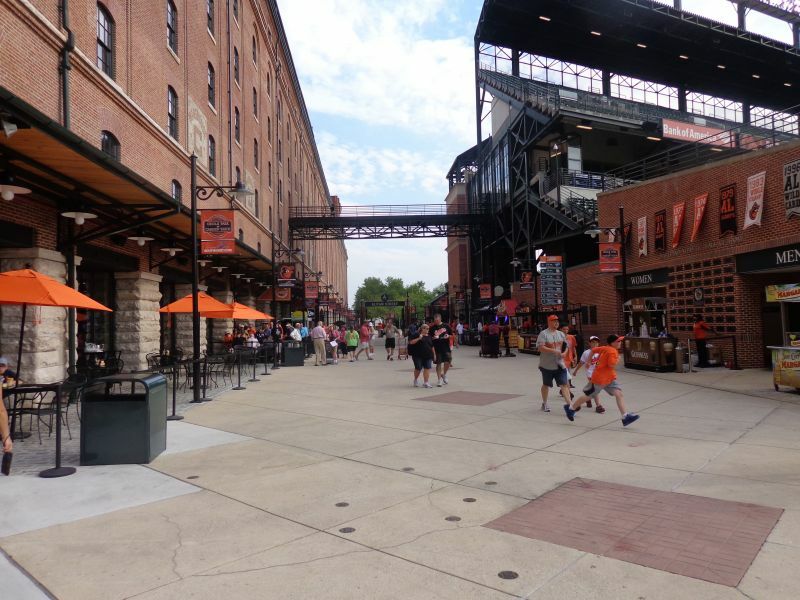 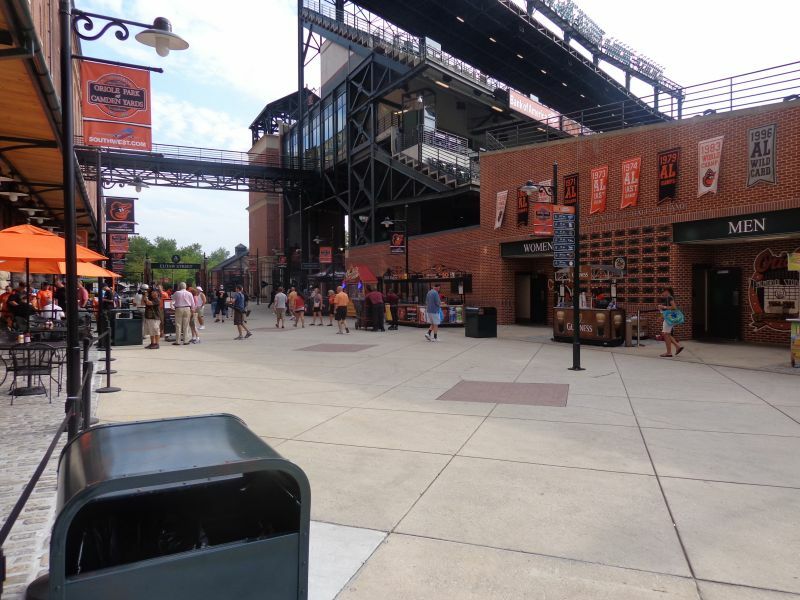 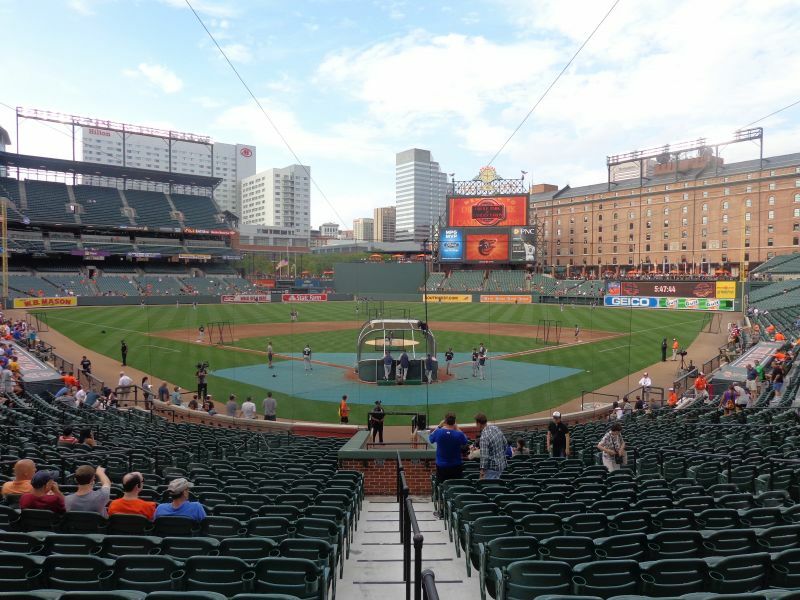 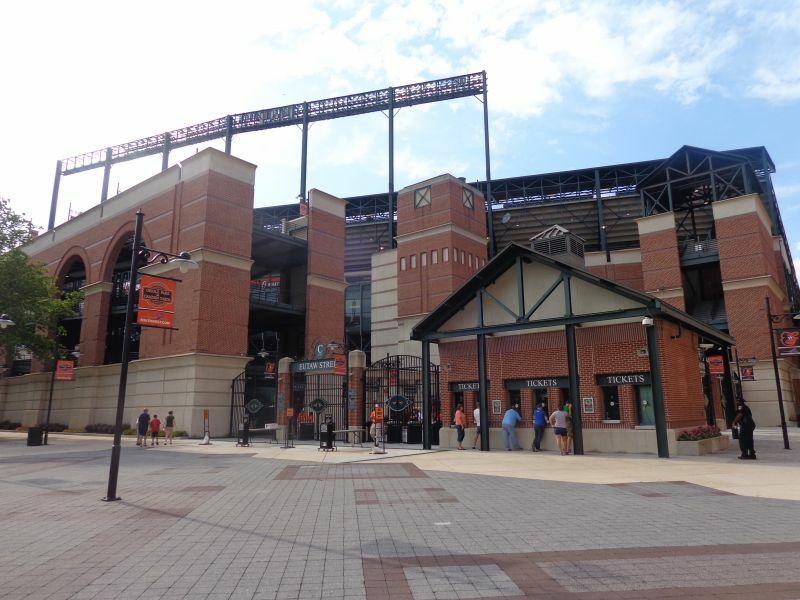 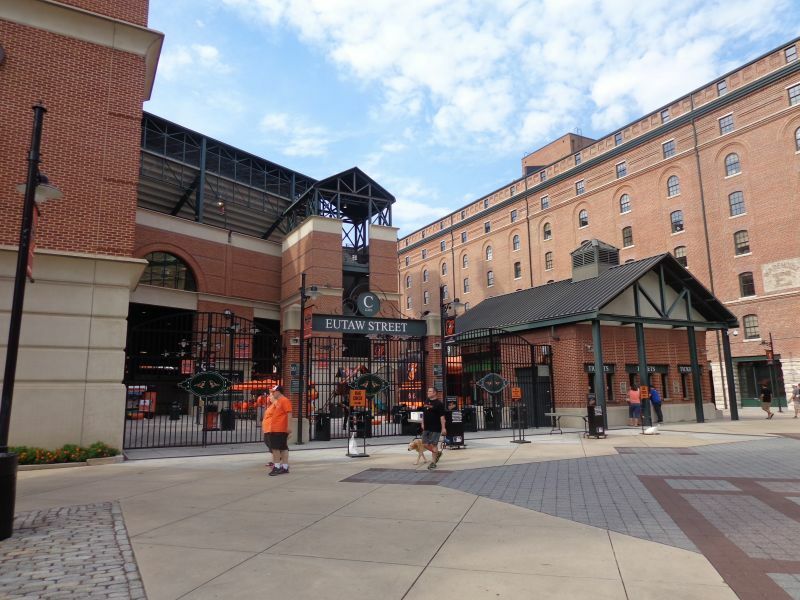 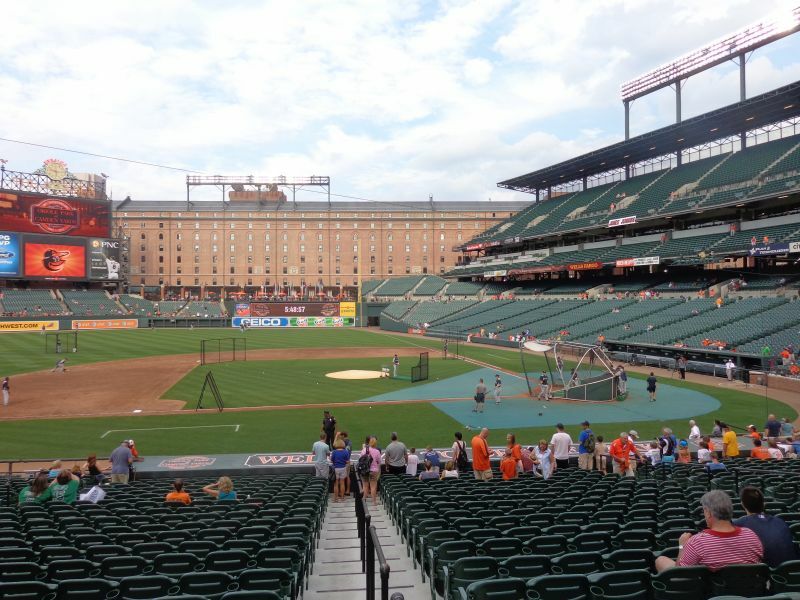 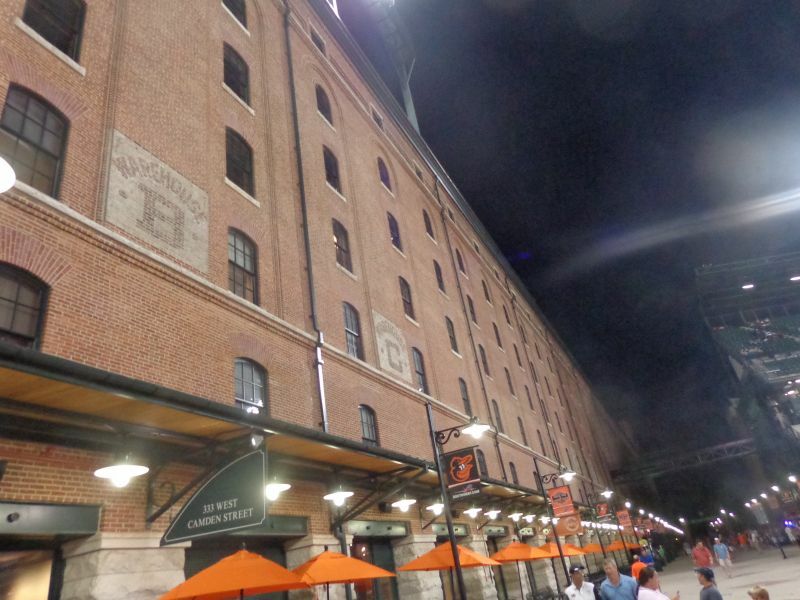 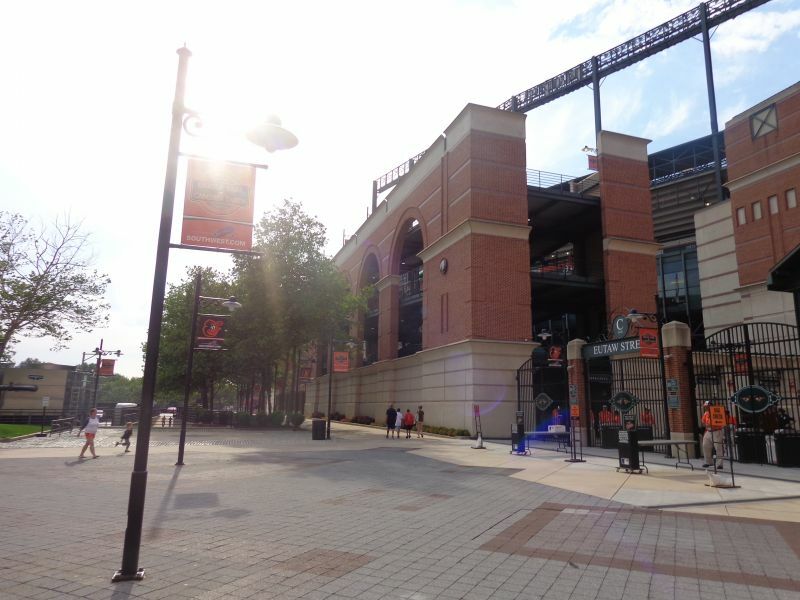 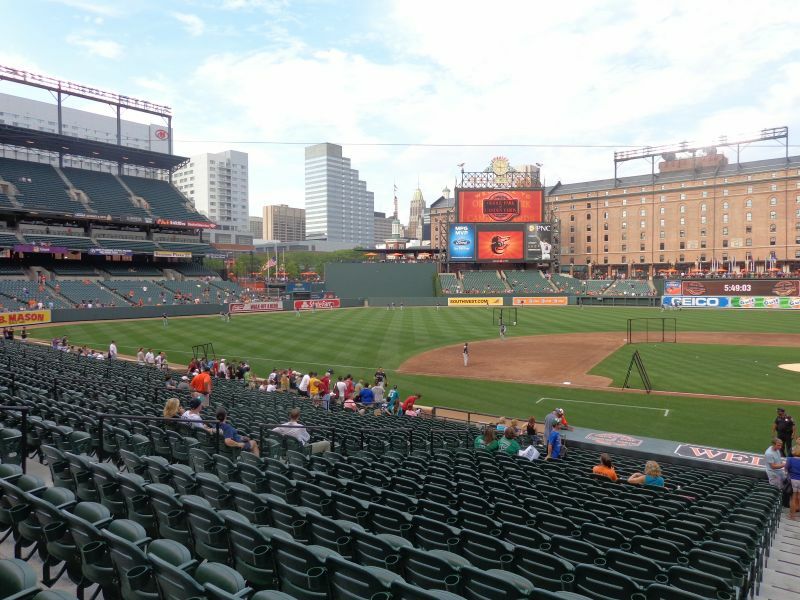 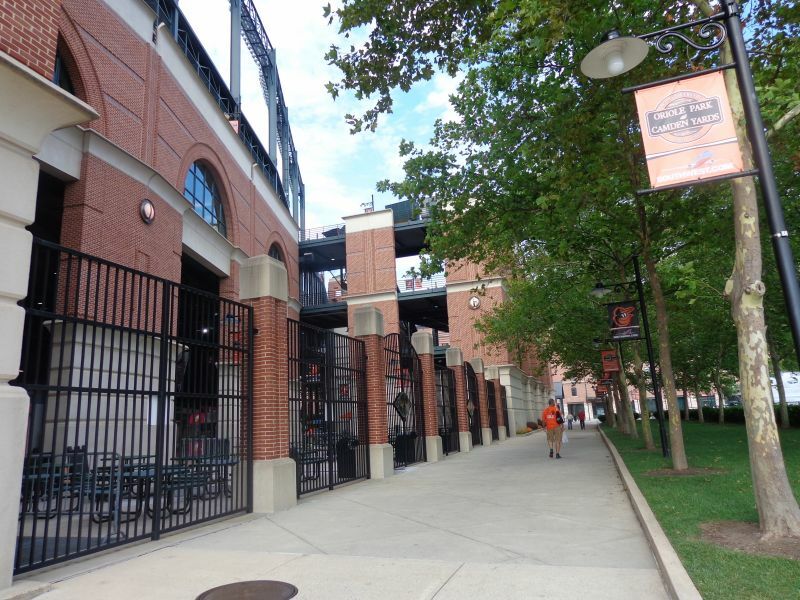 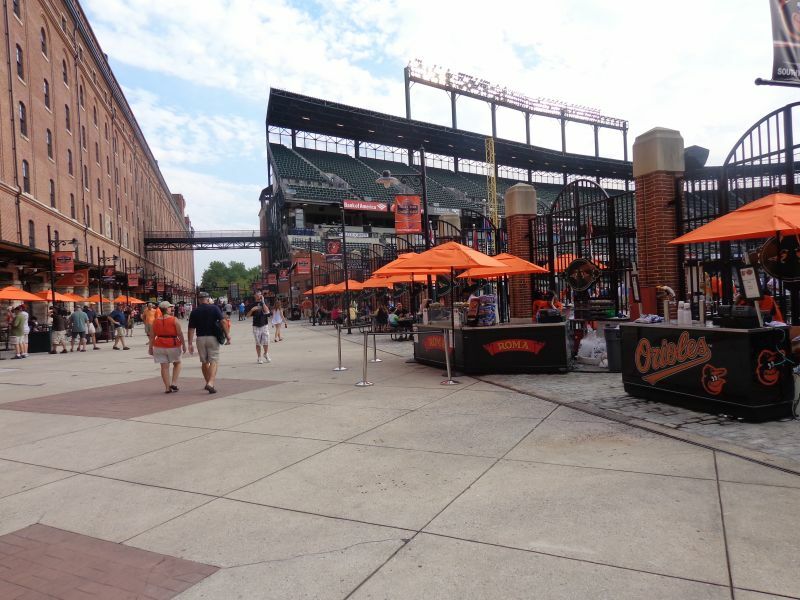 While it still has some severe functional flaws, Camden Yards is still one of the best ballparks in baseball due to improving amenities, when coupled with timeless aesthetics and location. 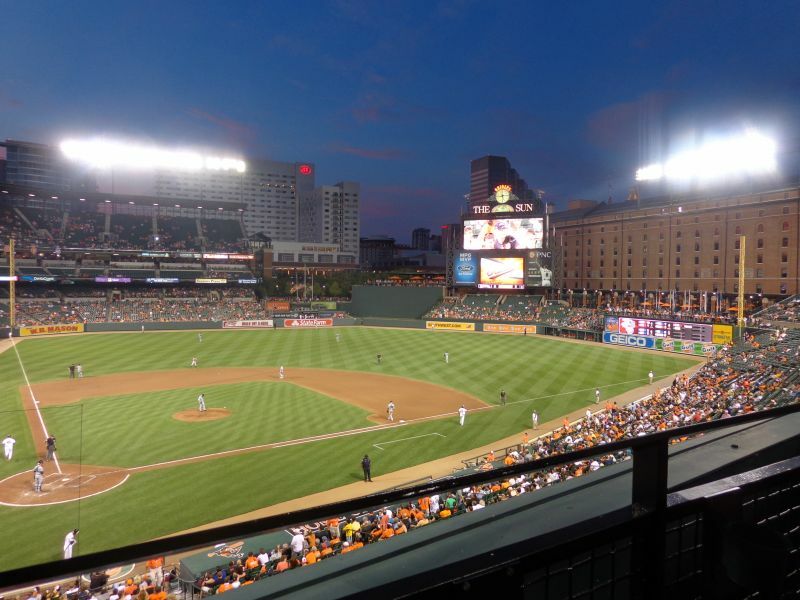 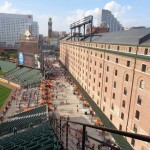 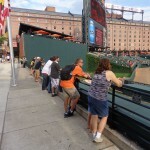 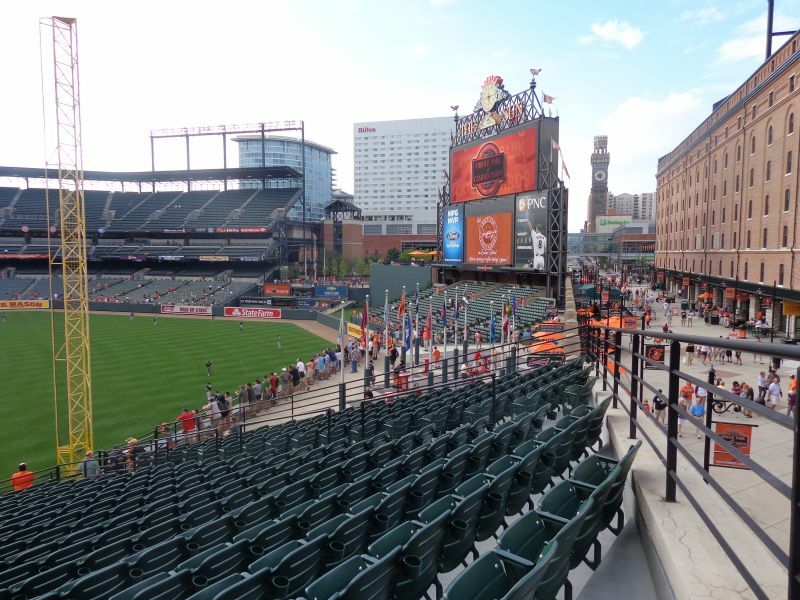 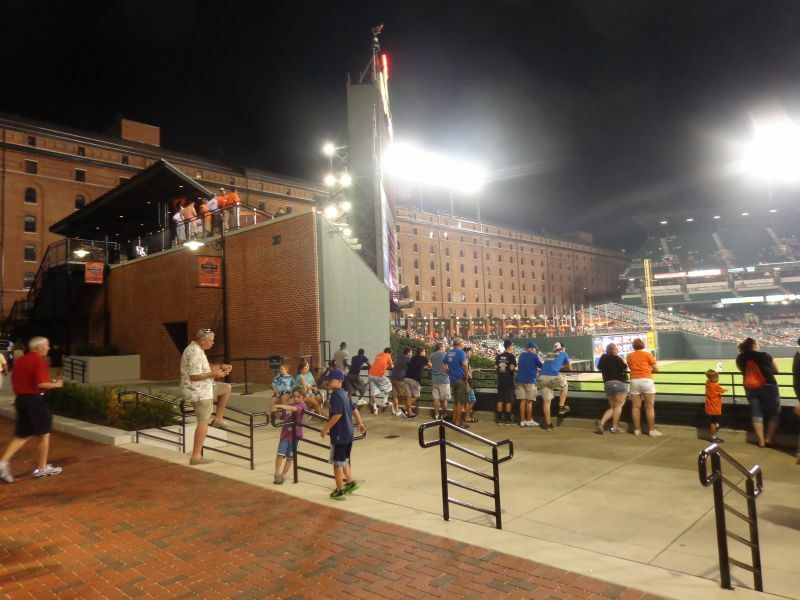 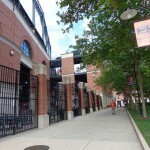 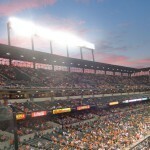 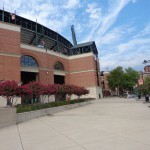 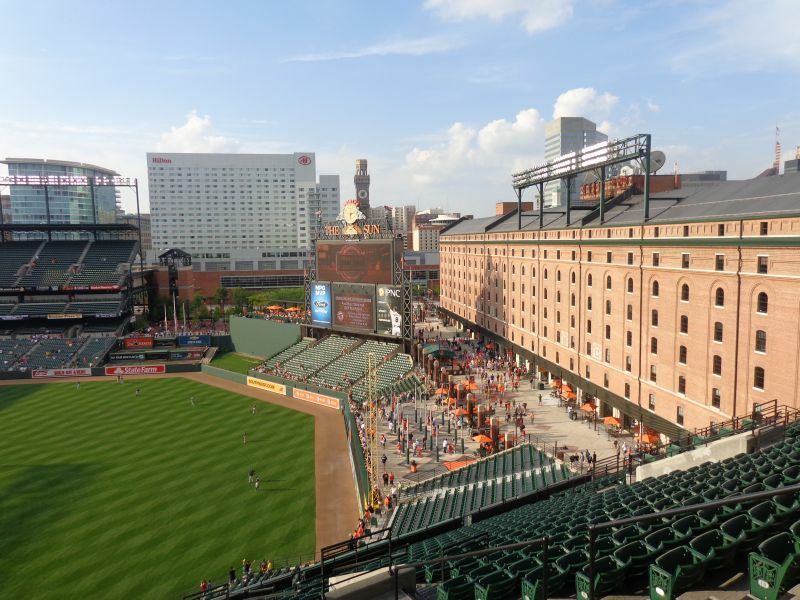 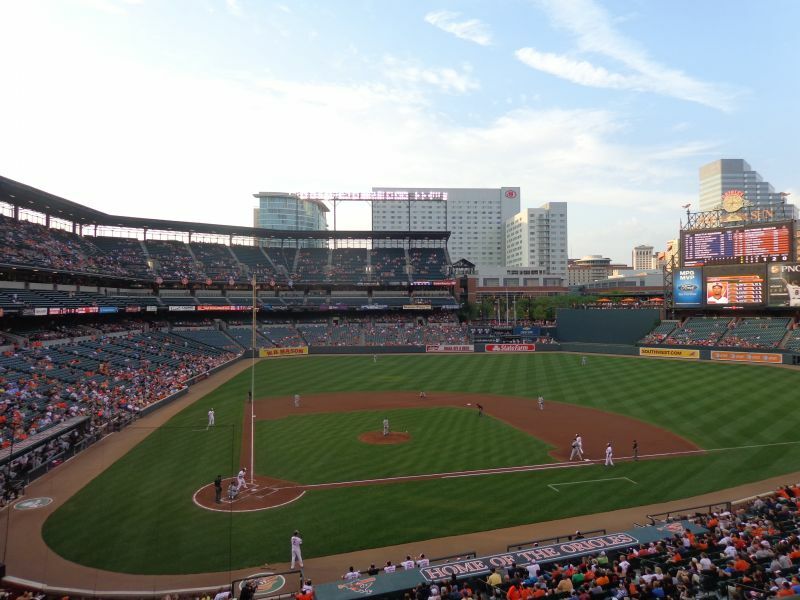 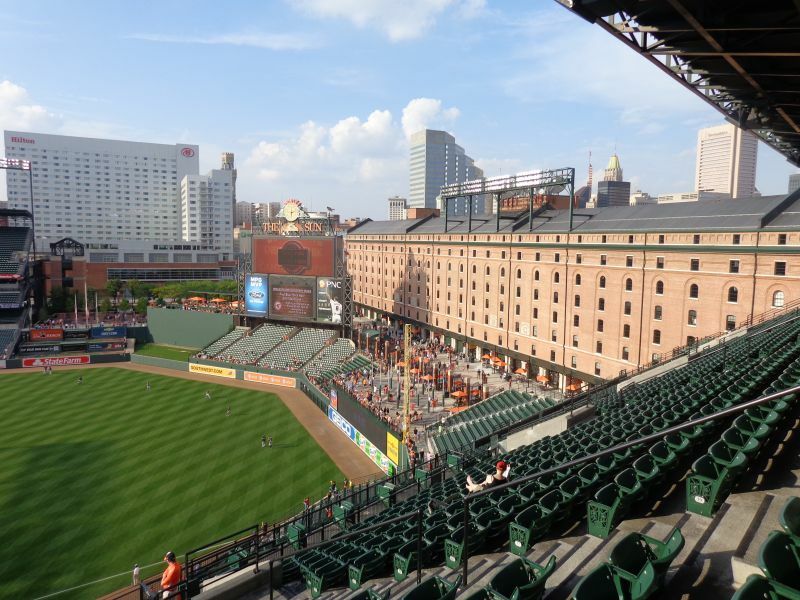 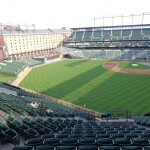 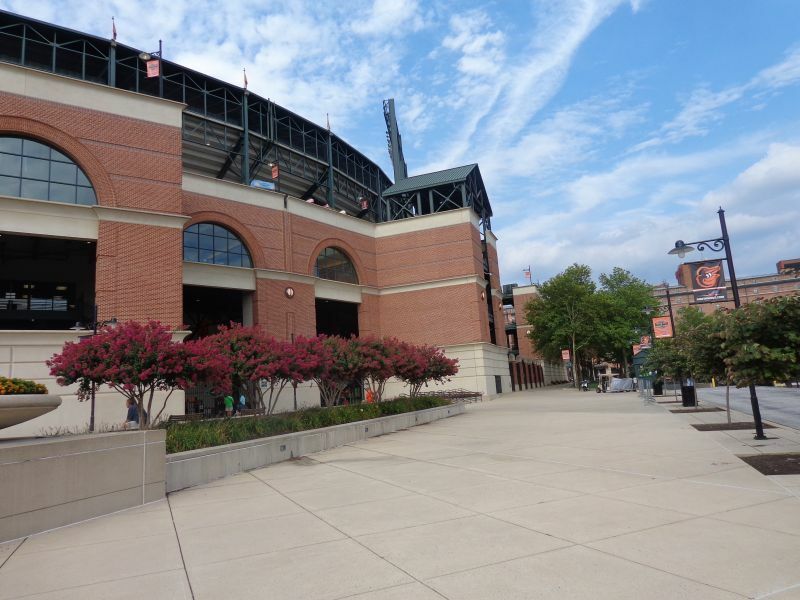 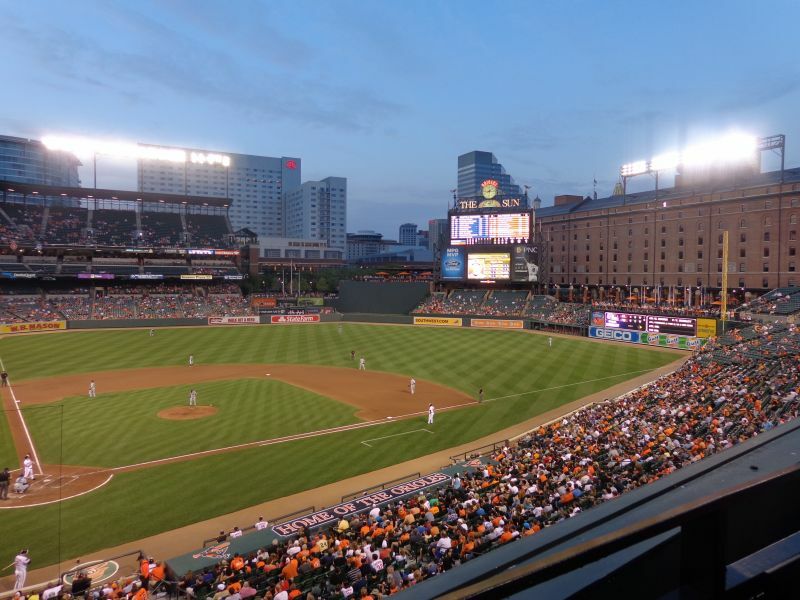 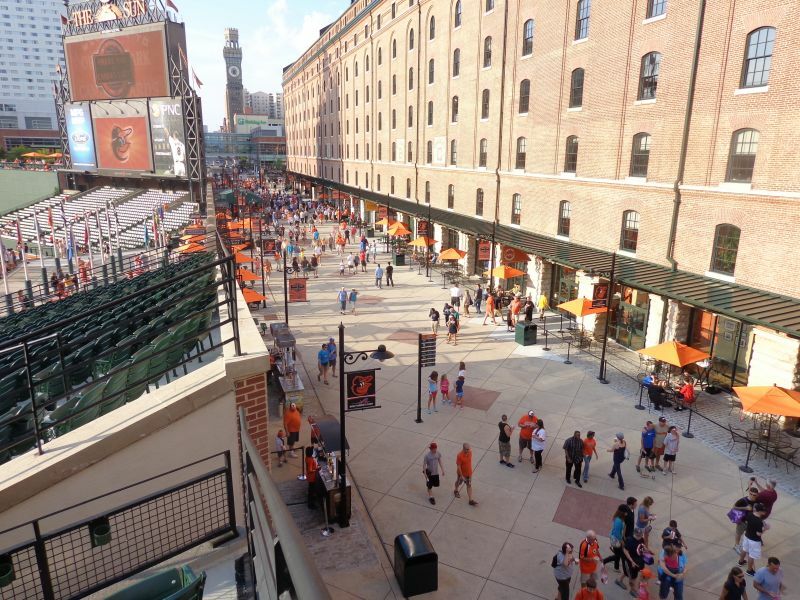 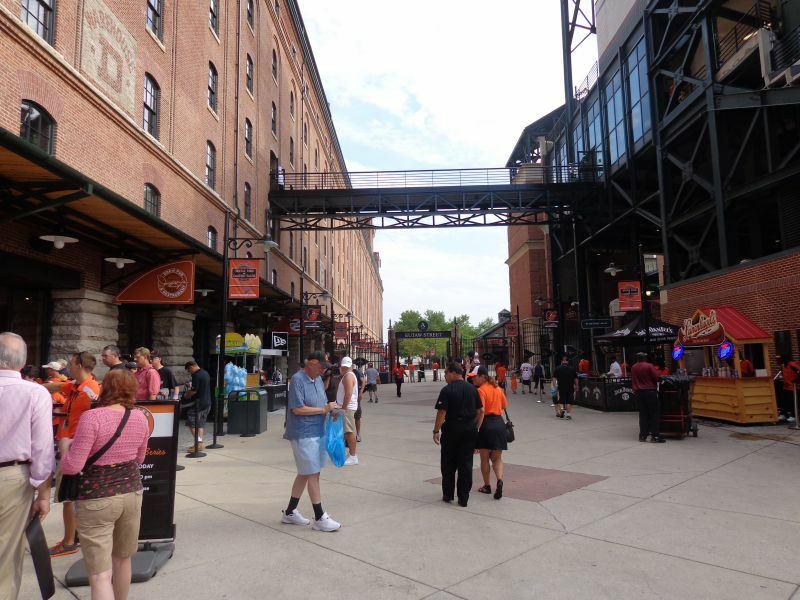 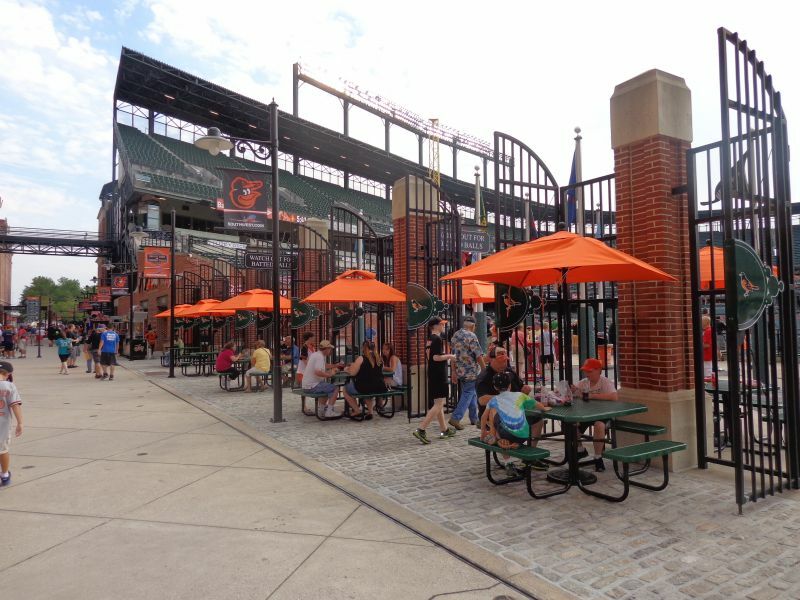 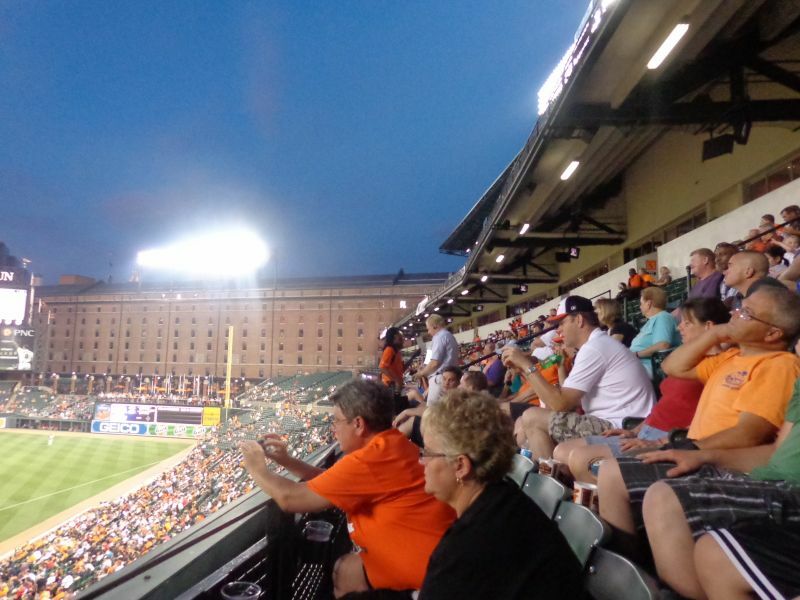 Camden Yards is still a top ballpark due to perennial enhancements, supplementing its revolutionary design and cementing it as America’s most timeless ballpark.